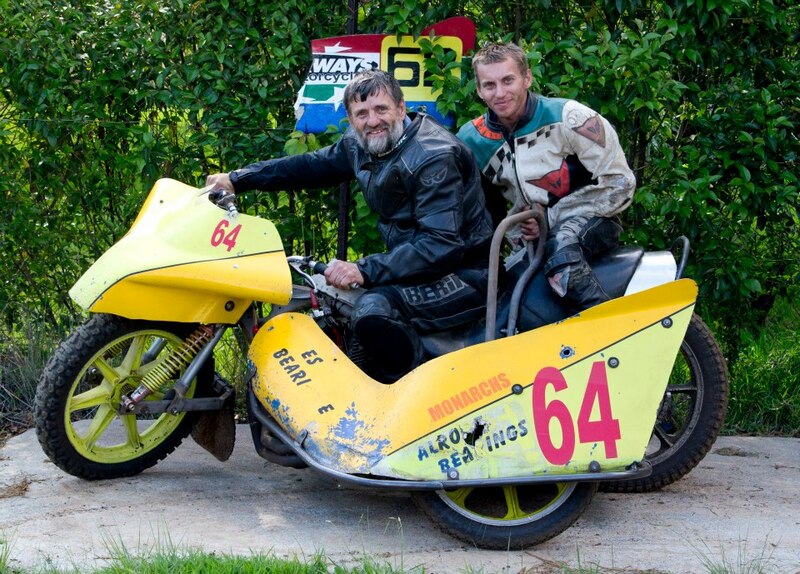 - For riders of the golden post-war era, 1946 to '60, see Gallery p4. 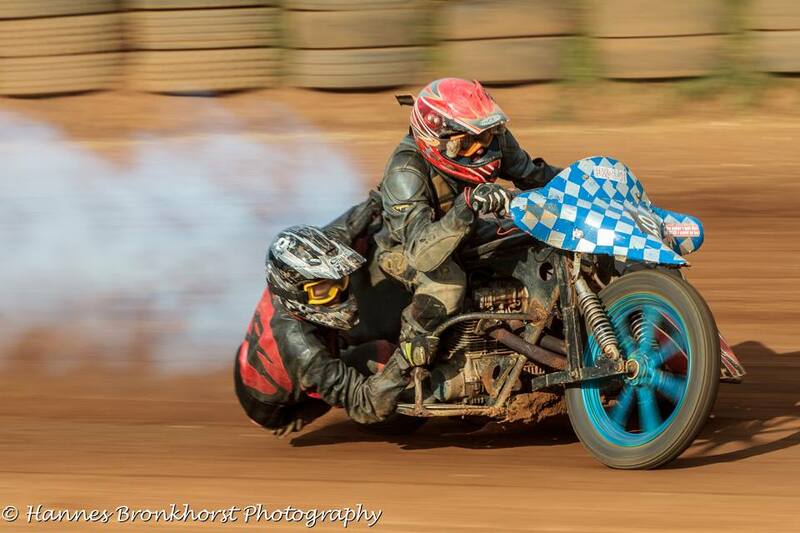 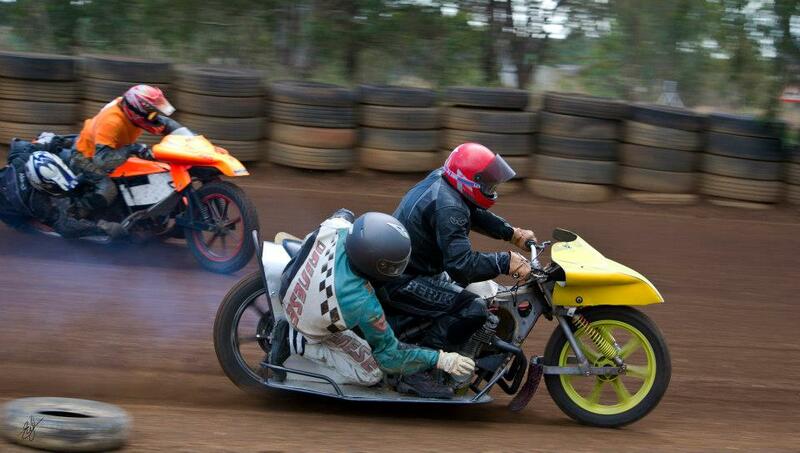 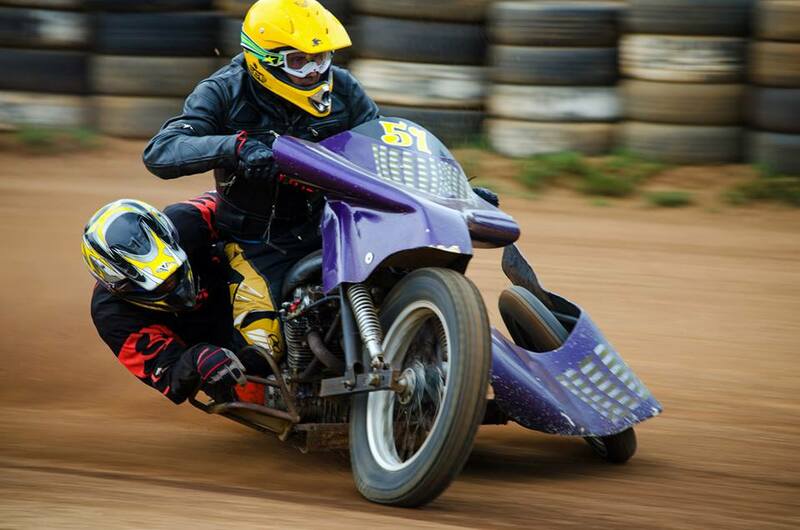 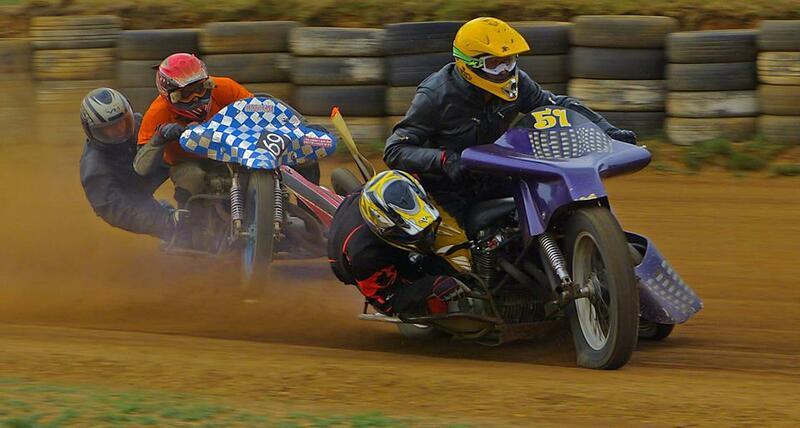 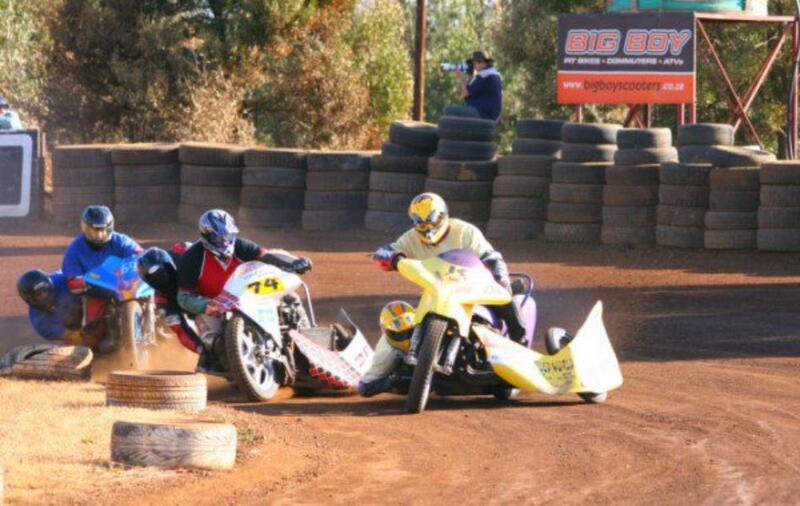 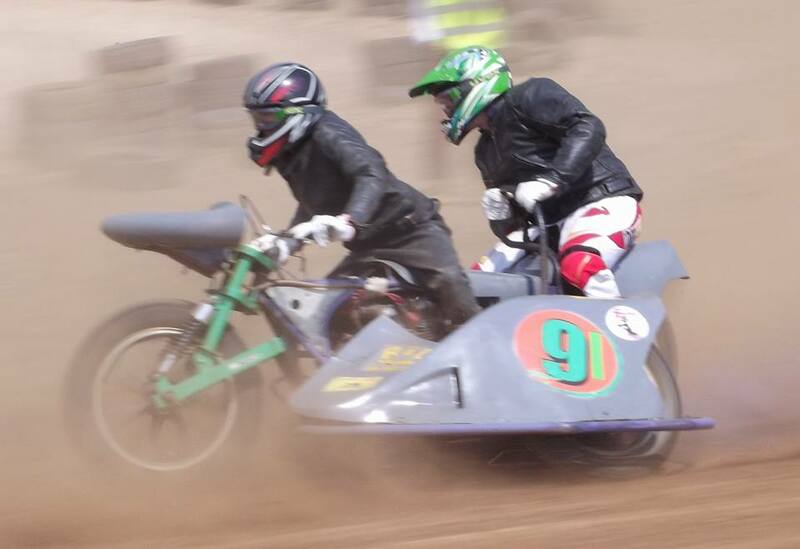 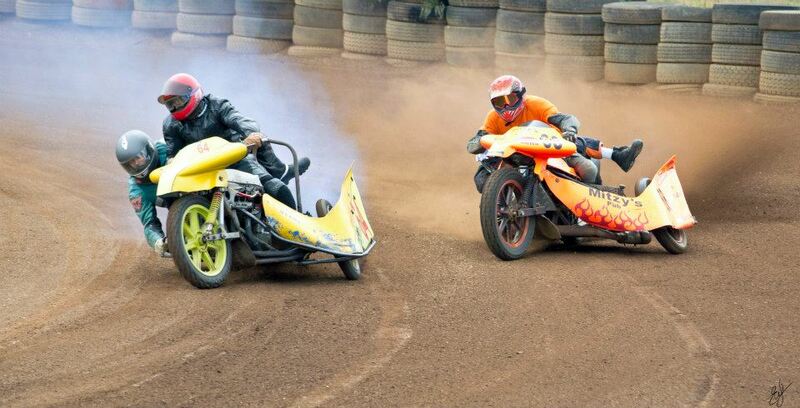 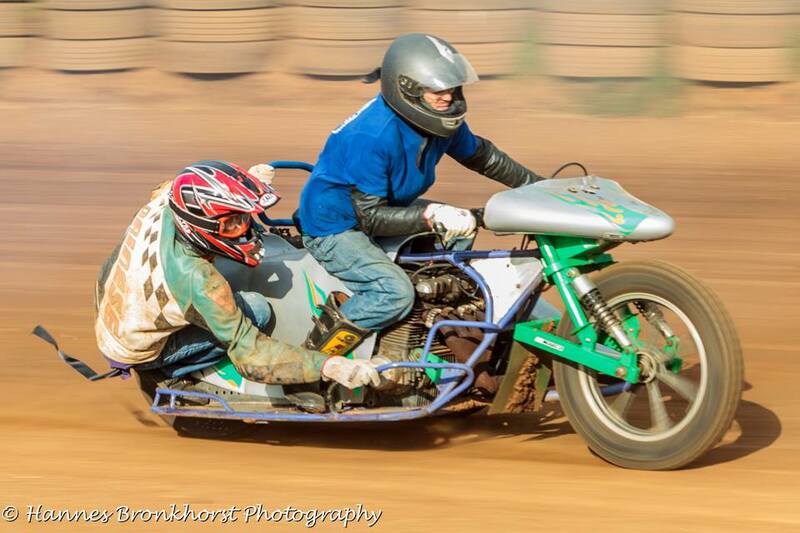 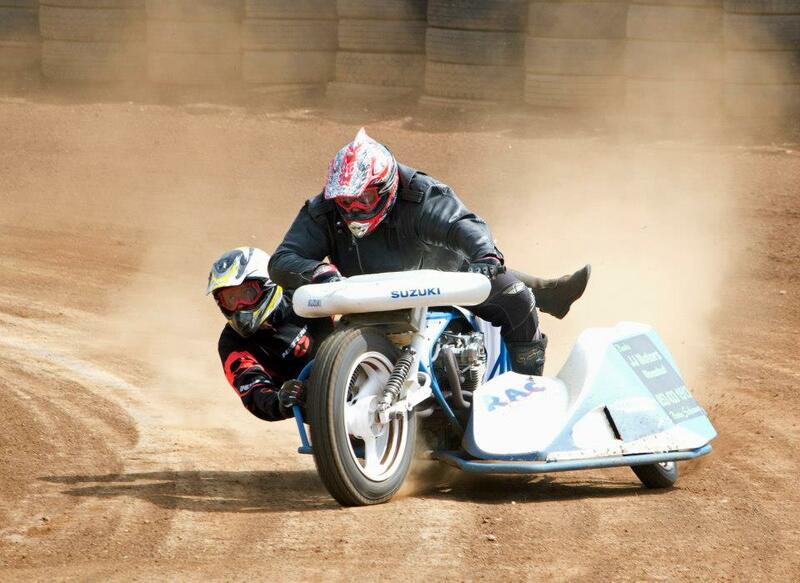 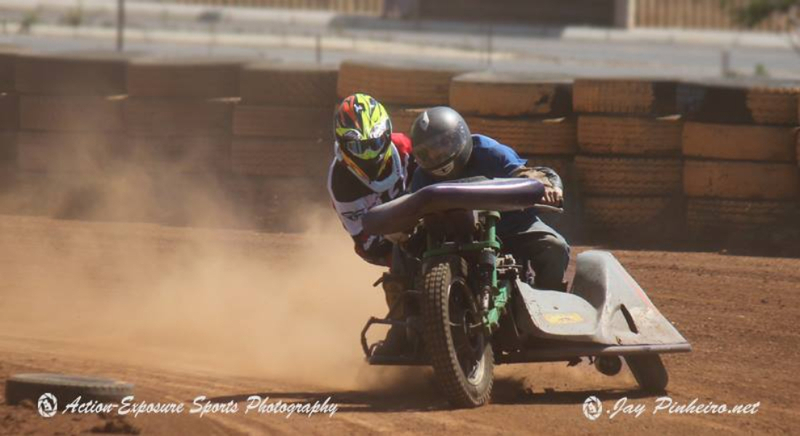 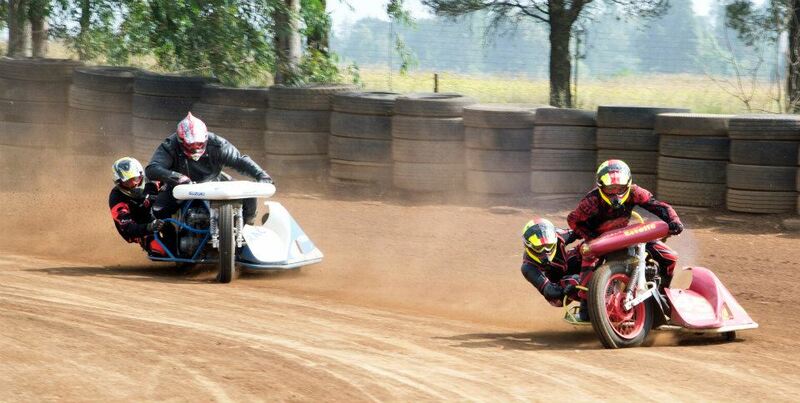 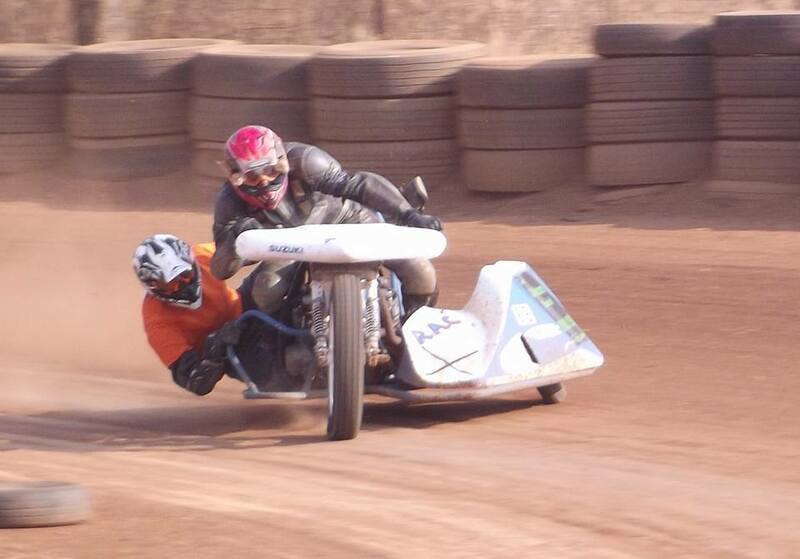 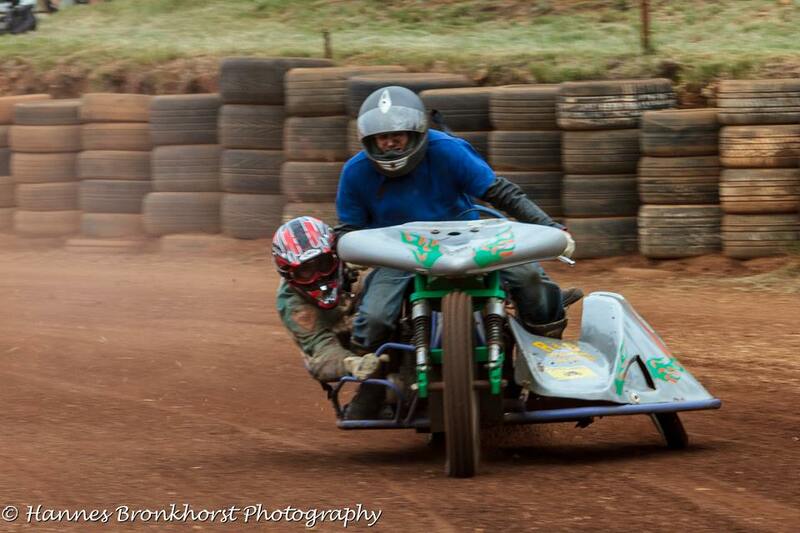 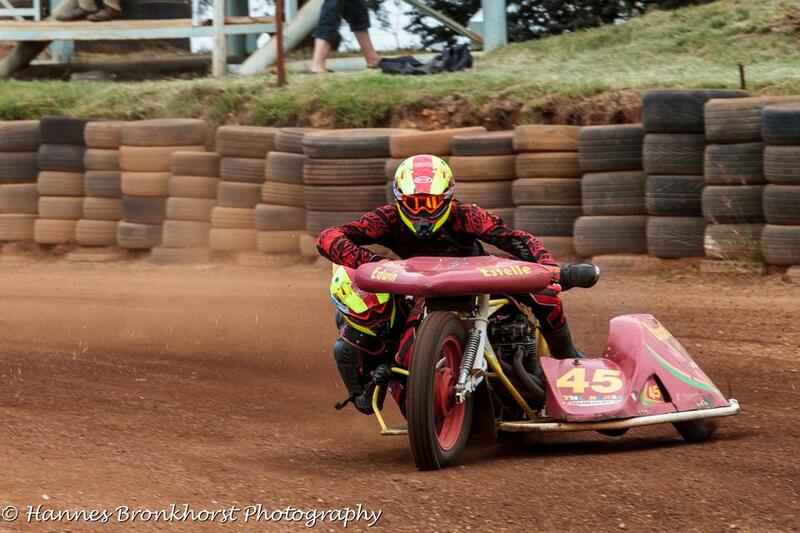 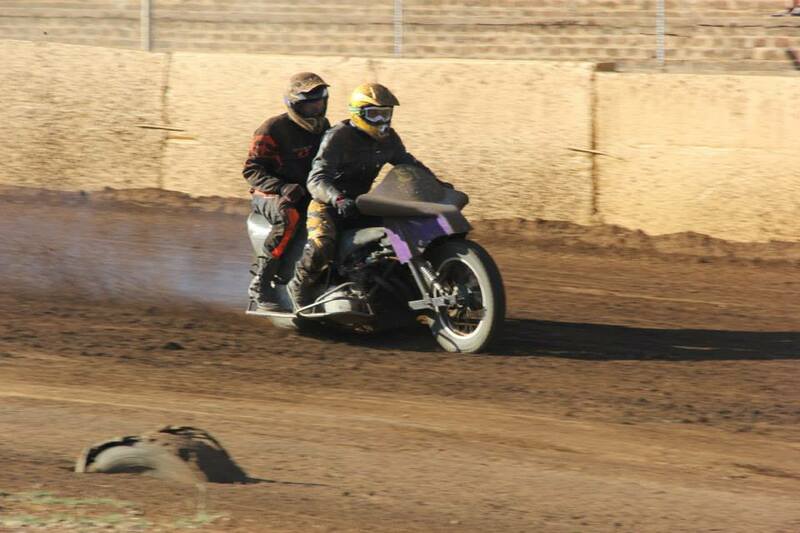 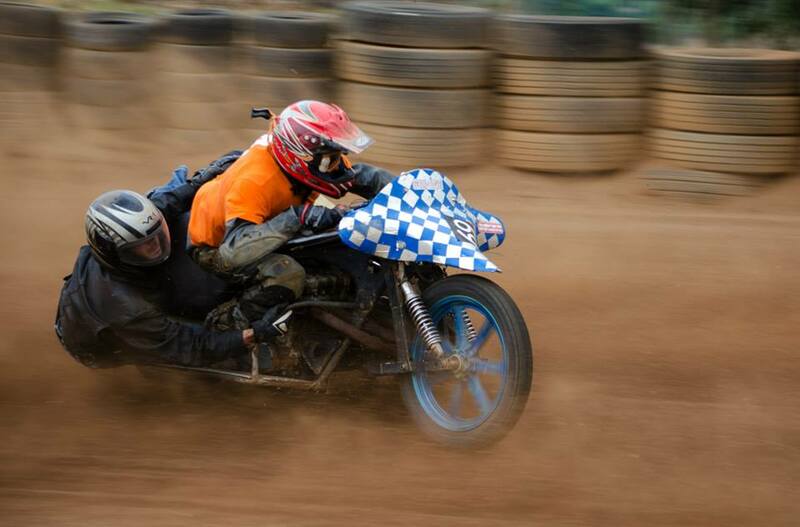 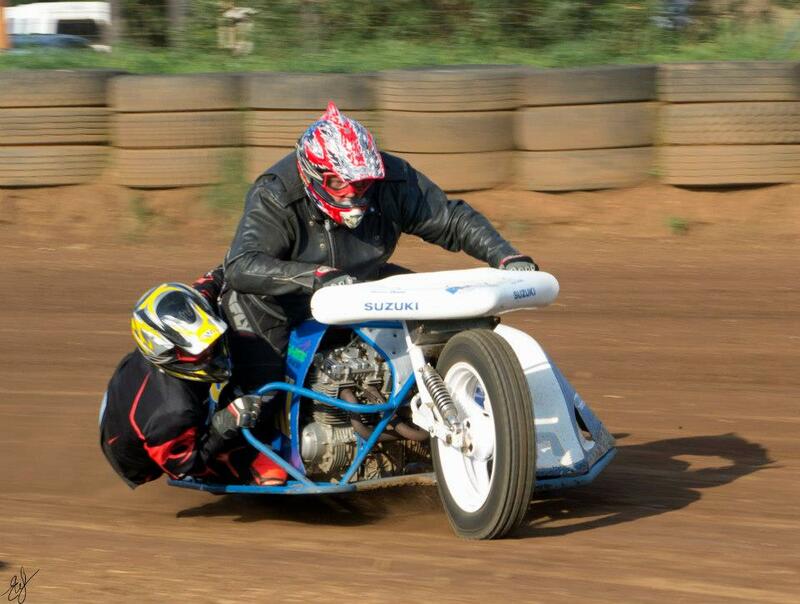 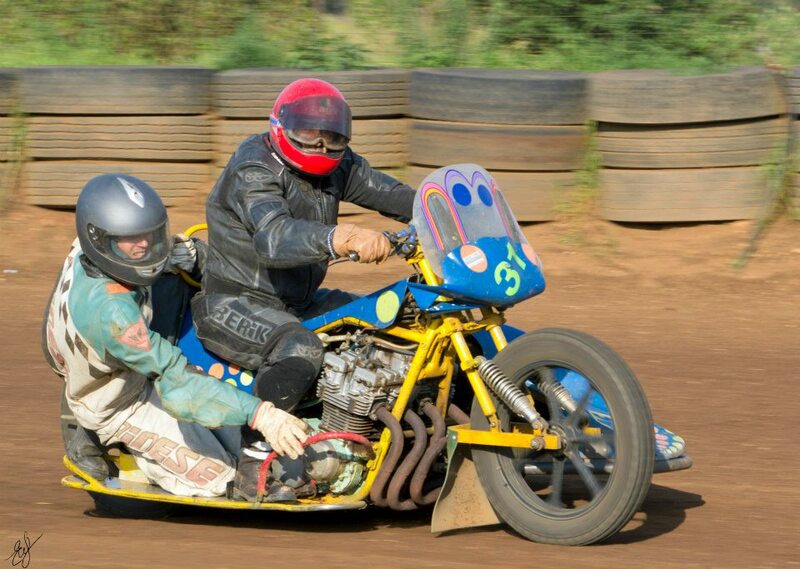 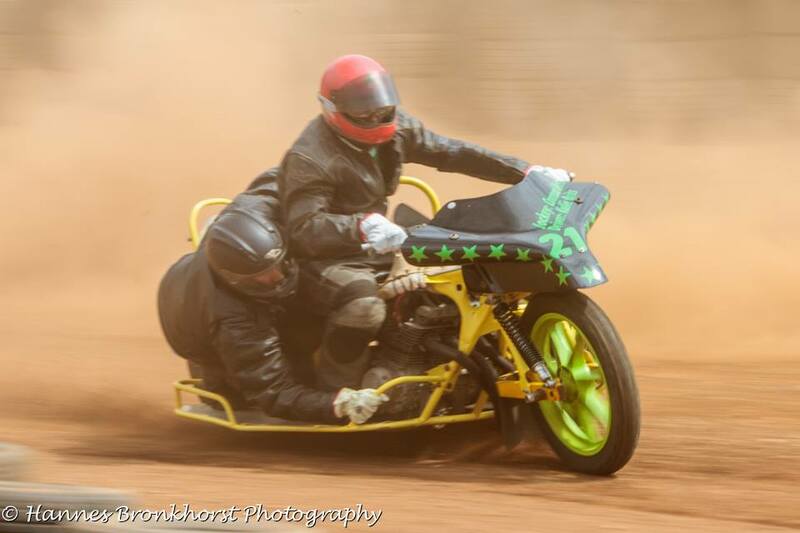 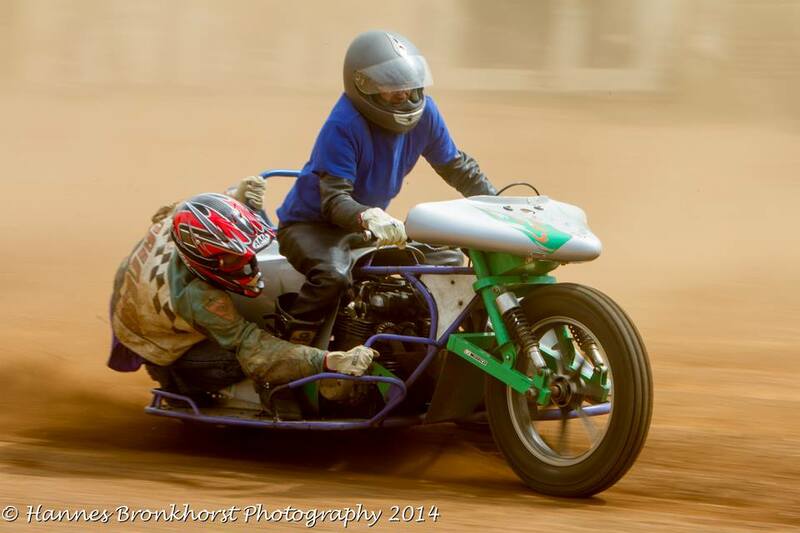 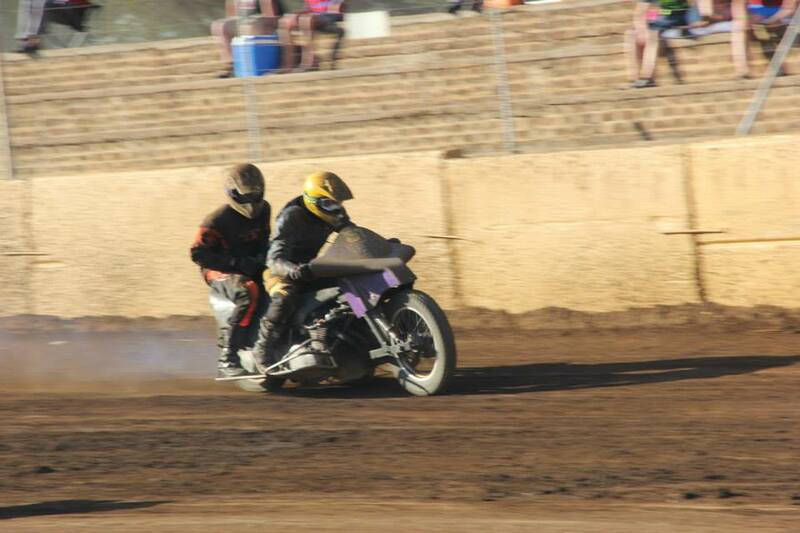 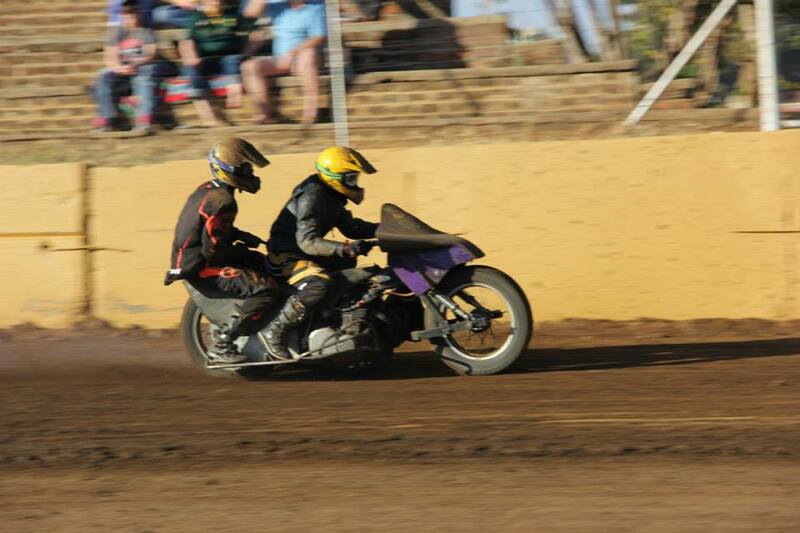 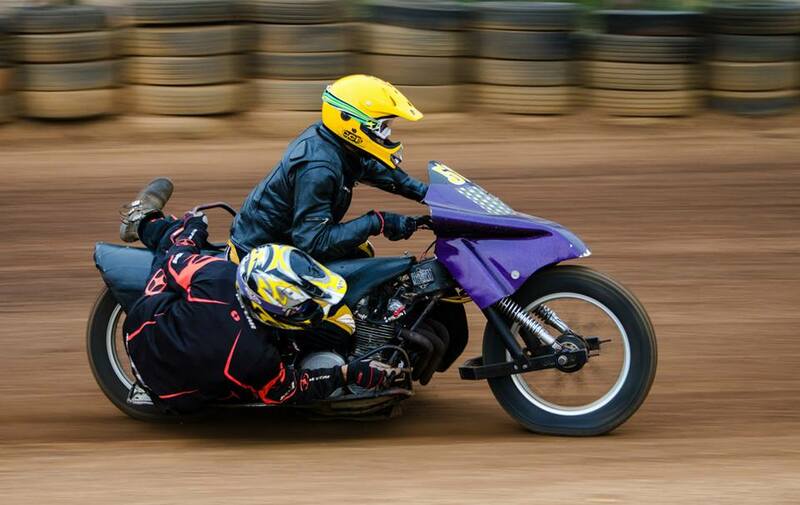 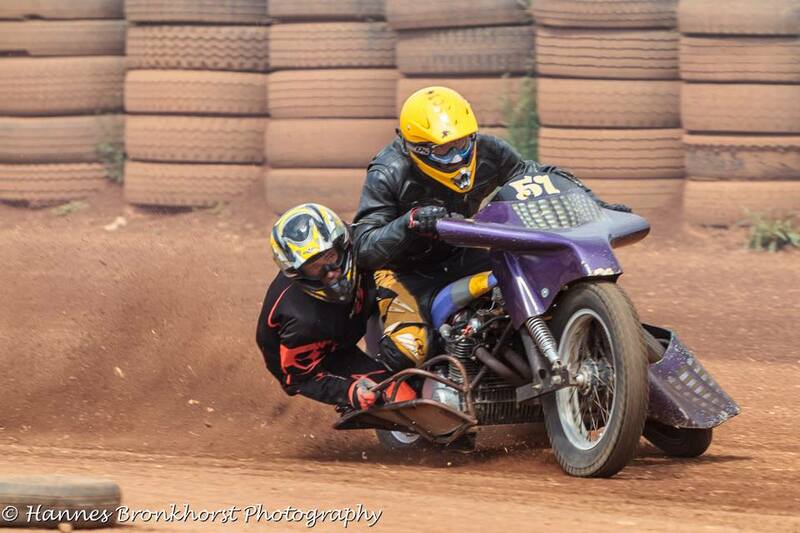 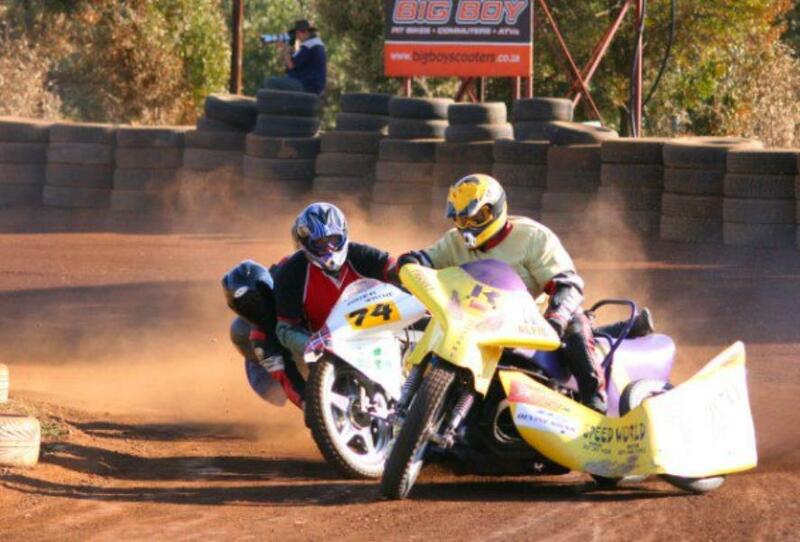 - Sidecar No.46 Riaan Kruger goes around the outside of Derrick Hilliar No.68. 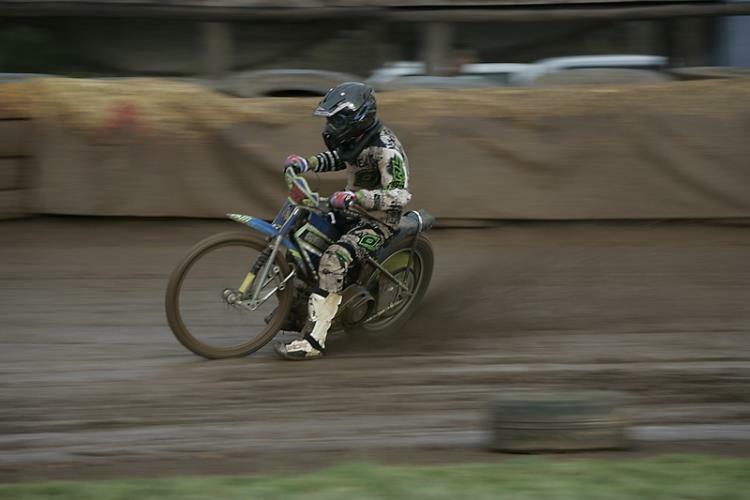 Solo Speedway Click thumbnail to enlarge, then NEXT to progress. 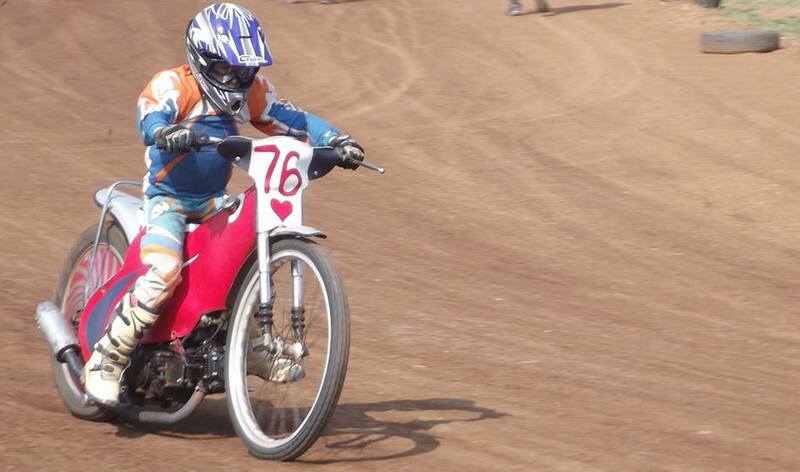 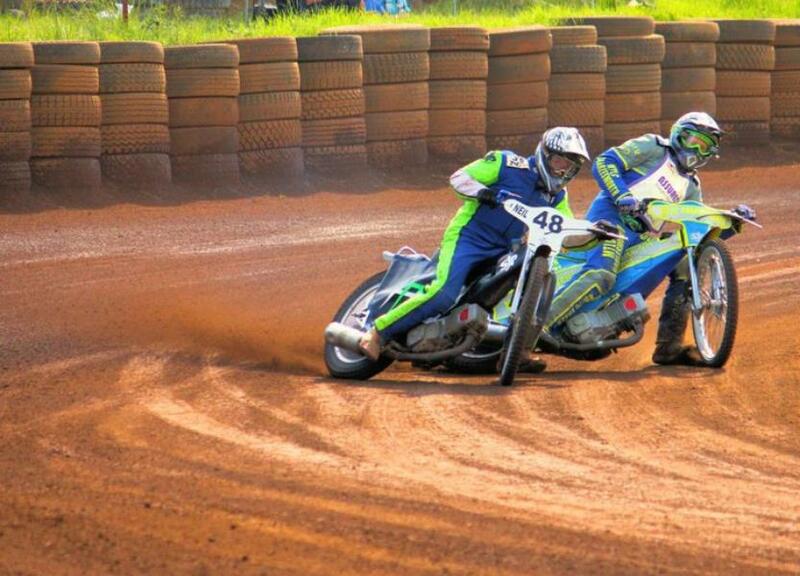 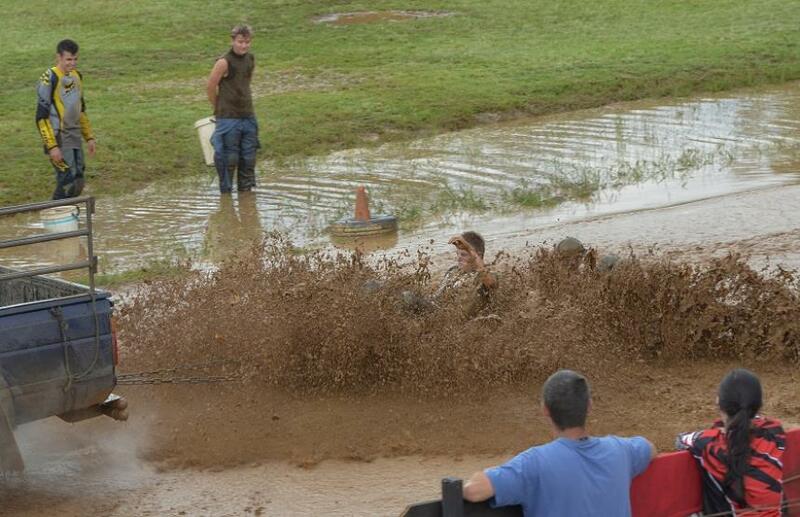 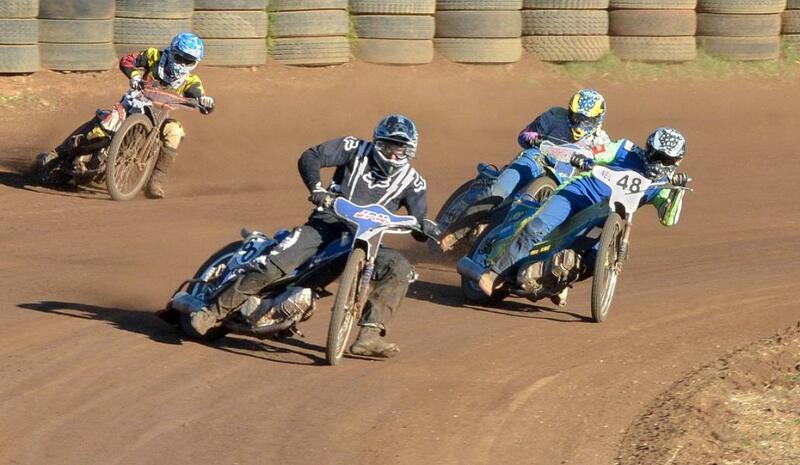 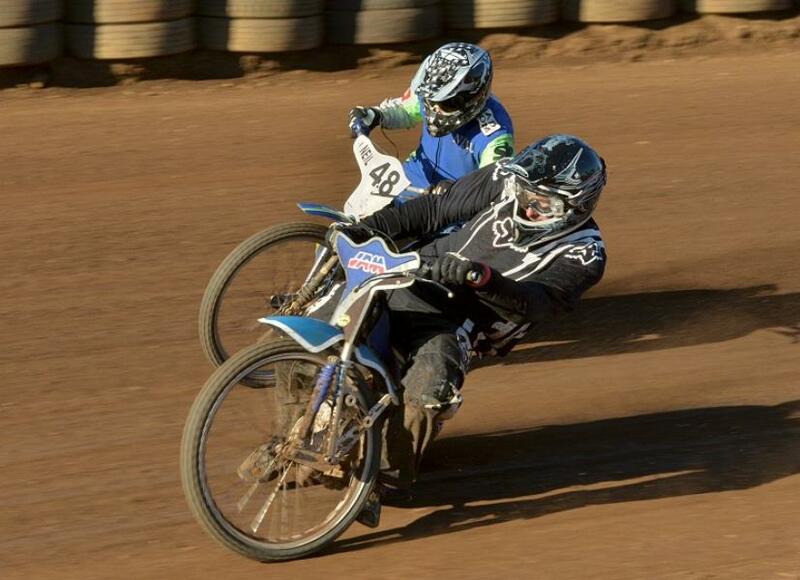 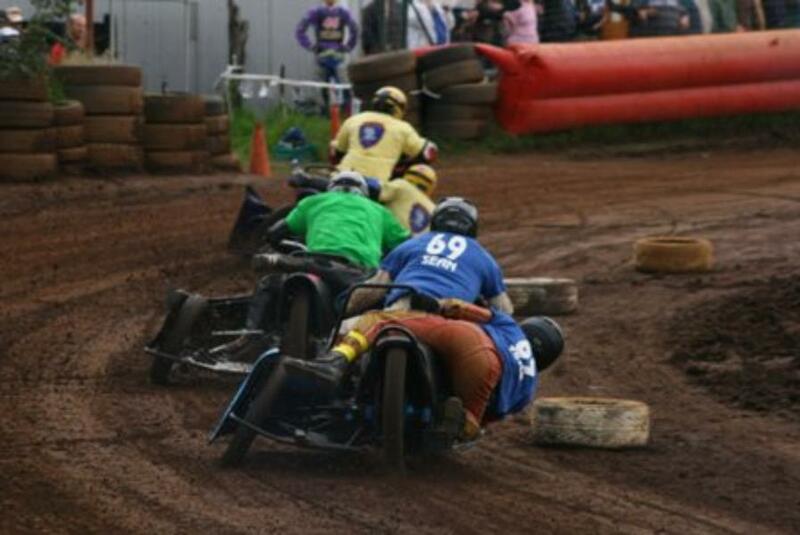 - won by #60, Mac Magill (black); 2nd, #48, Neil Pettit (blue). 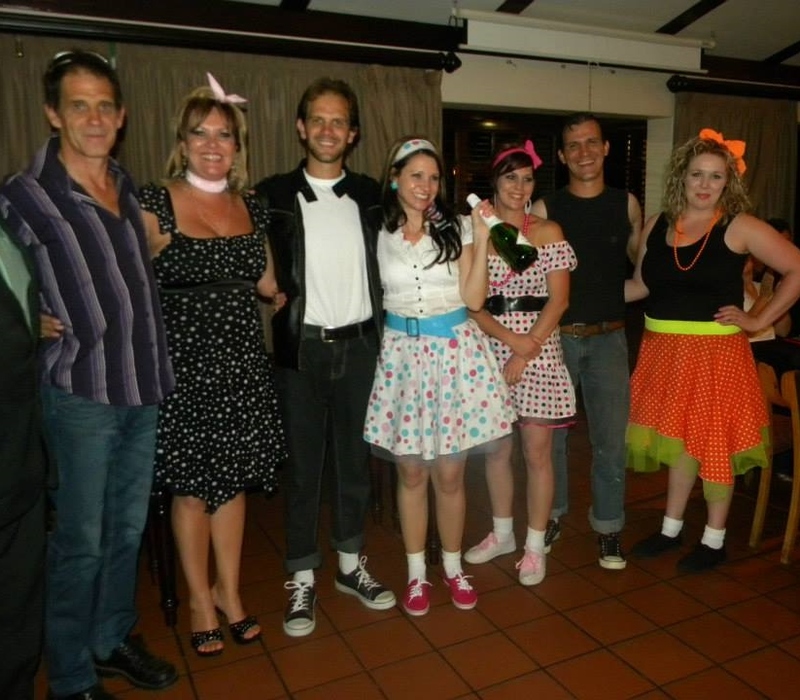 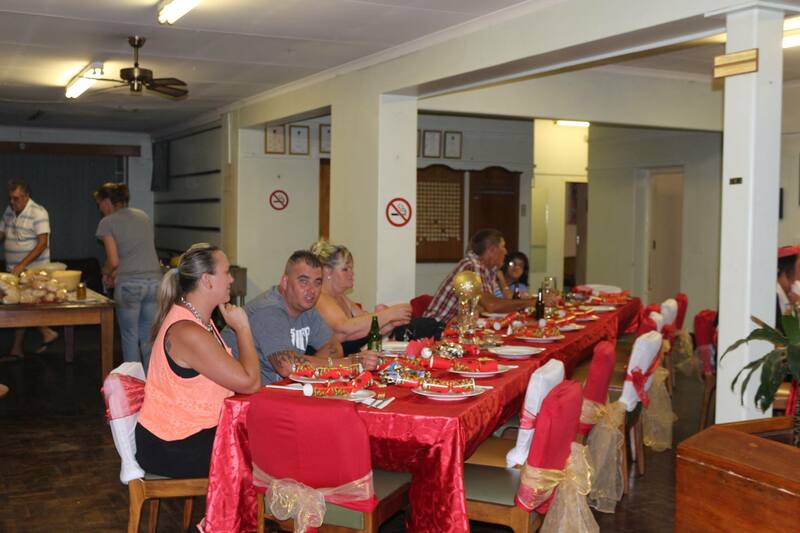 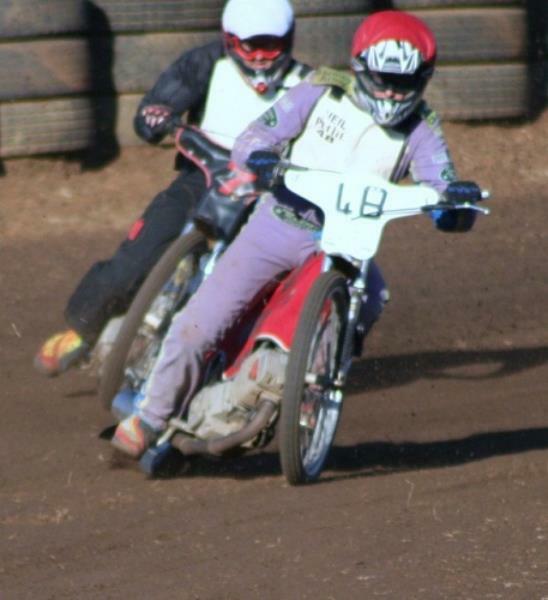 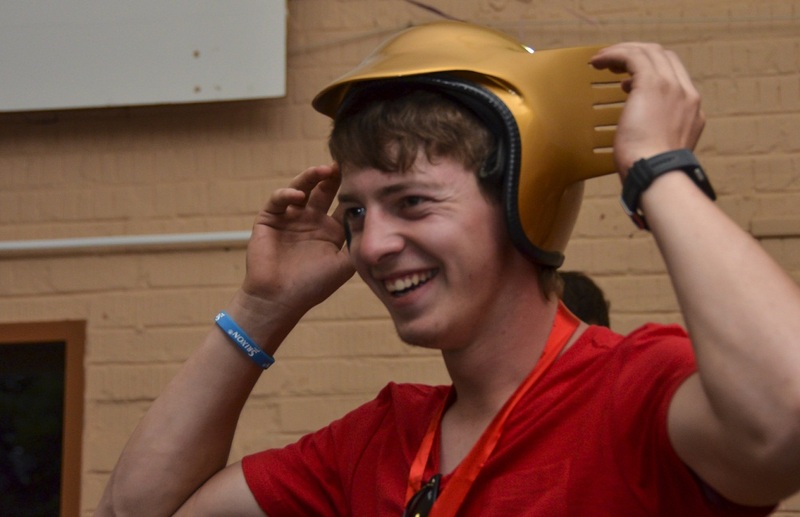 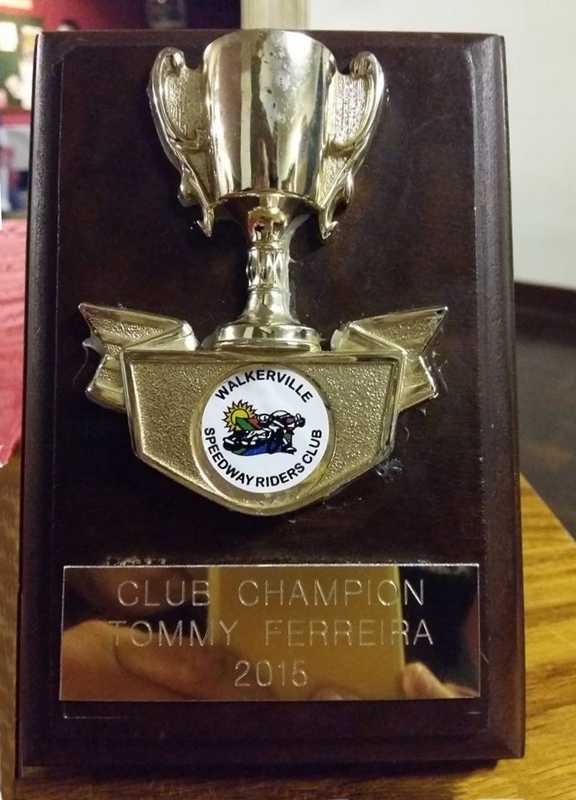 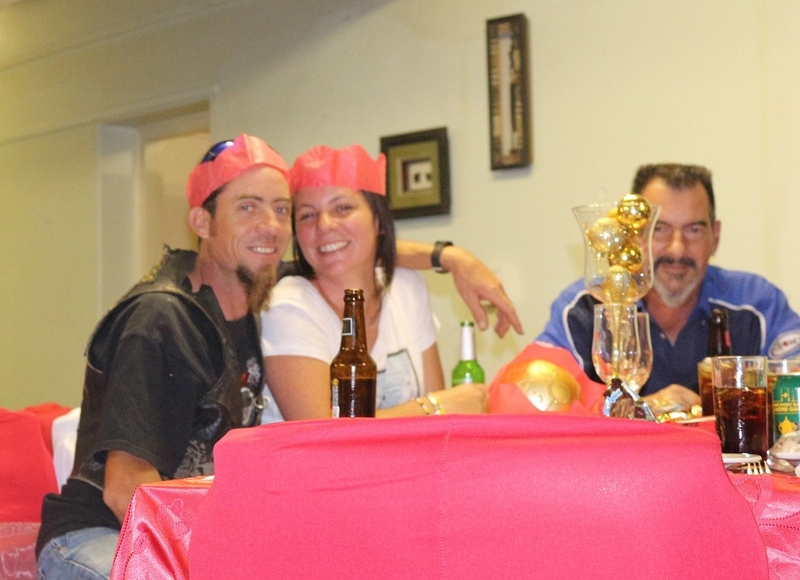 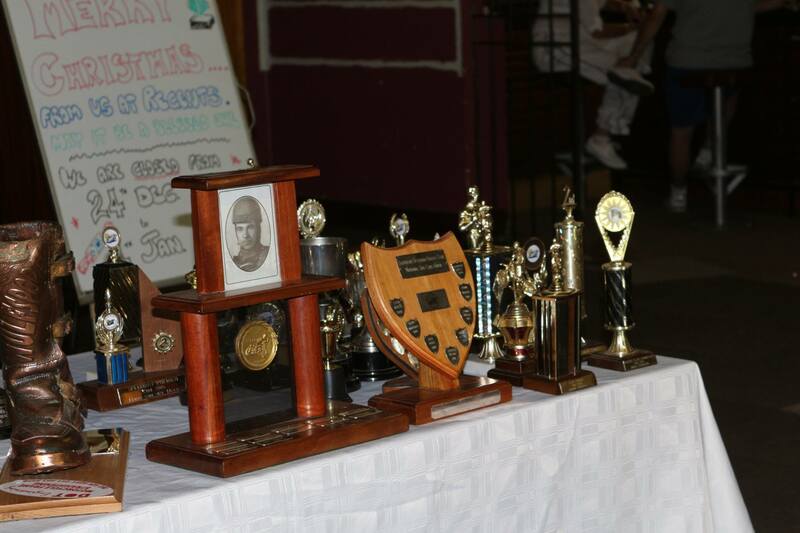 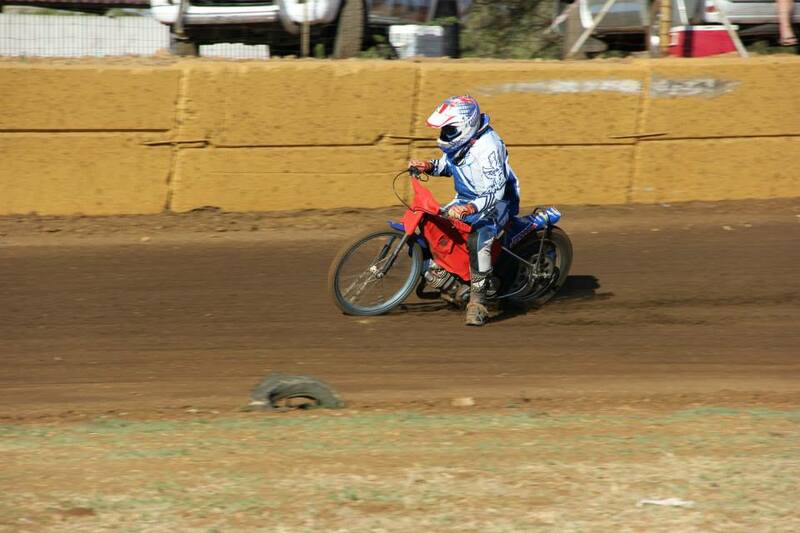 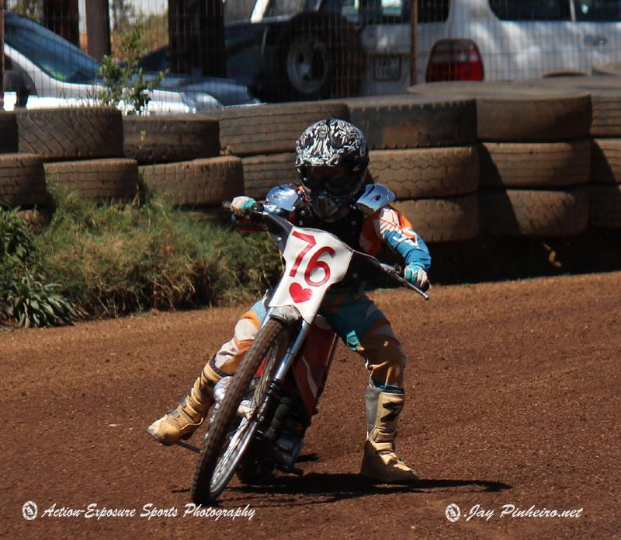 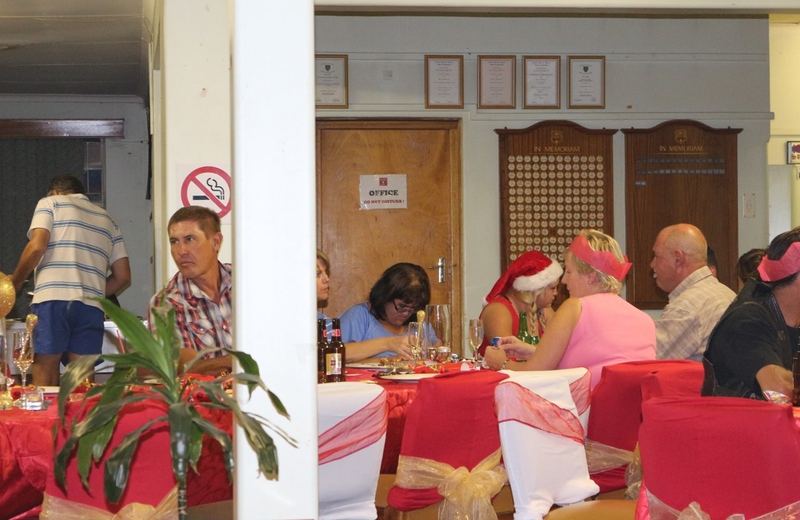 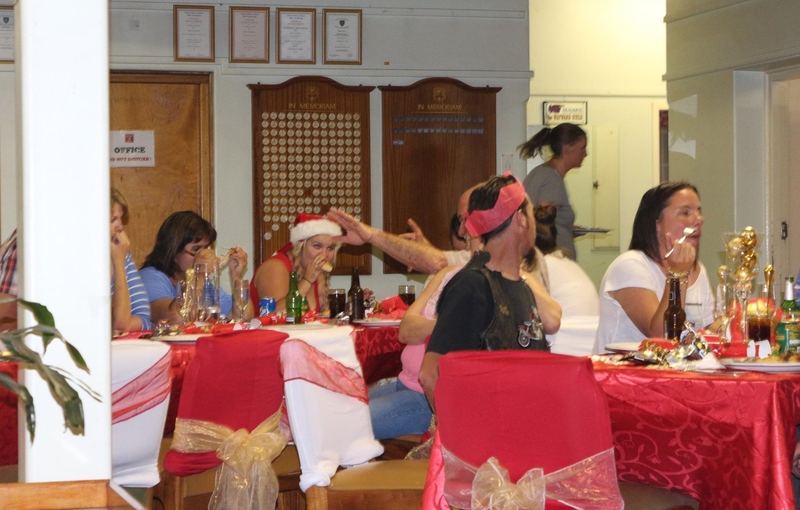 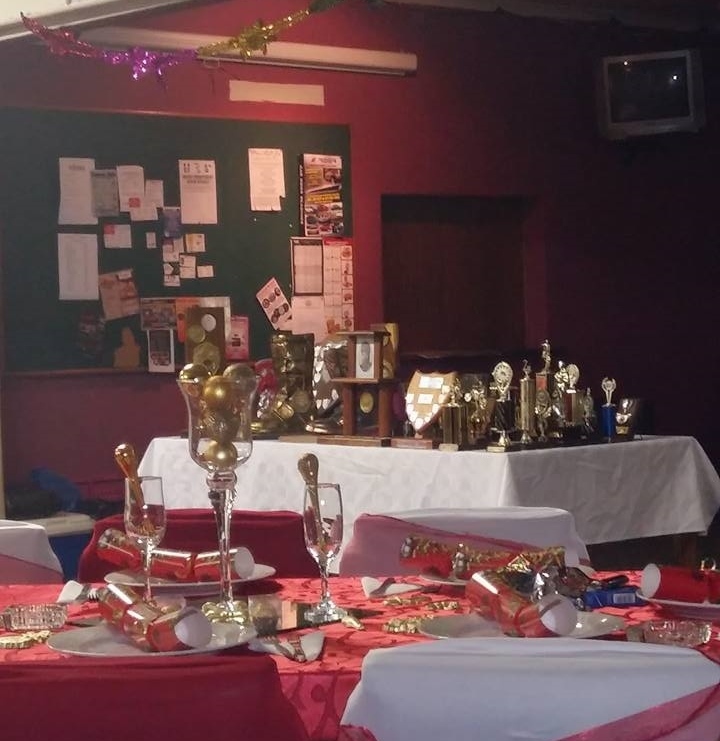 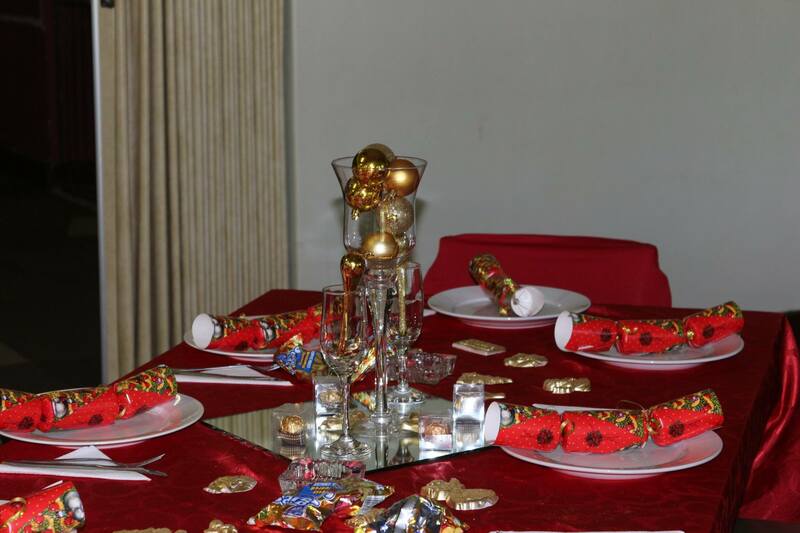 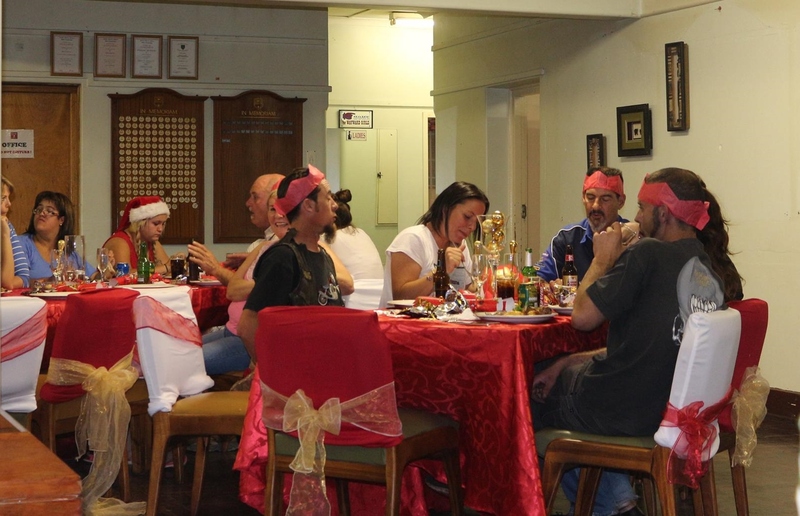 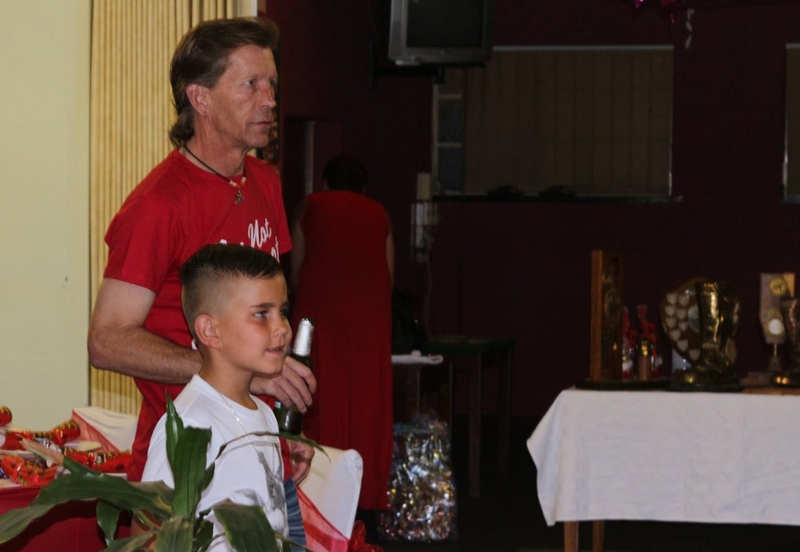 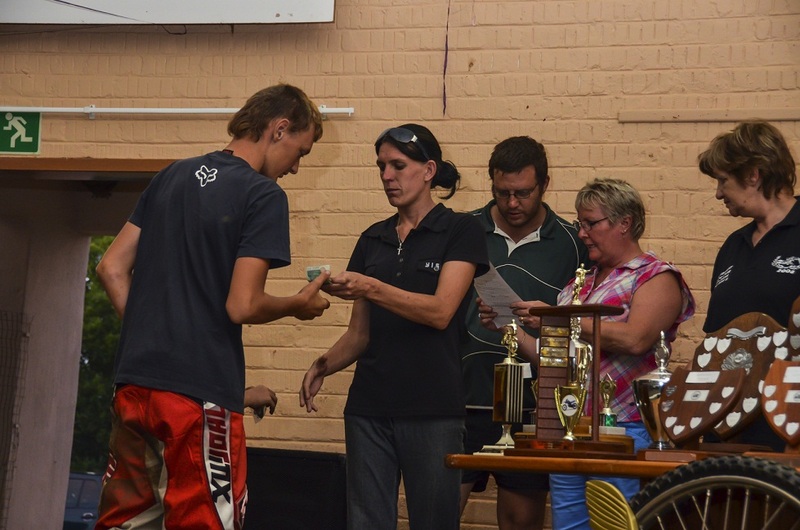 Walkerville, 29 Oct. 2012: Golden Helmet & Silver Sash Event. 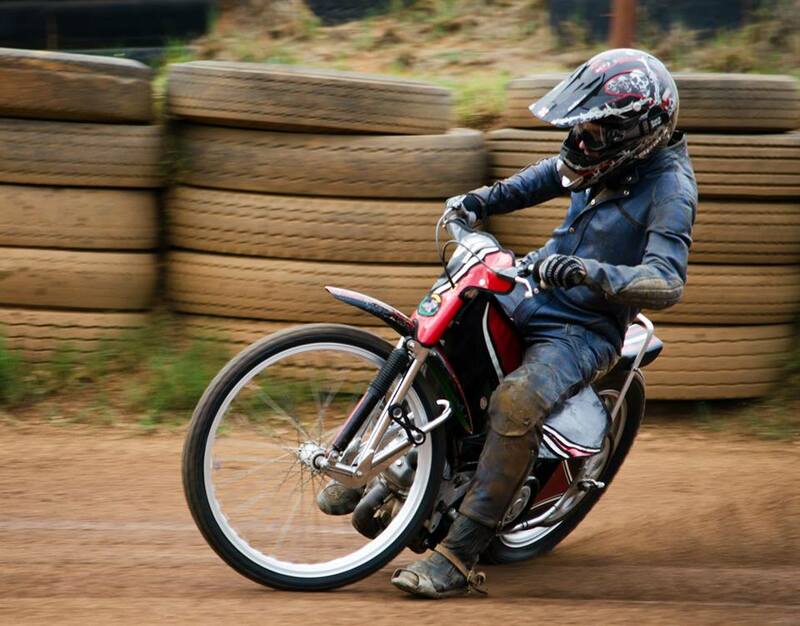 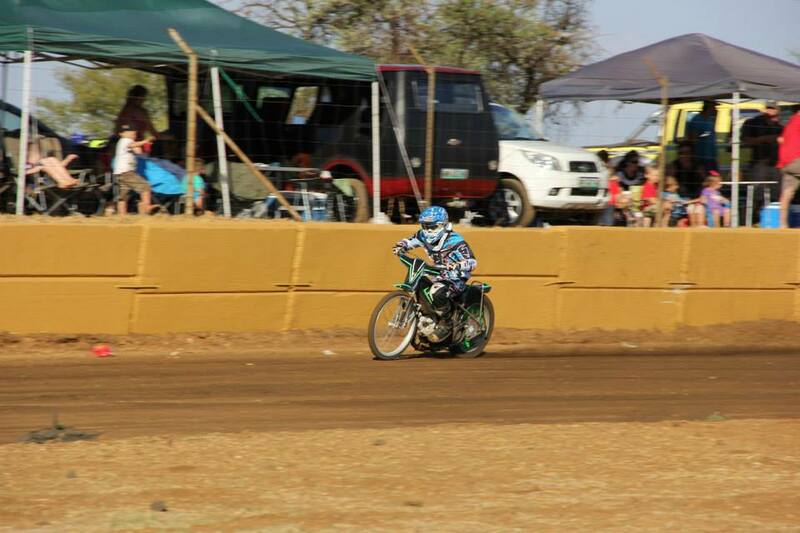 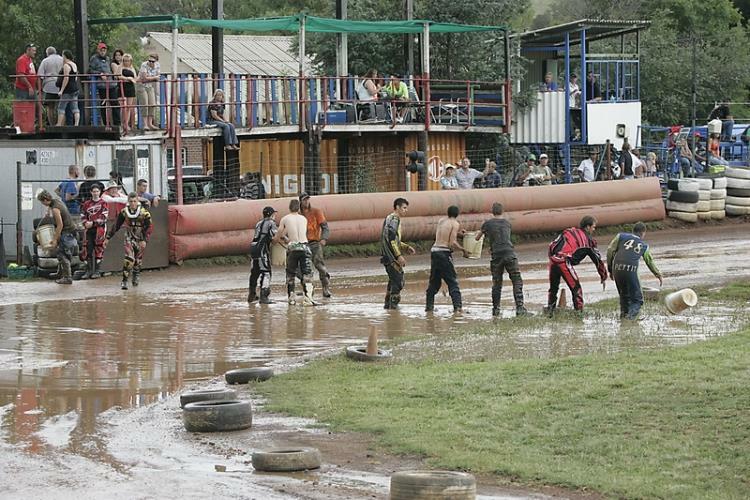 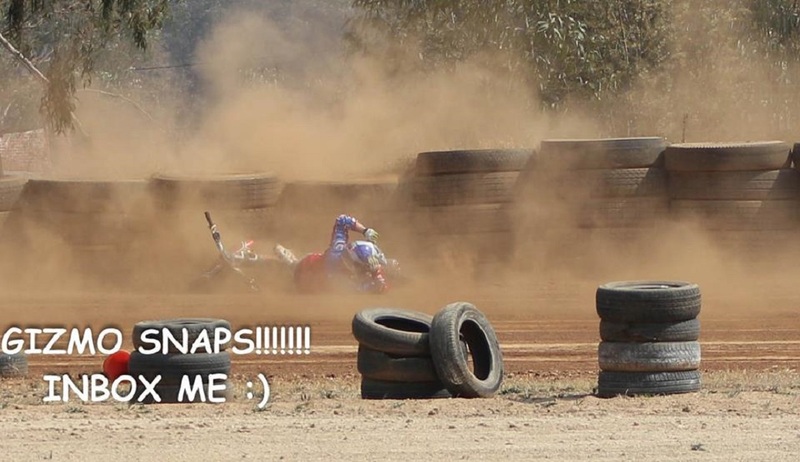 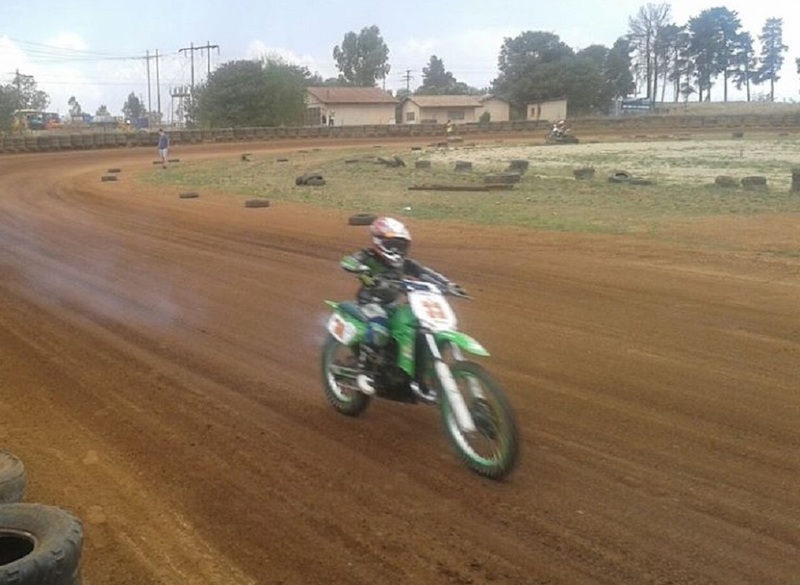 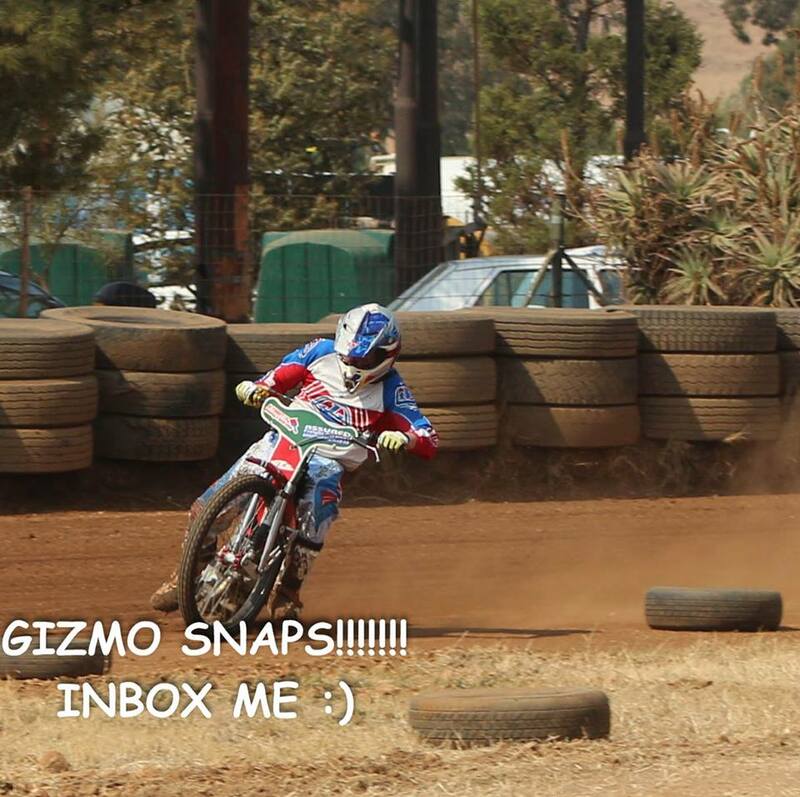 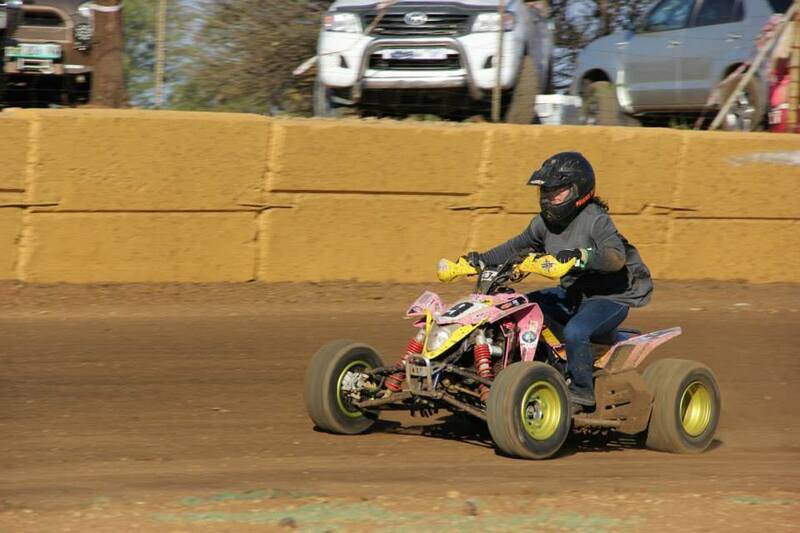 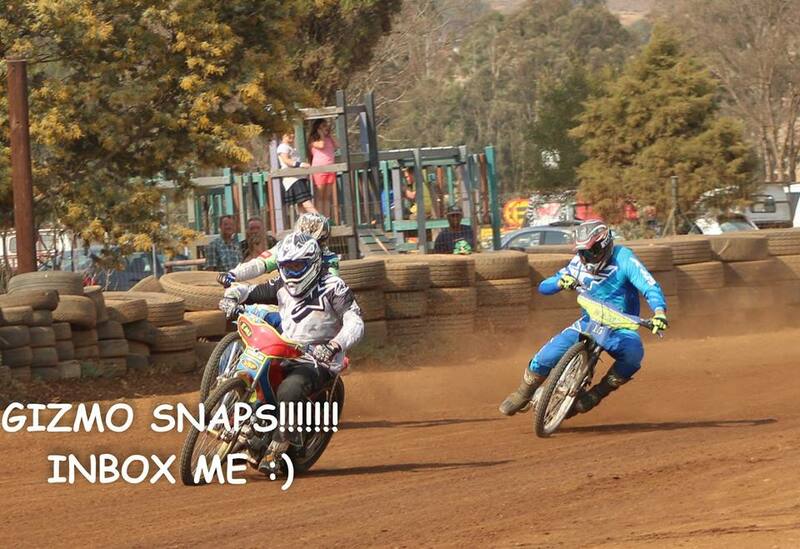 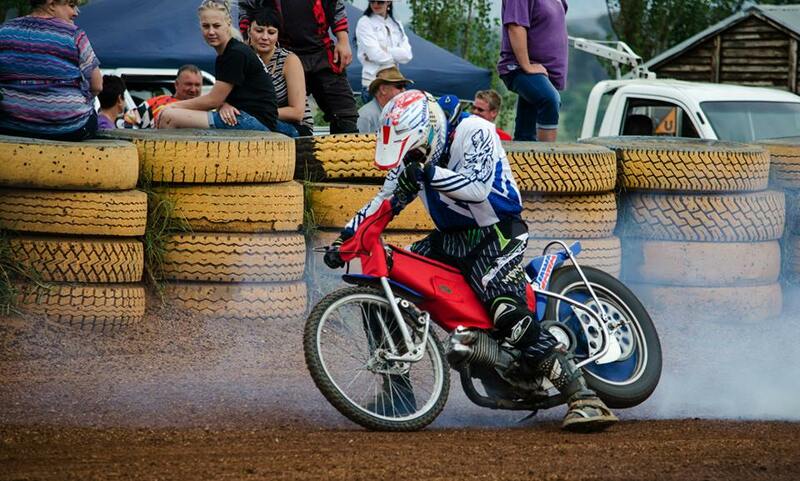 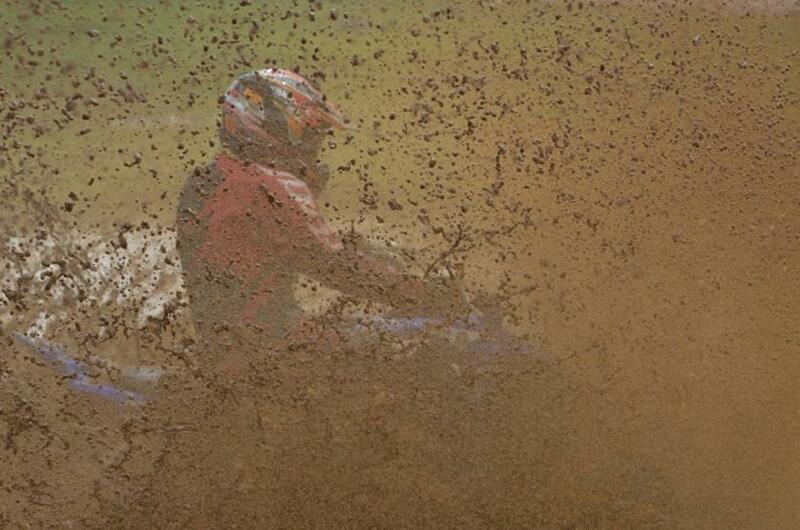 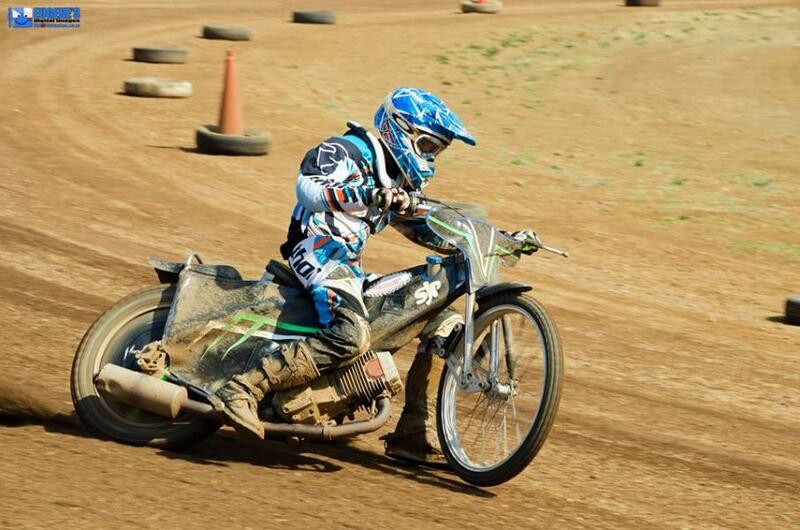 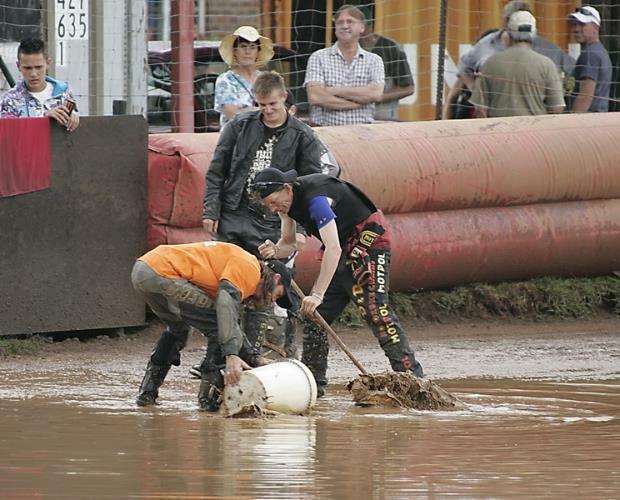 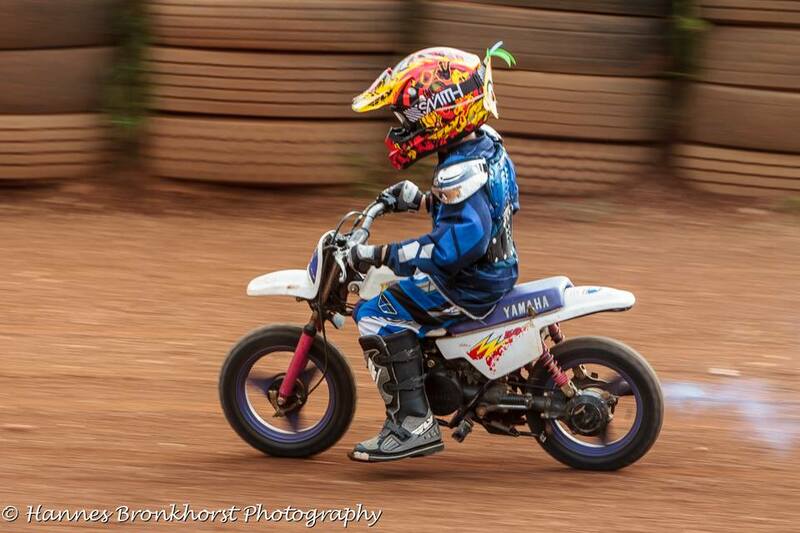 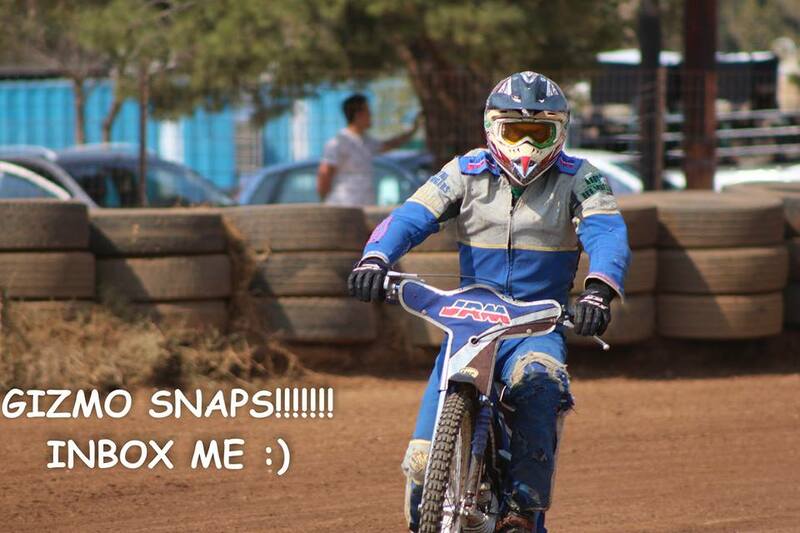 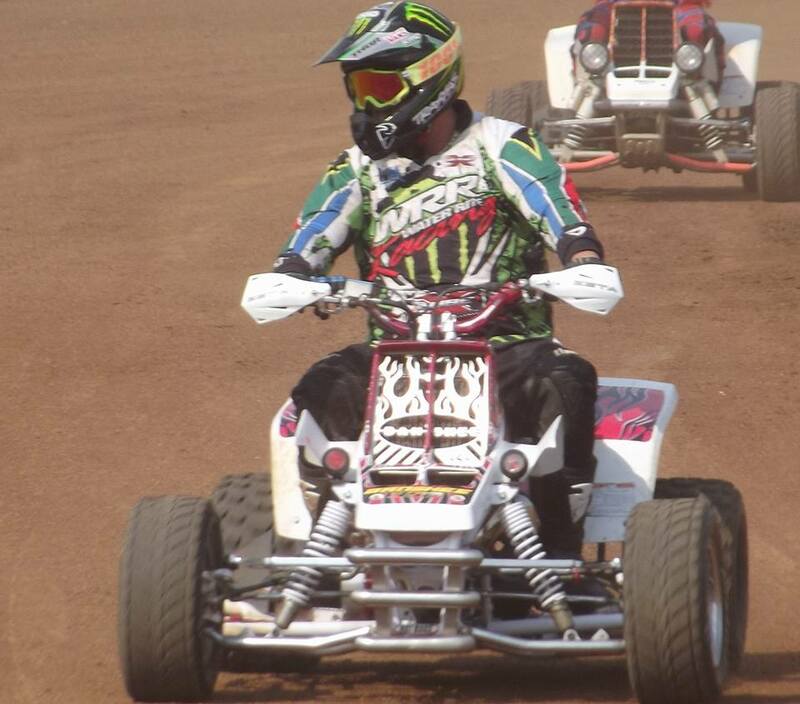 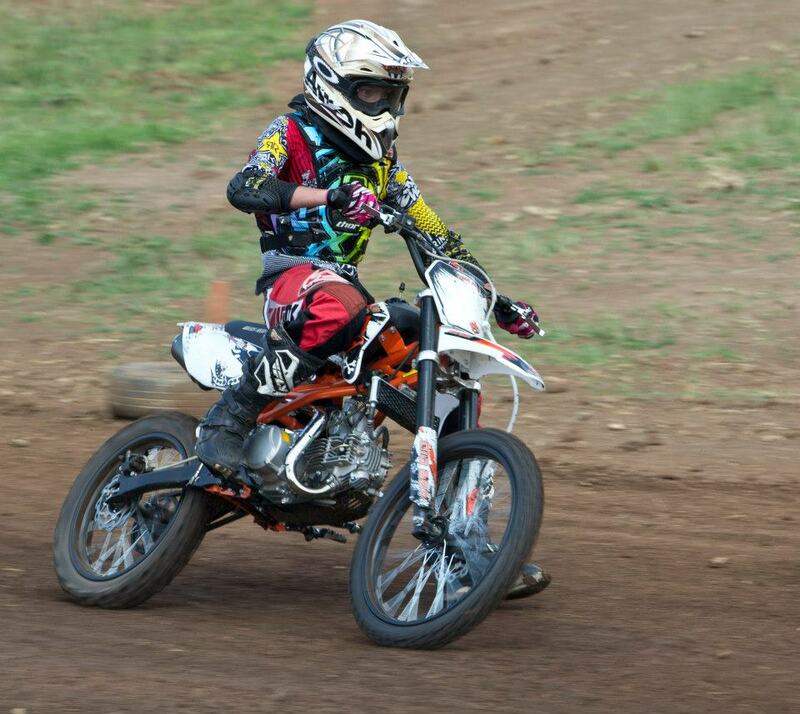 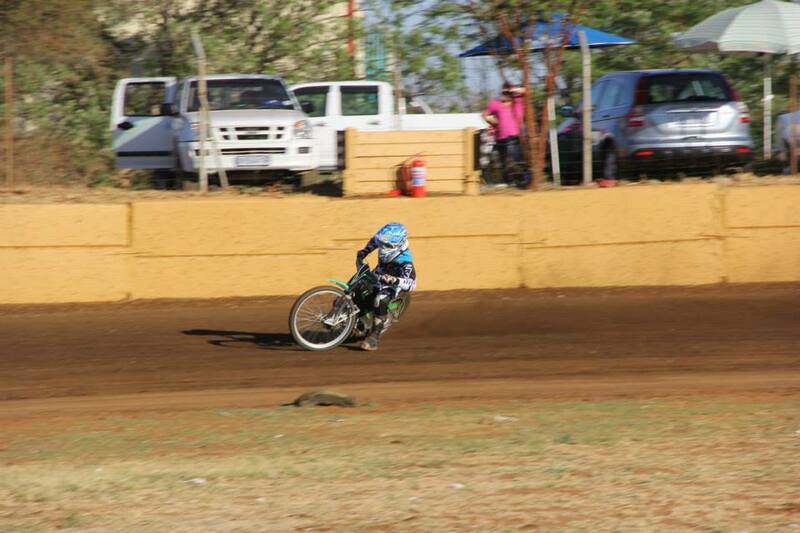 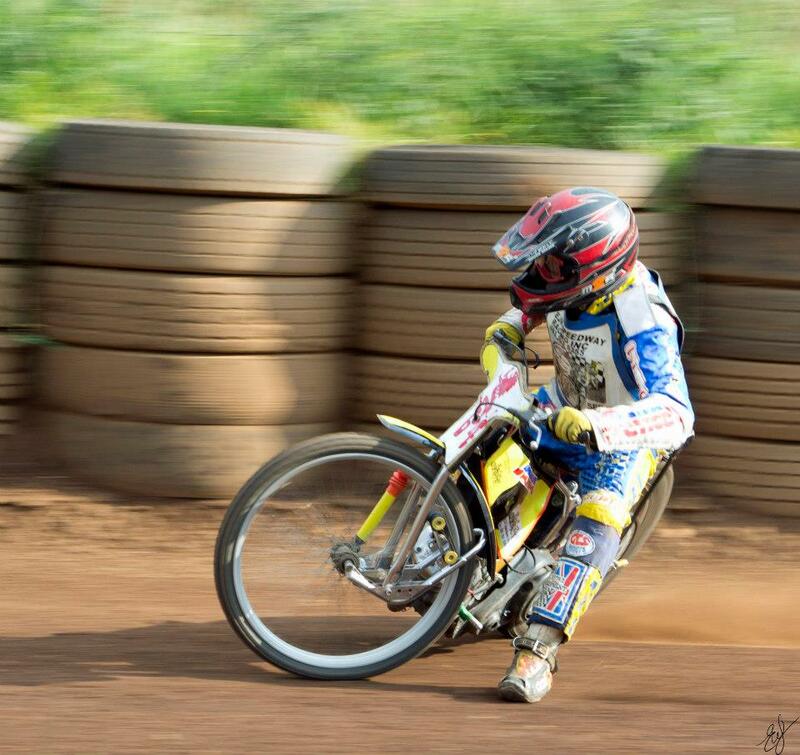 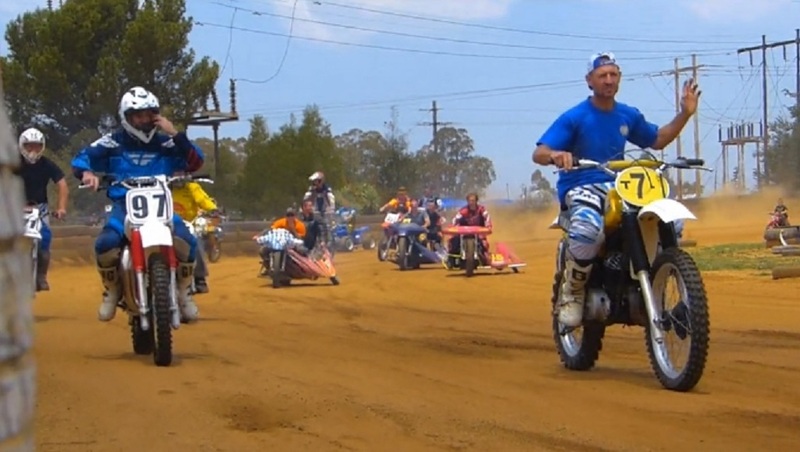 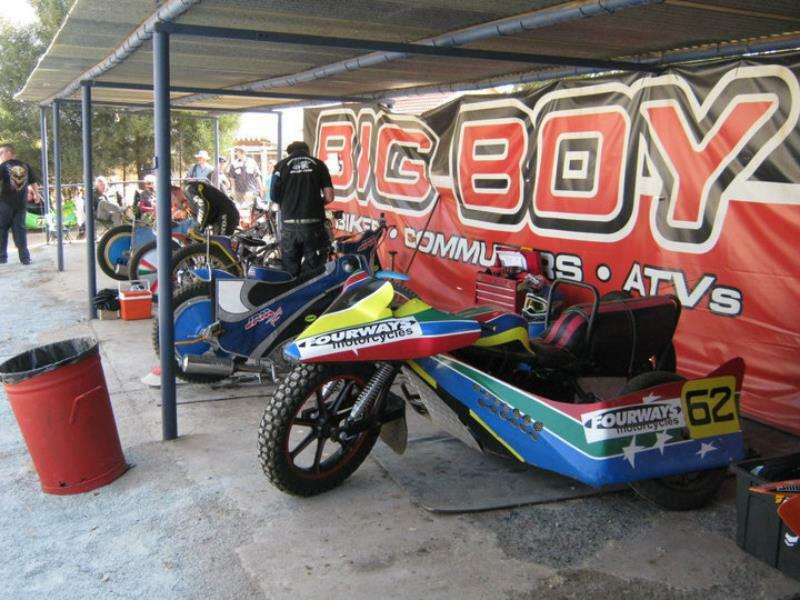 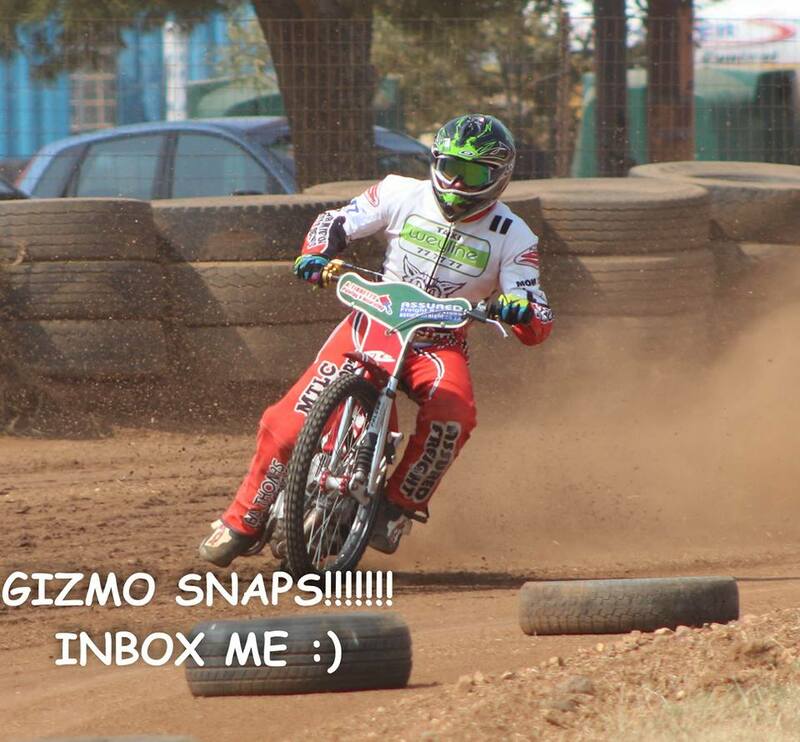 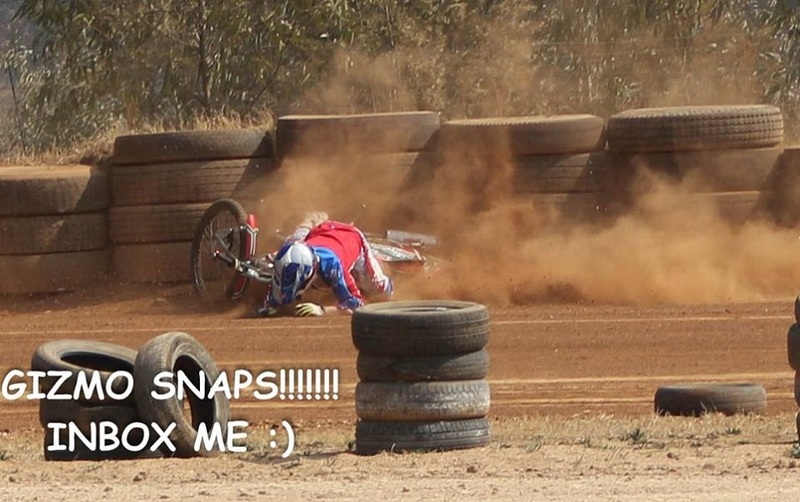 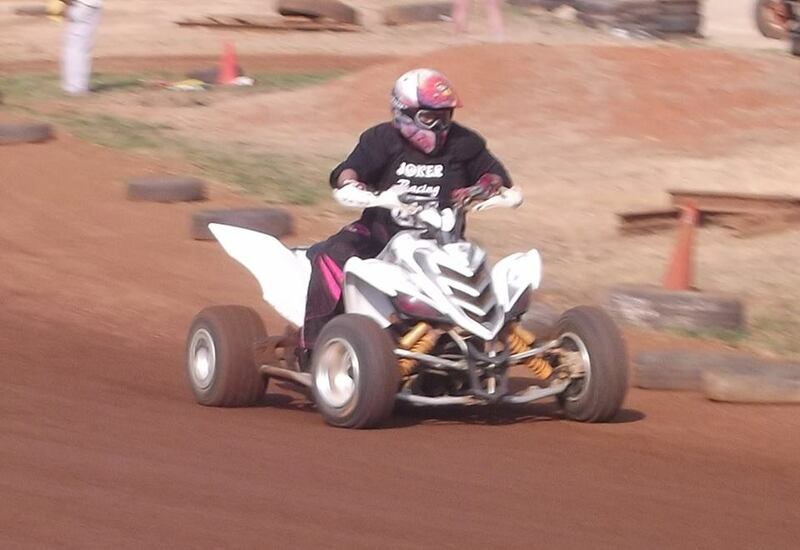 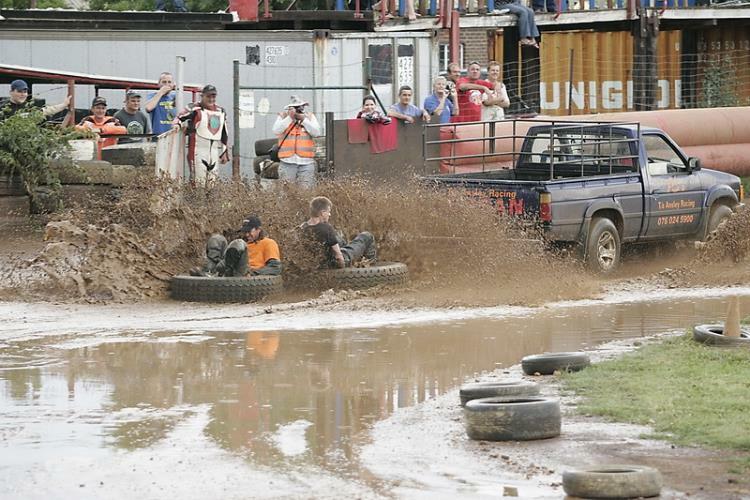 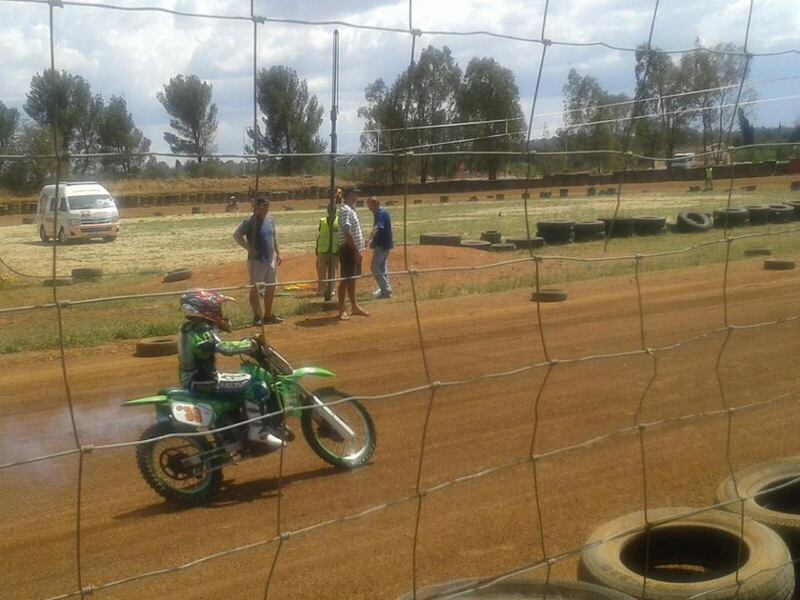 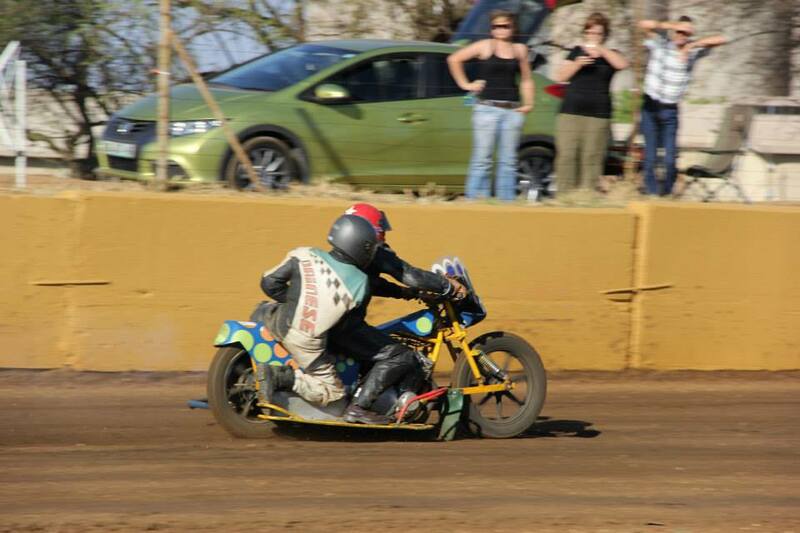 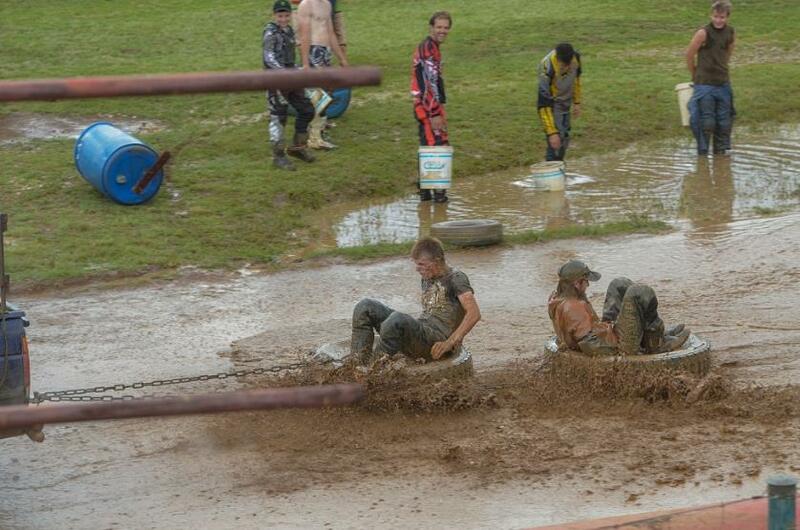 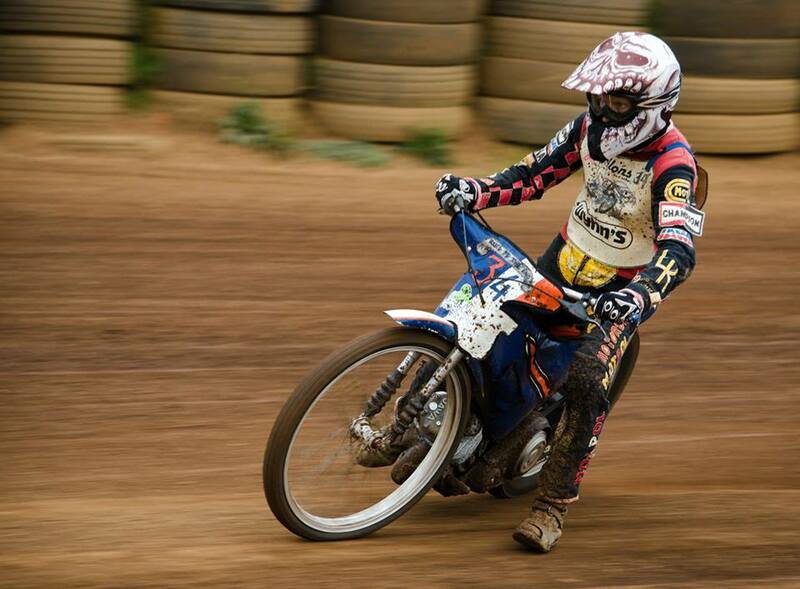 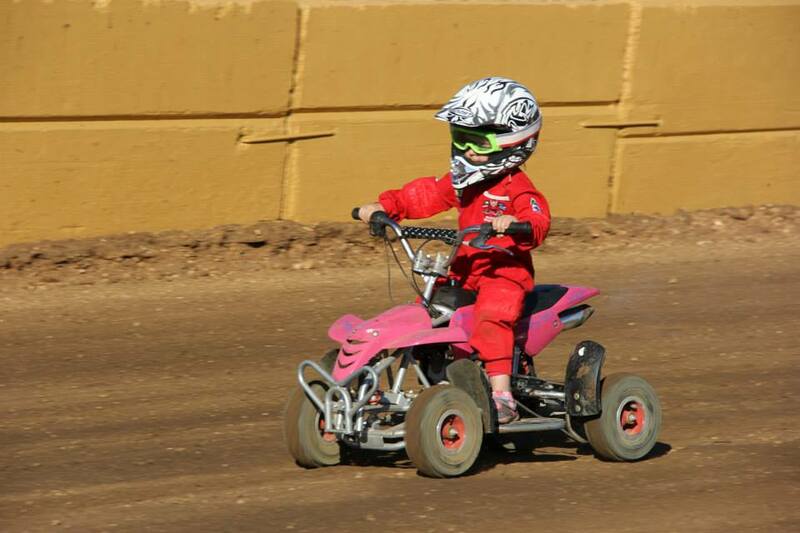 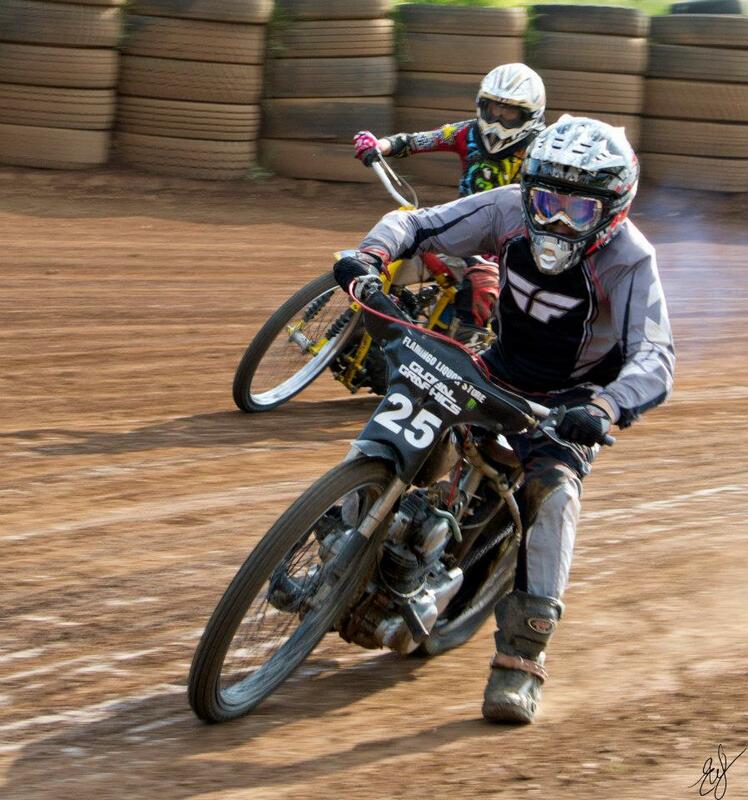 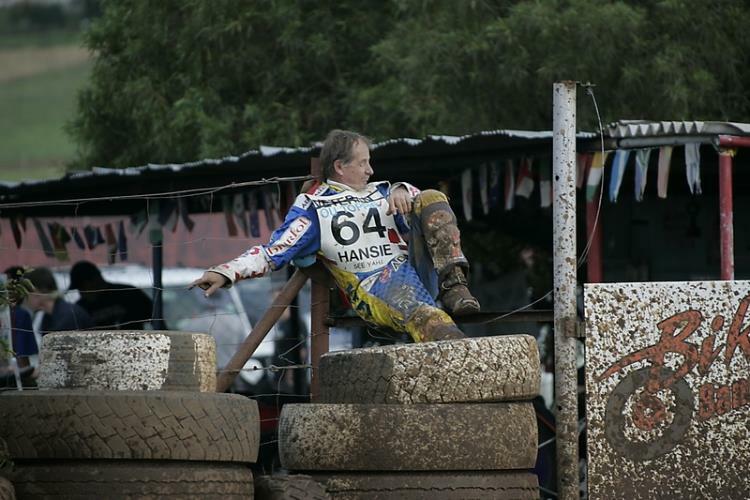 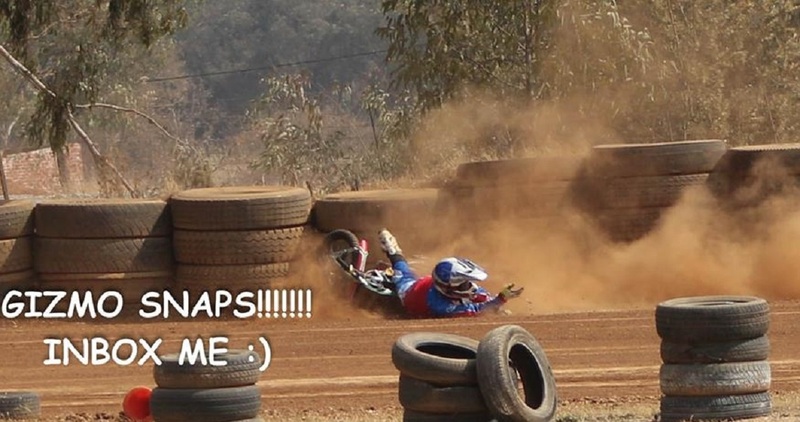 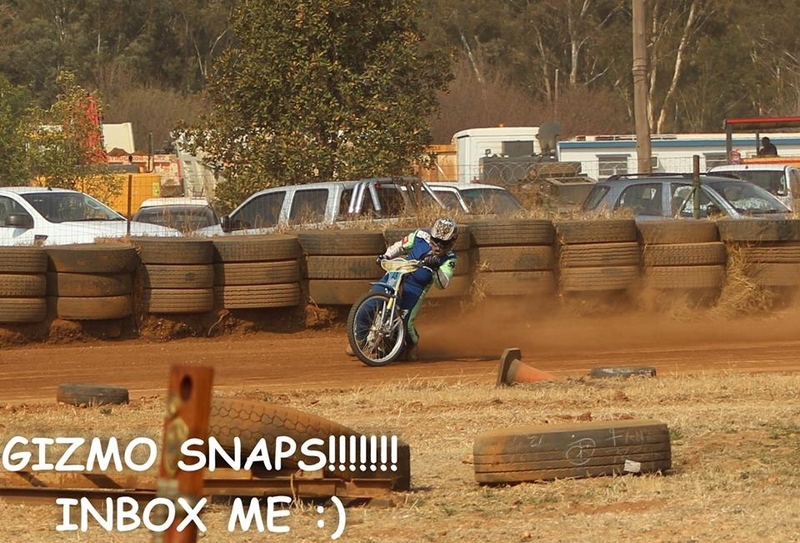 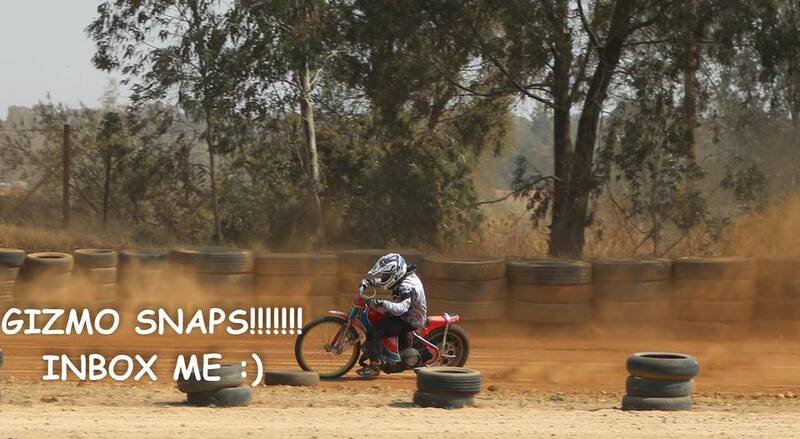 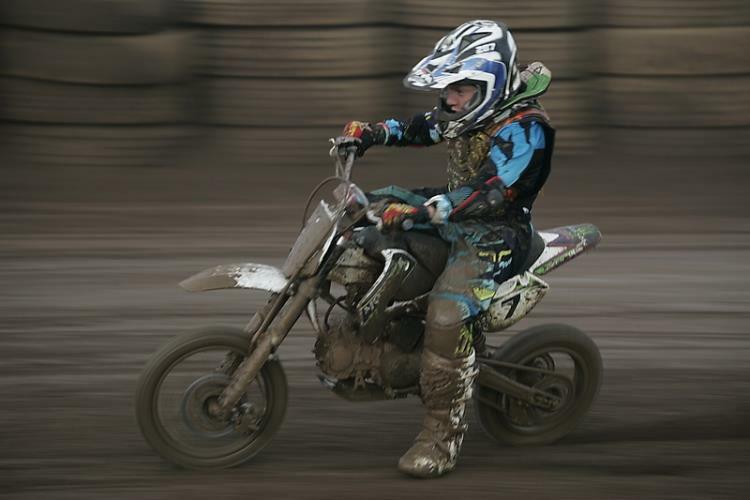 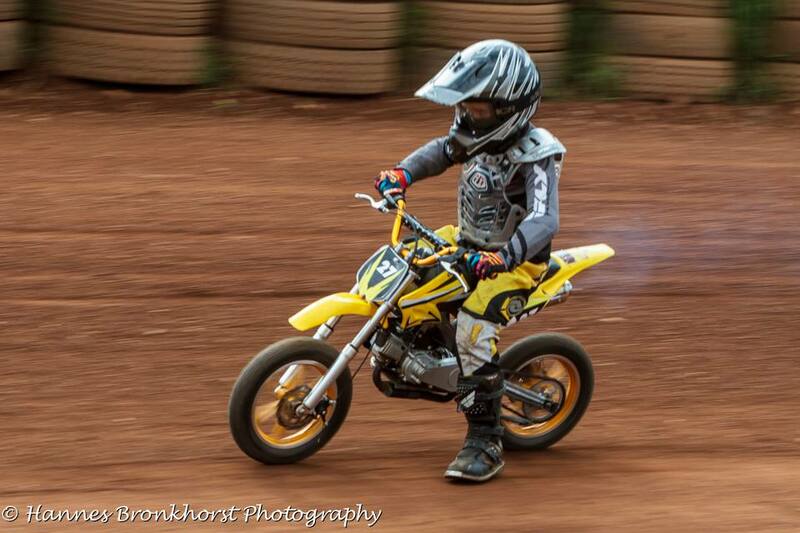 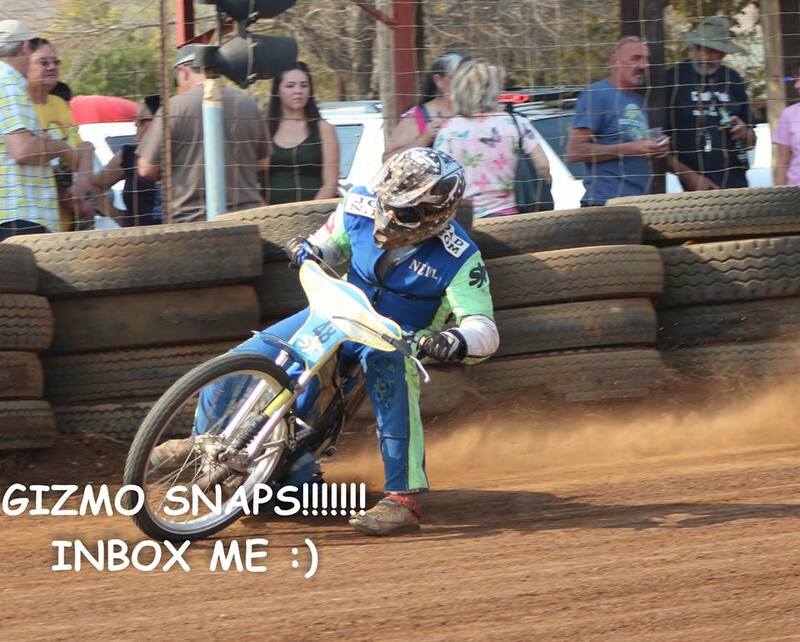 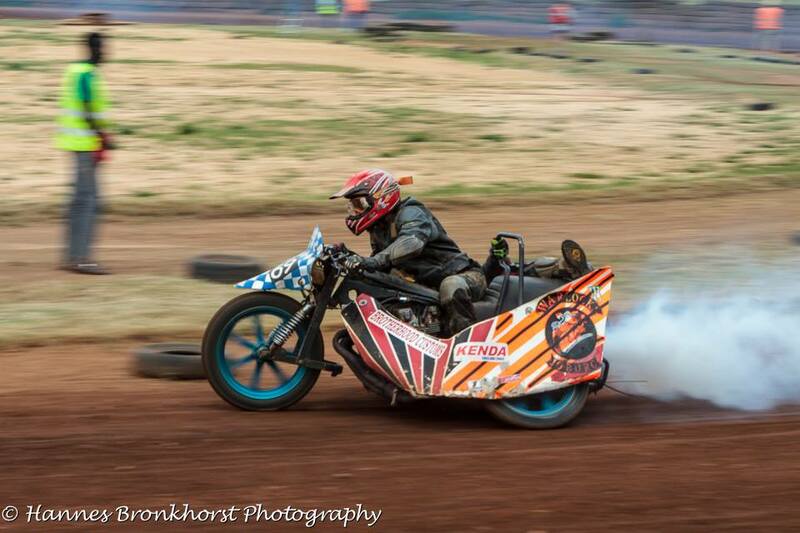 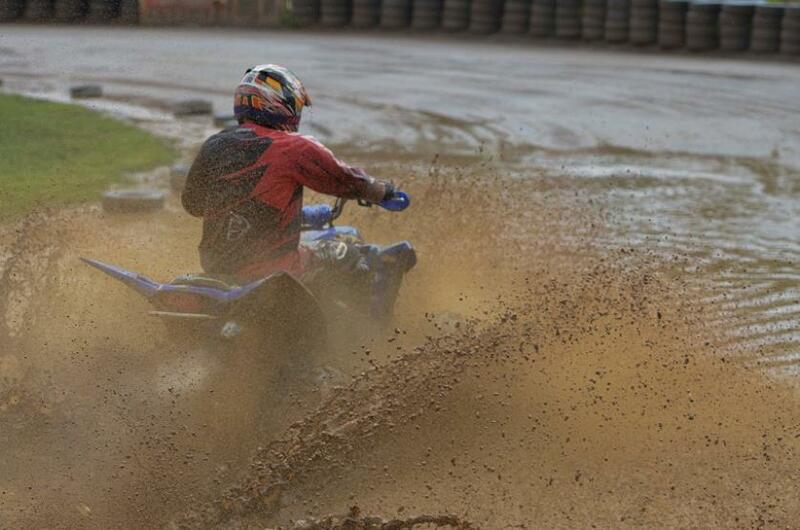 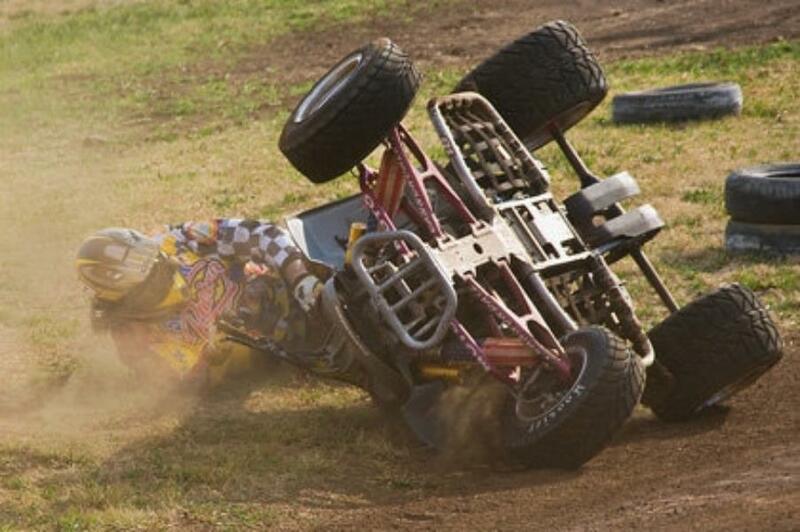 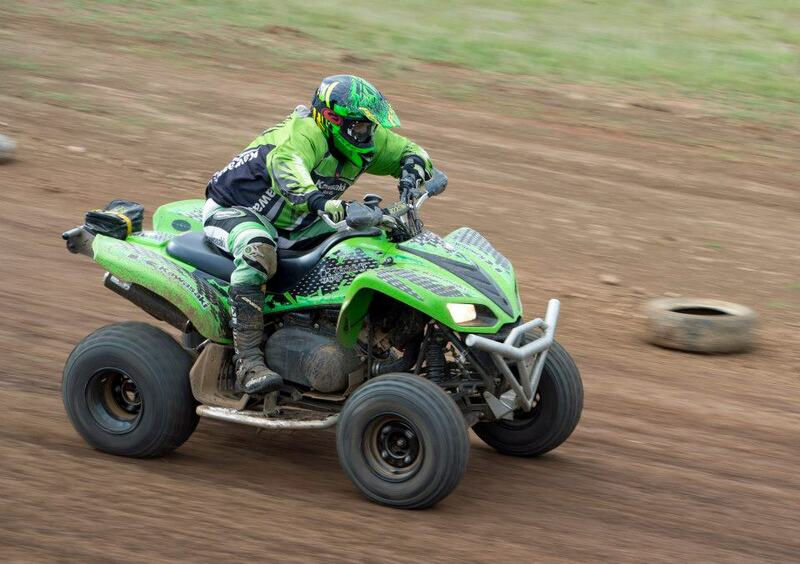 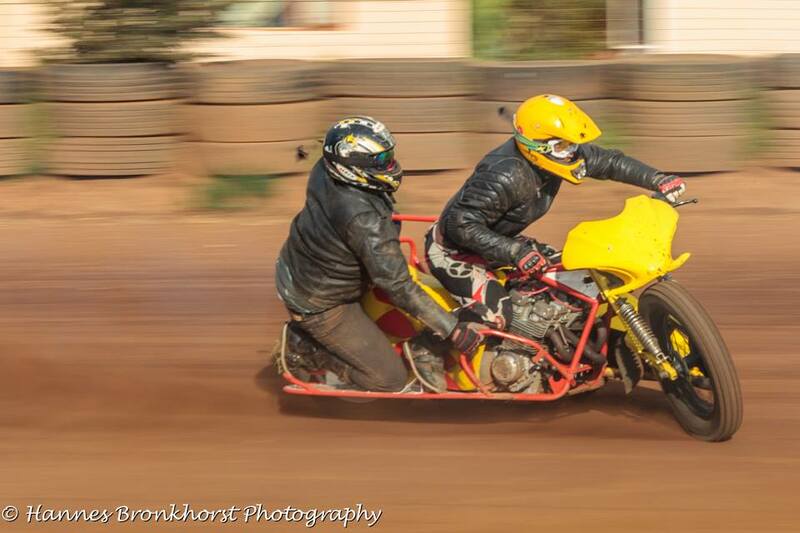 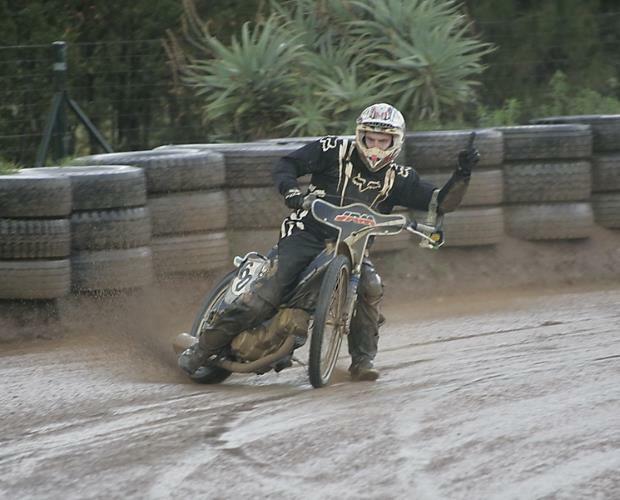 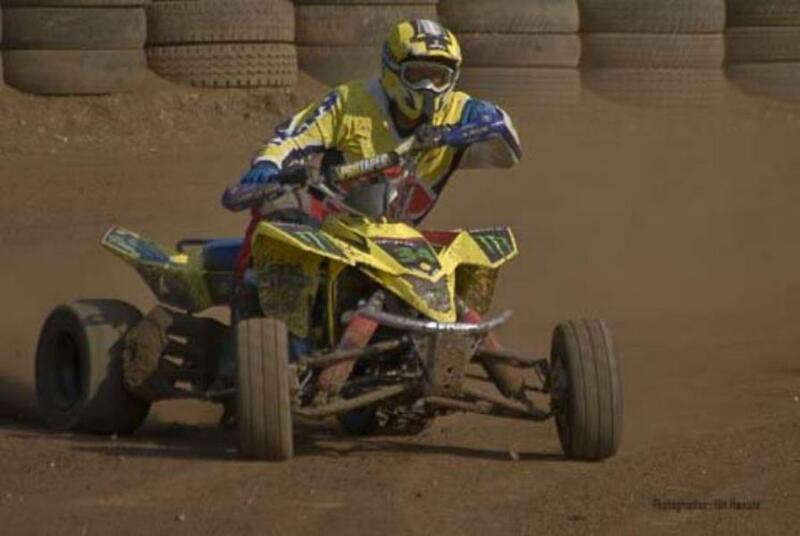 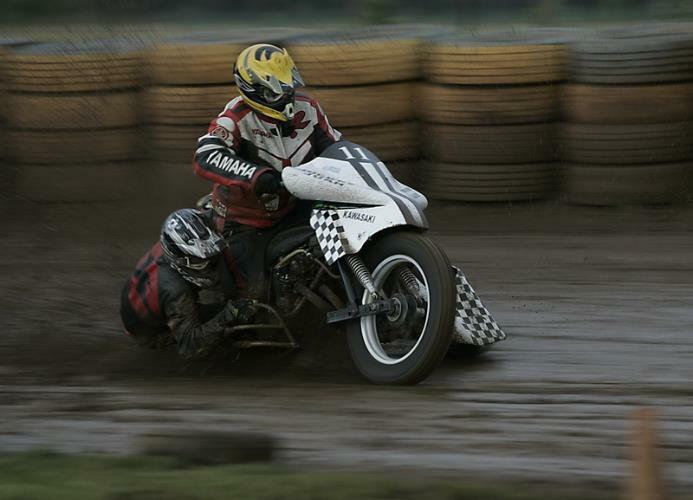 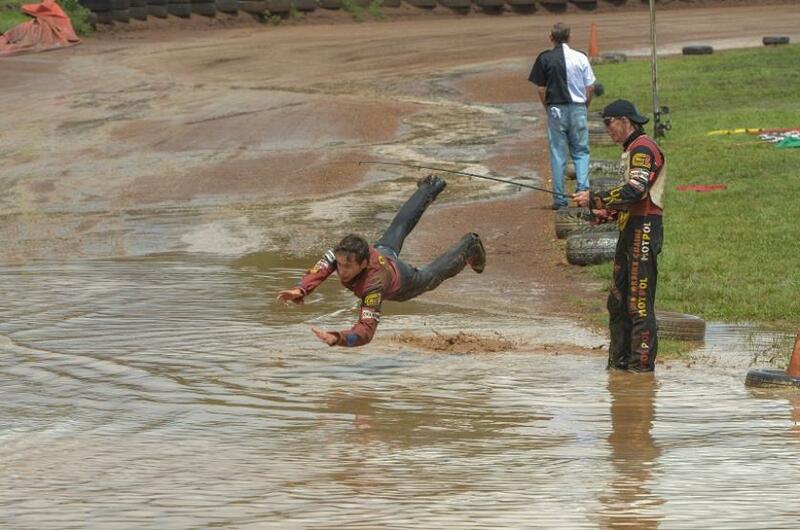 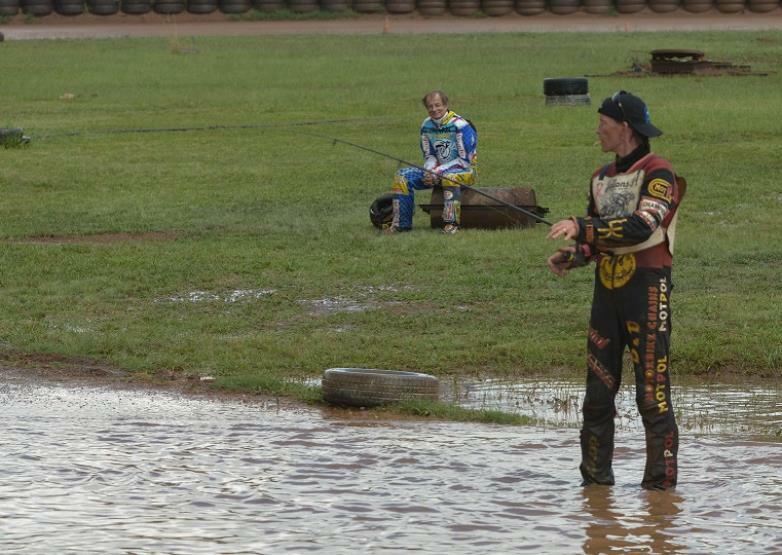 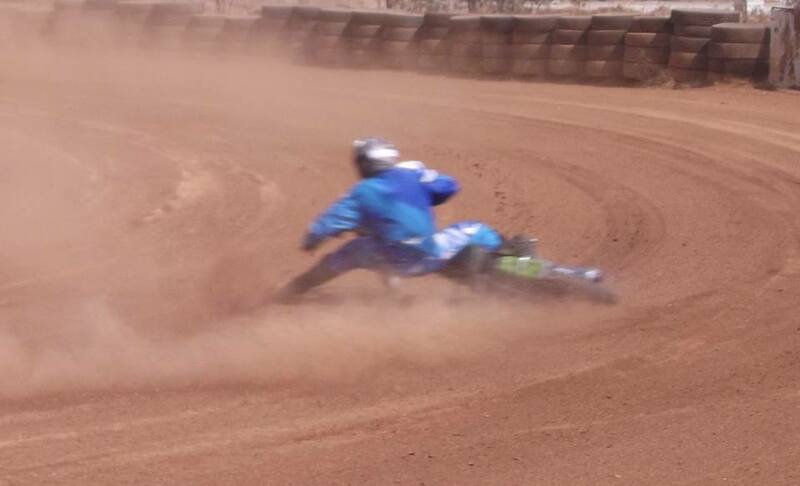 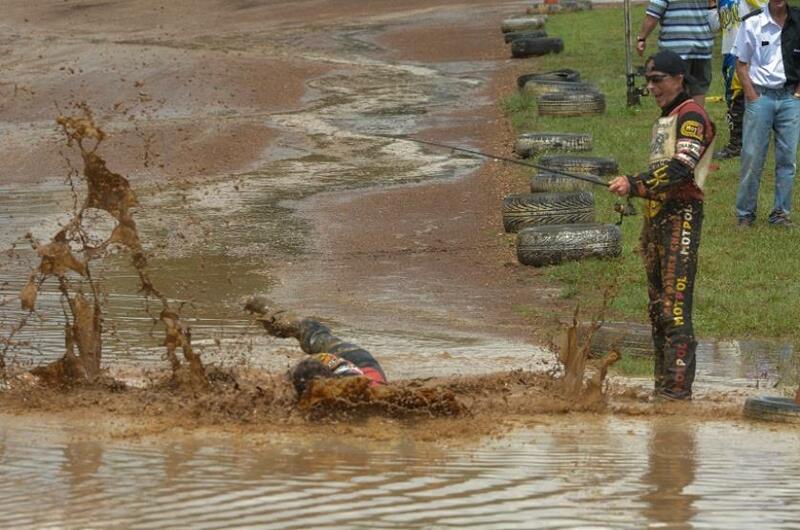 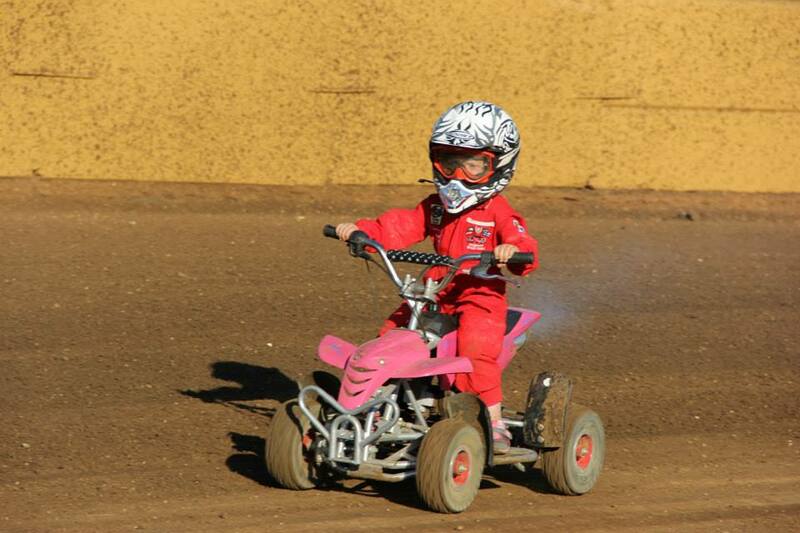 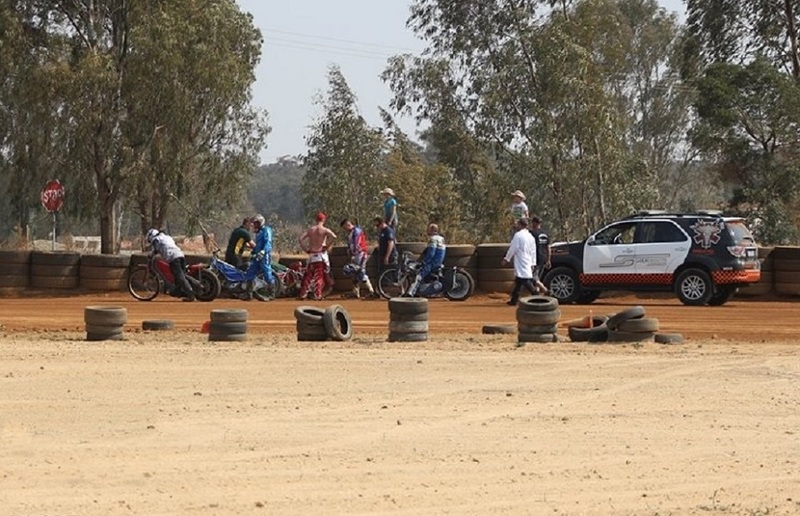 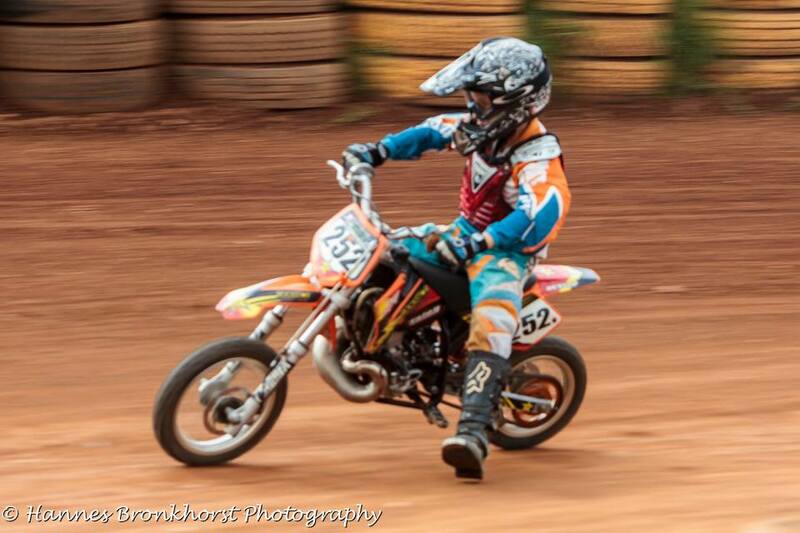 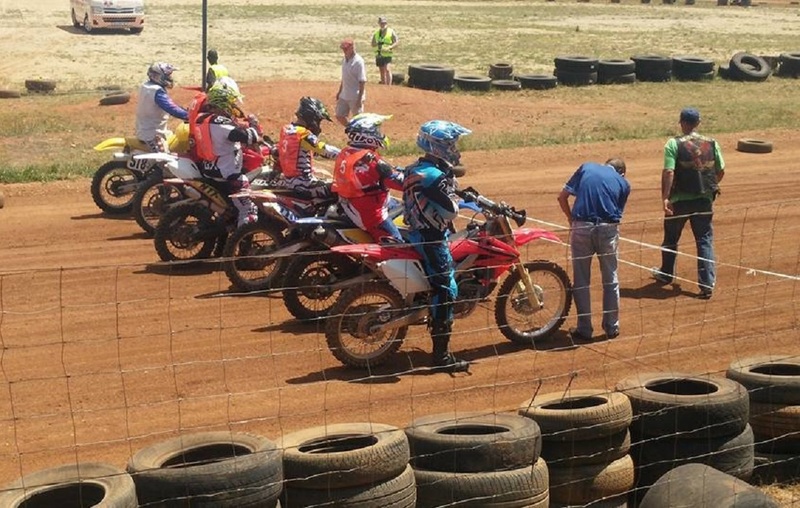 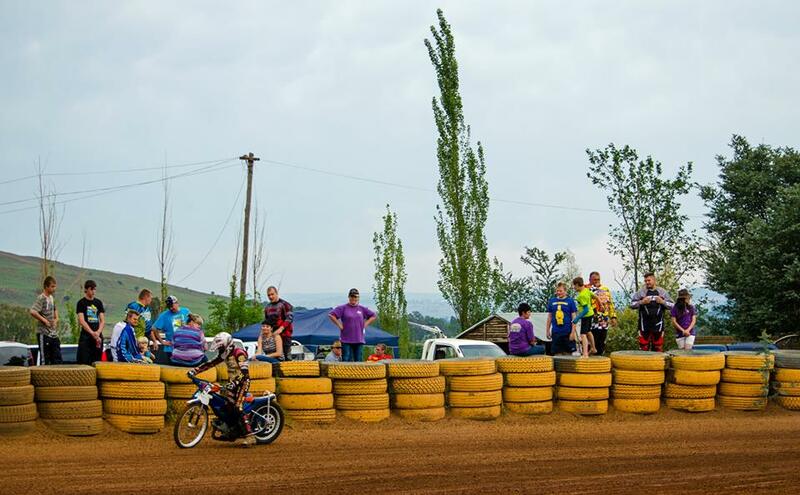 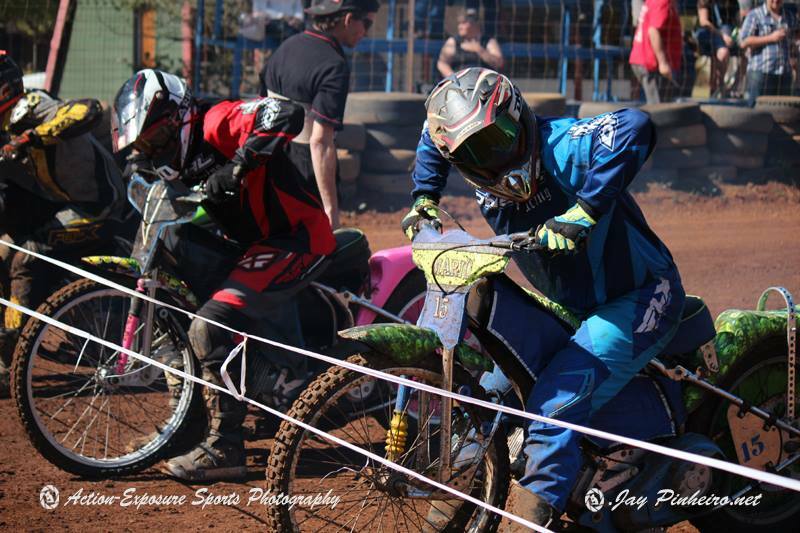 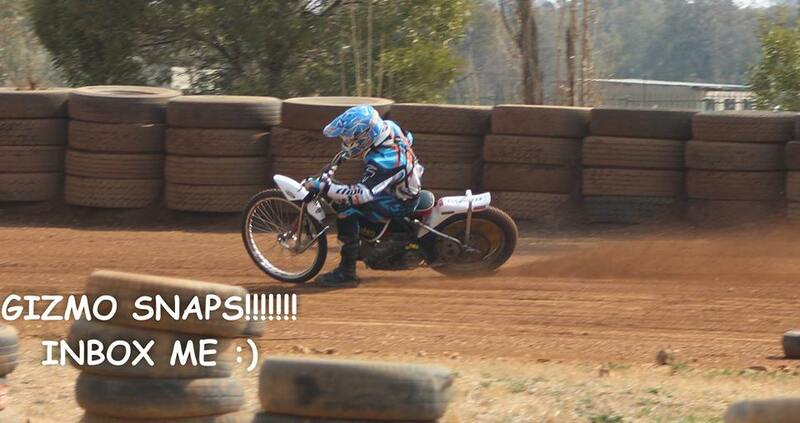 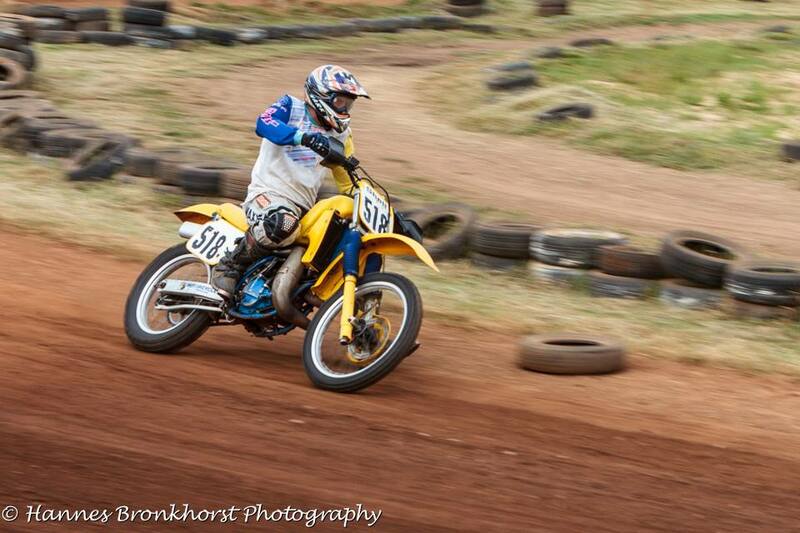 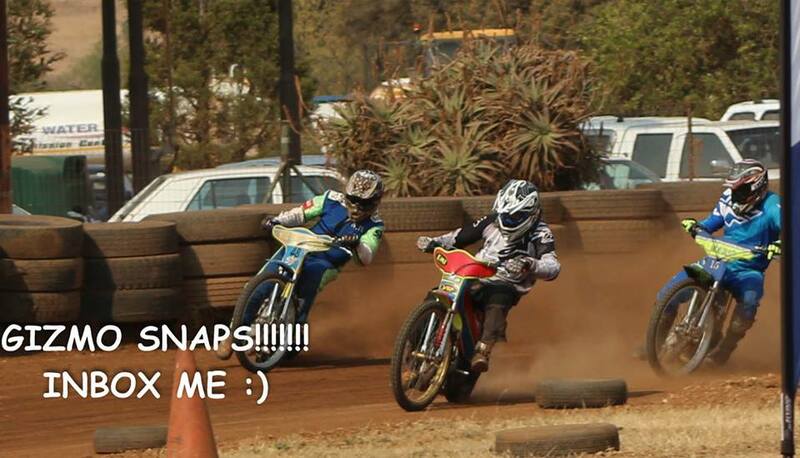 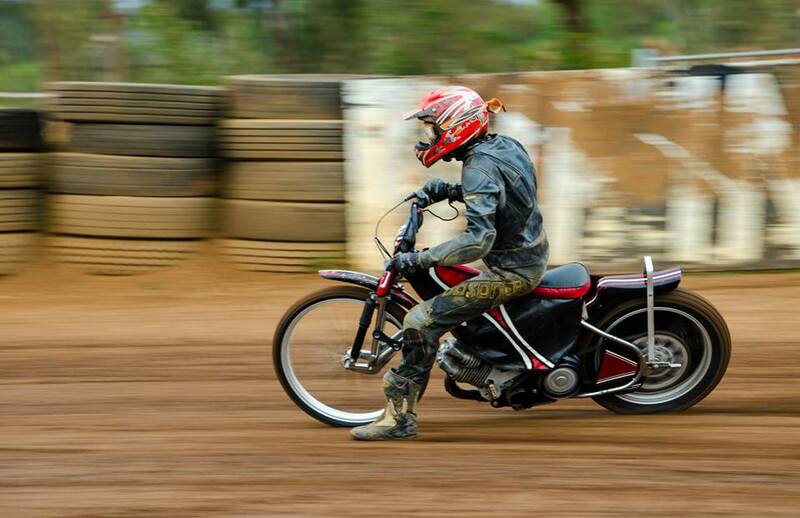 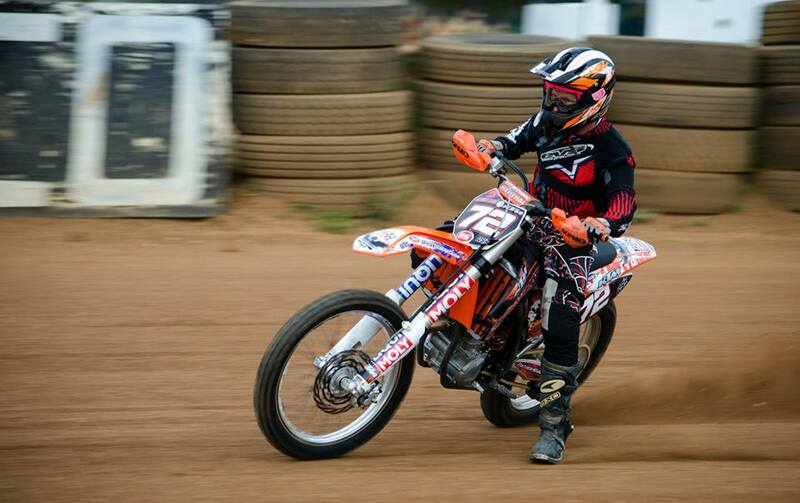 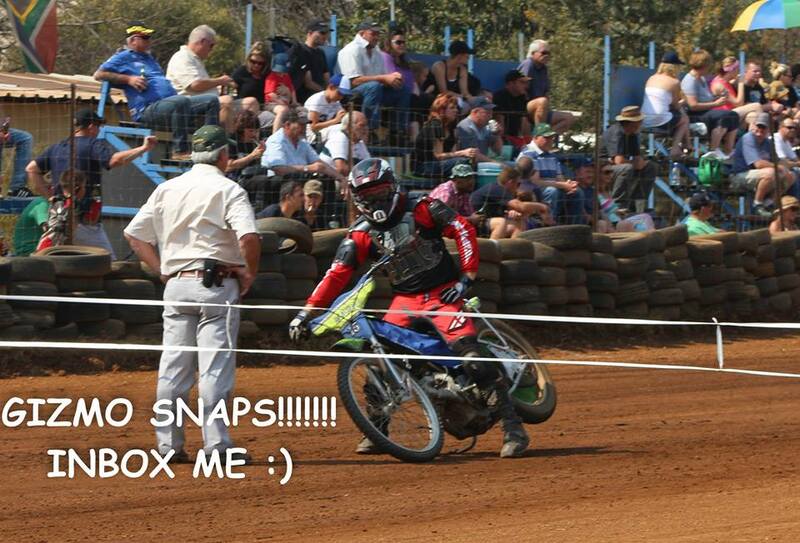 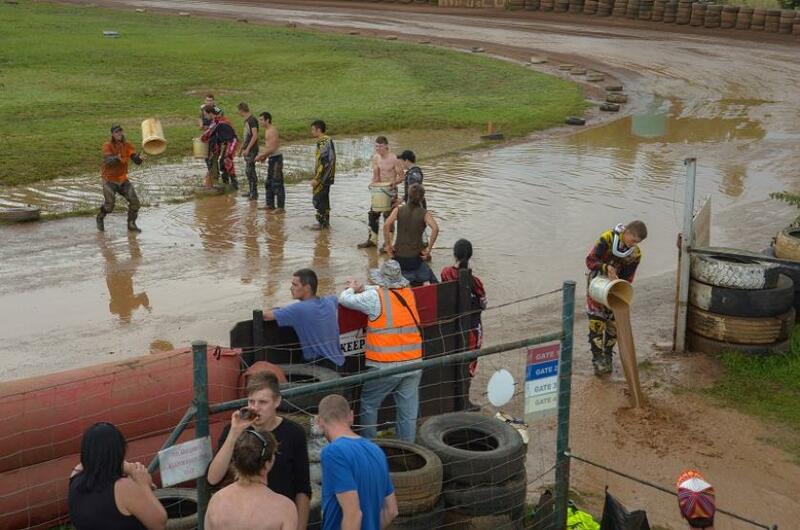 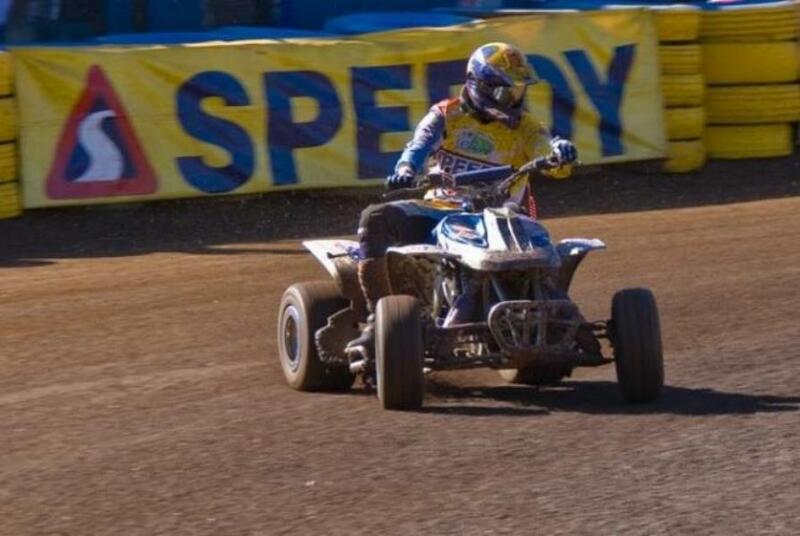 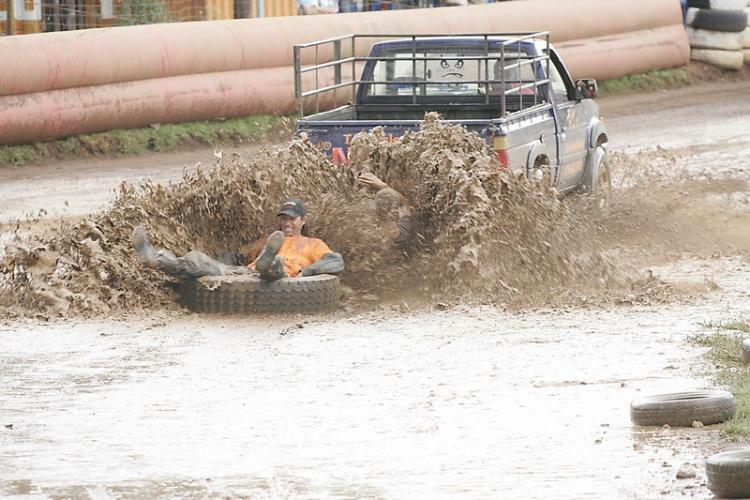 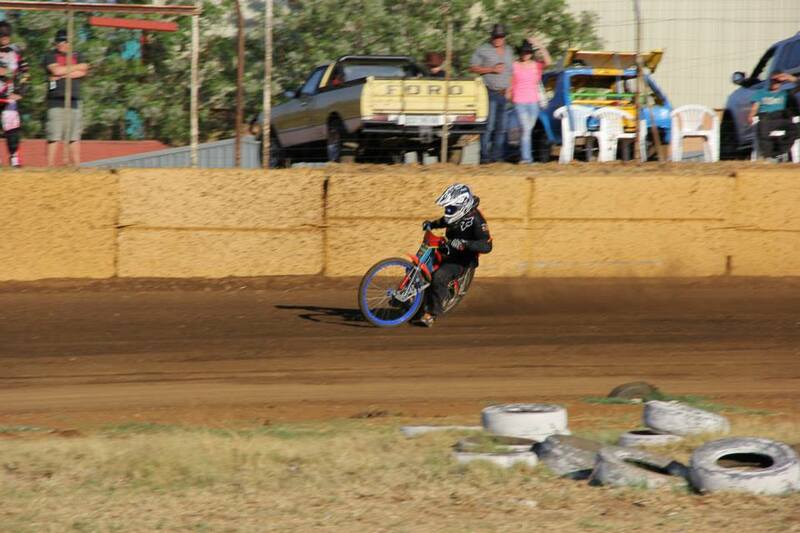 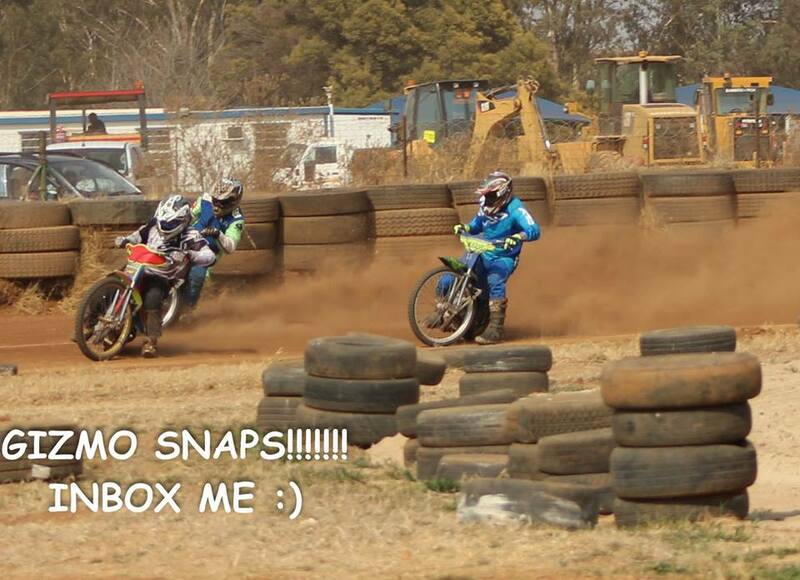 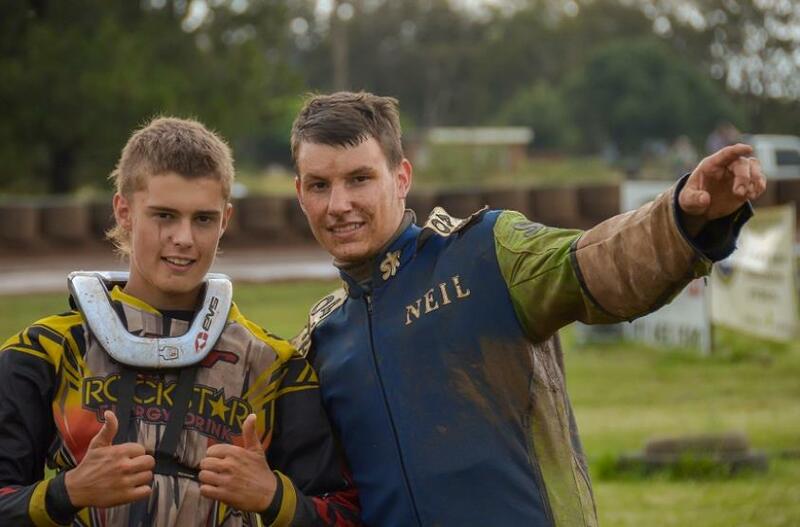 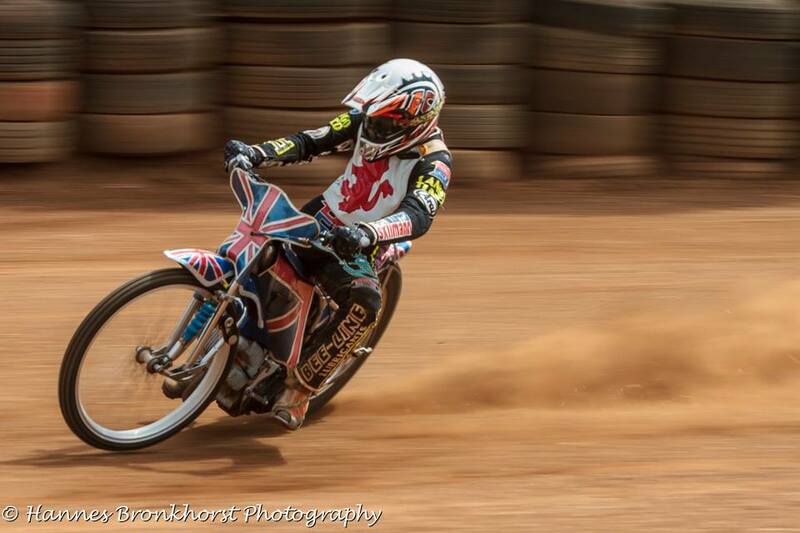 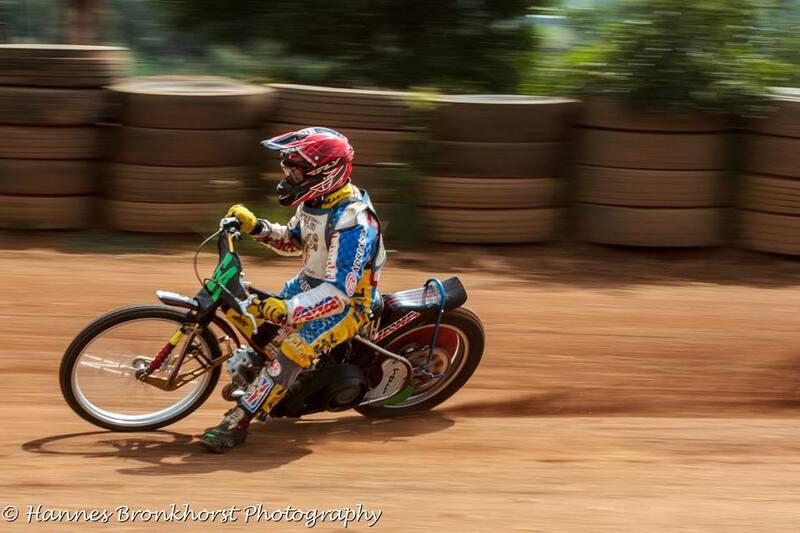 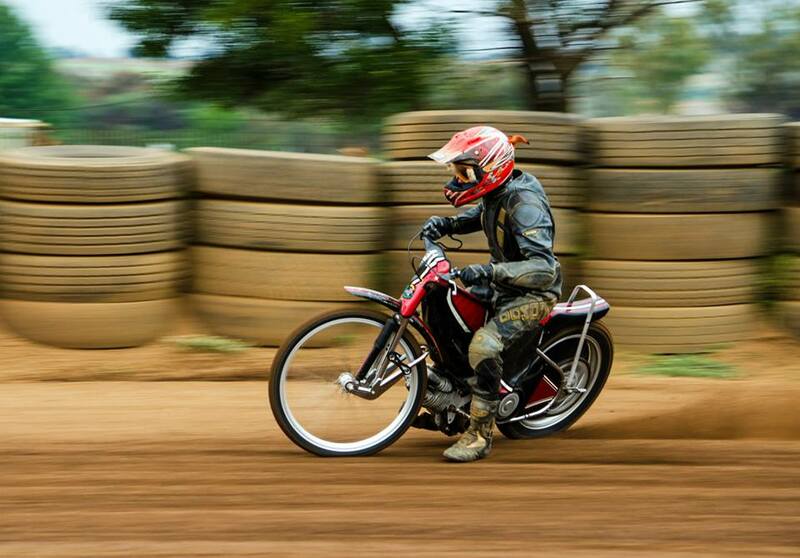 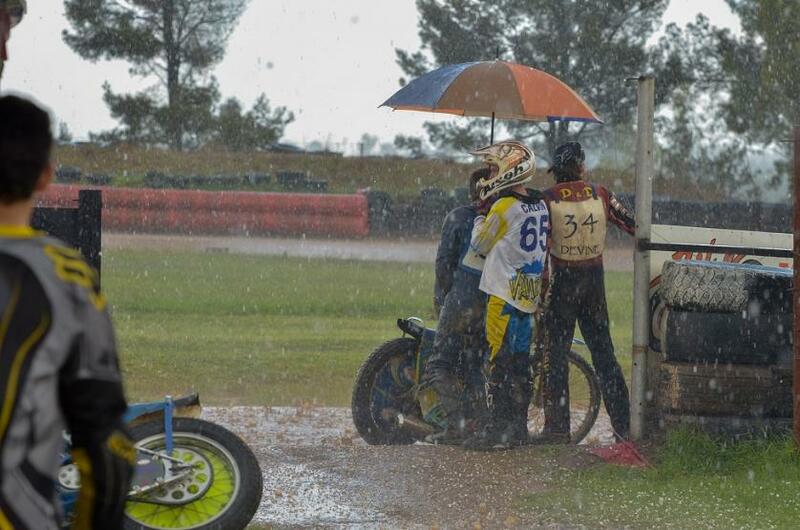 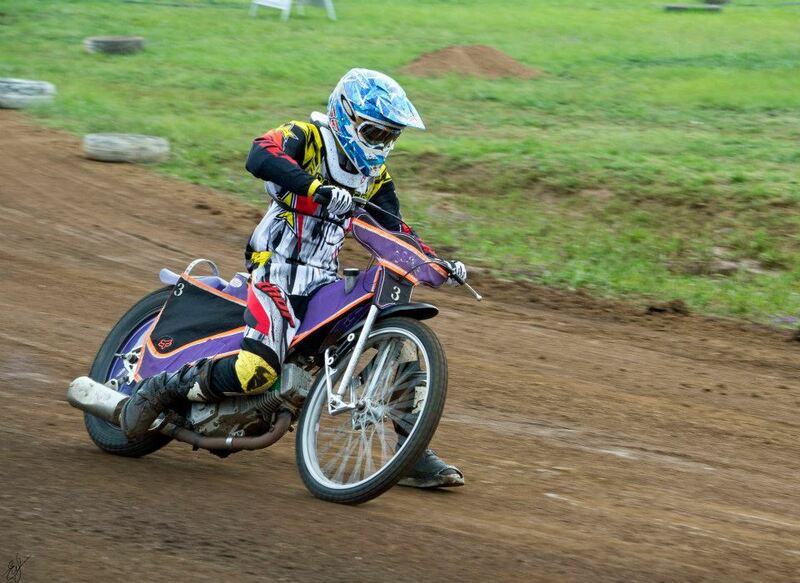 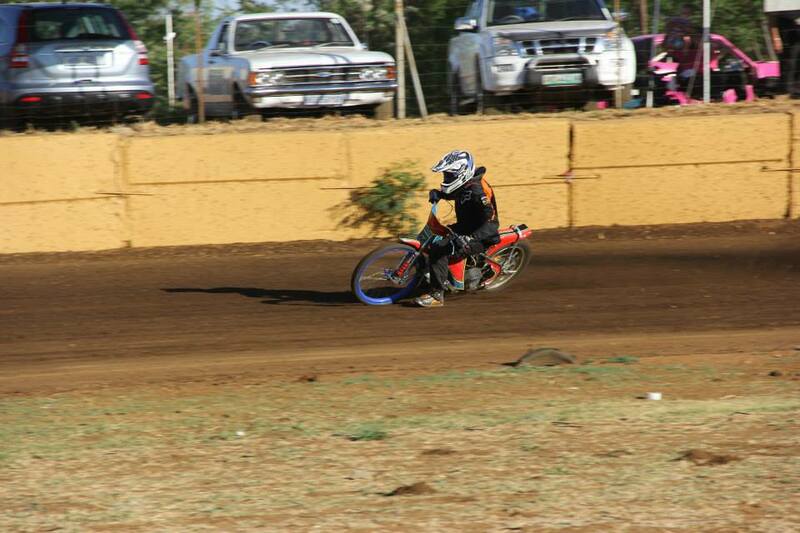 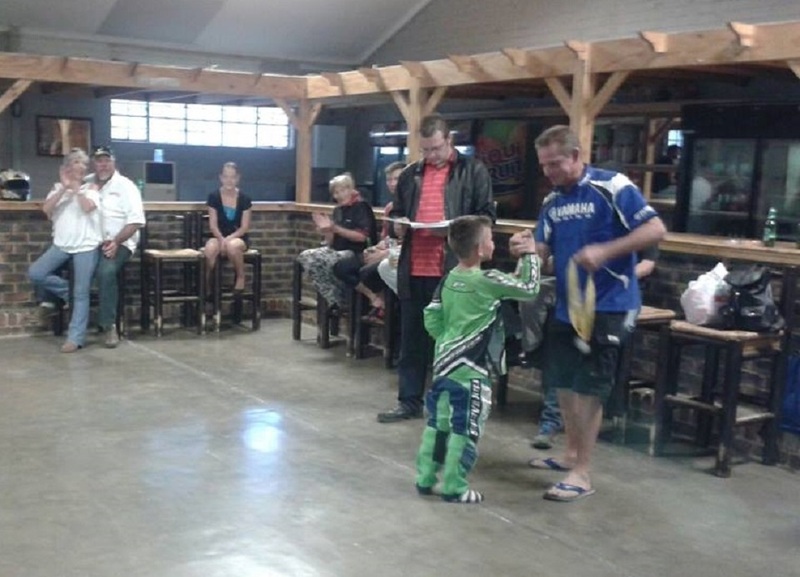 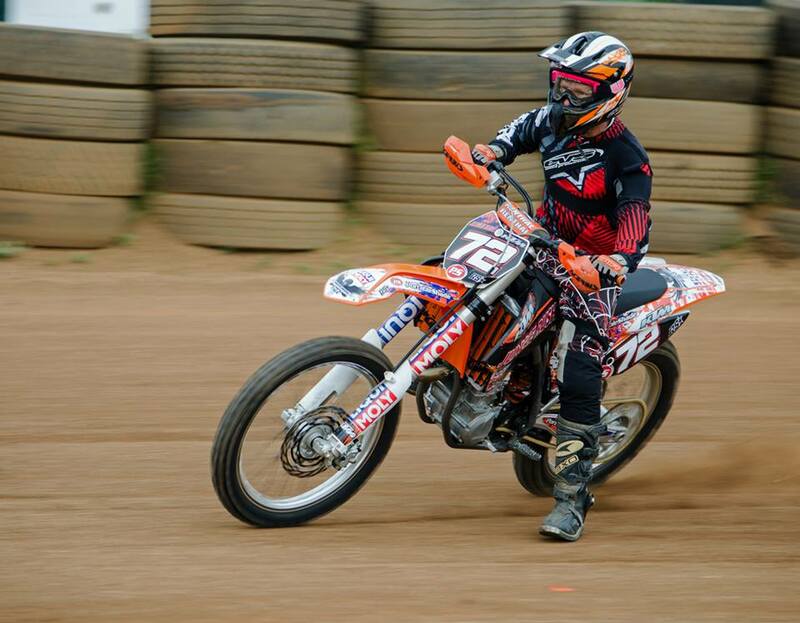 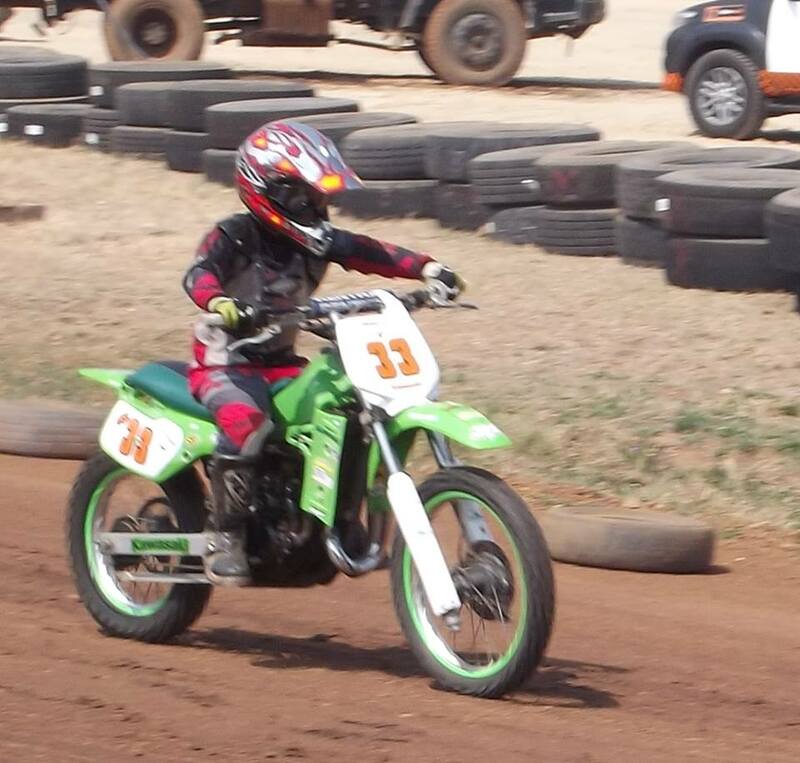 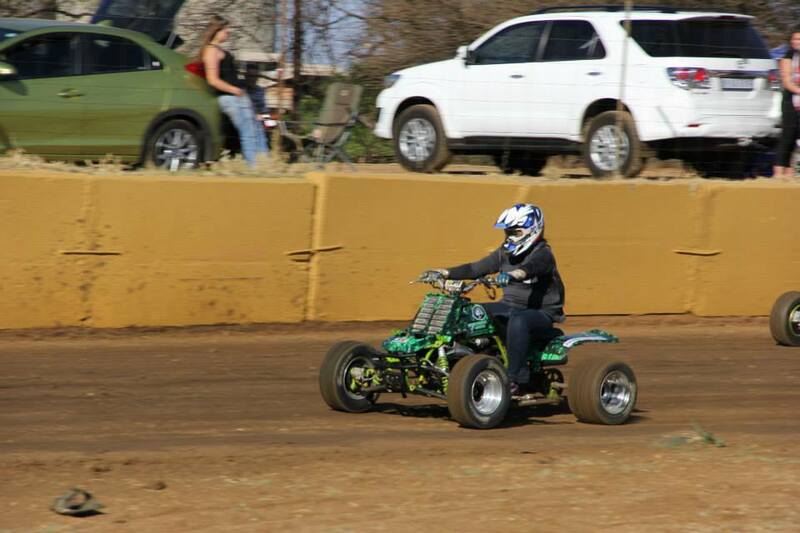 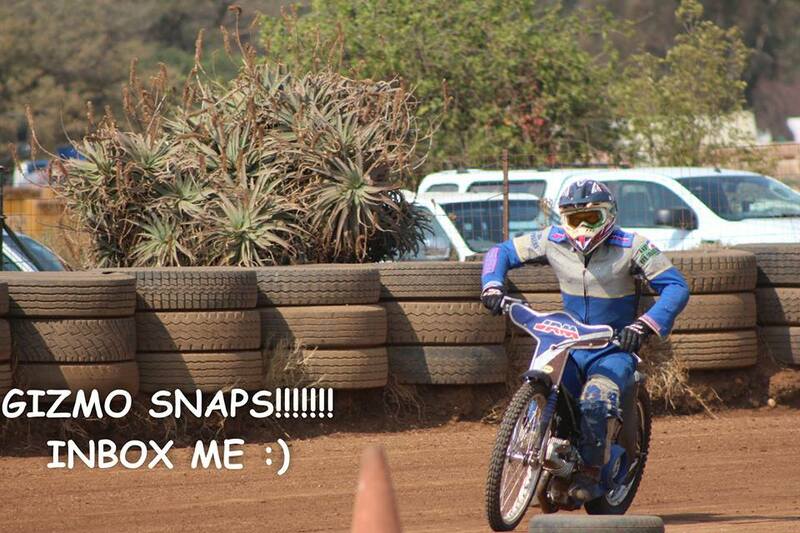 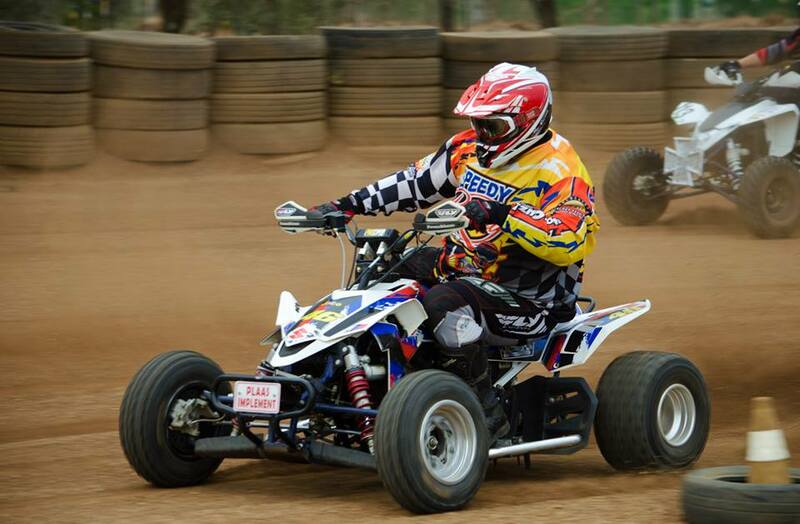 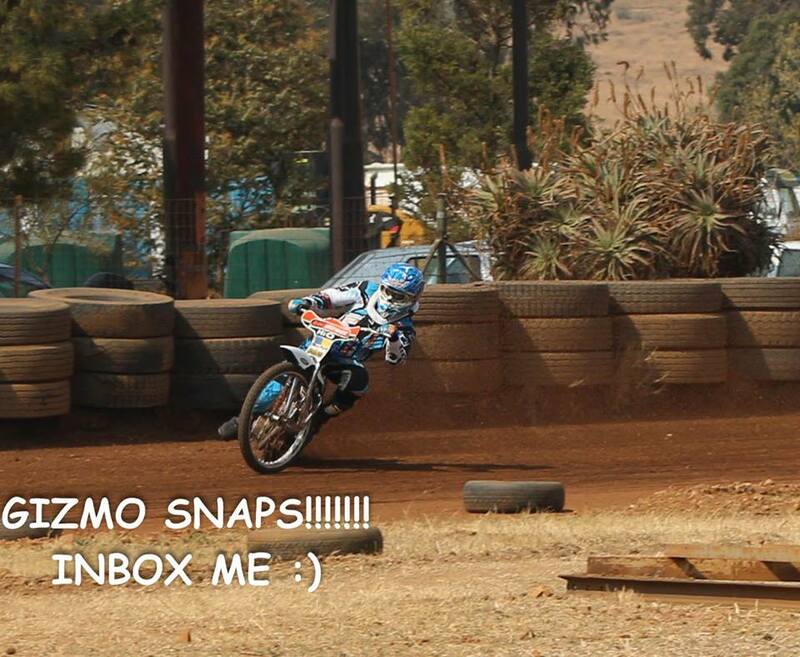 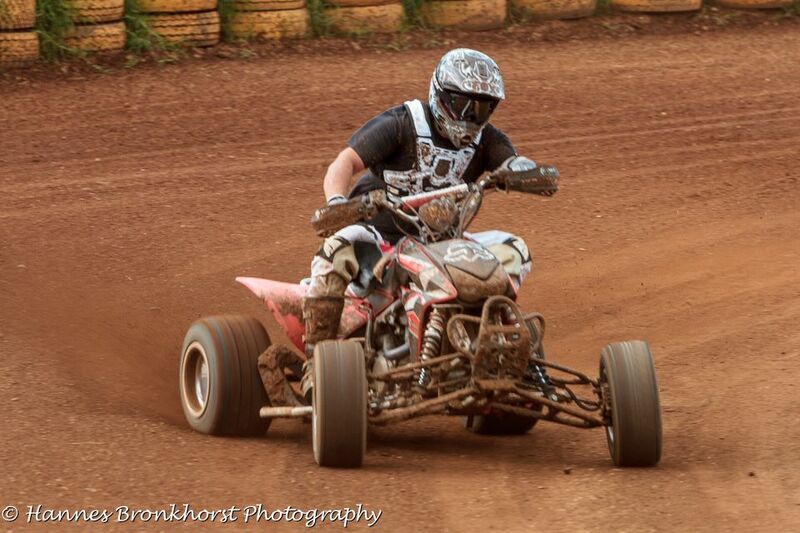 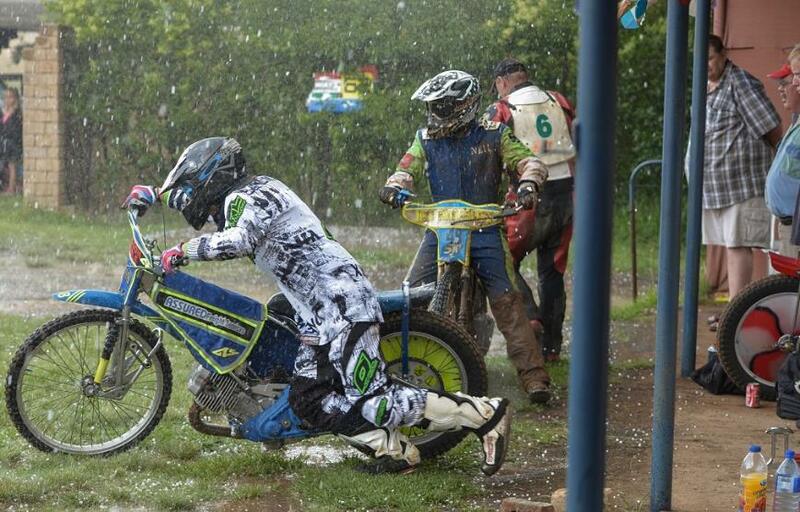 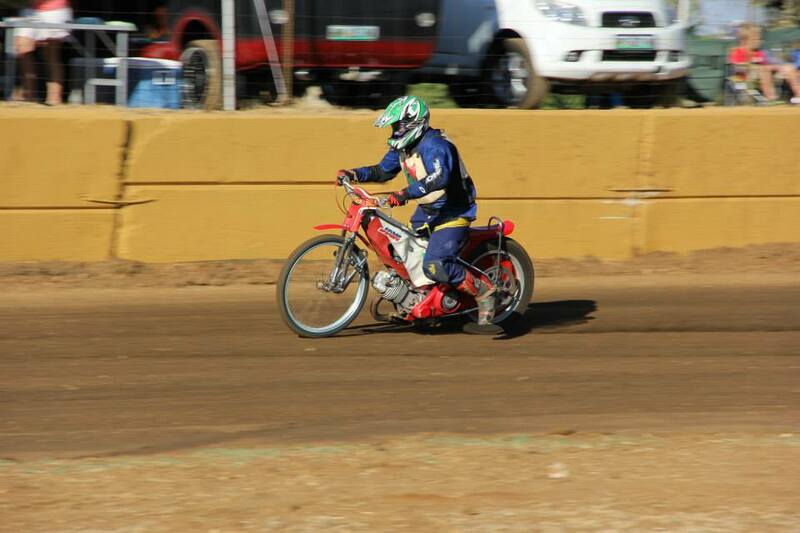 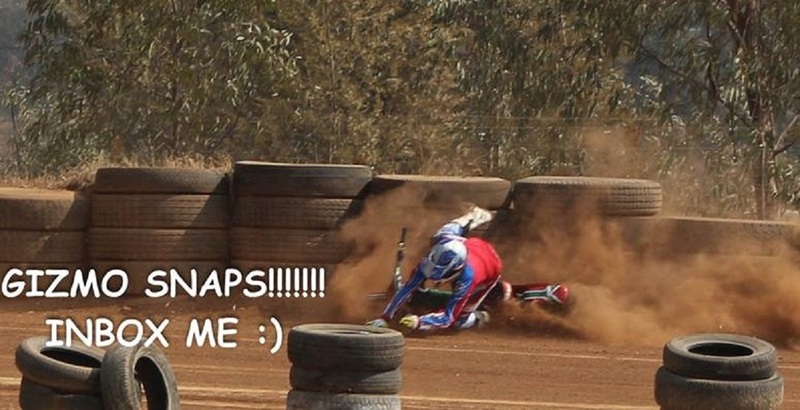 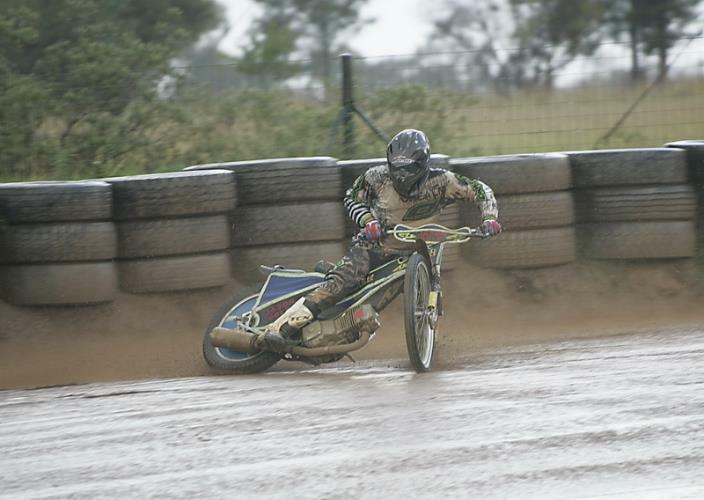 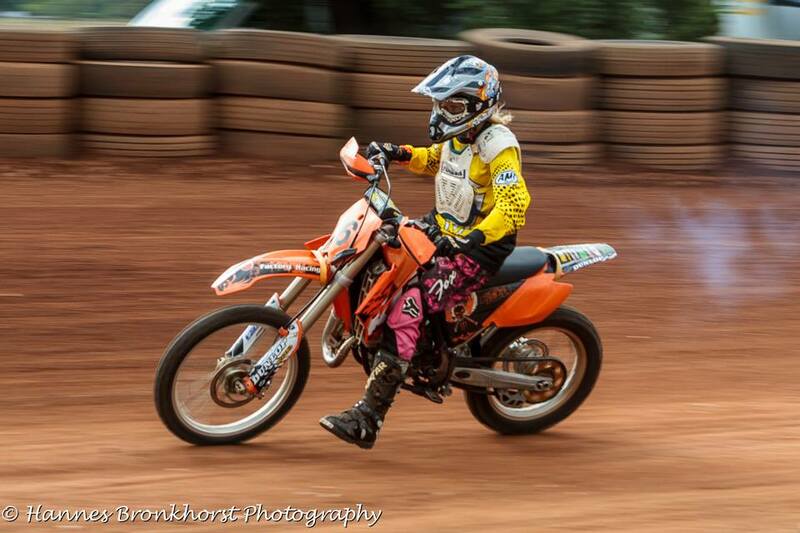 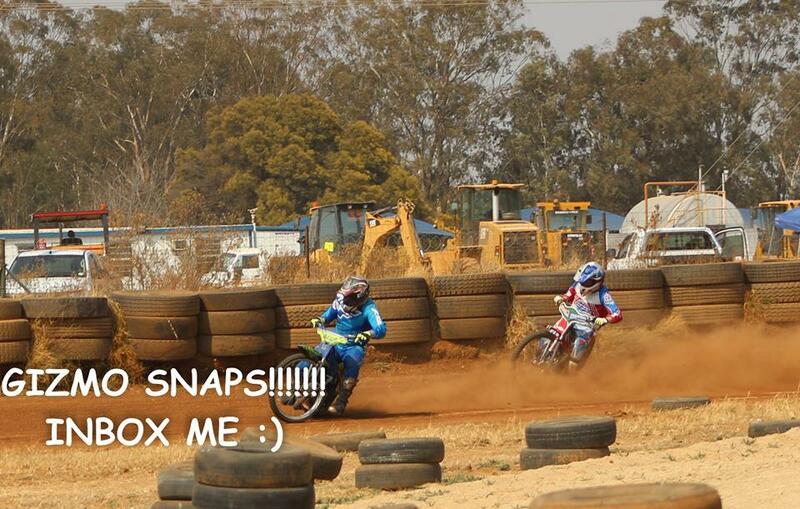 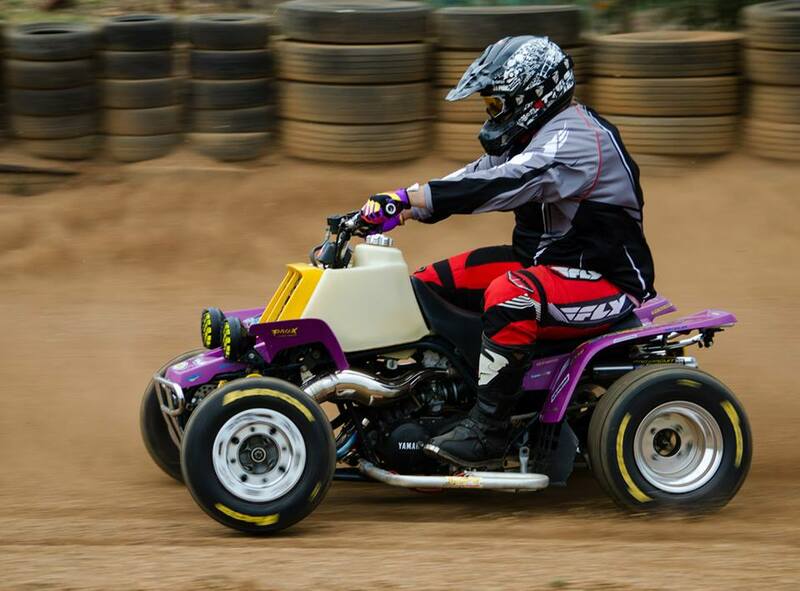 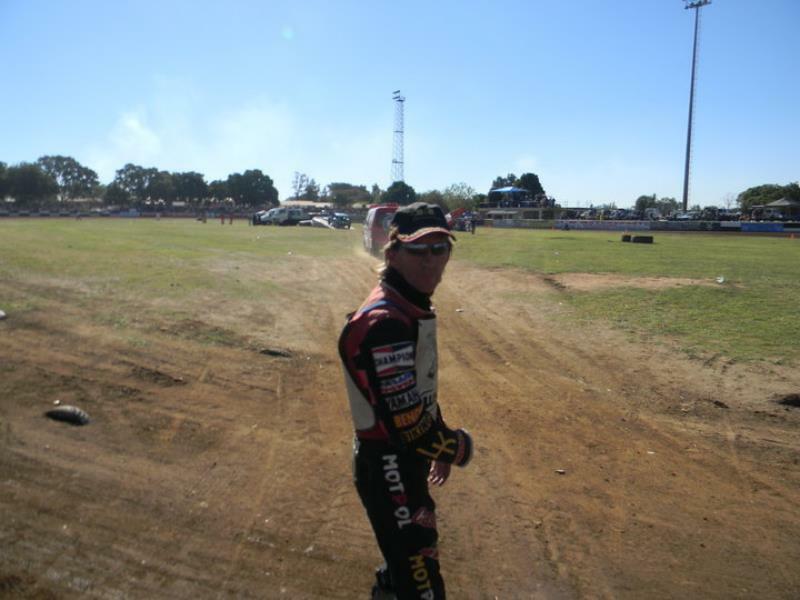 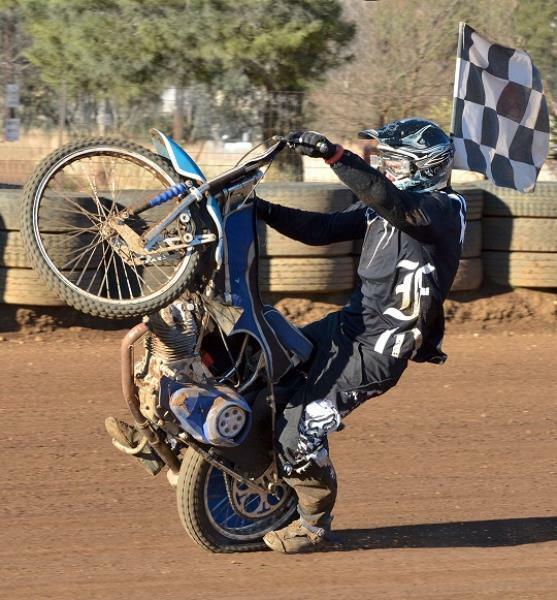 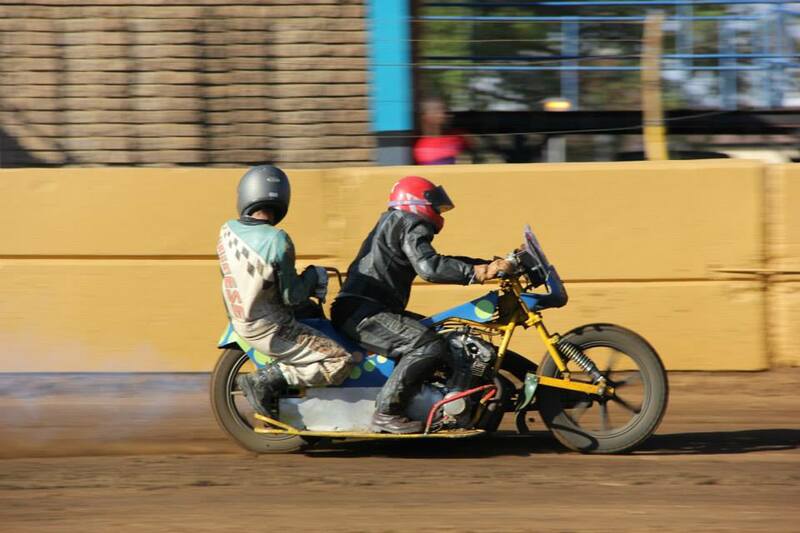 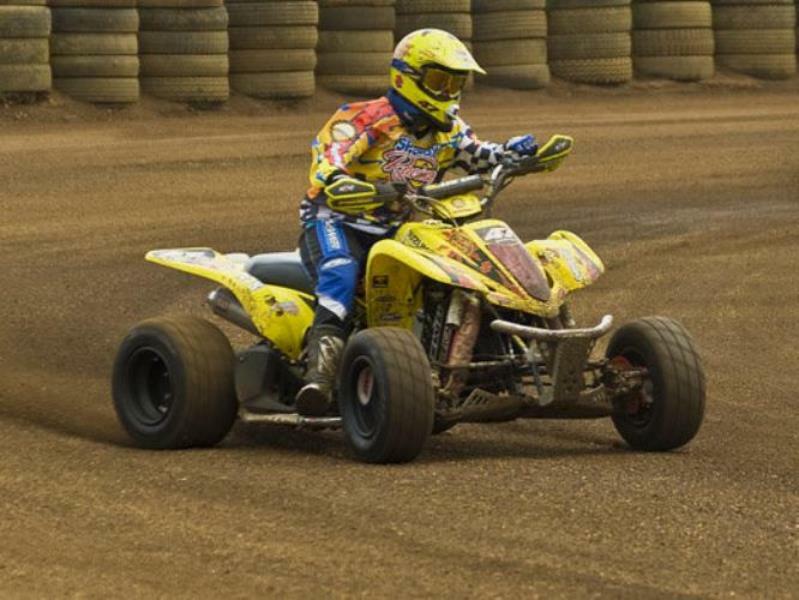 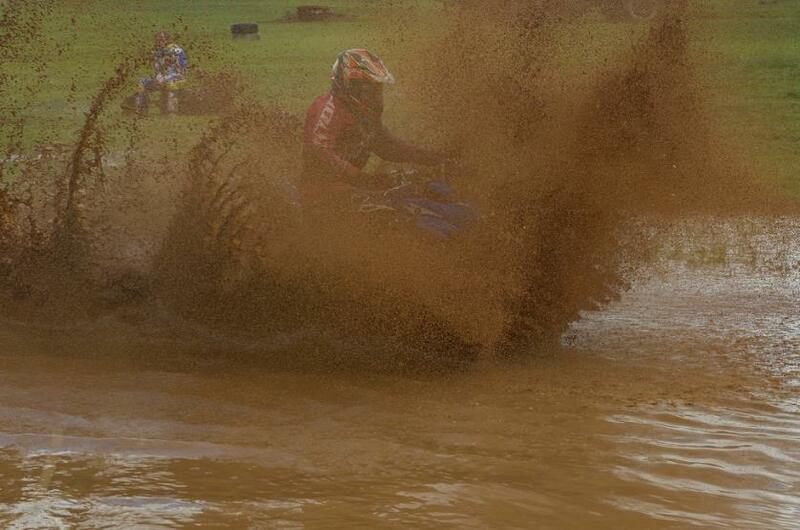 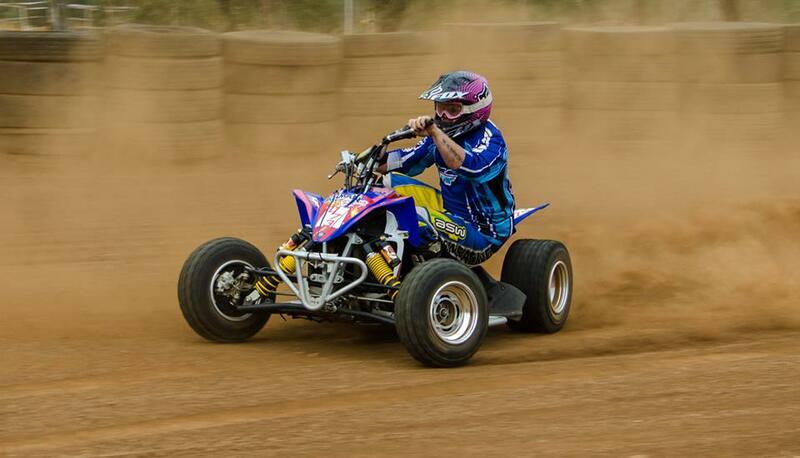 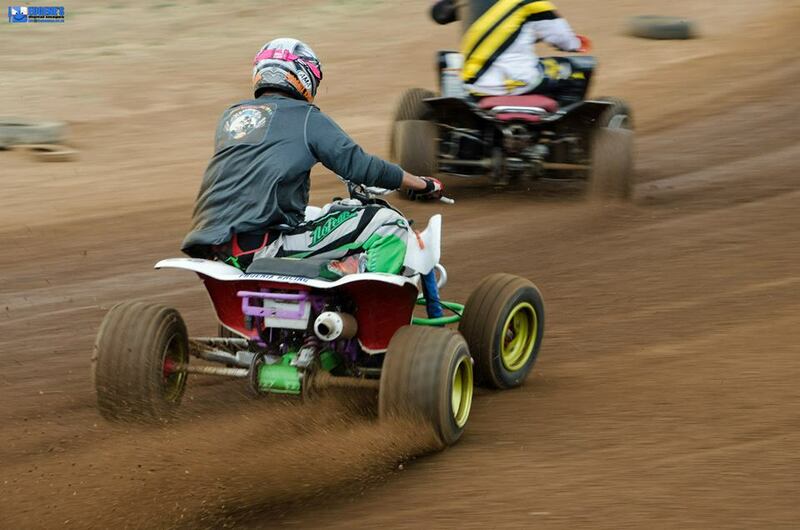 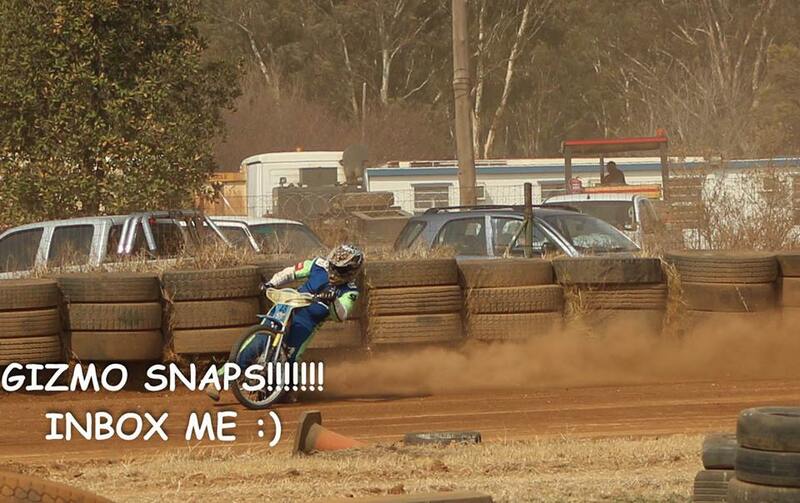 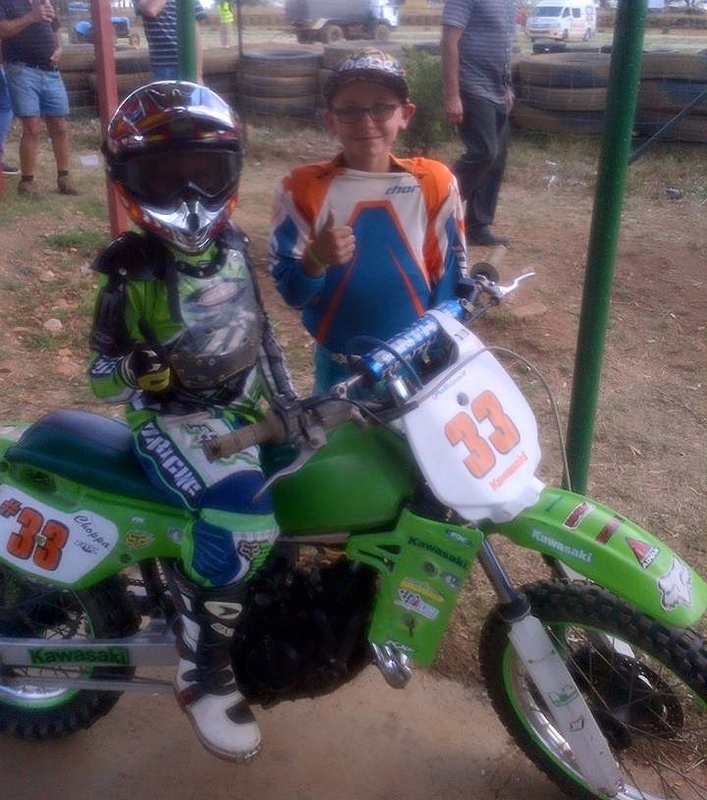 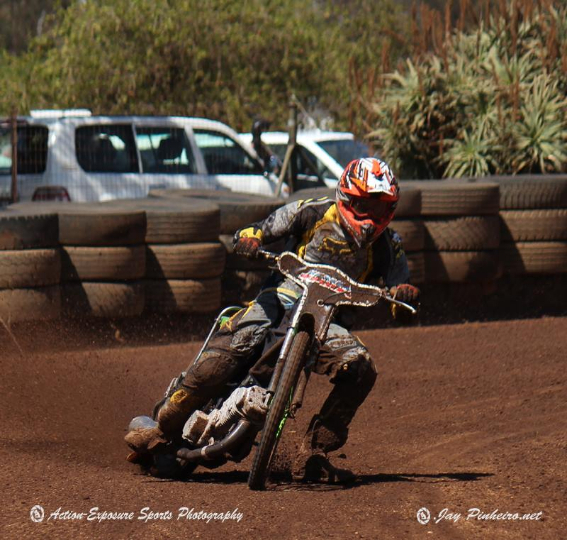 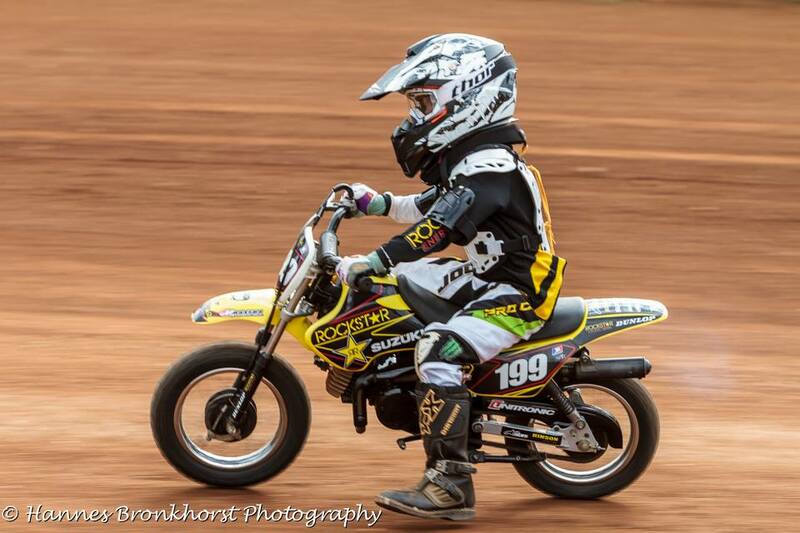 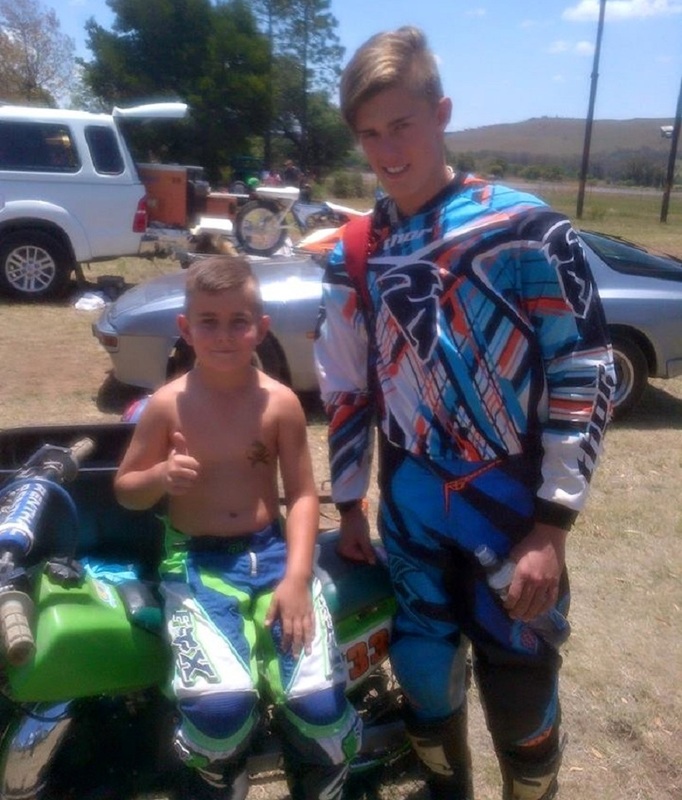 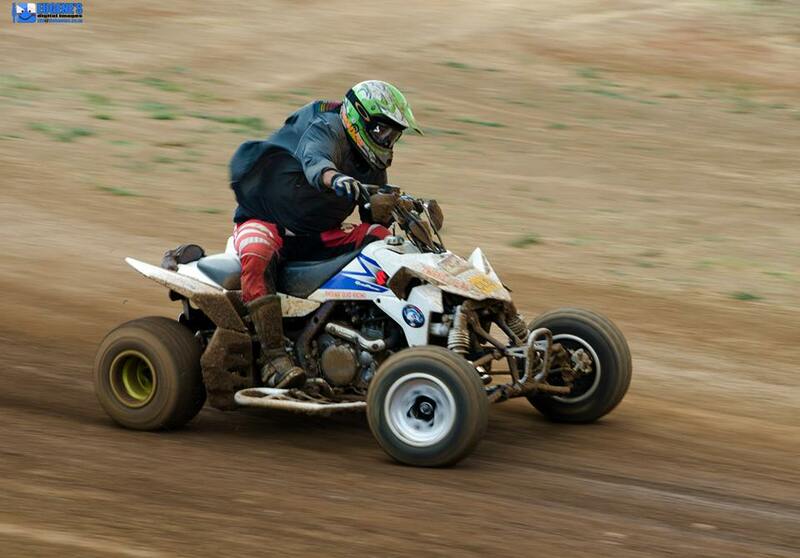 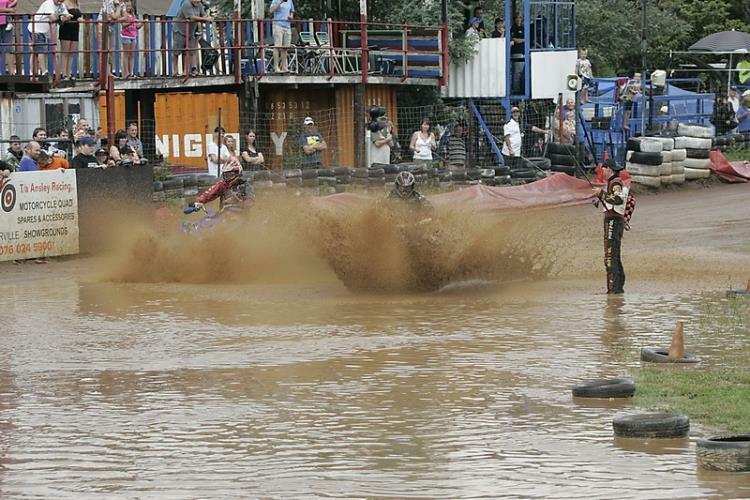 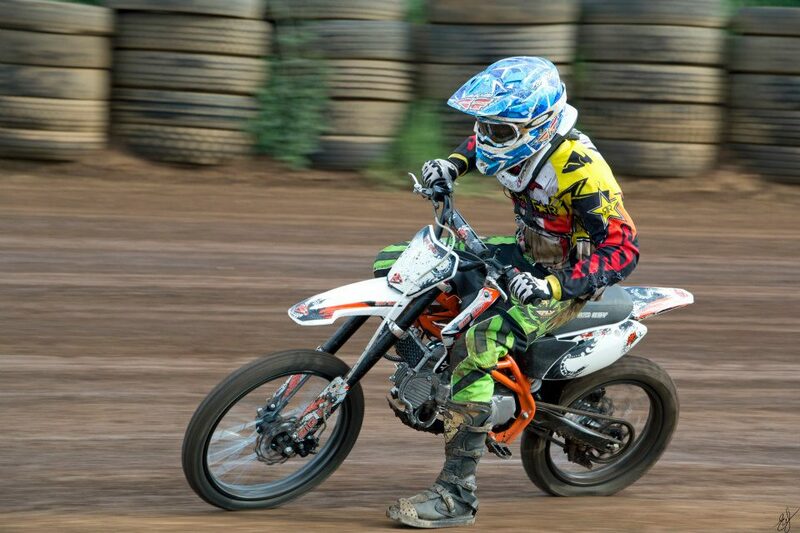 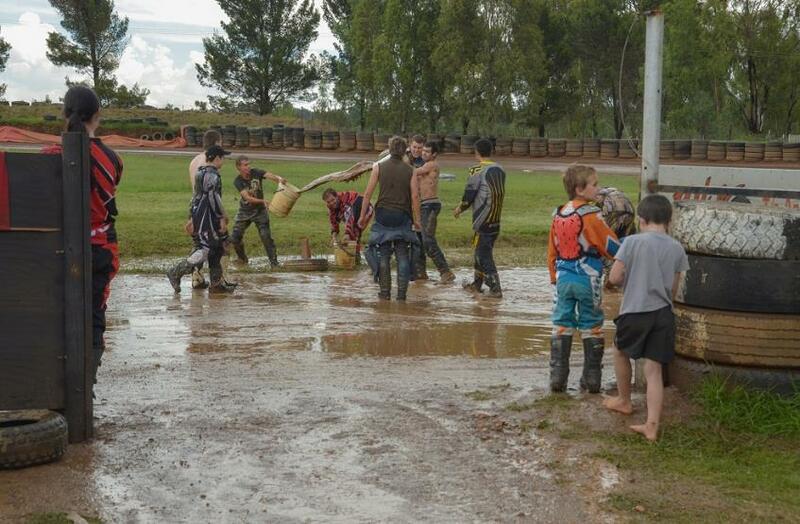 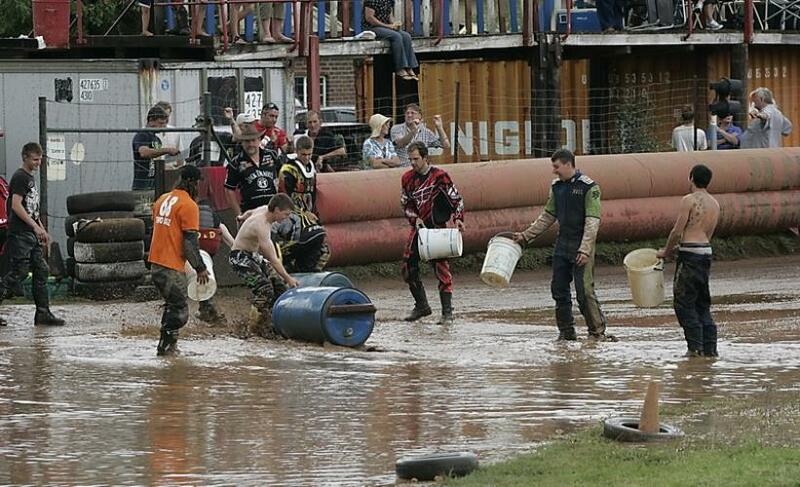 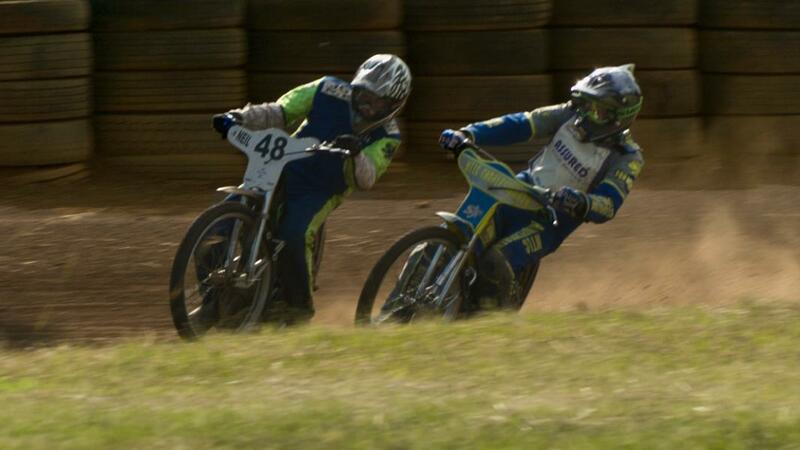 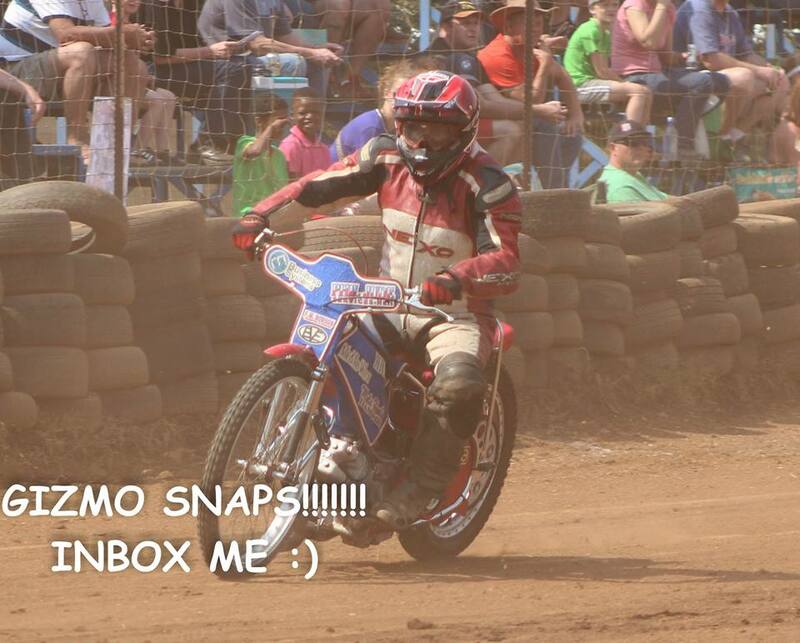 - the SA National Final Round, - racing abandoned because of rain, - but not the fun ! 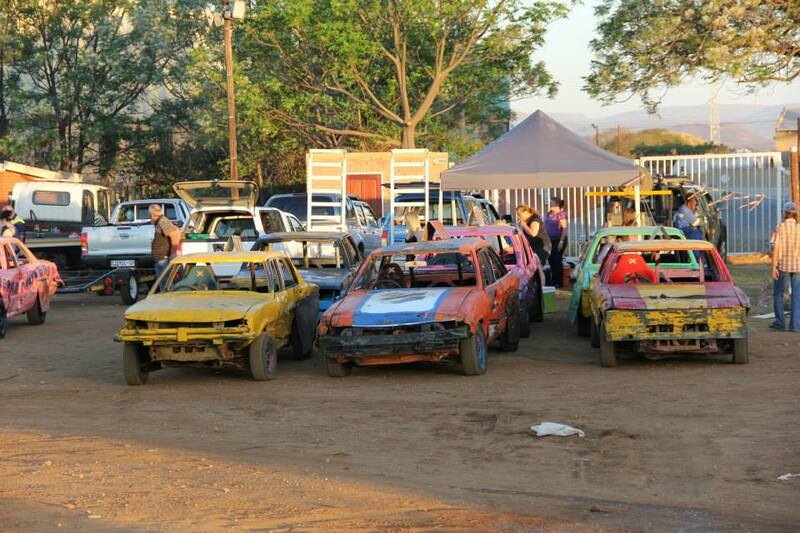 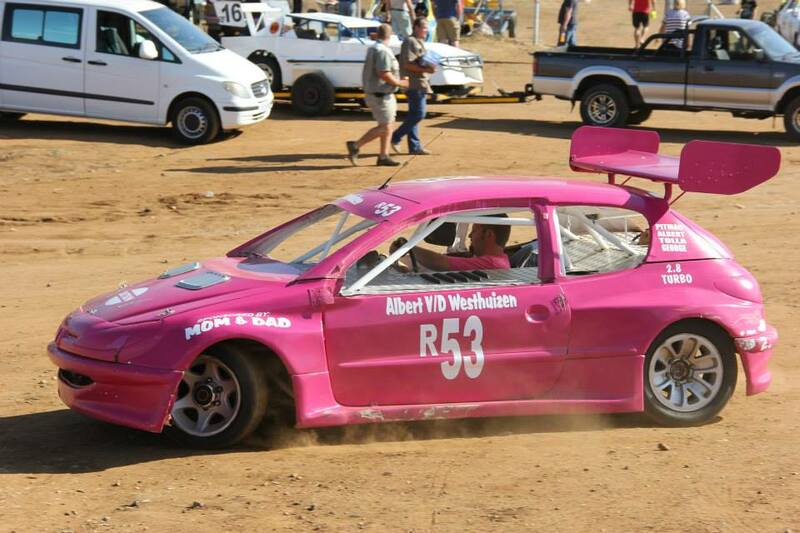 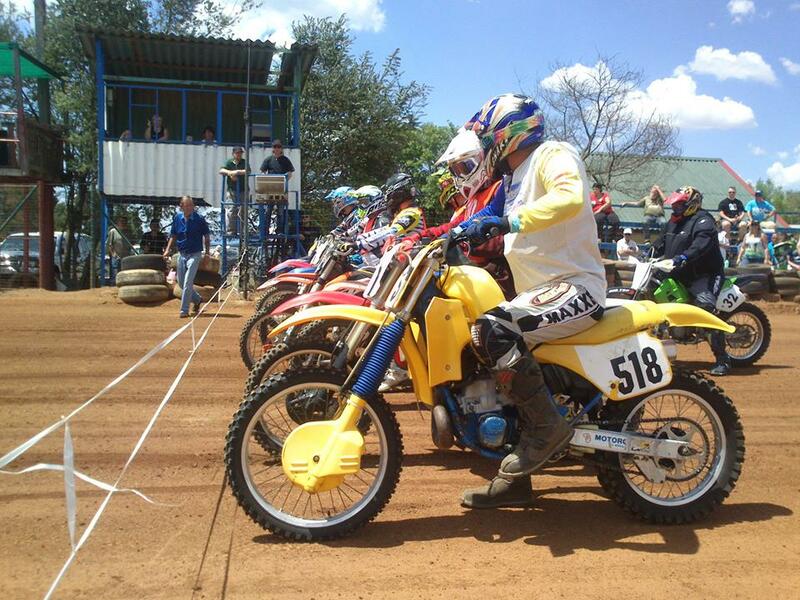 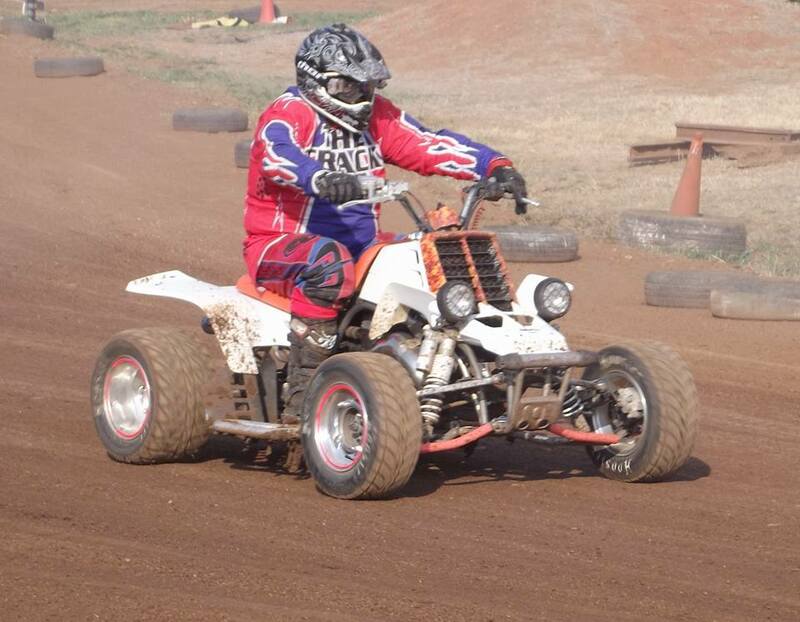 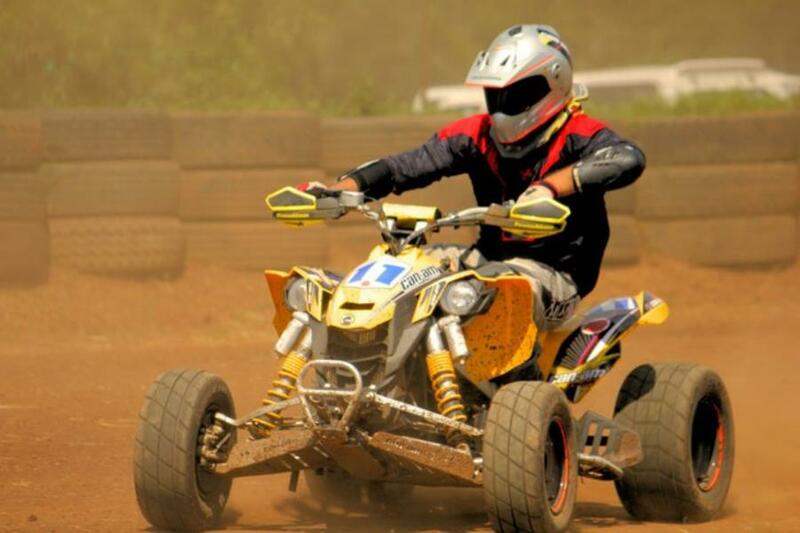 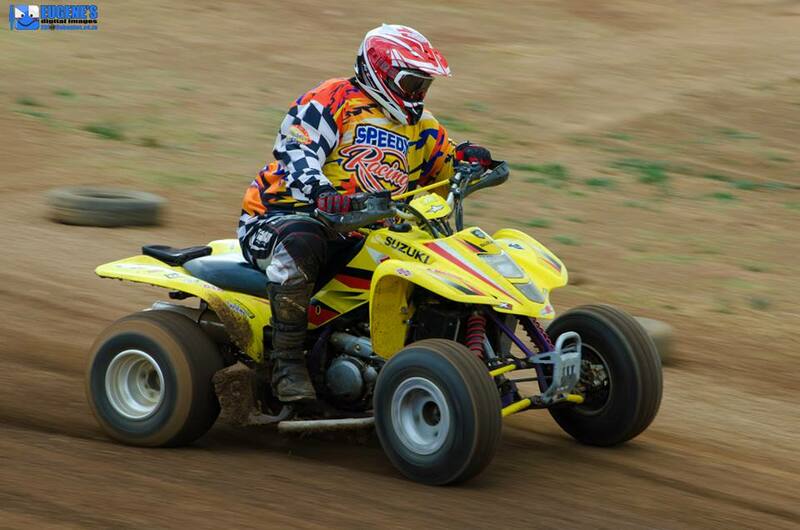 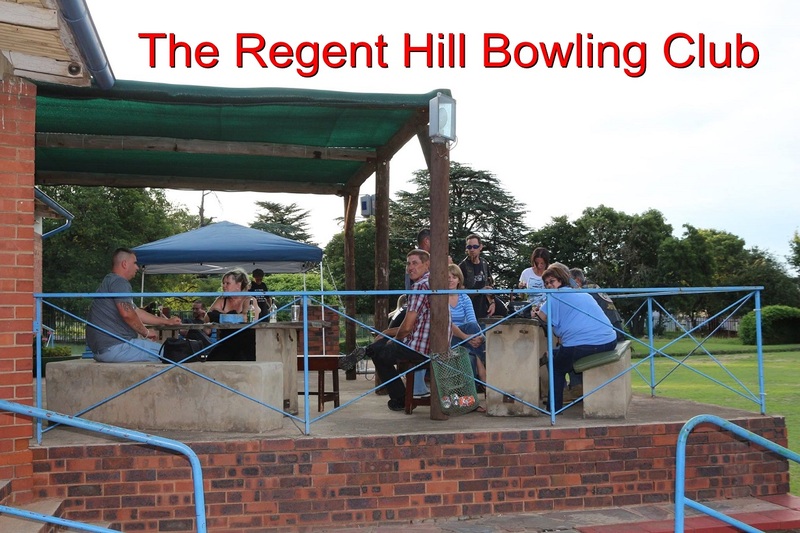 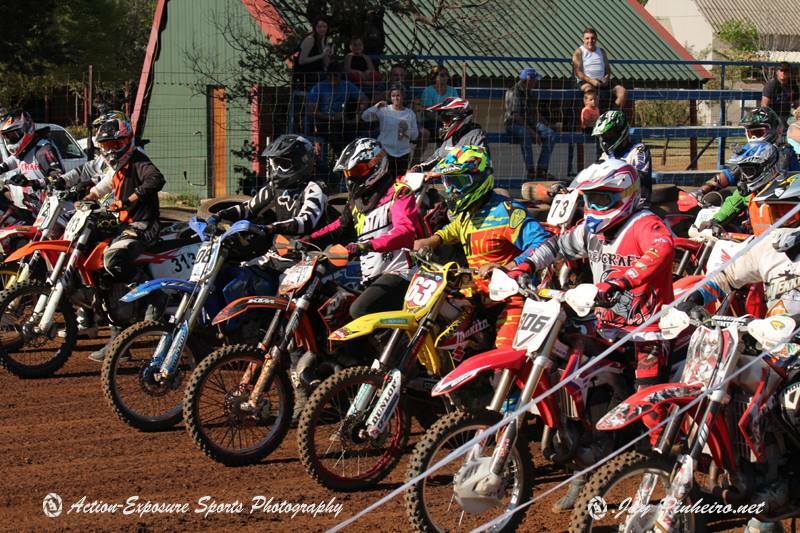 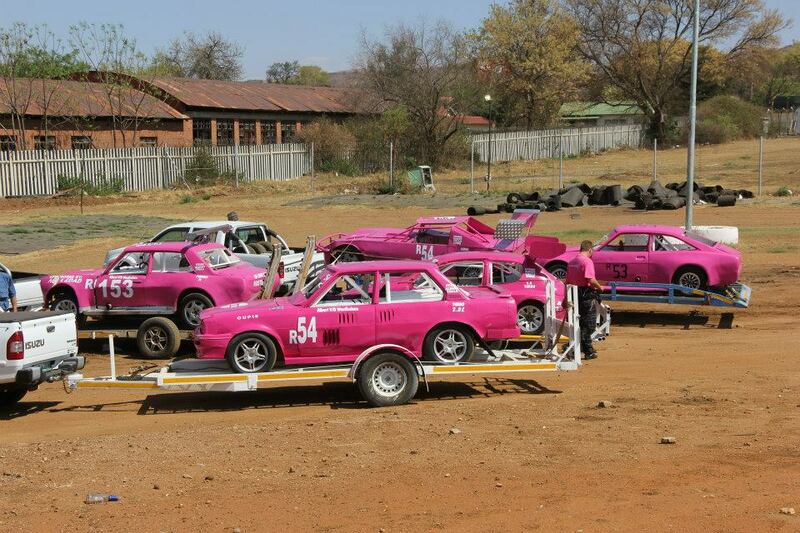 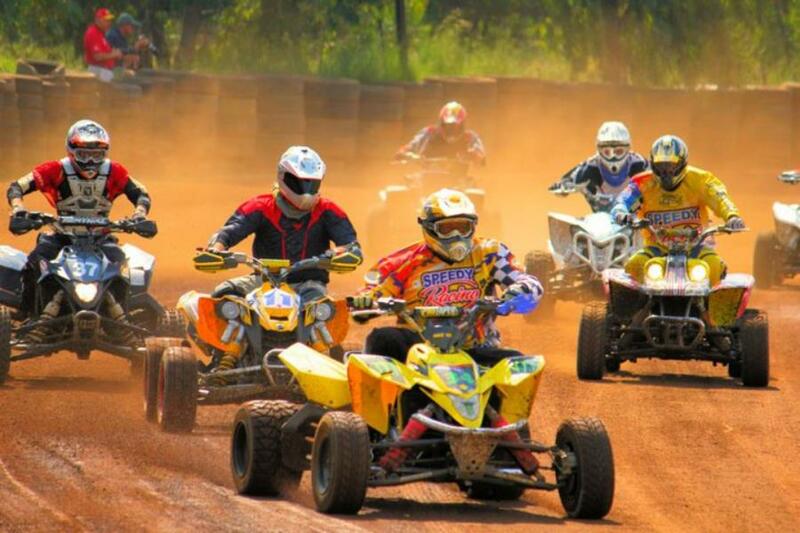 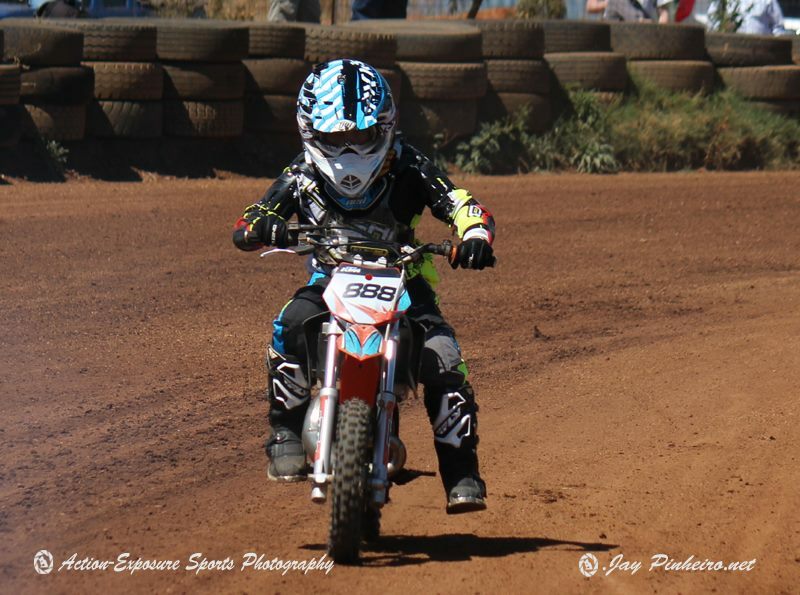 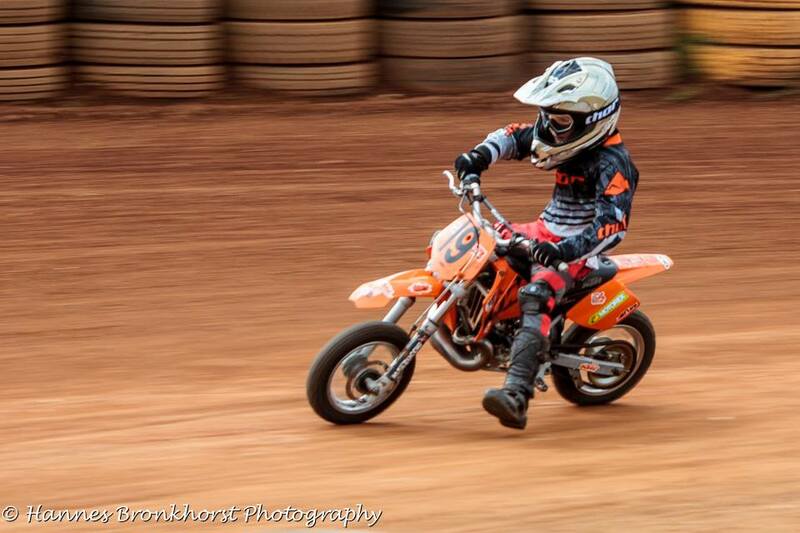 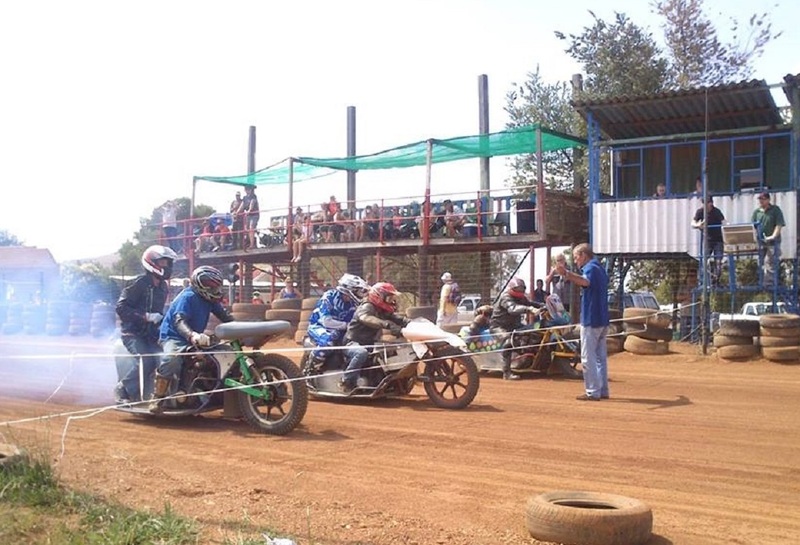 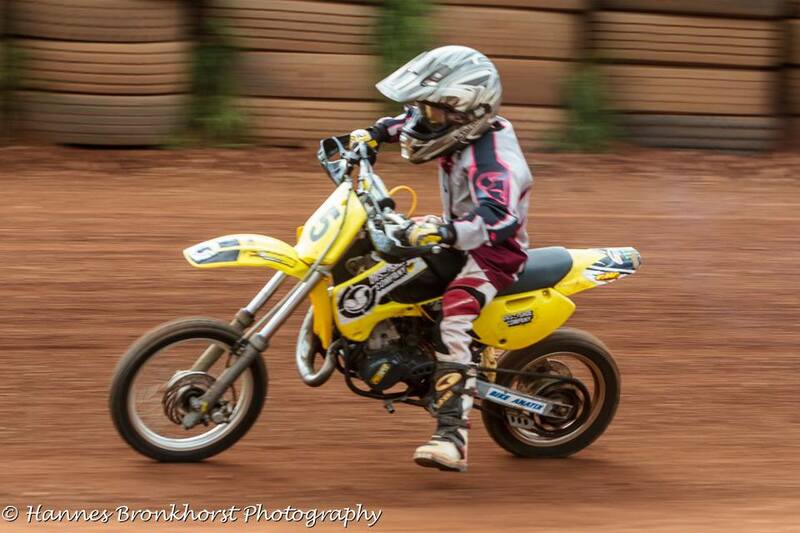 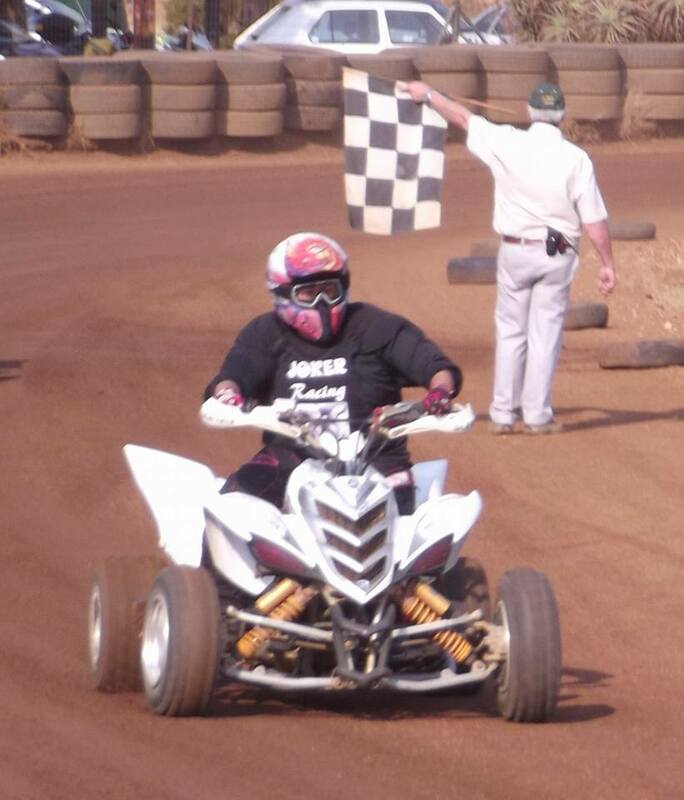 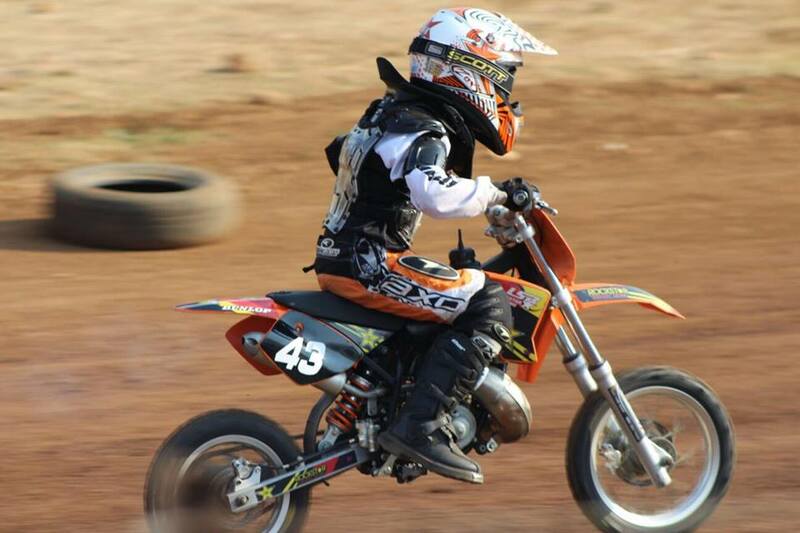 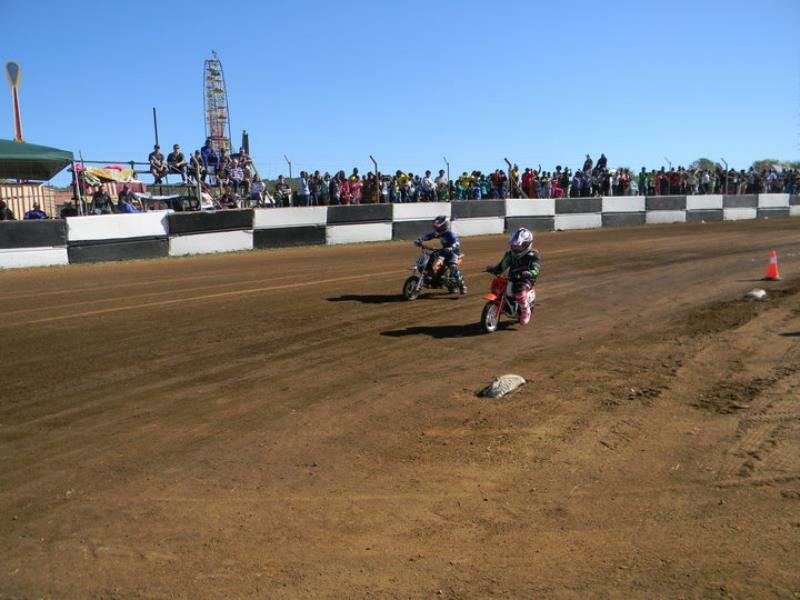 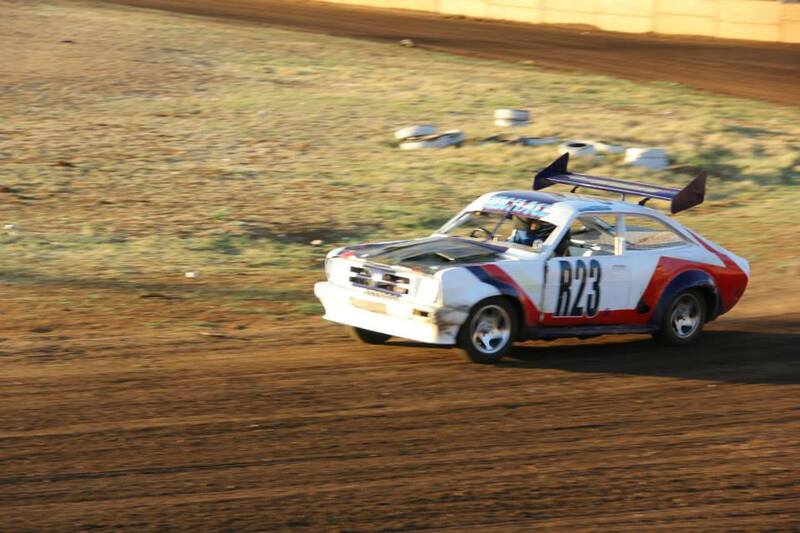 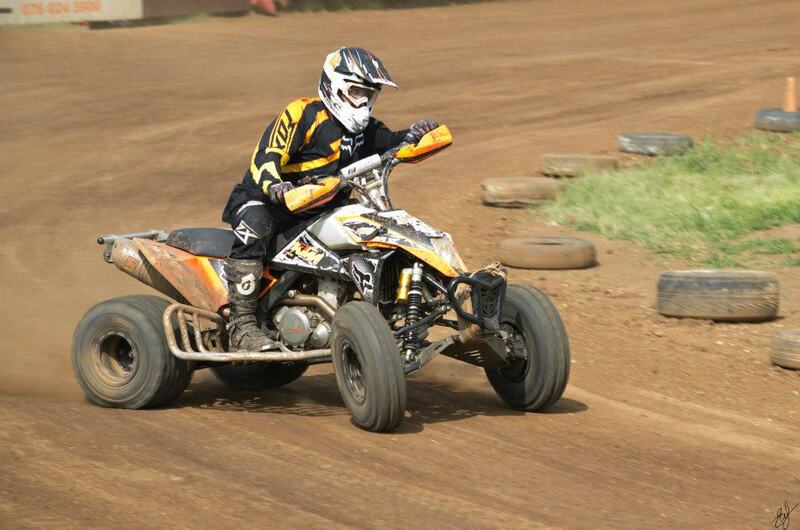 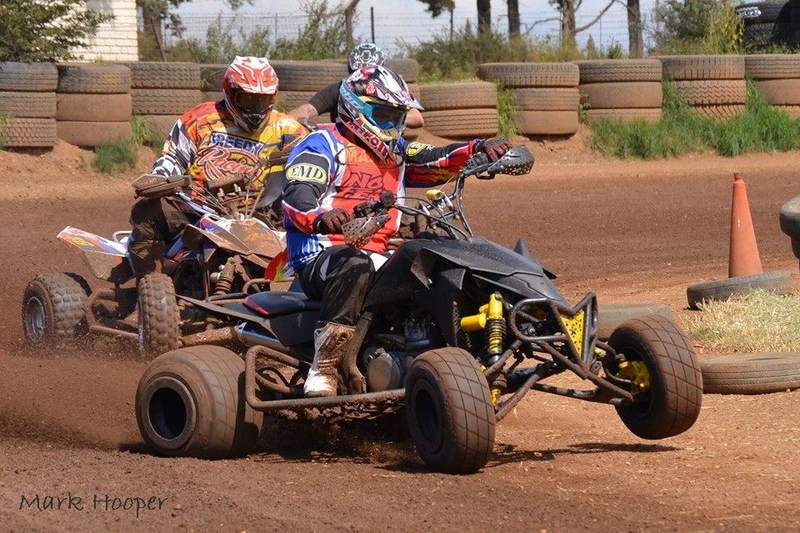 The 3rd and Final Round of the S.African National Championship will be re-staged on SATURDAY Jan. 12th 2013. 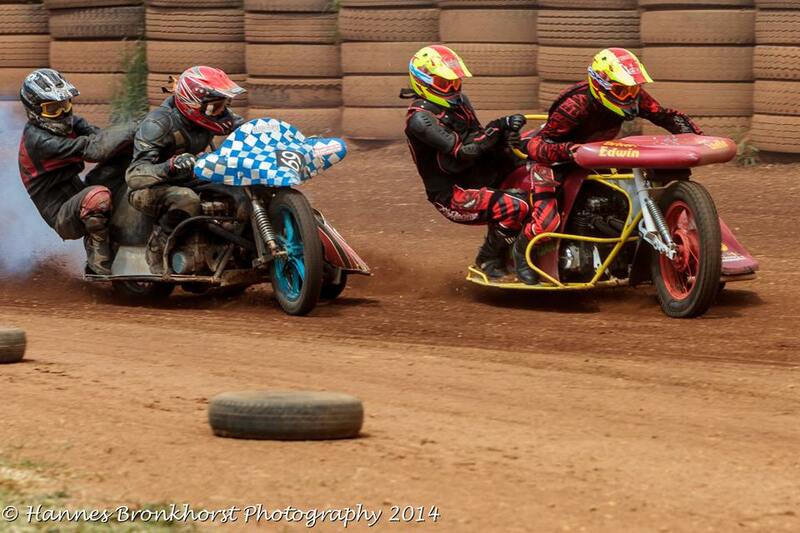 Frt; Peter Buck, Bobby Devine, Hansie Kleynhans. 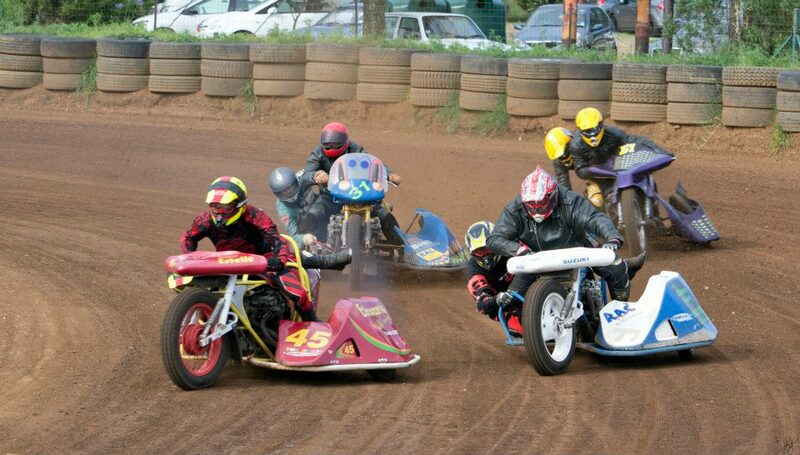 based at the Wolverhampton track of Monmore Green. 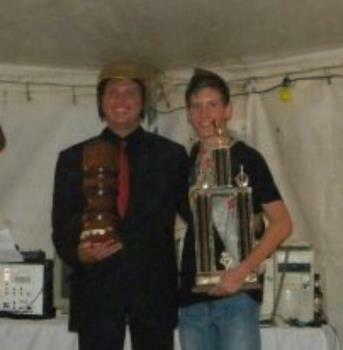 DUDLEY HEATHENS NL Shield winners, 2011 and 2012 winners. 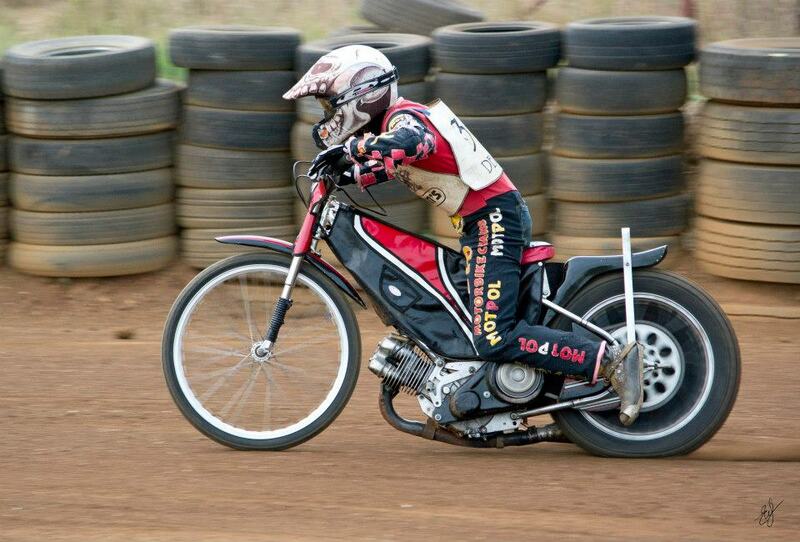 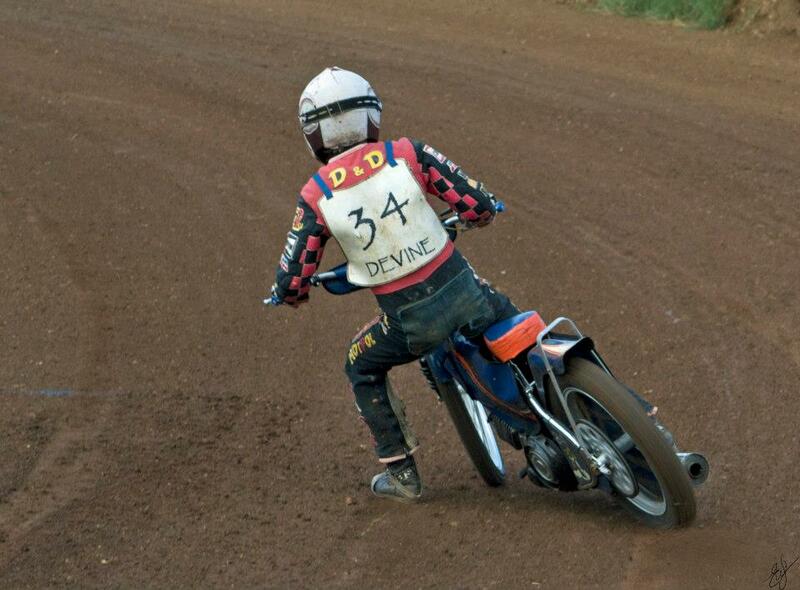 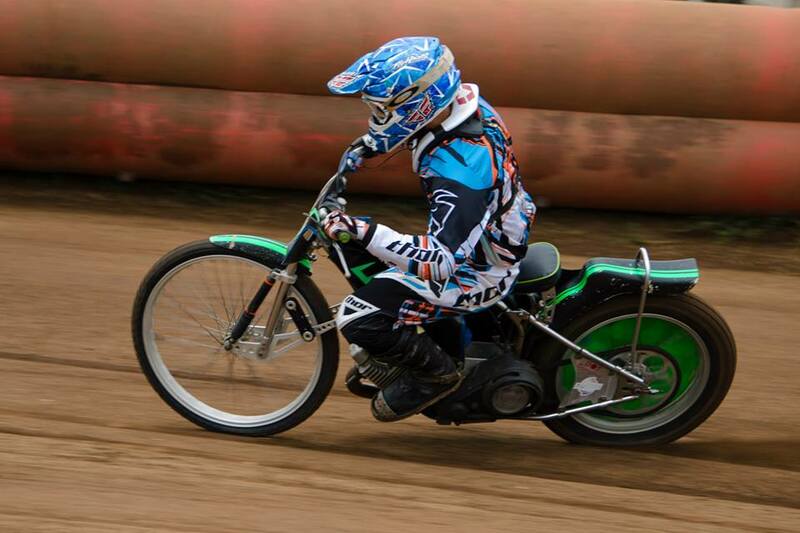 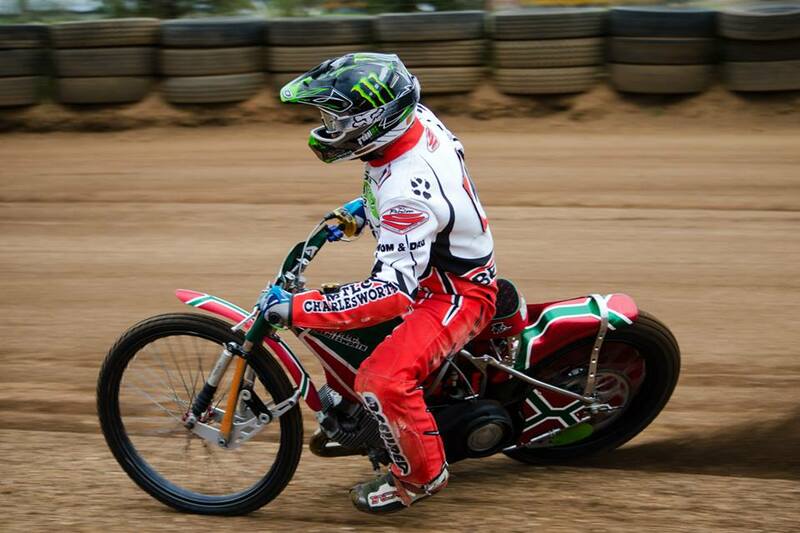 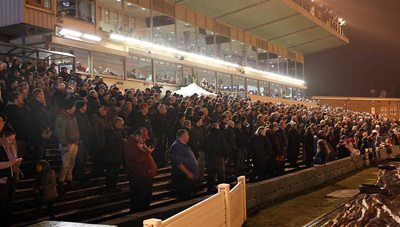 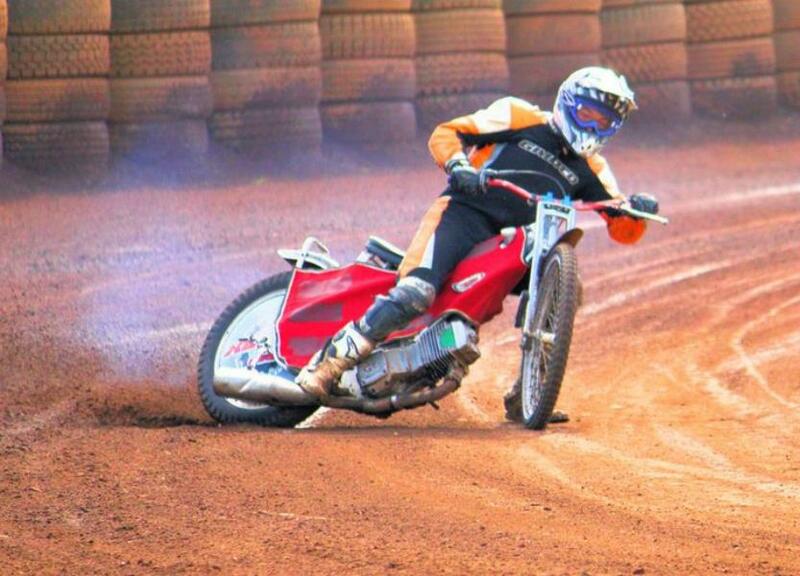 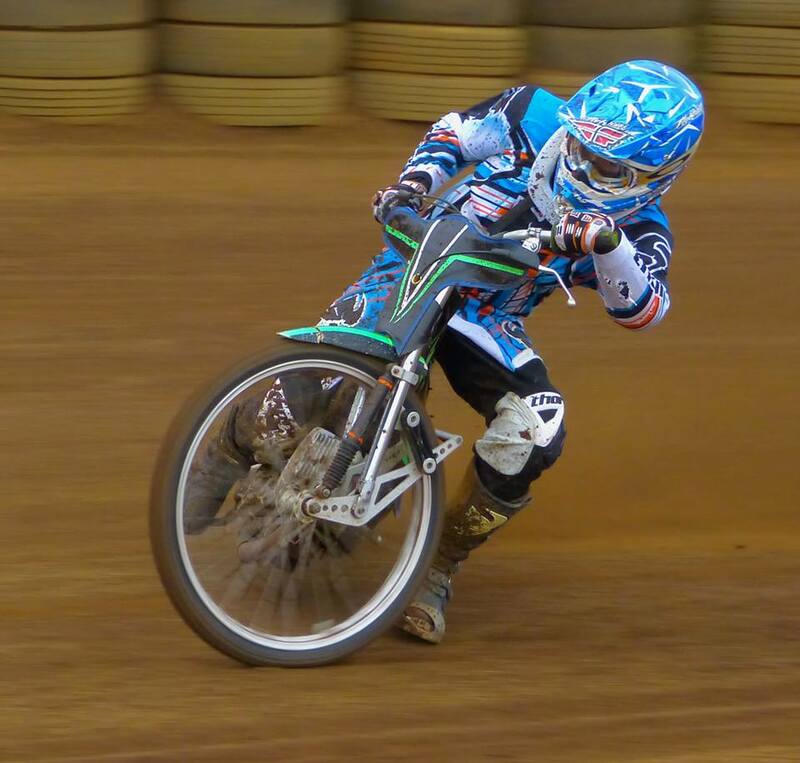 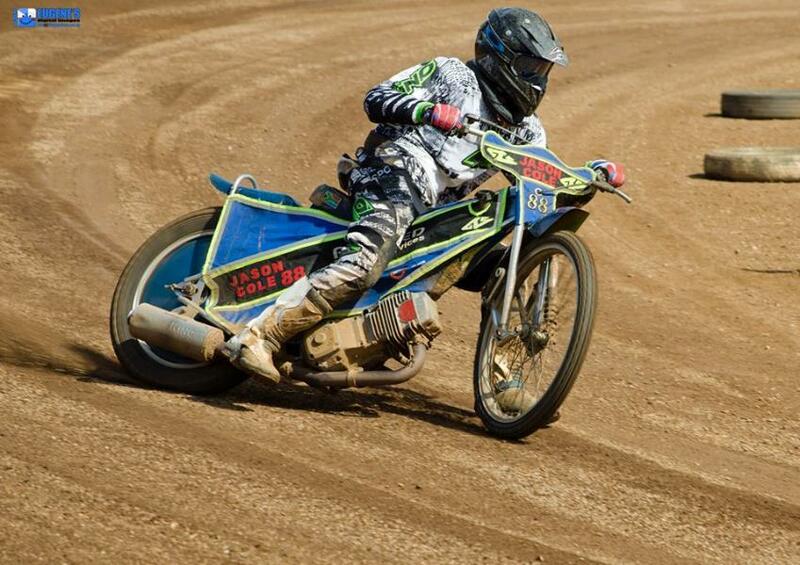 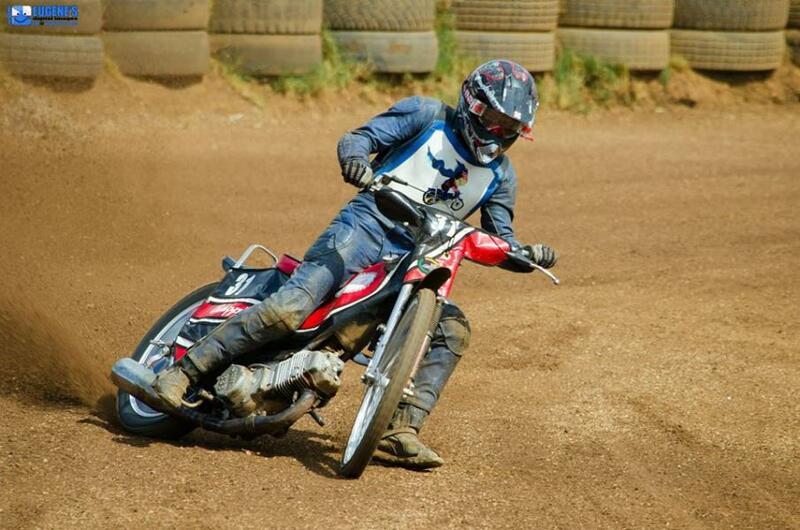 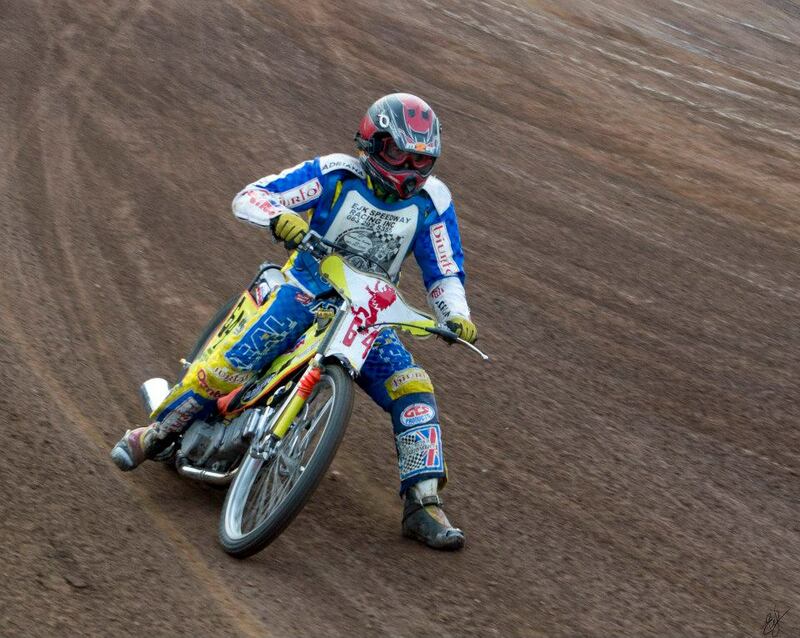 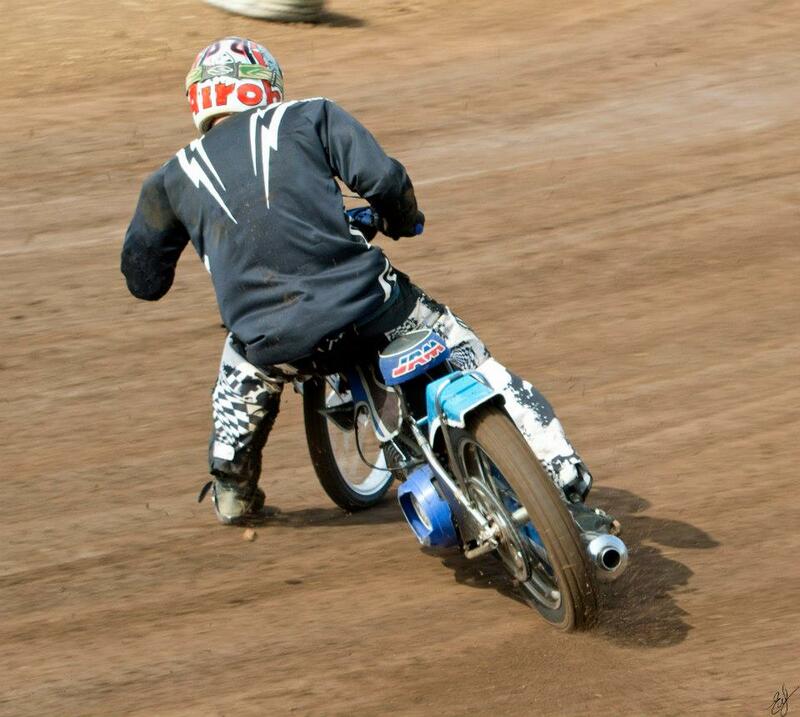 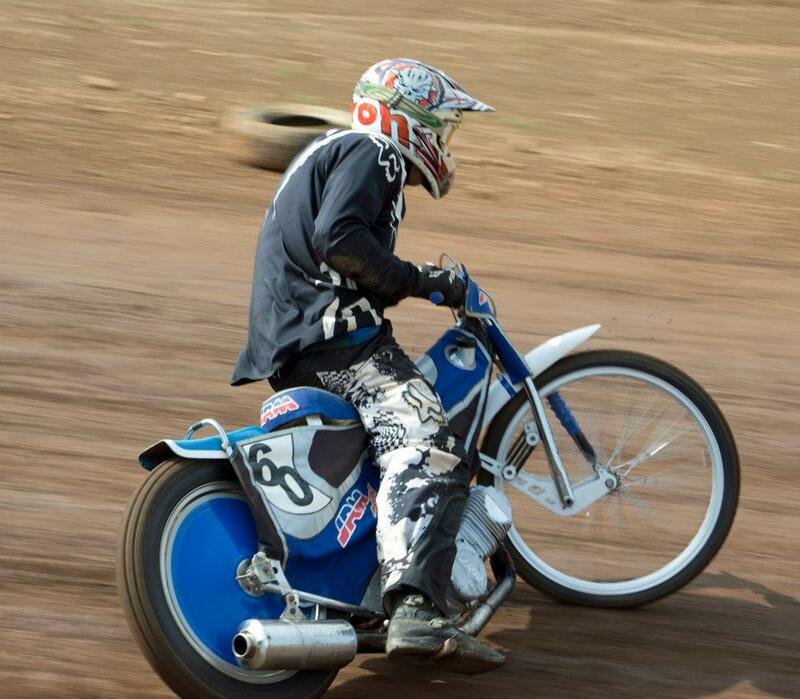 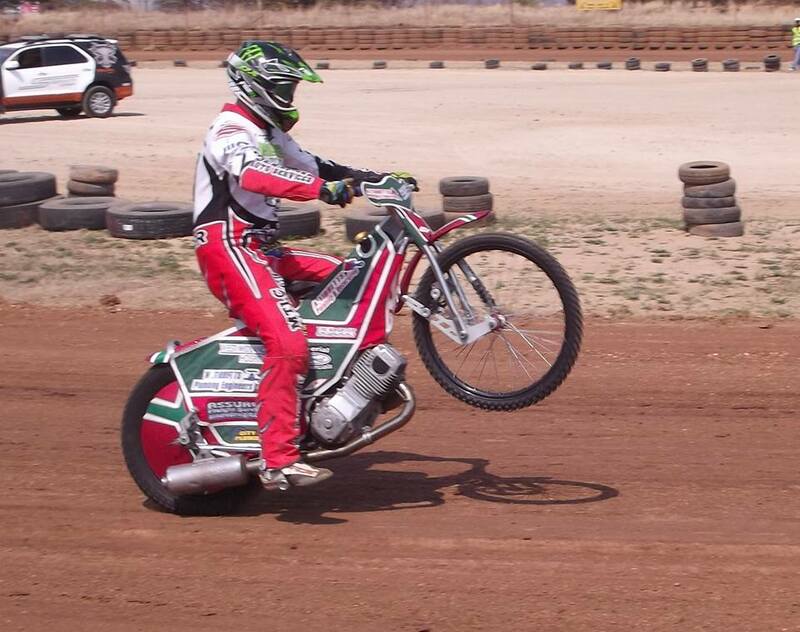 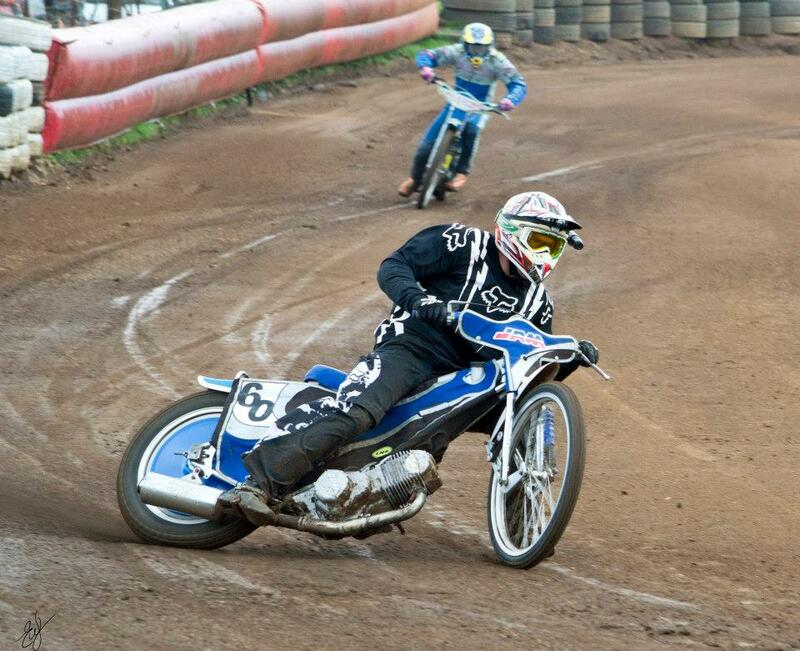 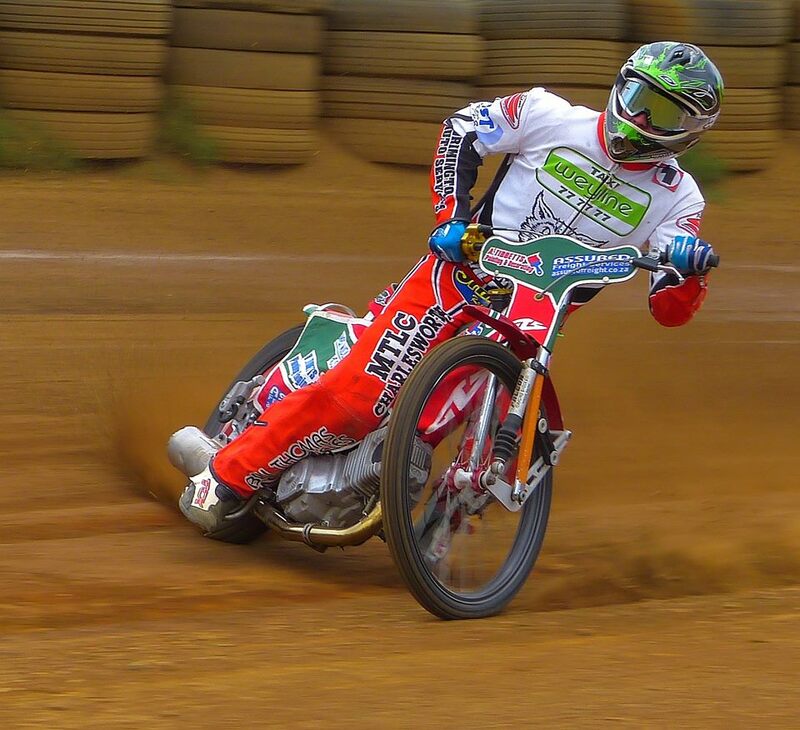 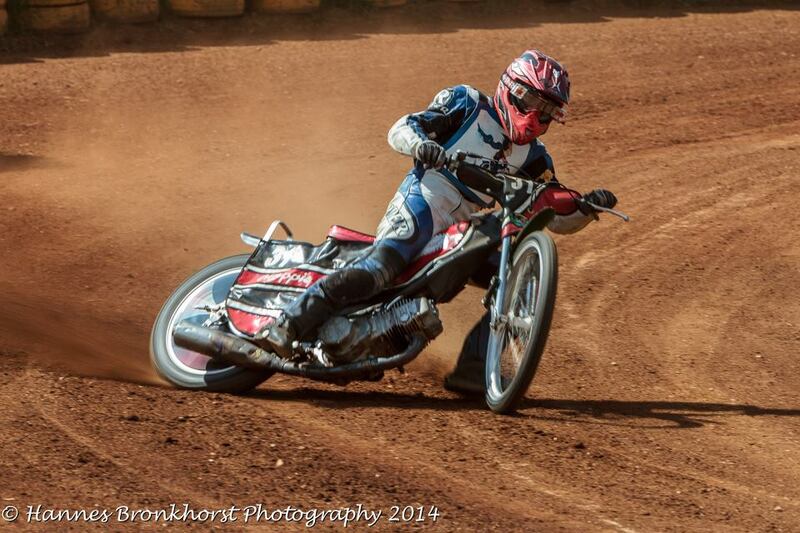 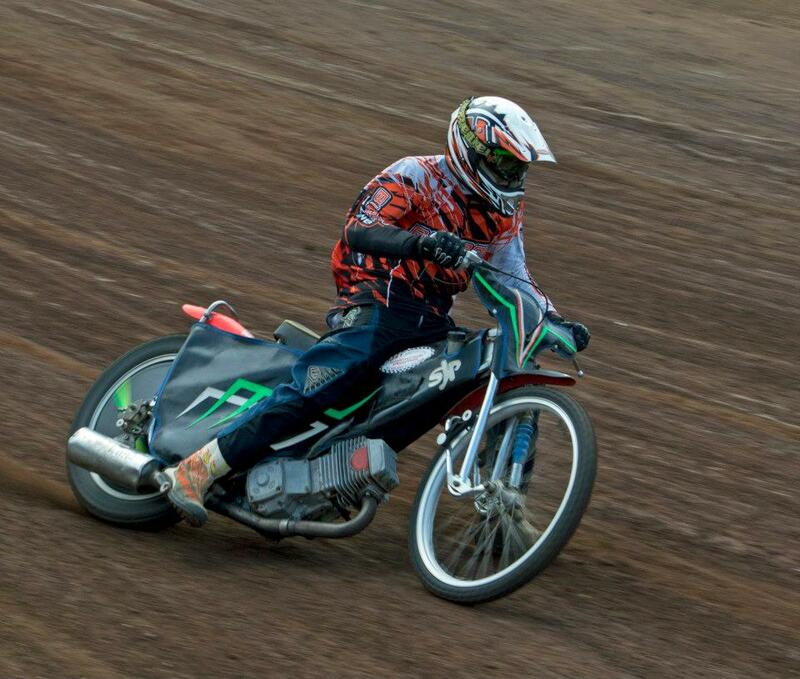 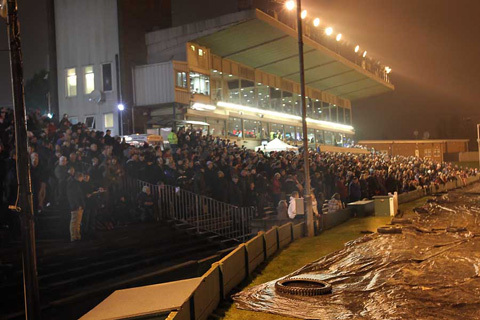 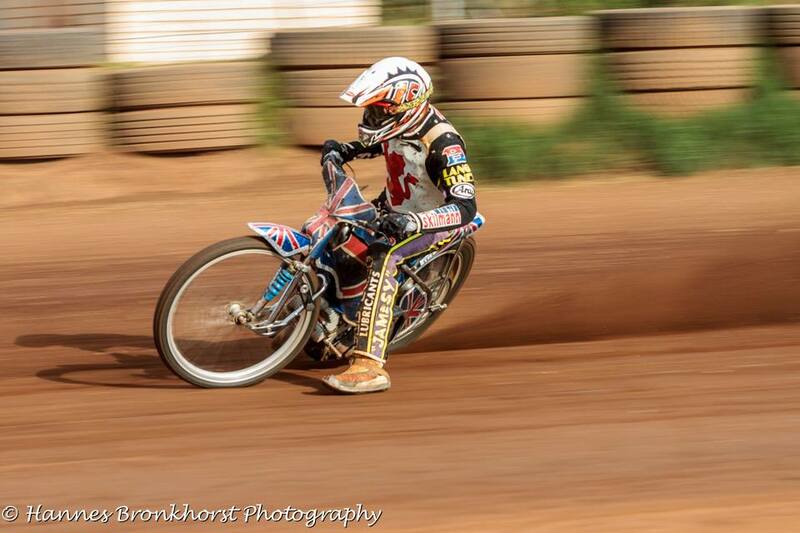 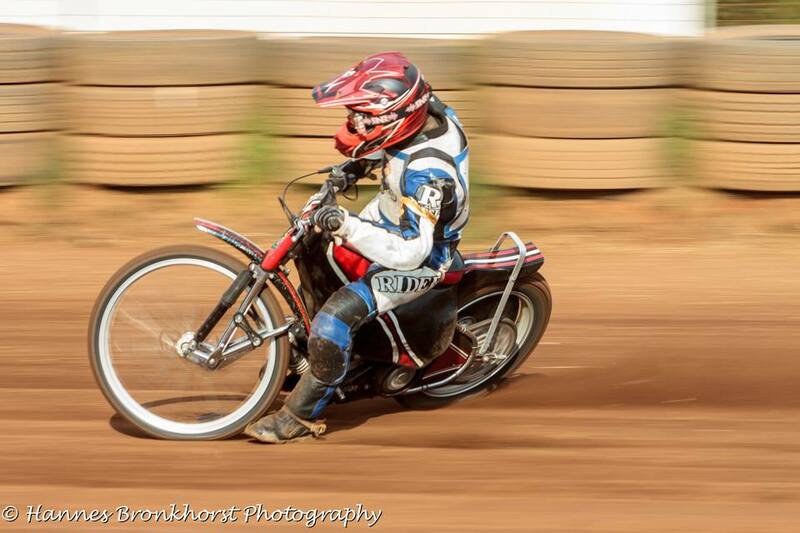 I minute silence for Lee Richardson, fatally injured at Czestochowa the previous week. 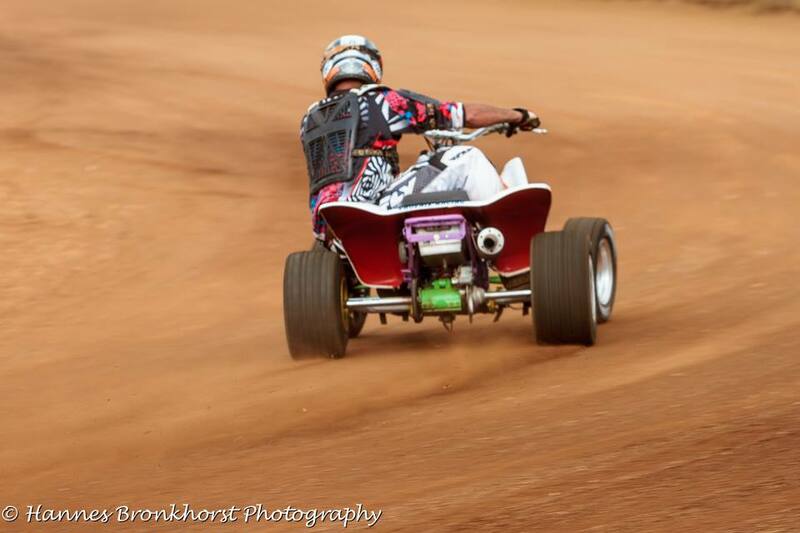 - Cool Adam Roynon eyes the cameraman as rides to a 15pt max; AR in action; the tradition 'bumps' for a maximum. 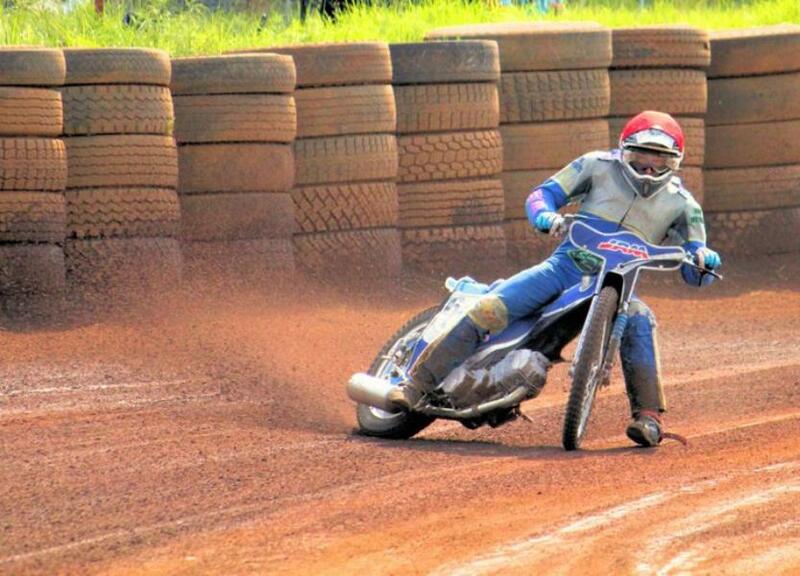 at Monmore Green, Wolverhampton, UK. 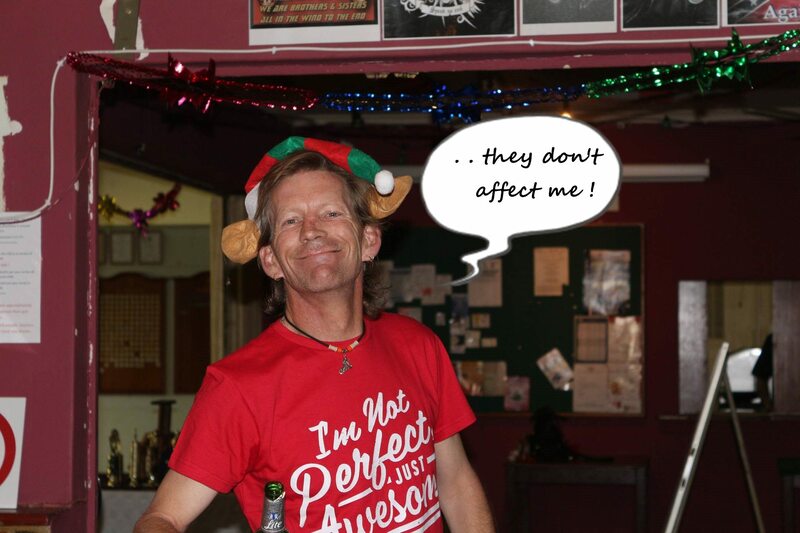 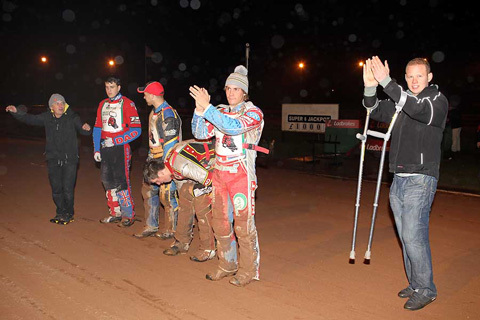 The Heathens, including injured Byron, acknowledge the supporters' loyalty. 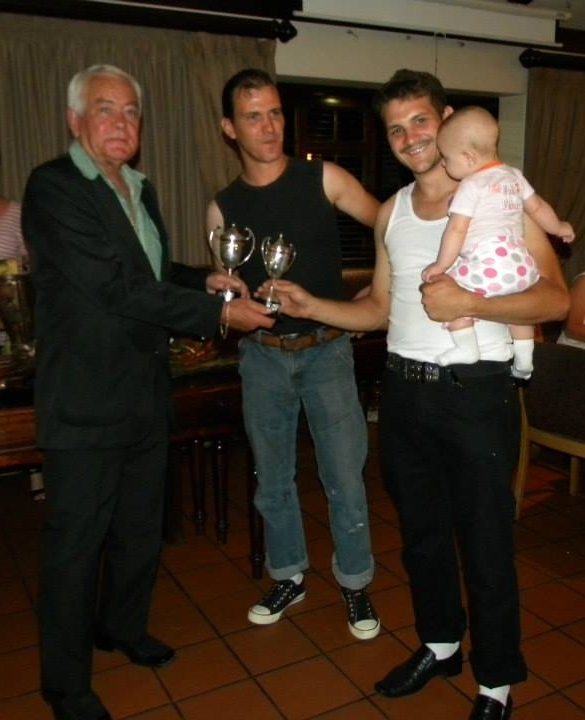 of Byron Bekker's UK Fanzine. 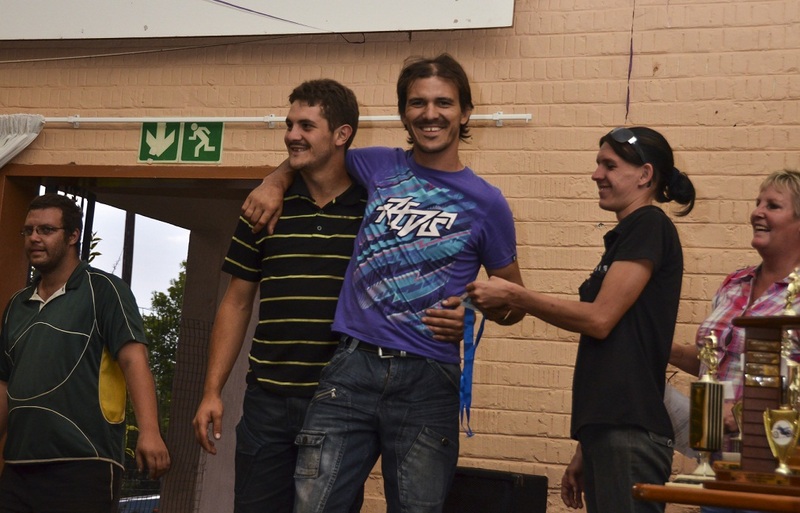 SOLOs: Lt to Rt; Lyle Kotze(3), Neil Pettit(48), Jason Cole(88), Mac Magill(60). 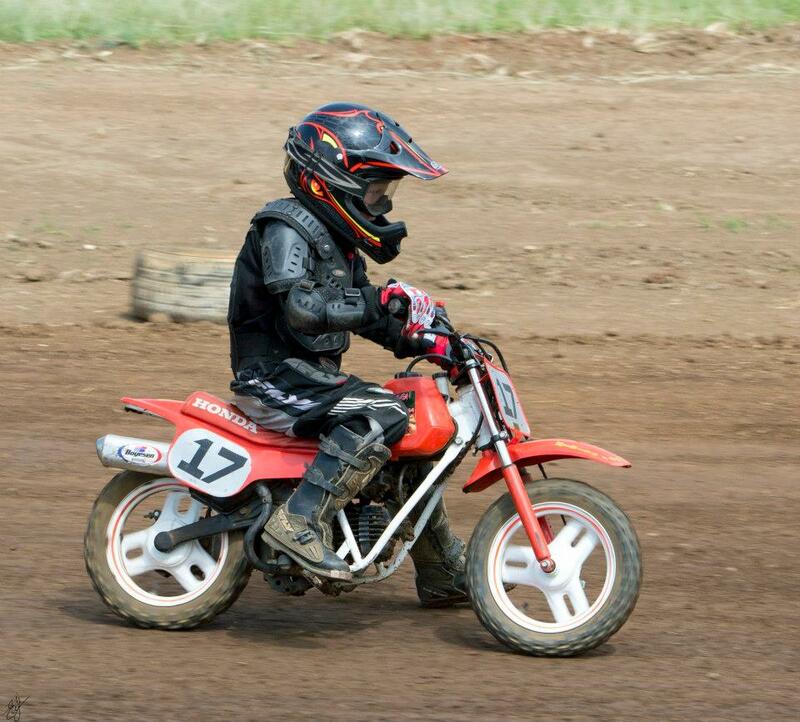 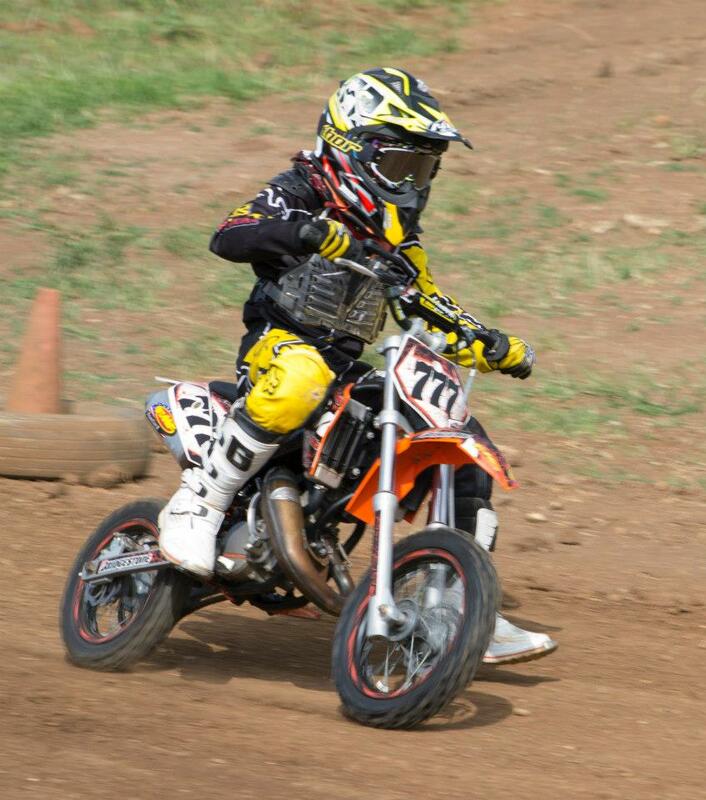 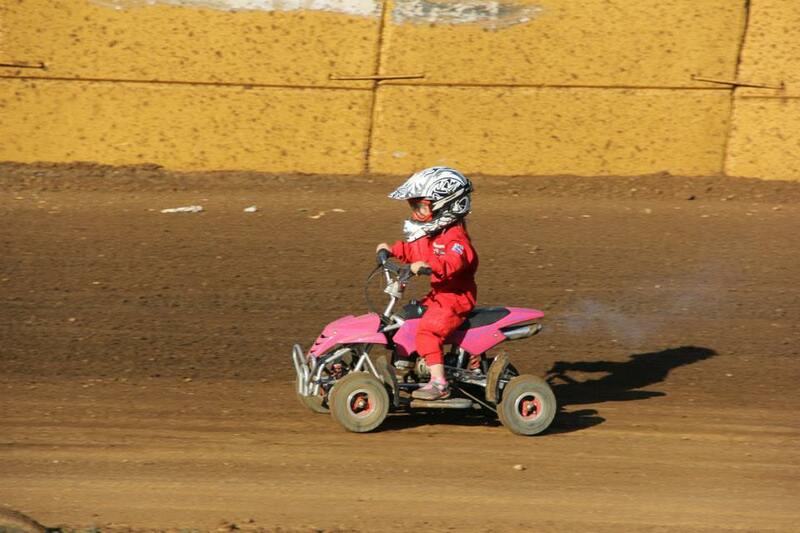 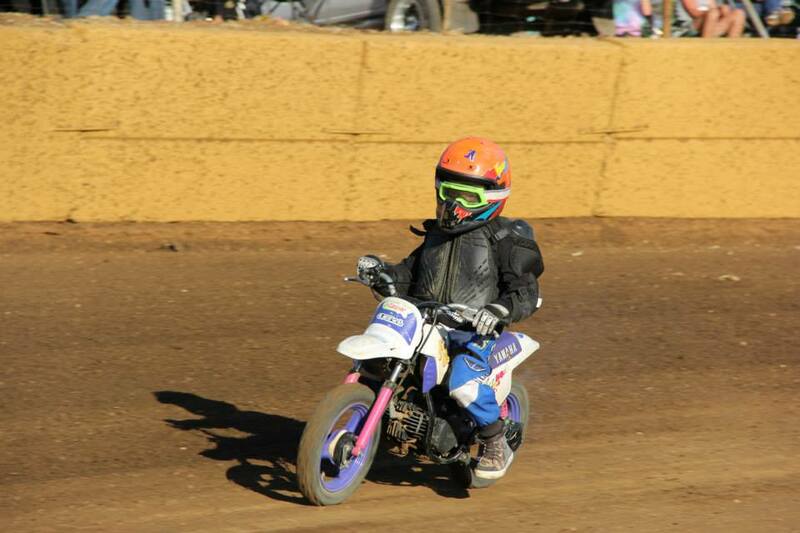 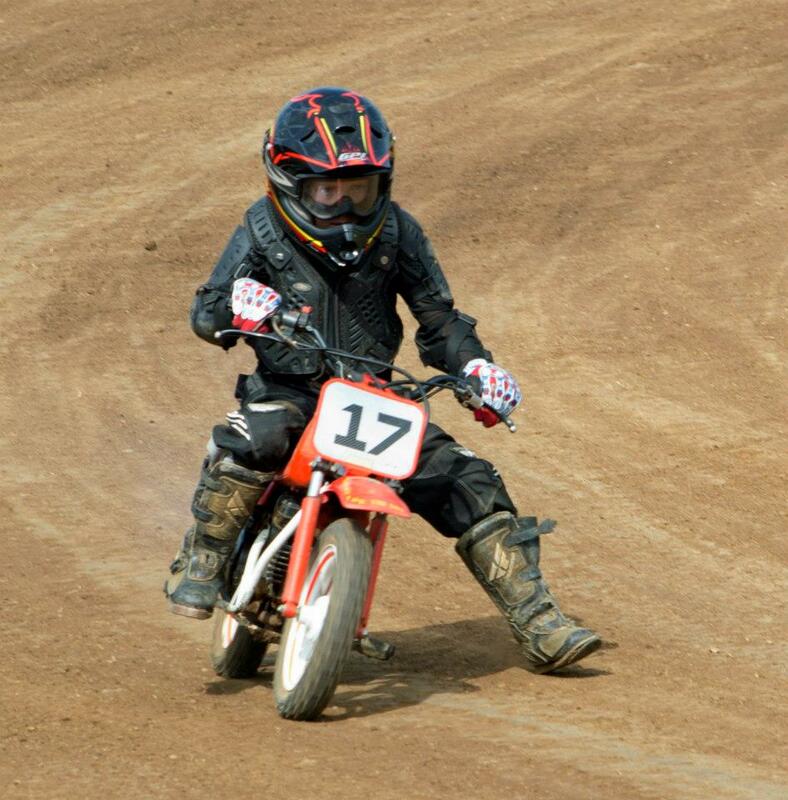 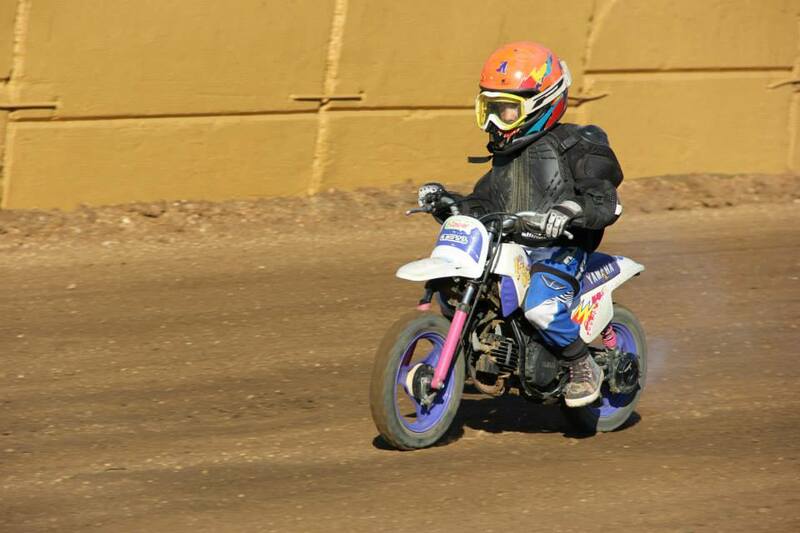 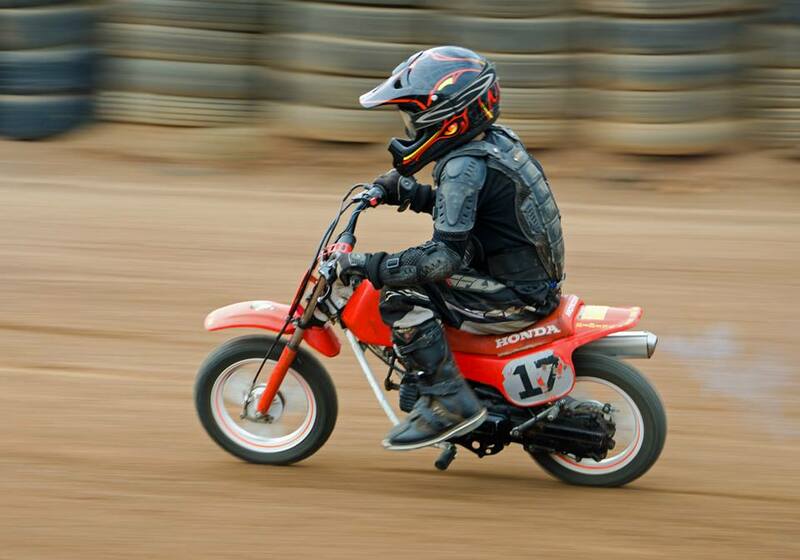 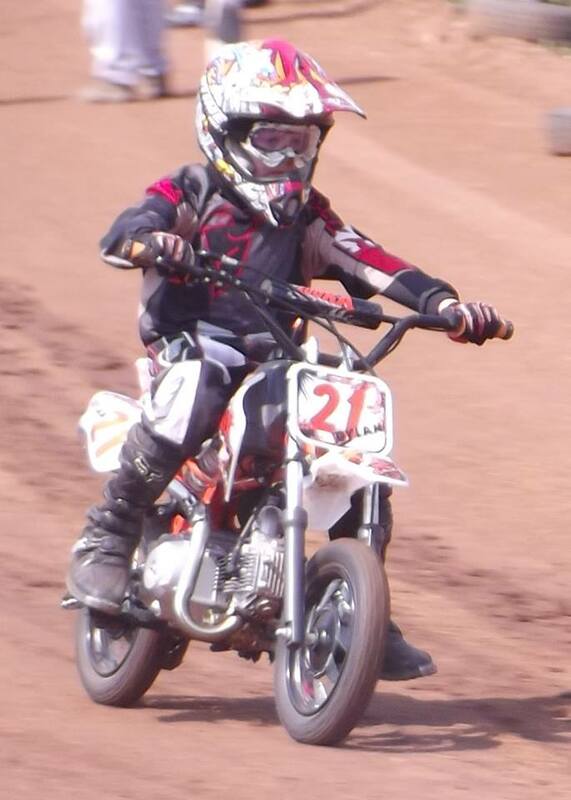 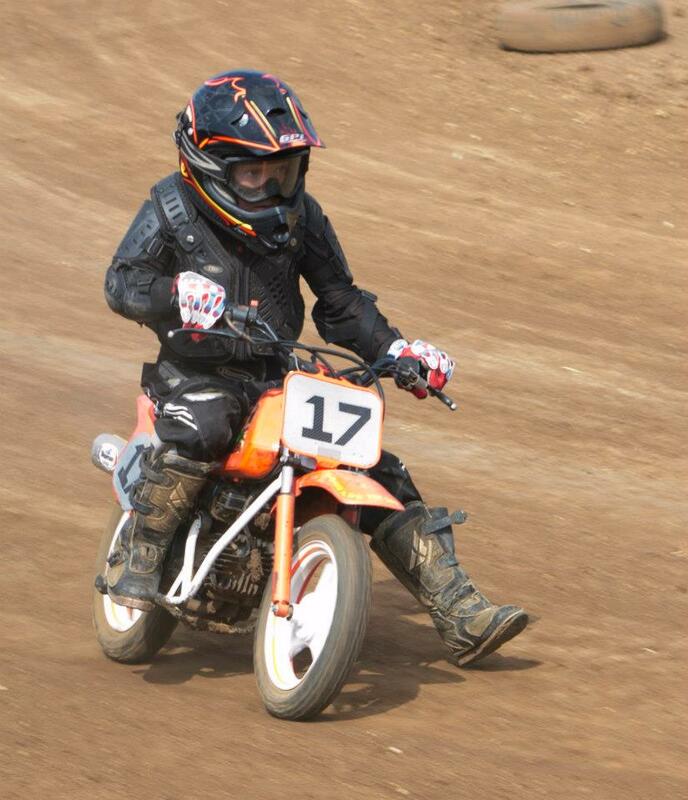 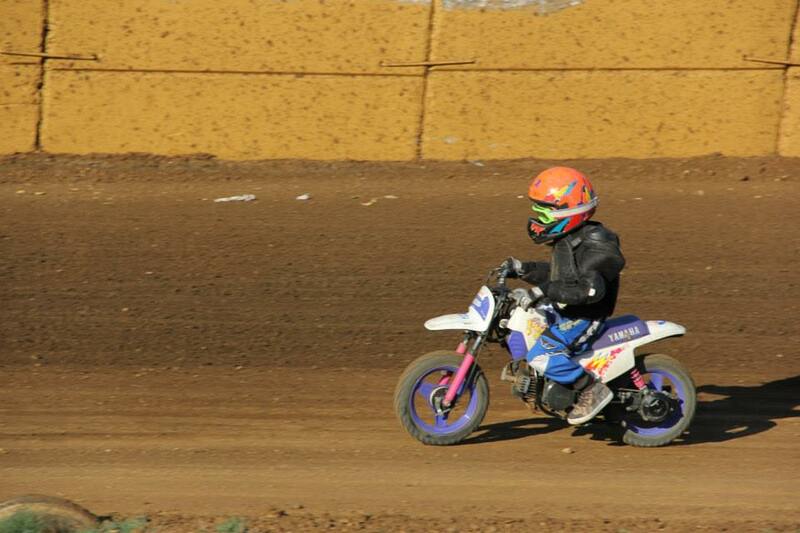 PITBIKES & PEEWEES: 777, 17, ? 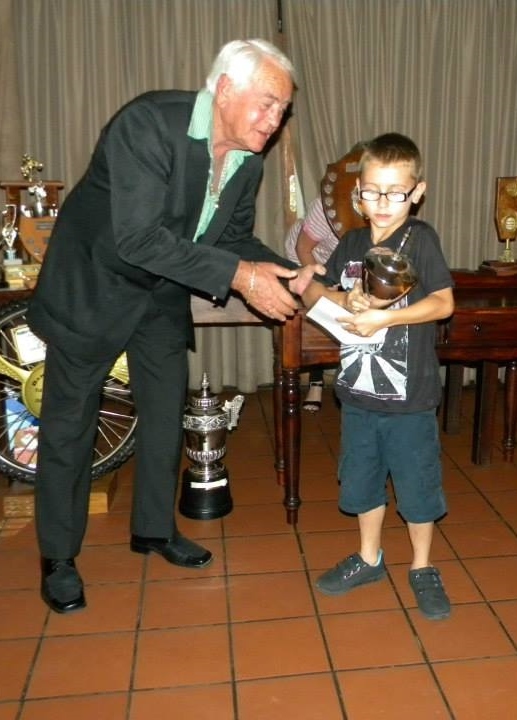 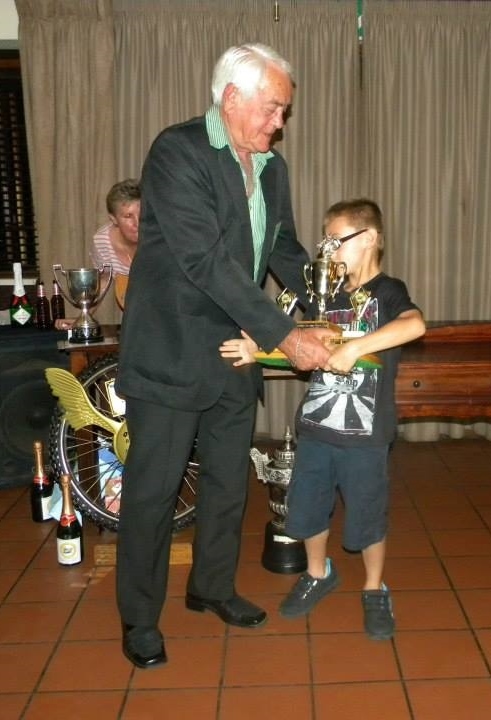 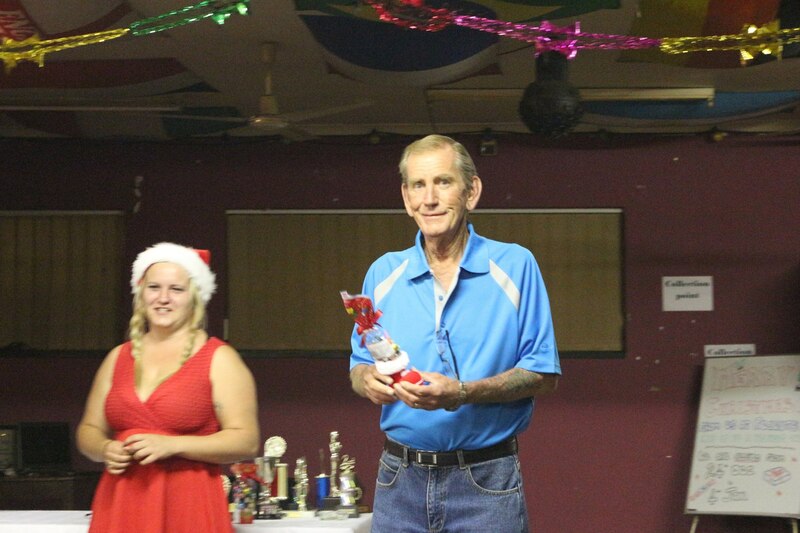 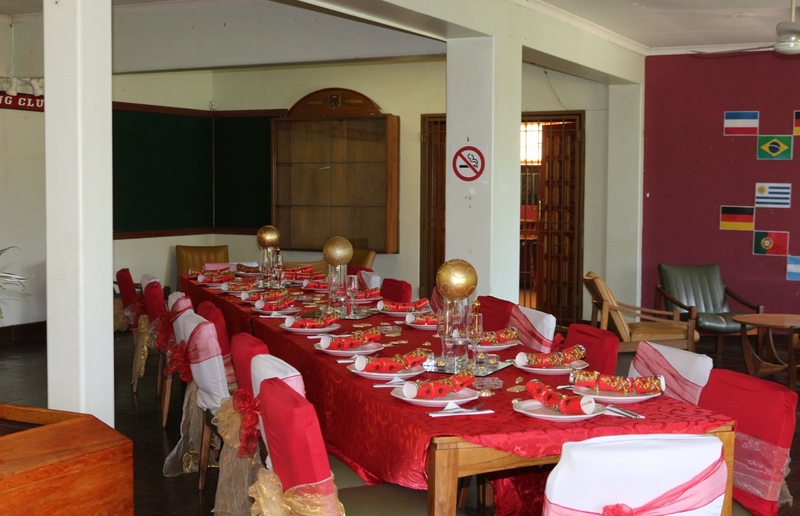 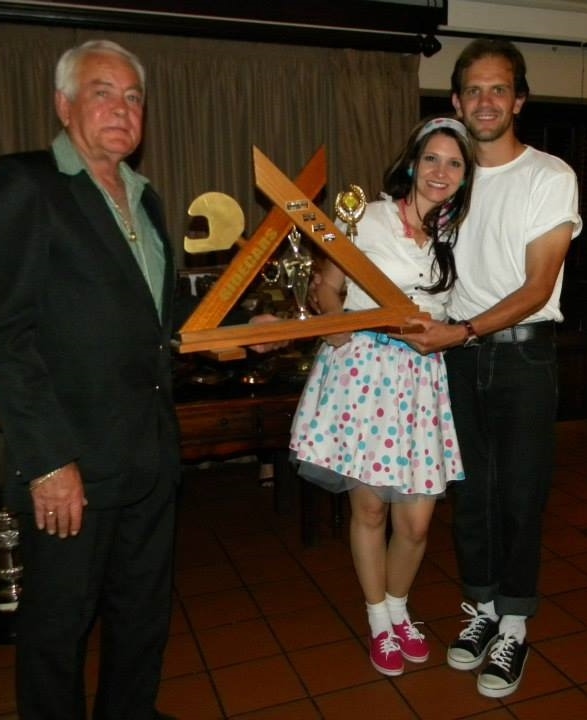 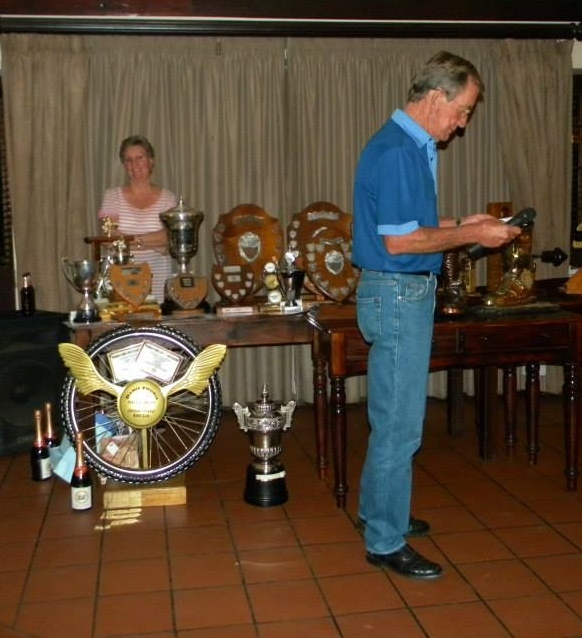 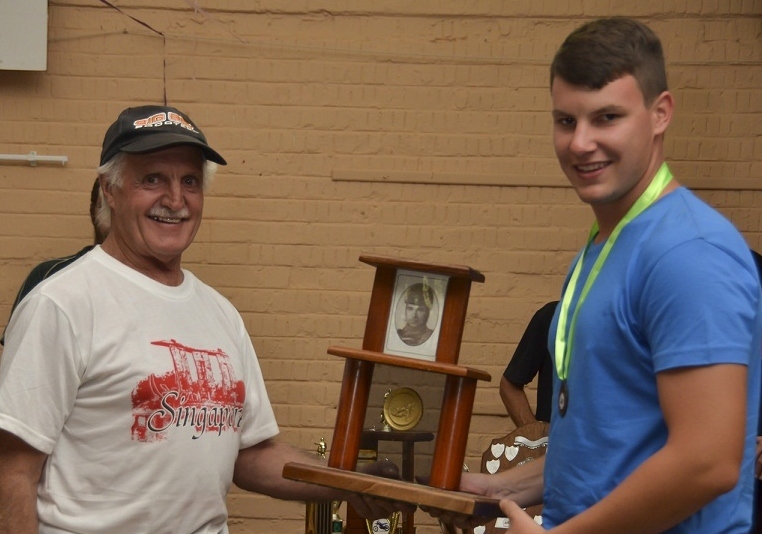 Prizes were presented by Arthur Bruins, WSRC's prime sponsor of the Dot Engineering SA National Championships and former South African Speedway Champion, 1976, '77, '78. 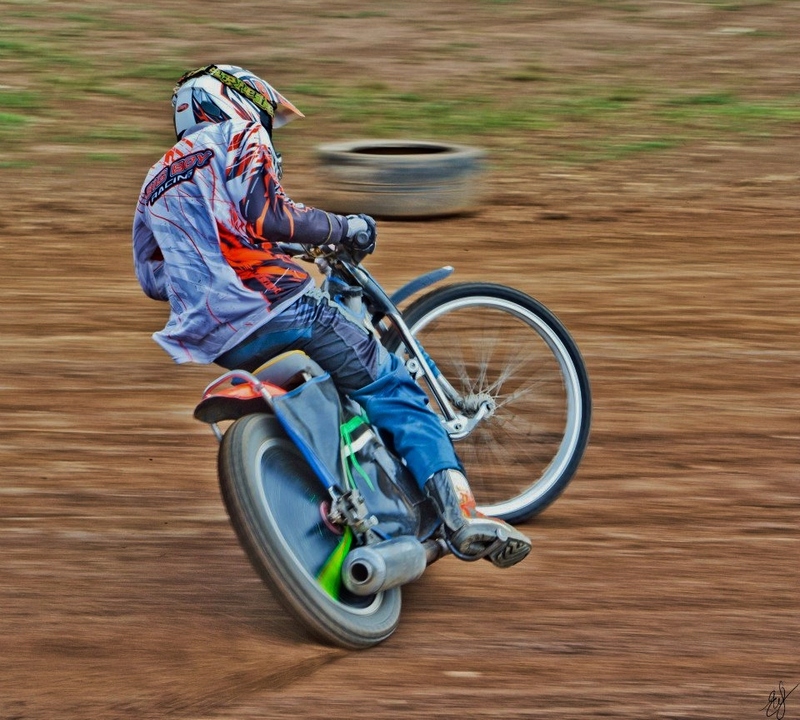 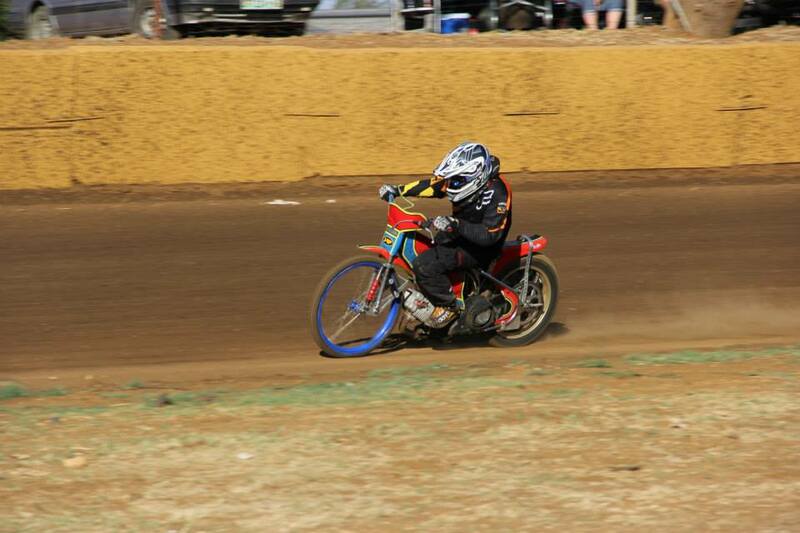 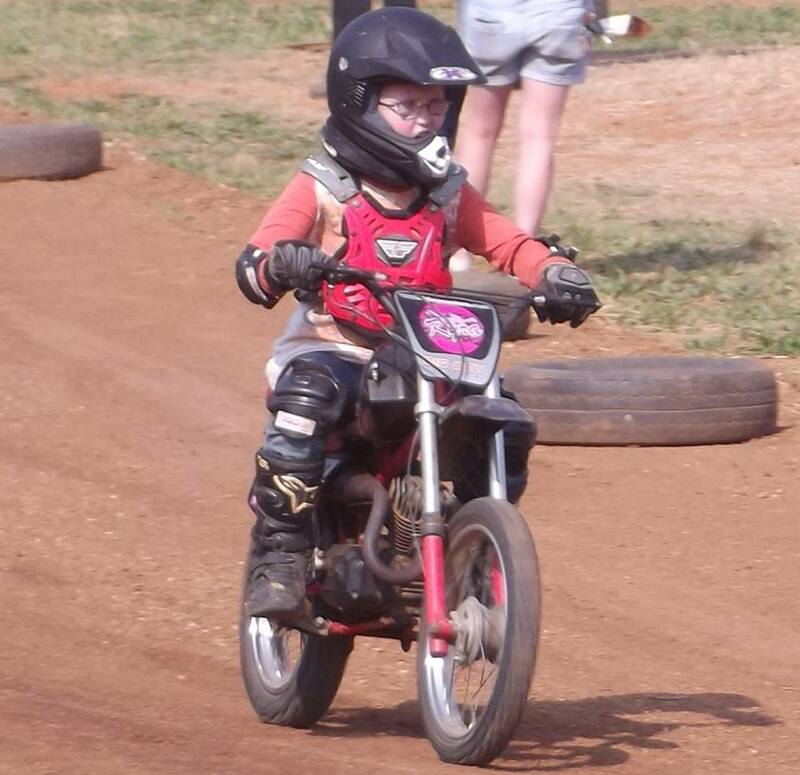 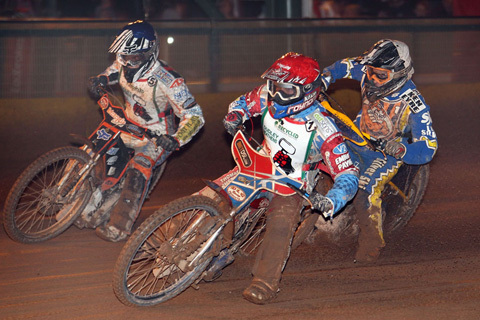 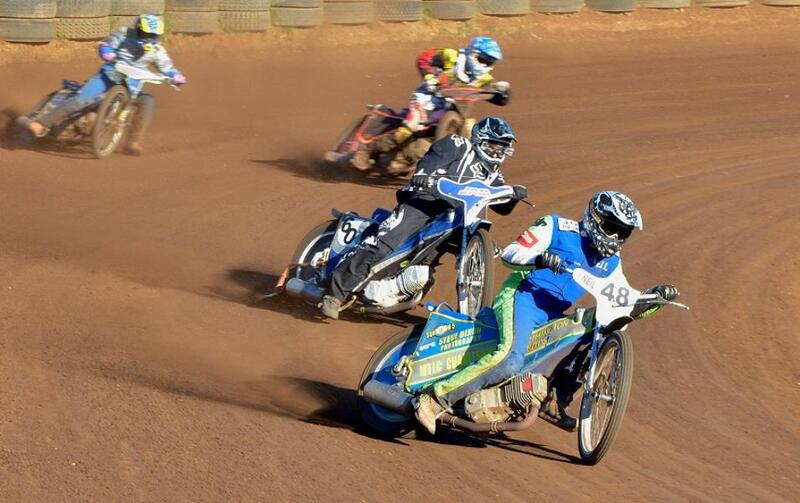 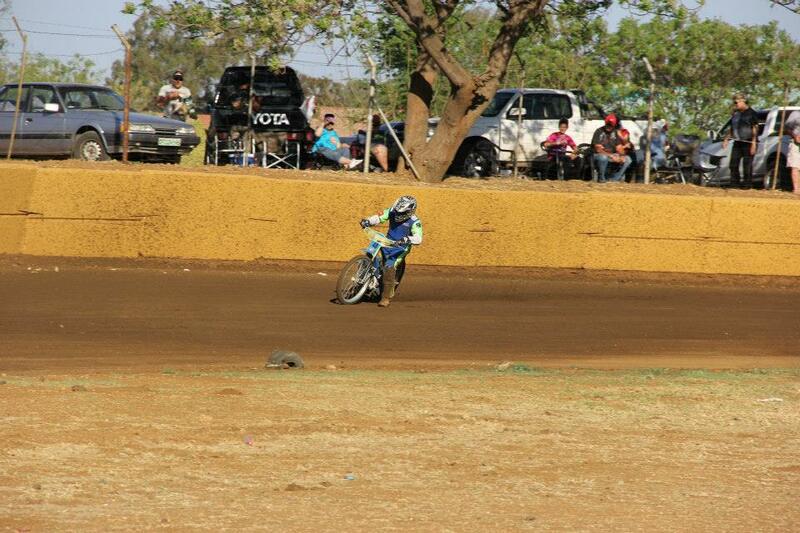 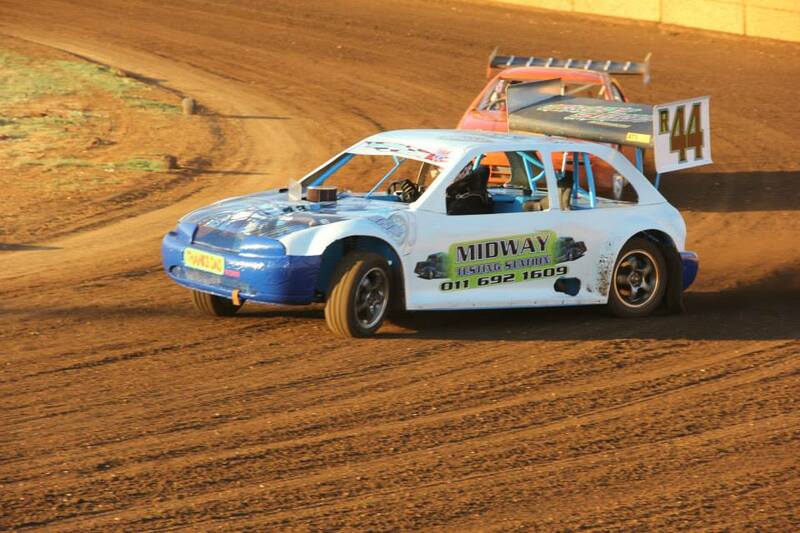 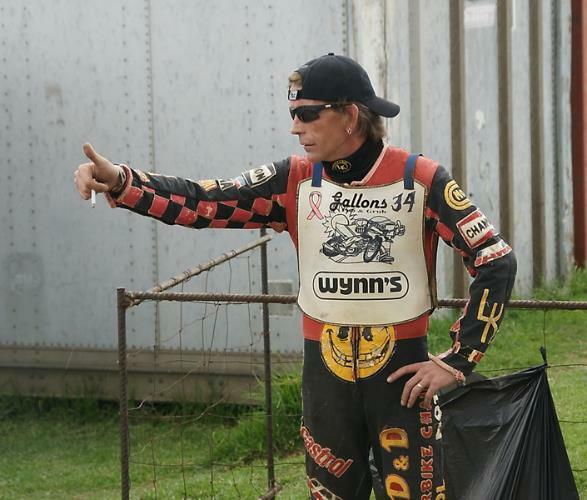 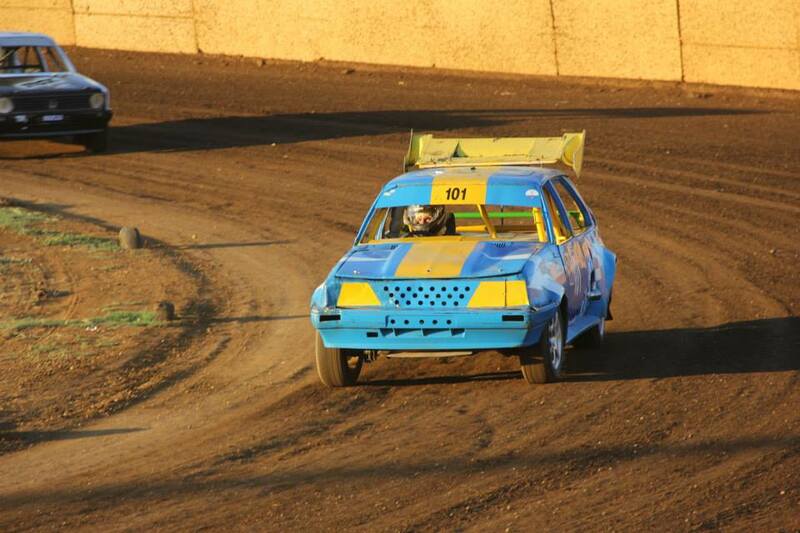 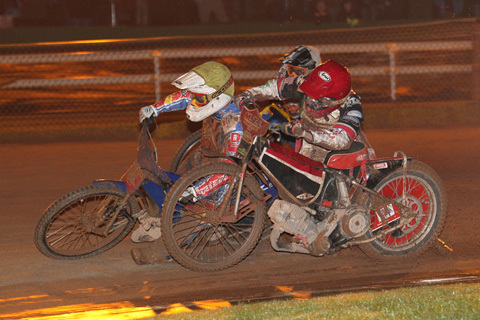 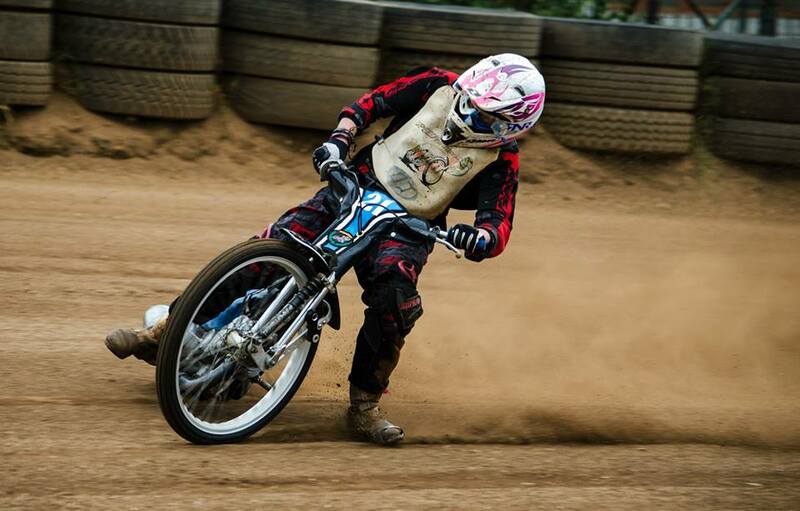 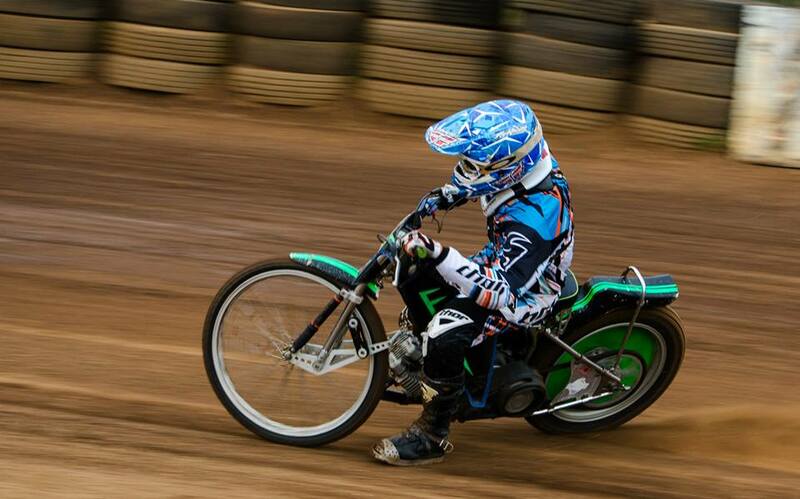 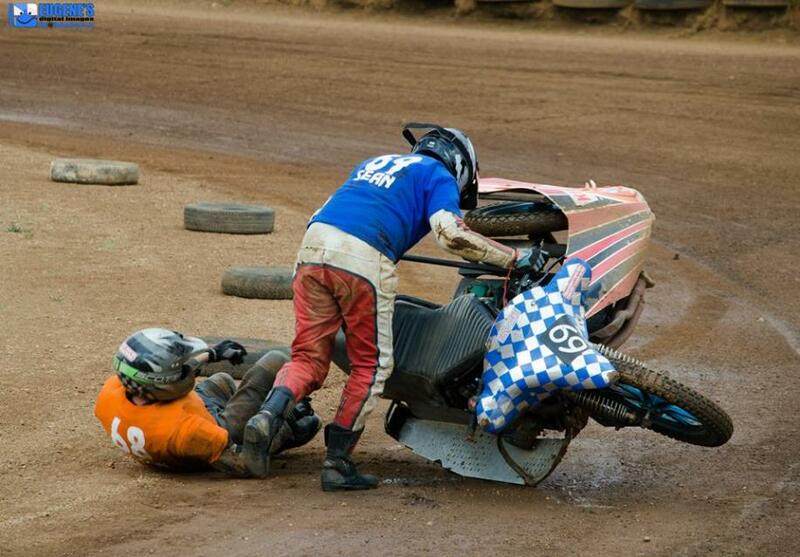 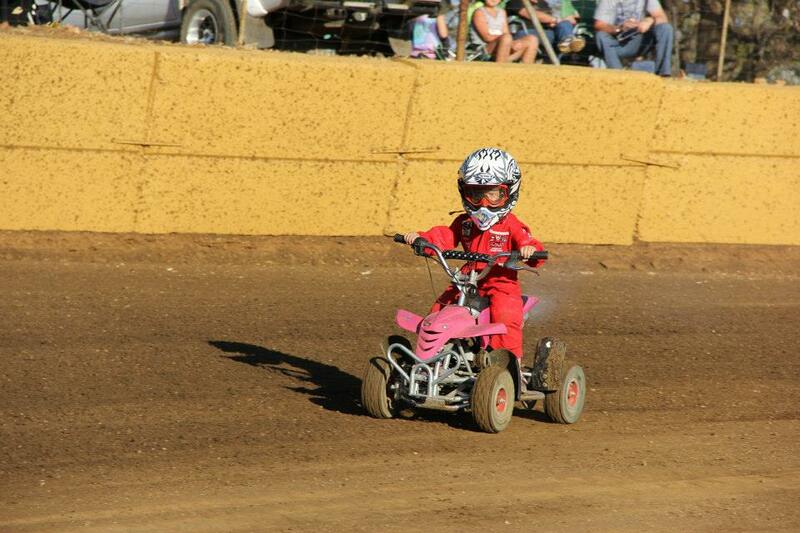 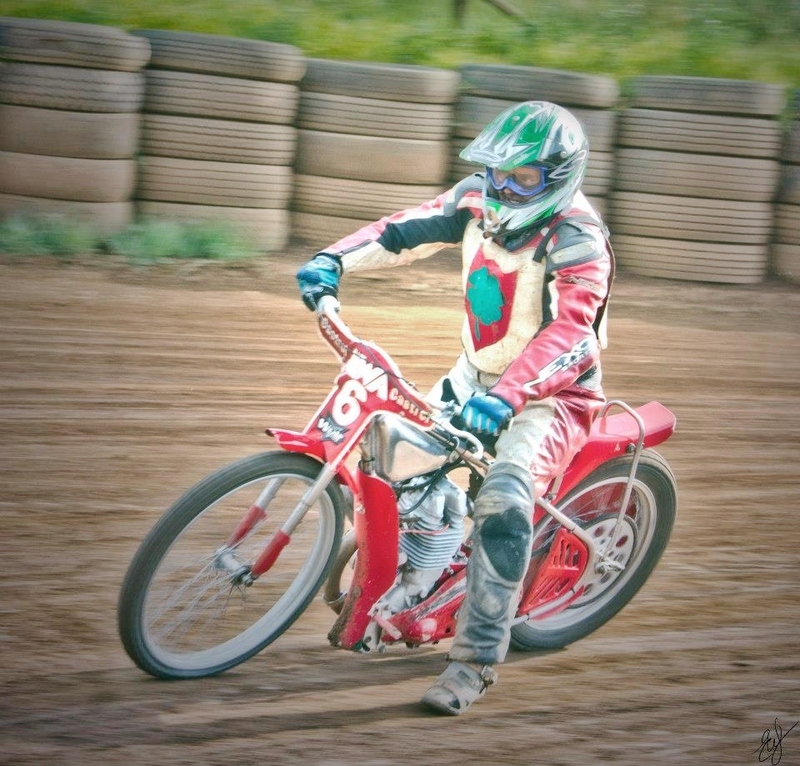 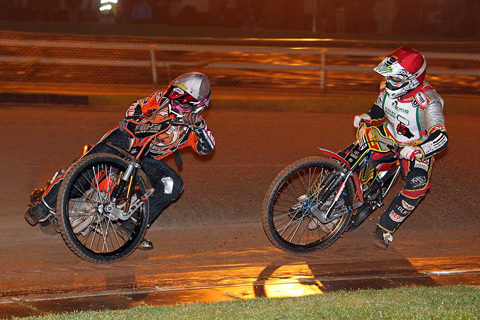 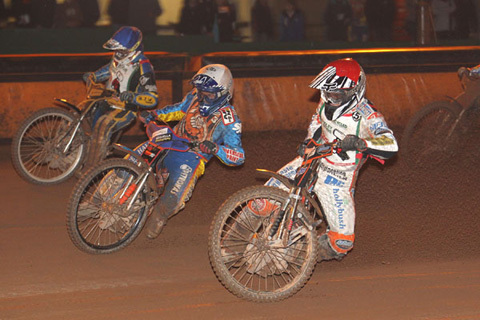 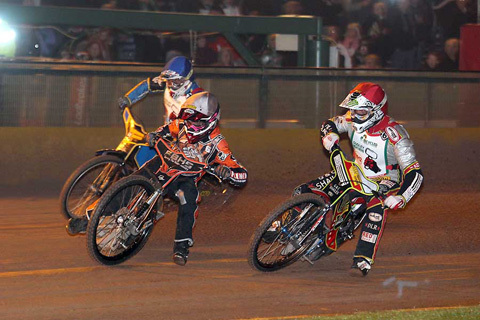 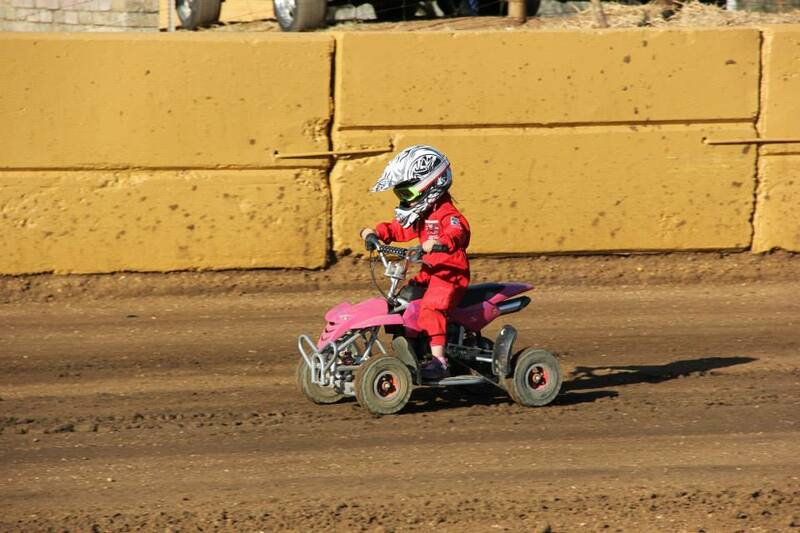 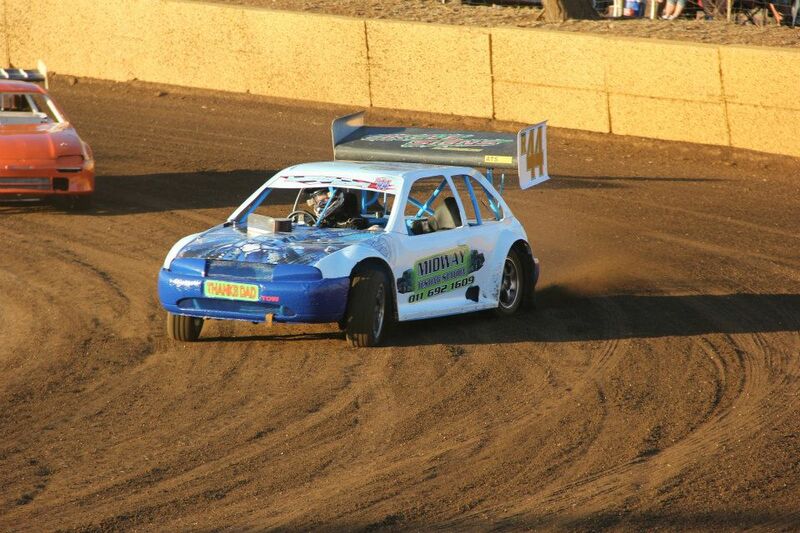 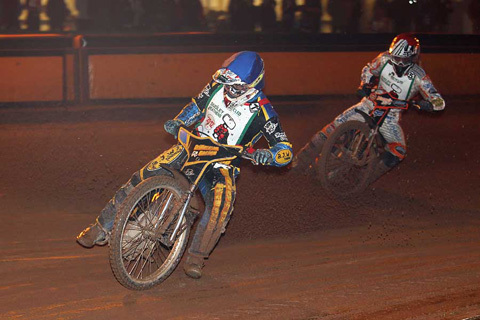 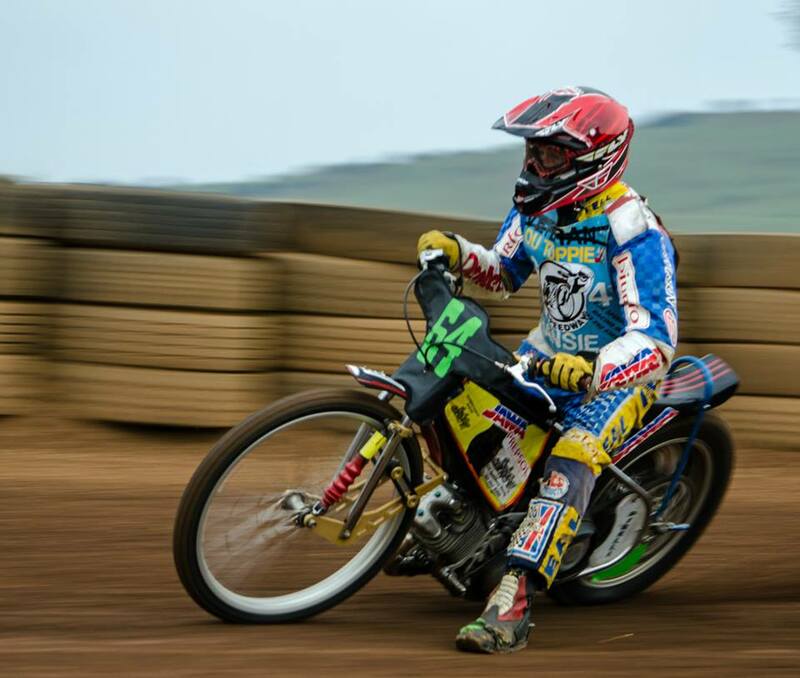 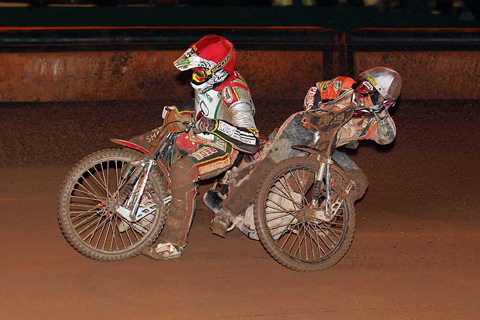 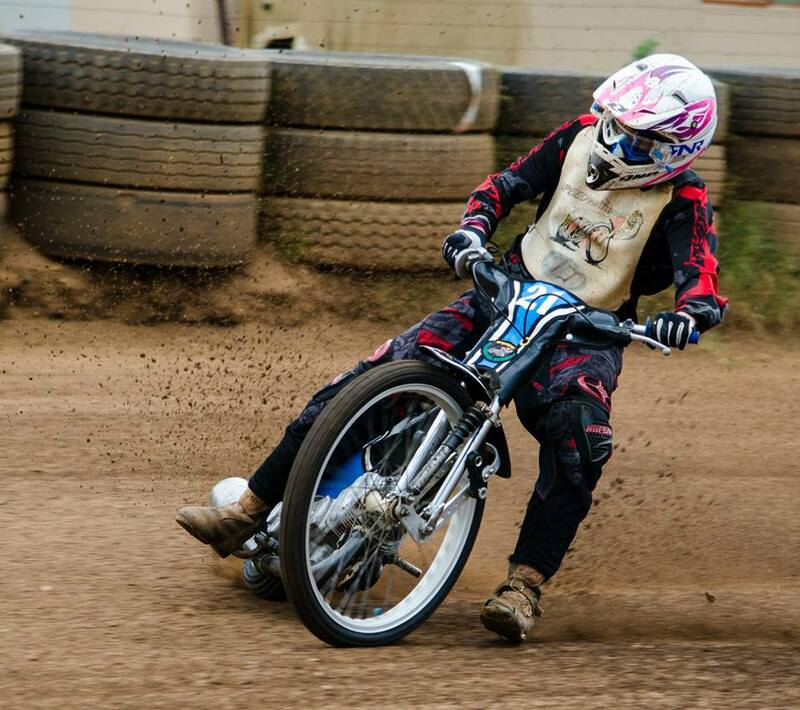 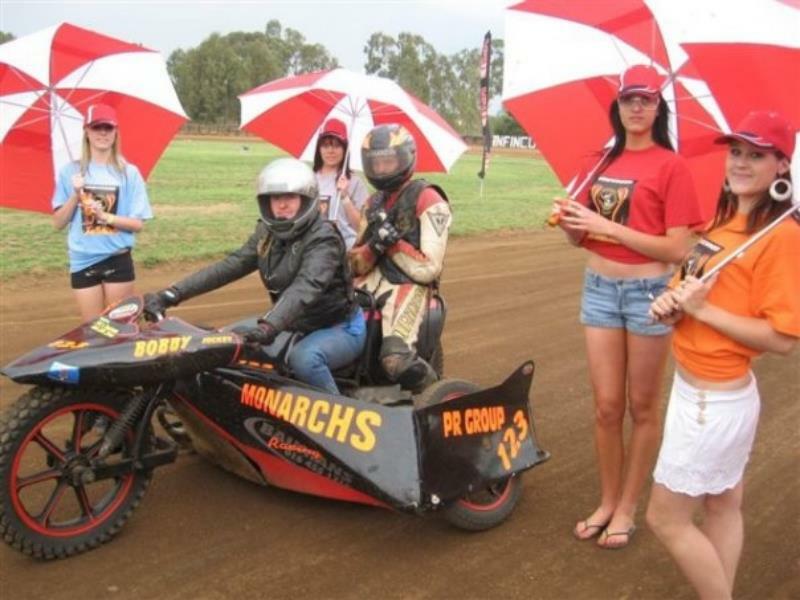 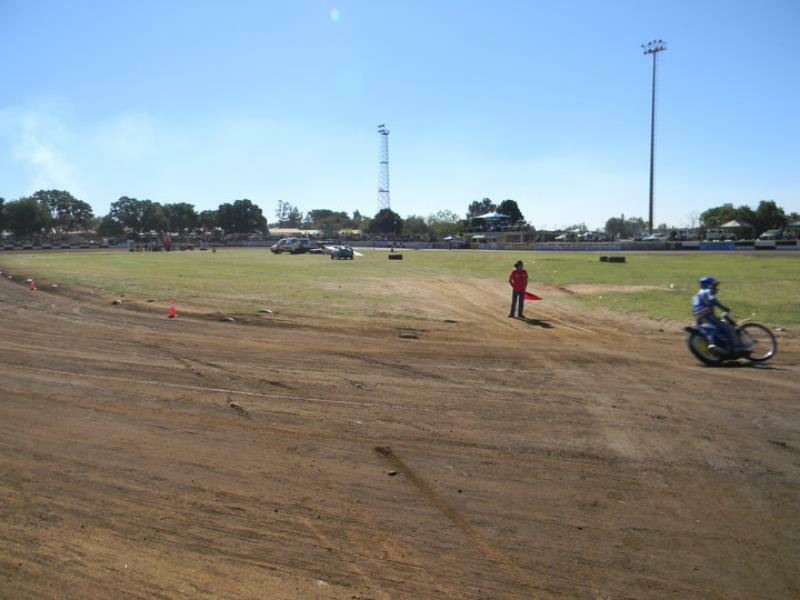 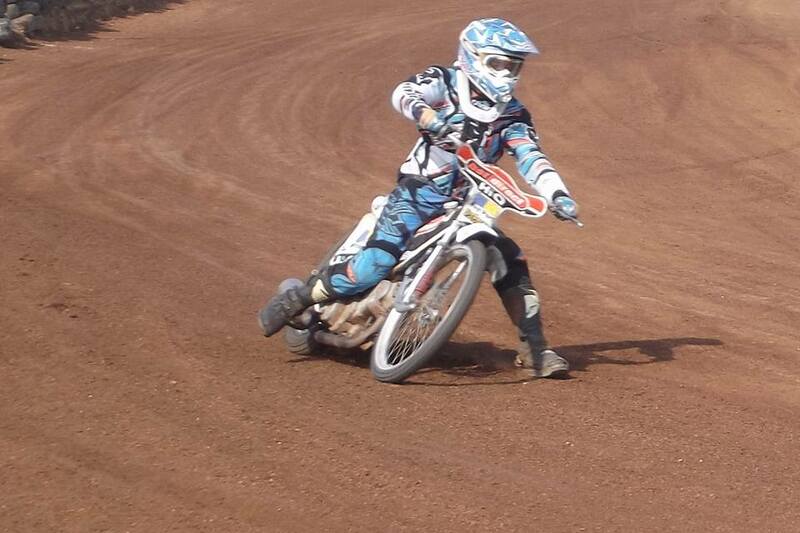 - Mascot Speedway: Robin Brill; - U21 Speedway: Jason Cole, with Premier Speedway: Neil Pettit. 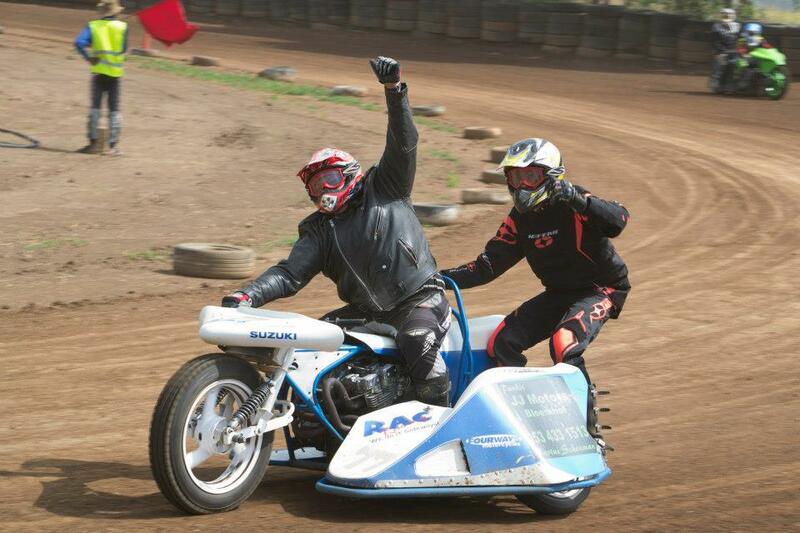 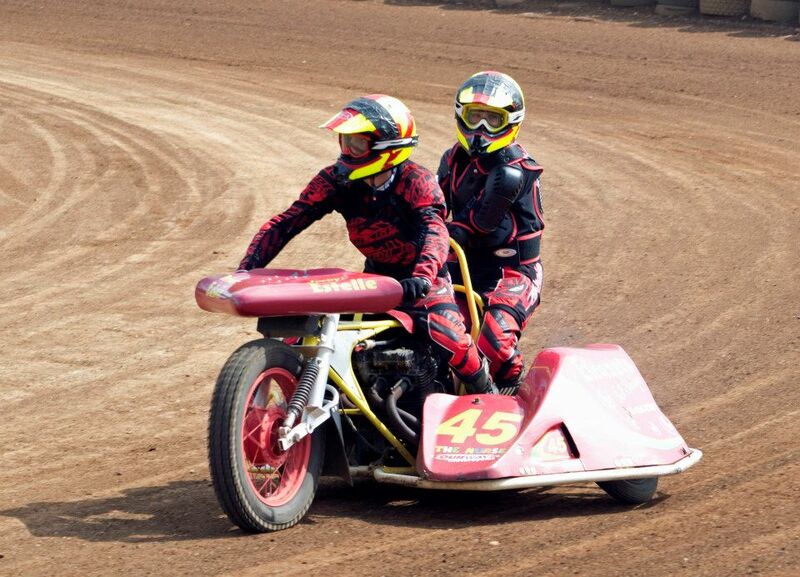 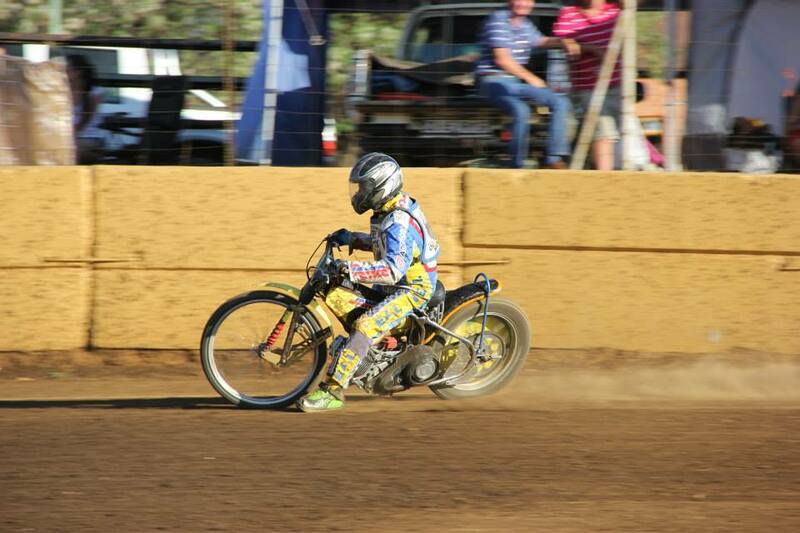 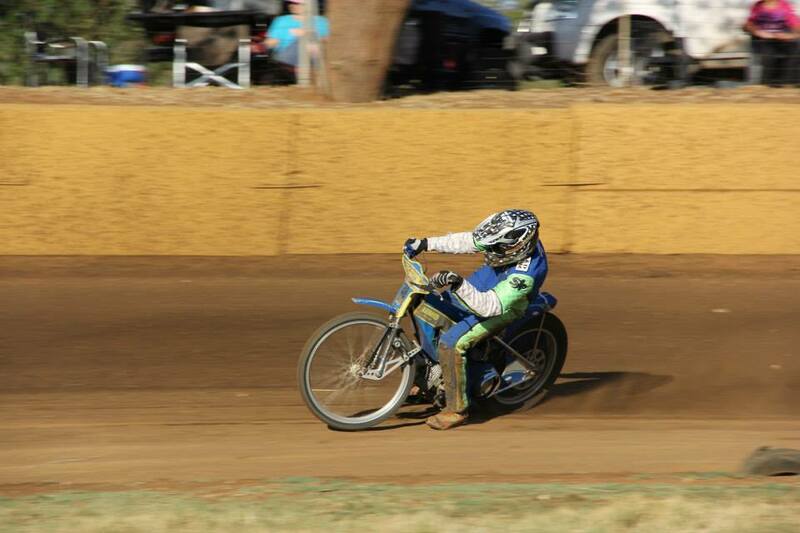 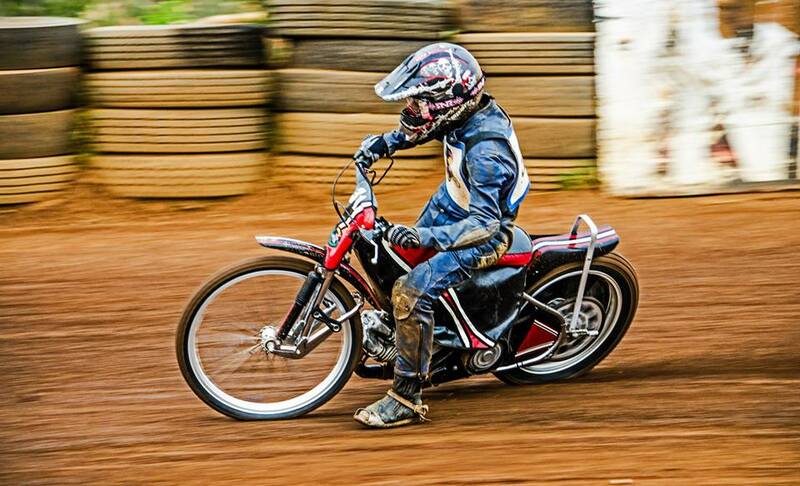 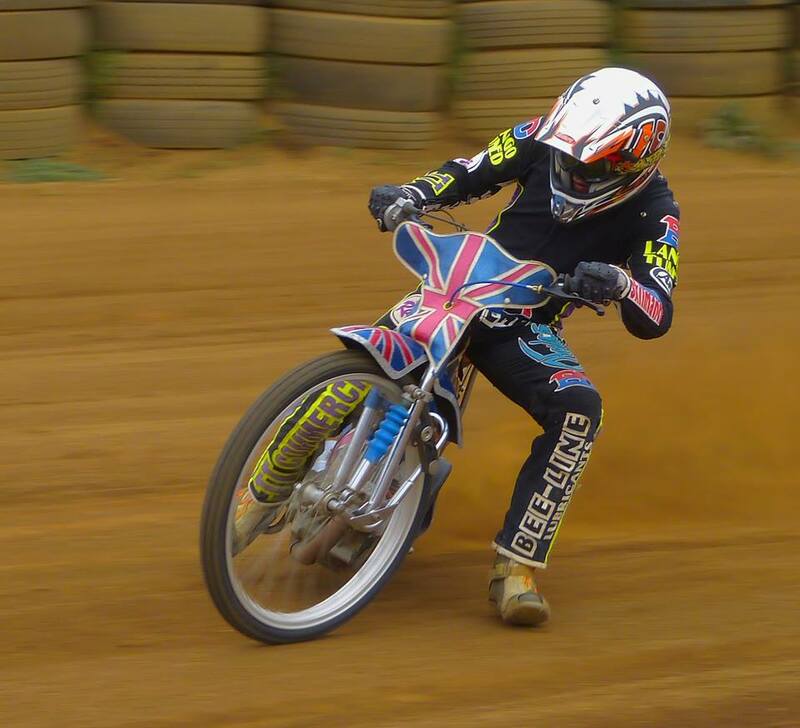 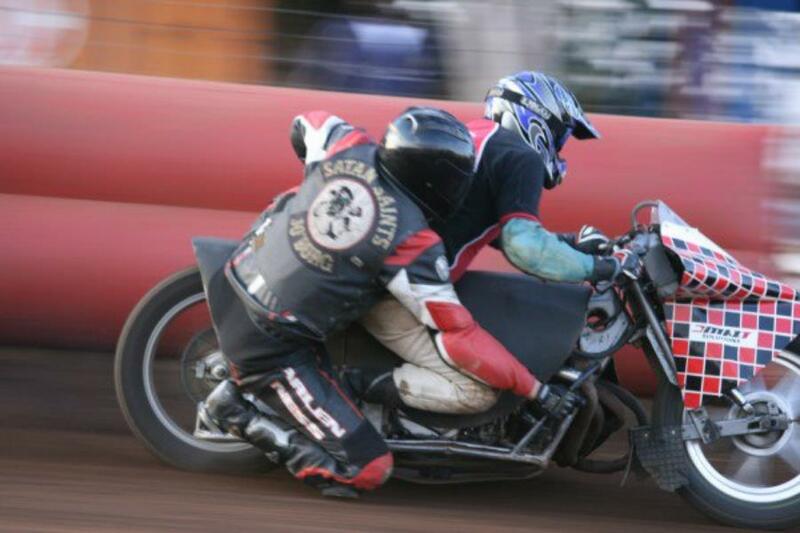 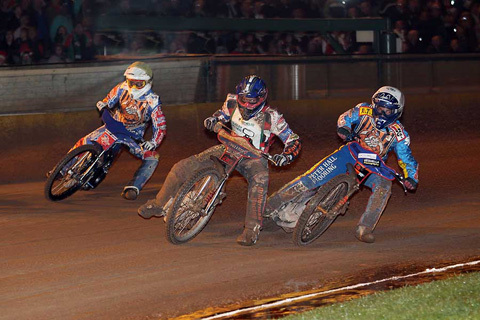 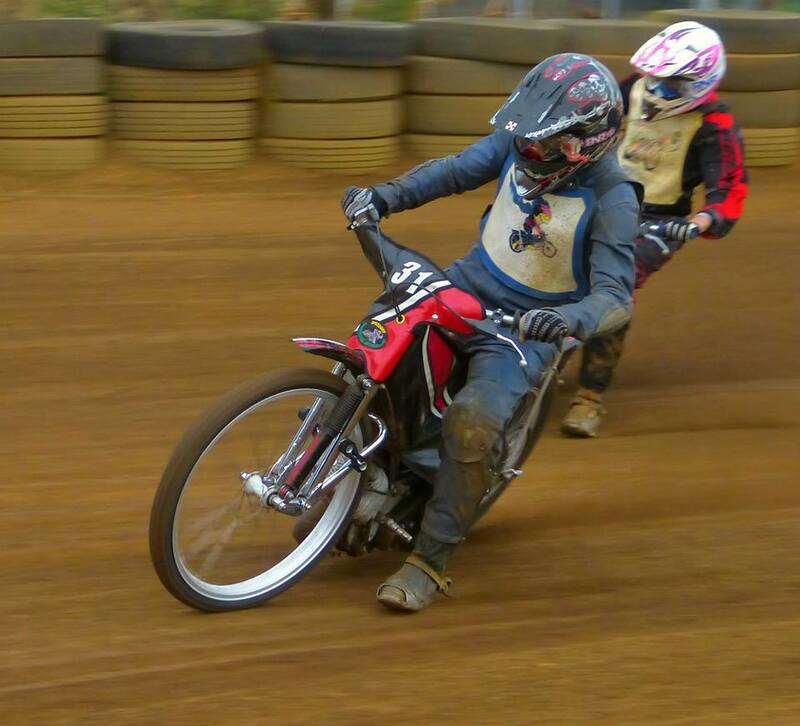 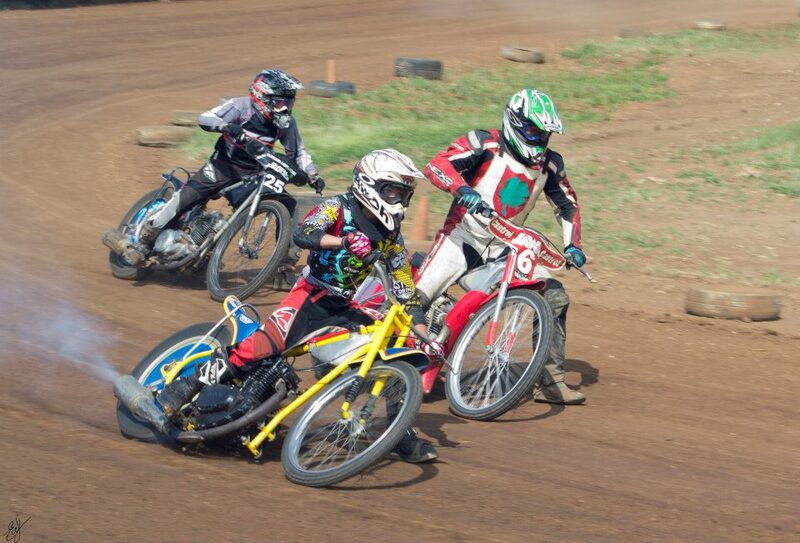 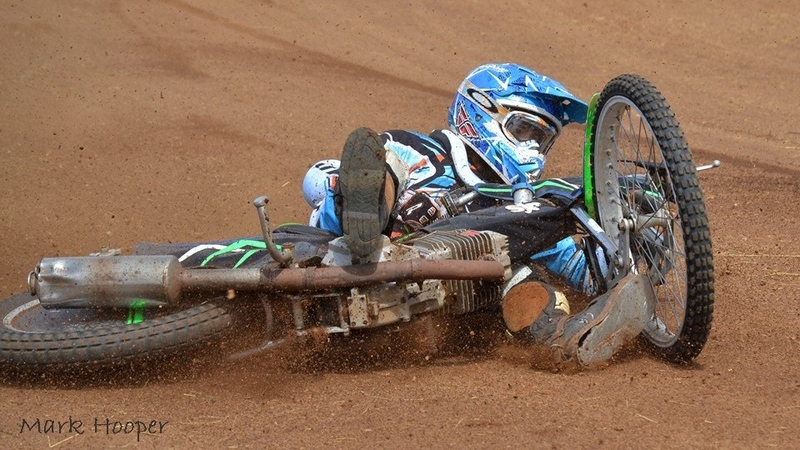 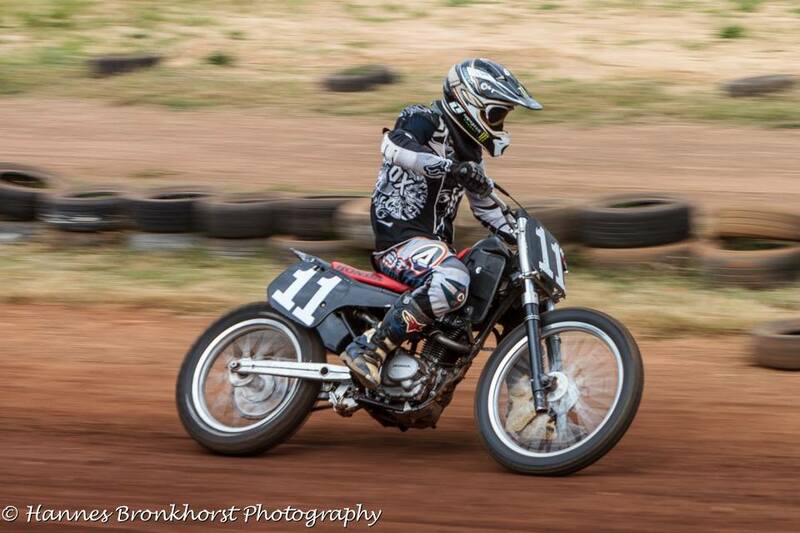 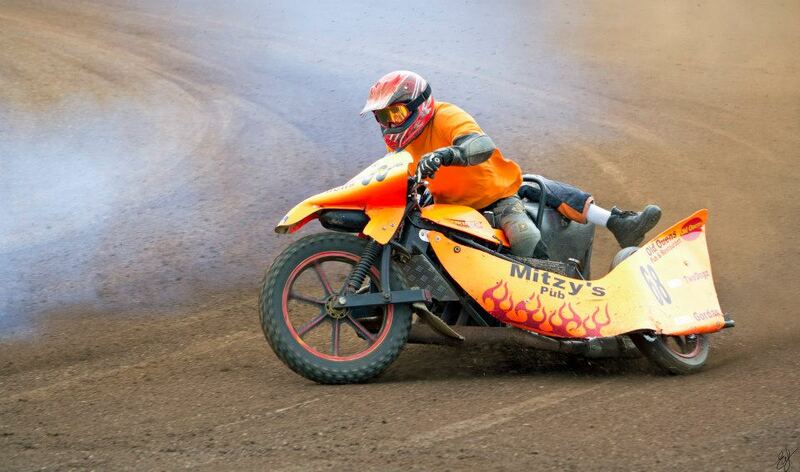 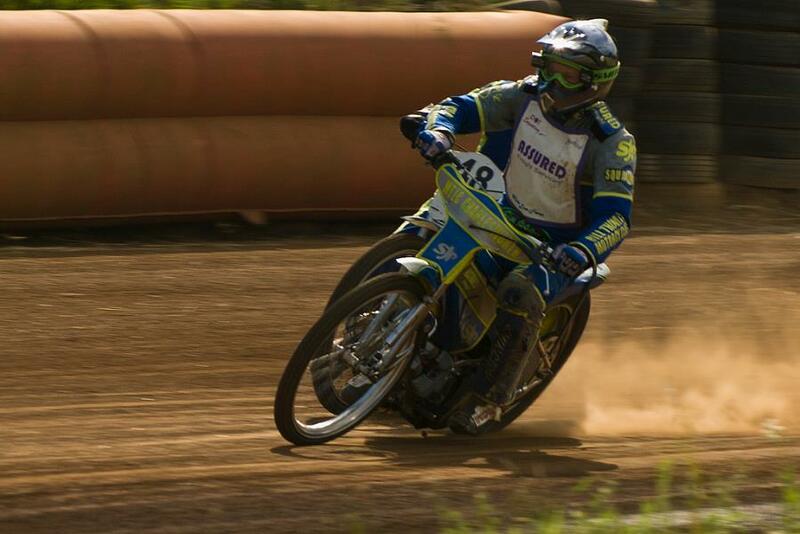 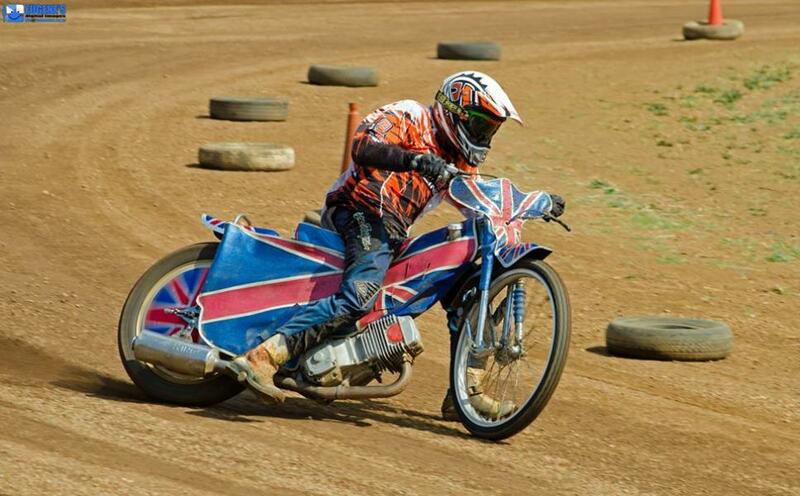 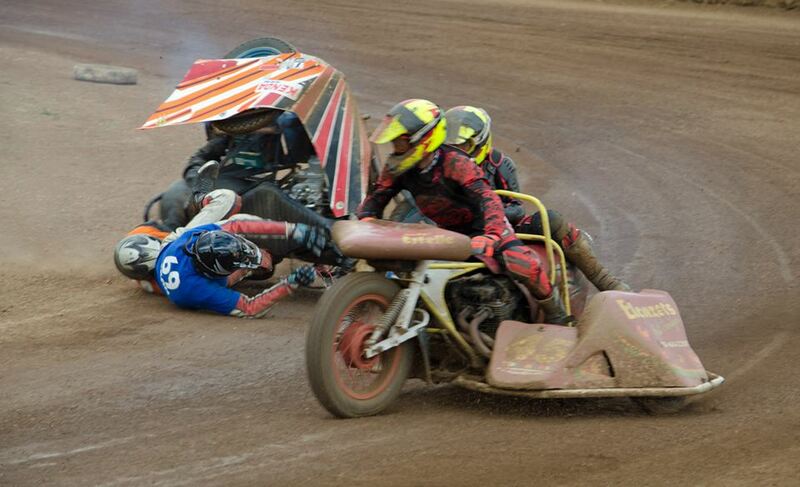 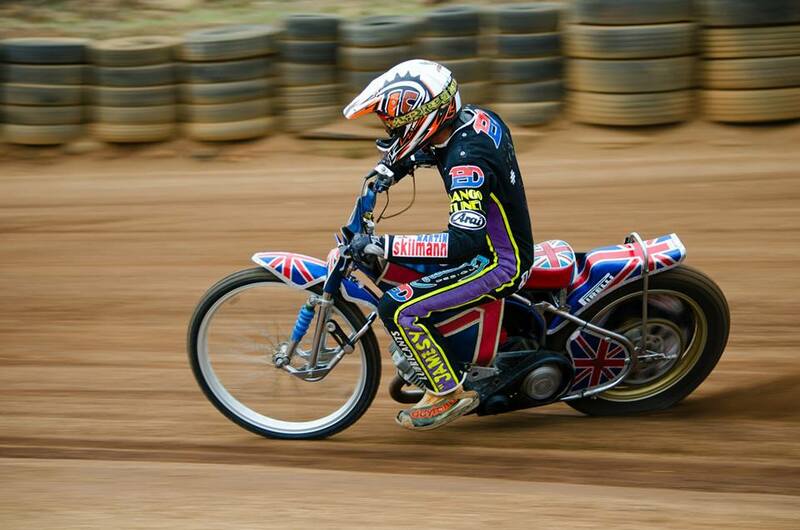 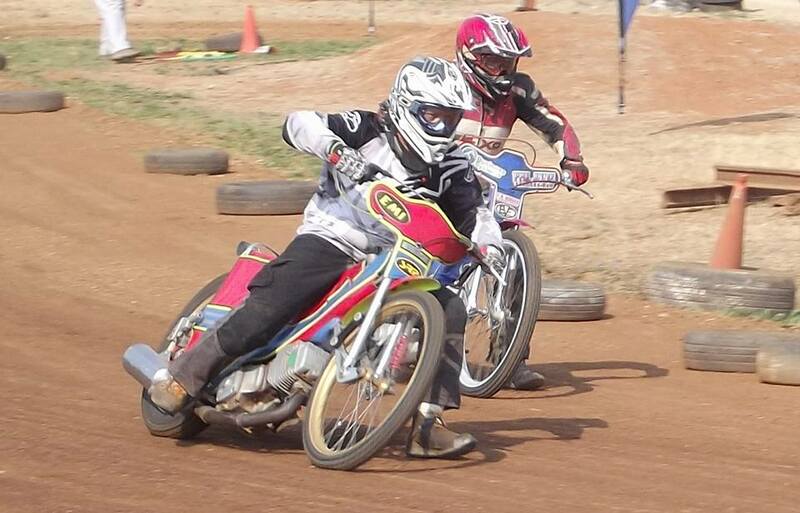 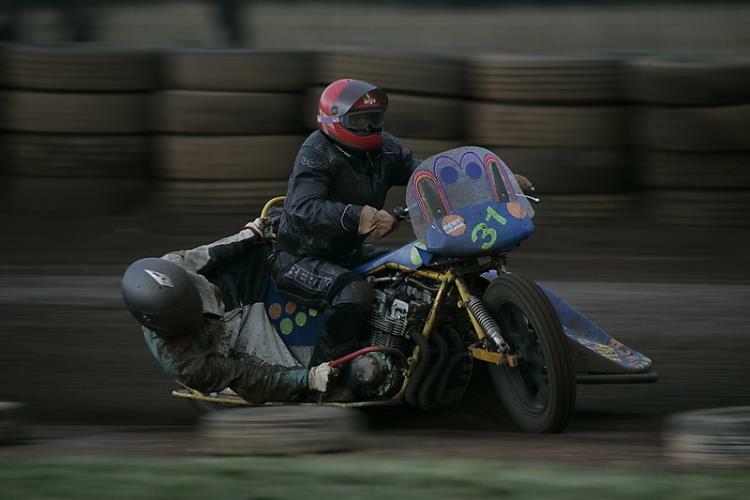 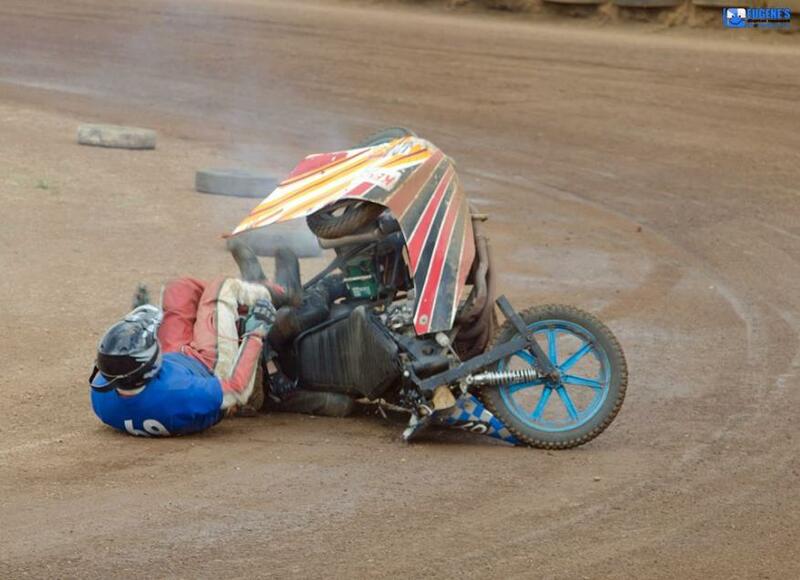 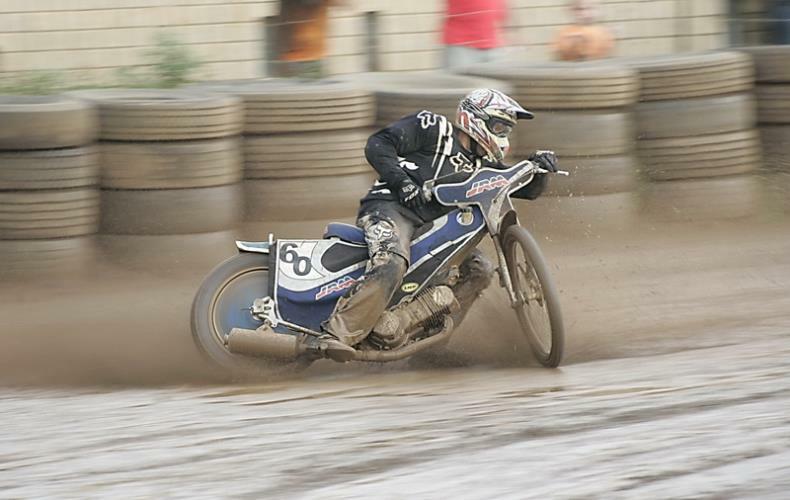 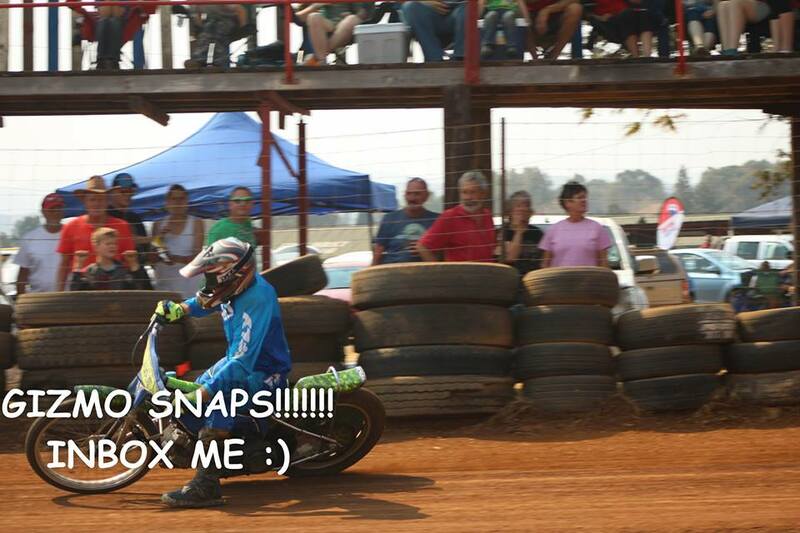 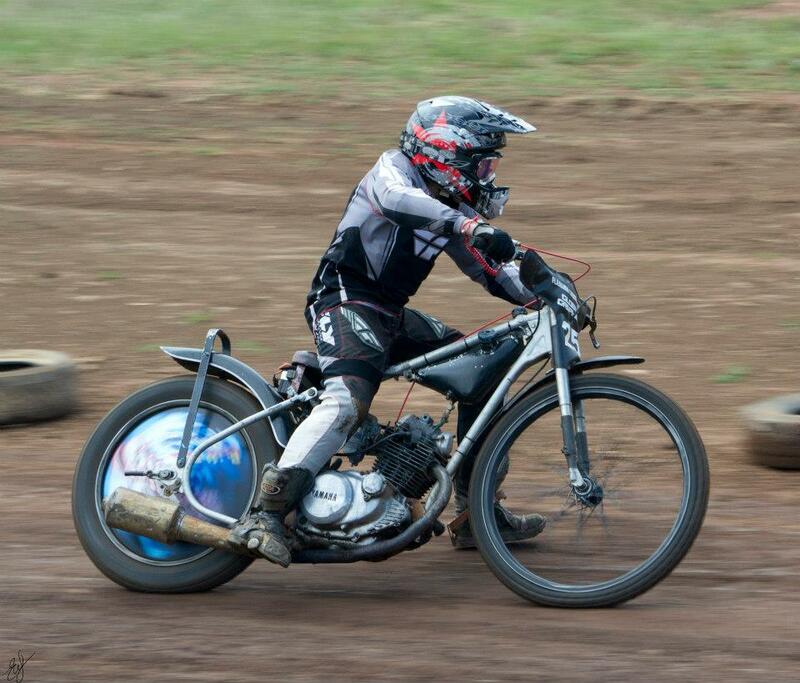 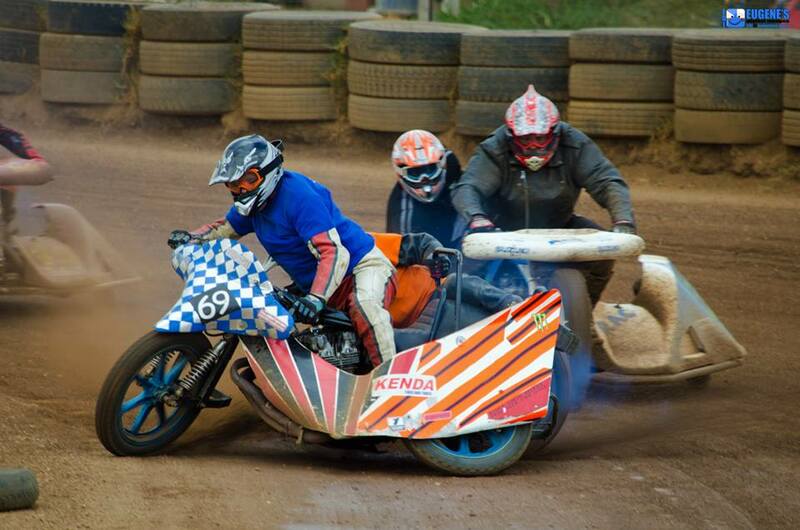 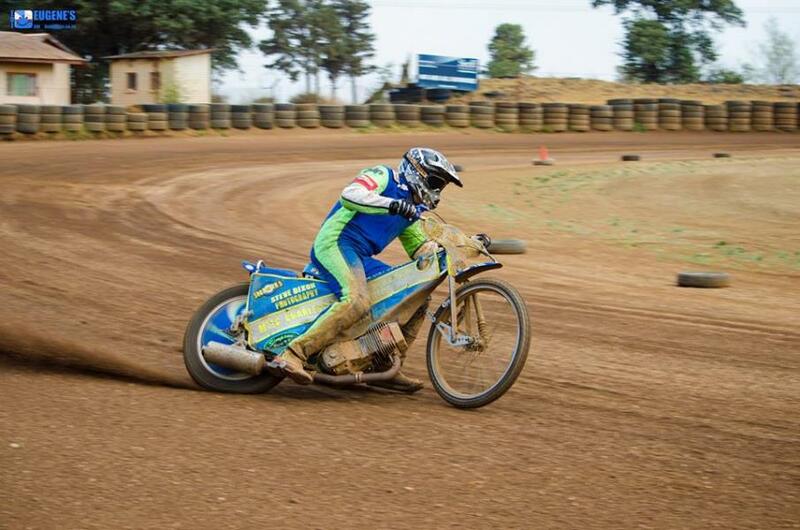 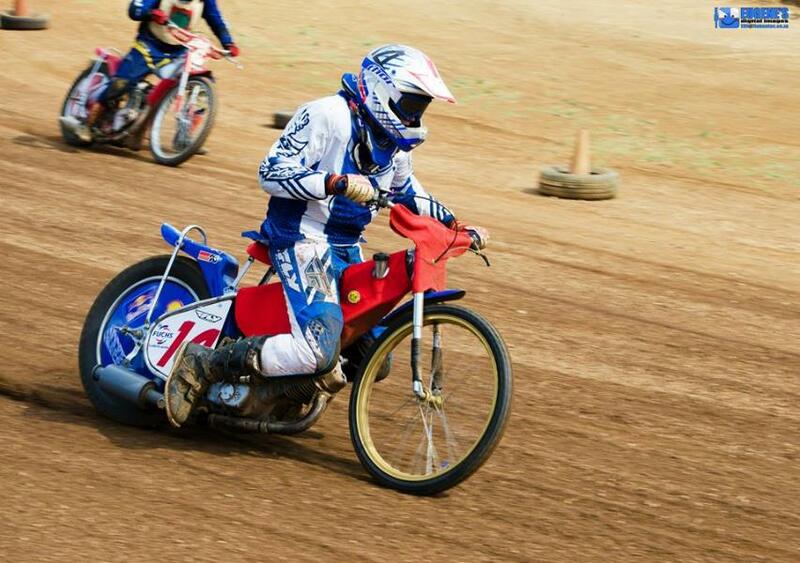 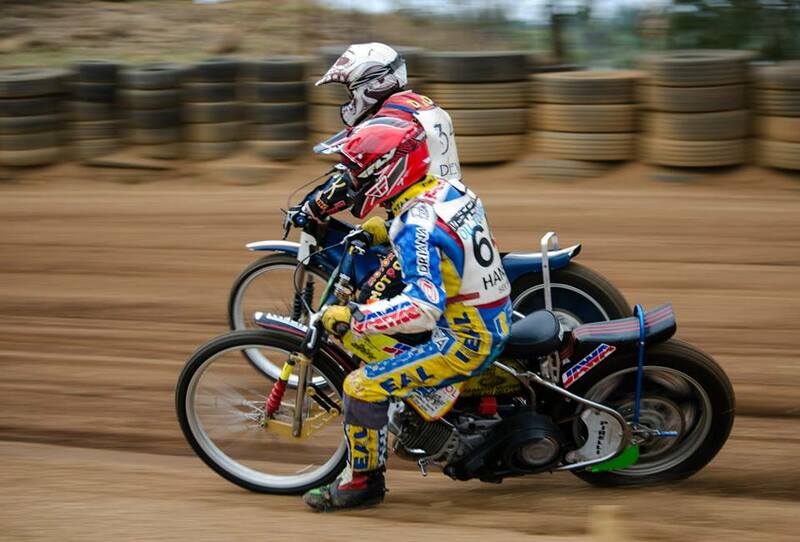 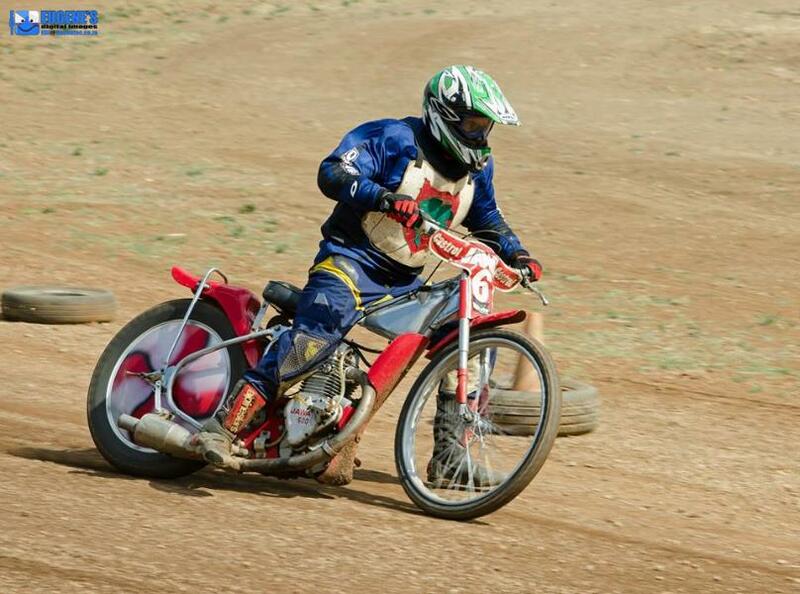 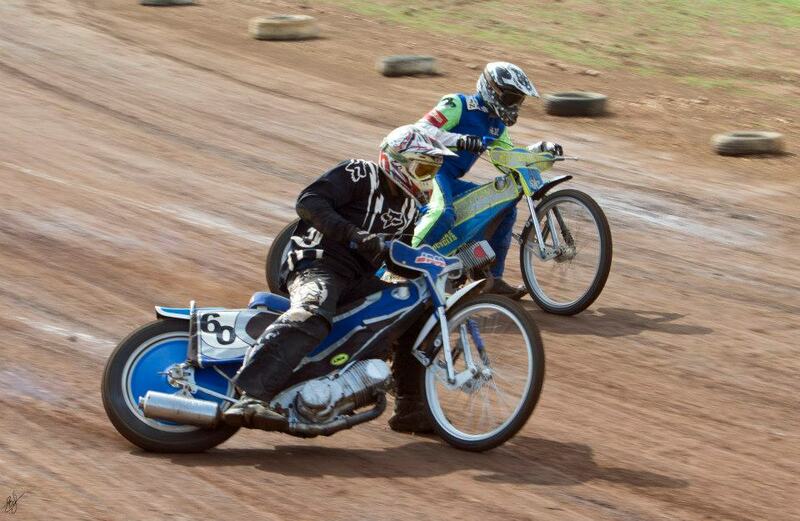 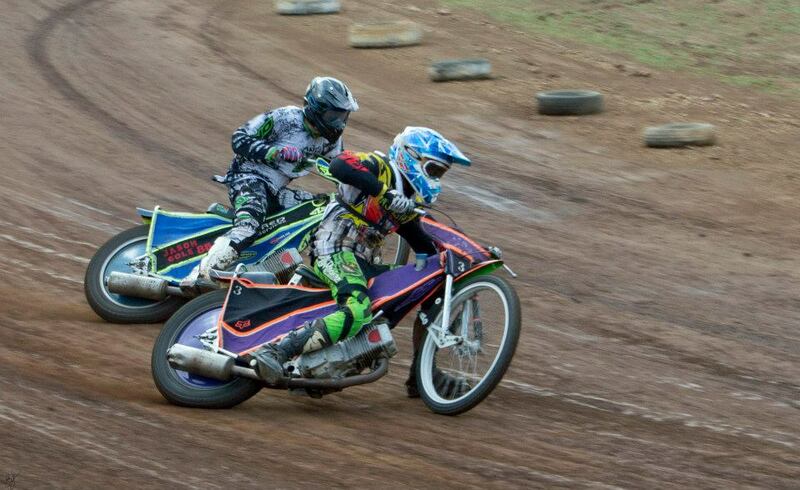 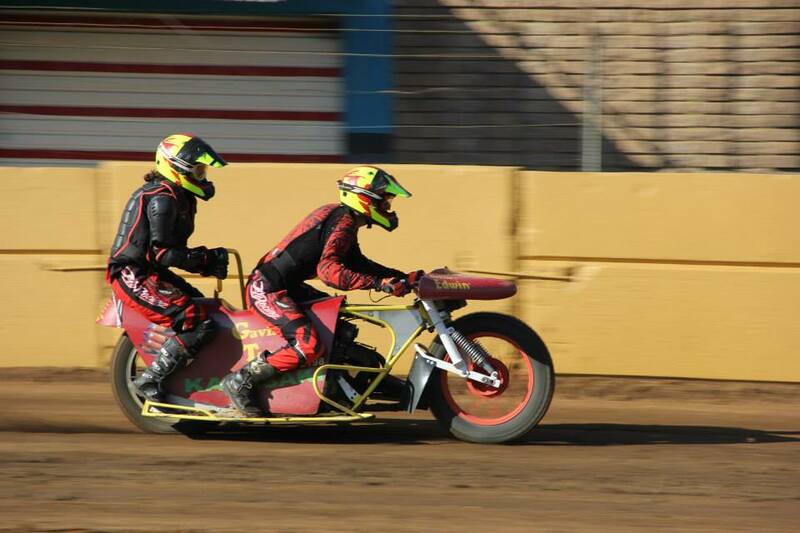 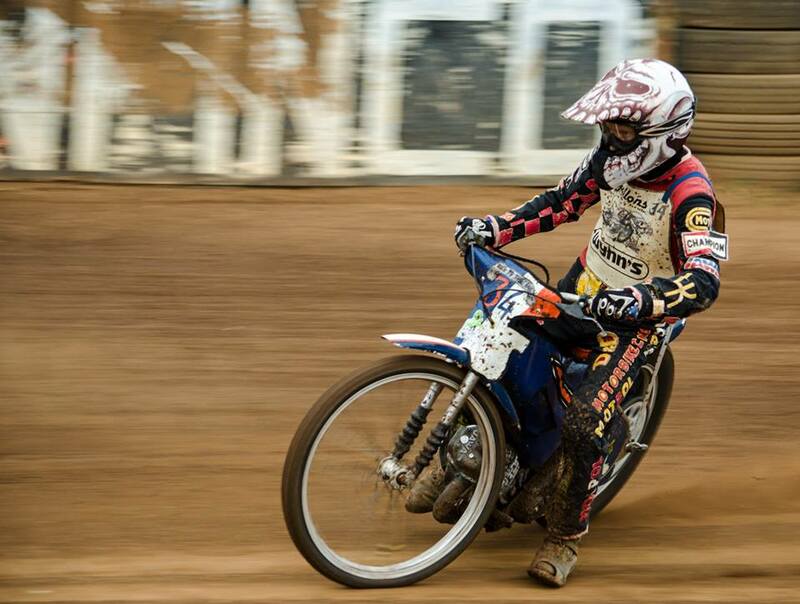 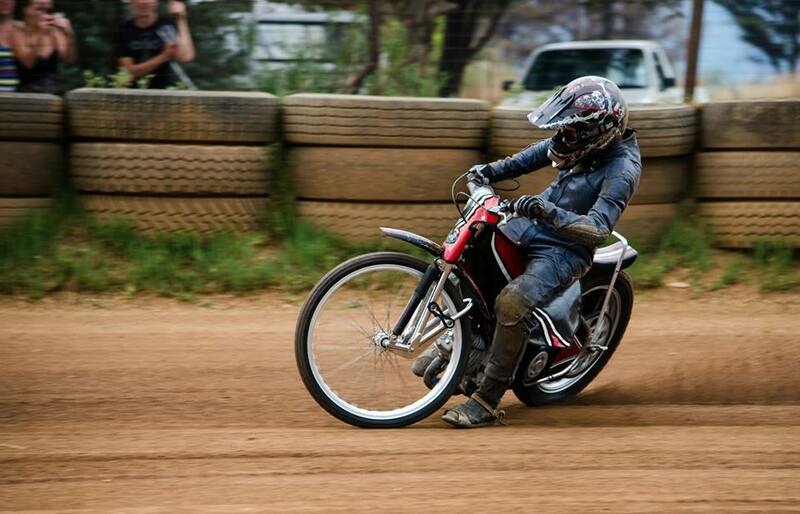 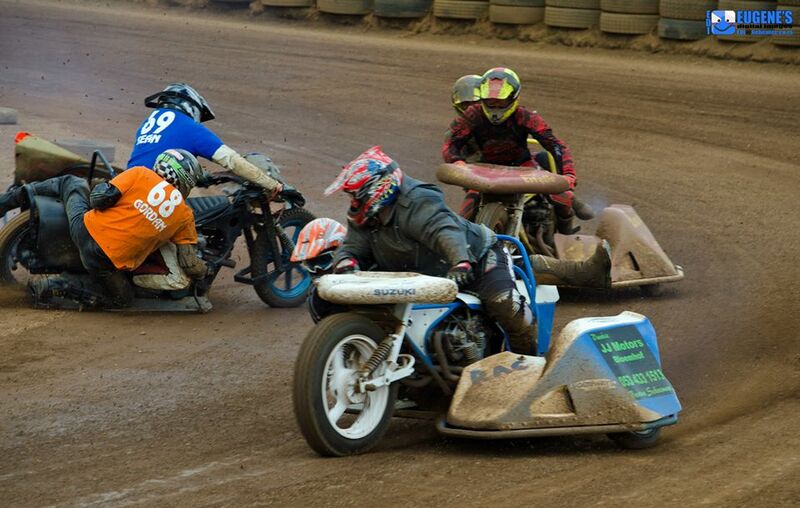 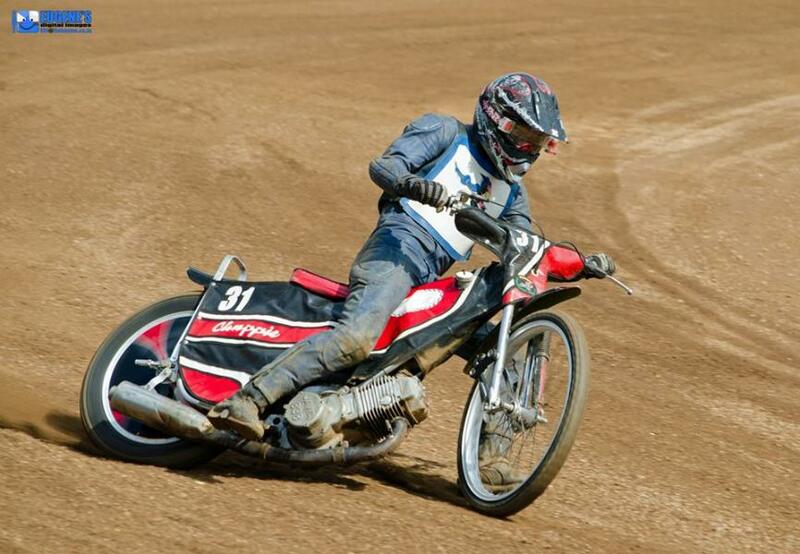 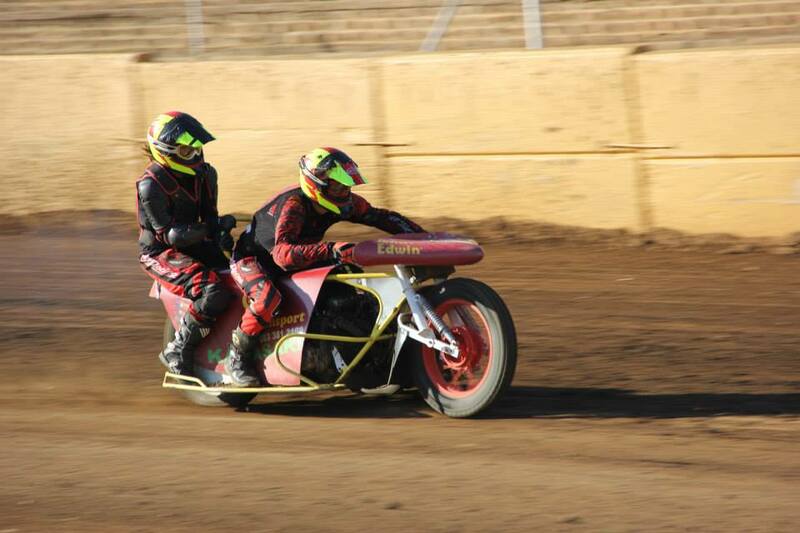 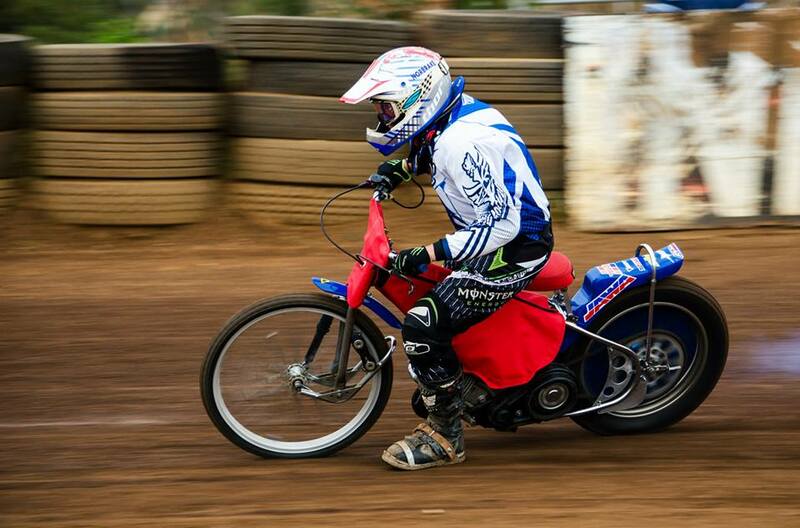 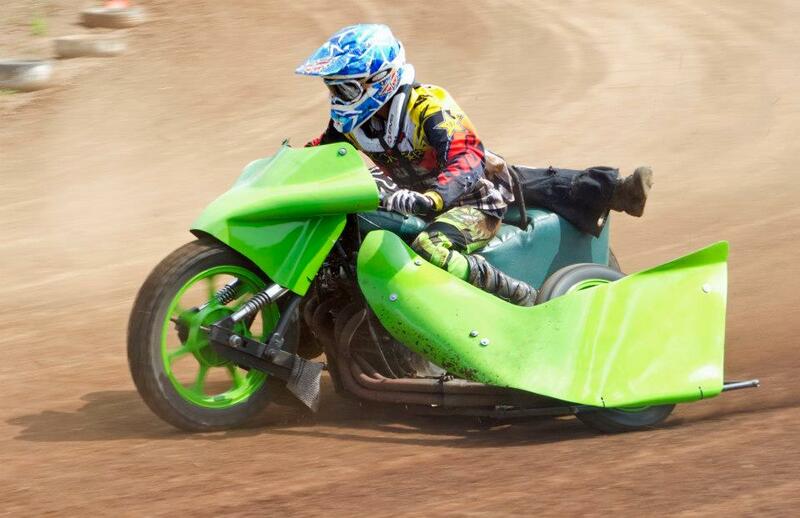 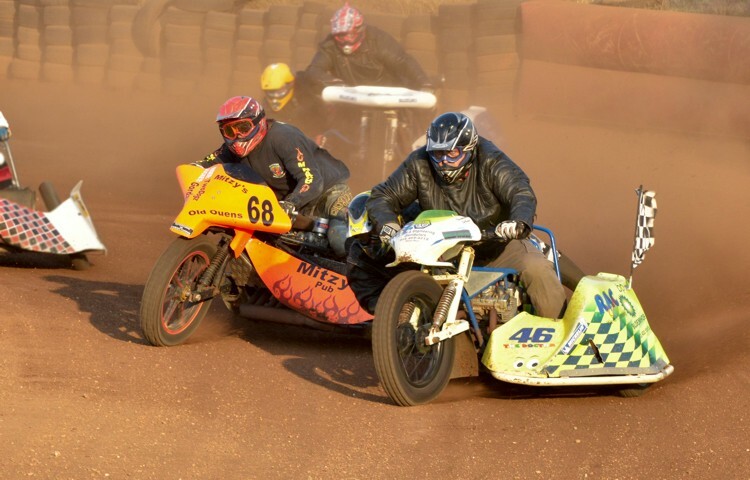 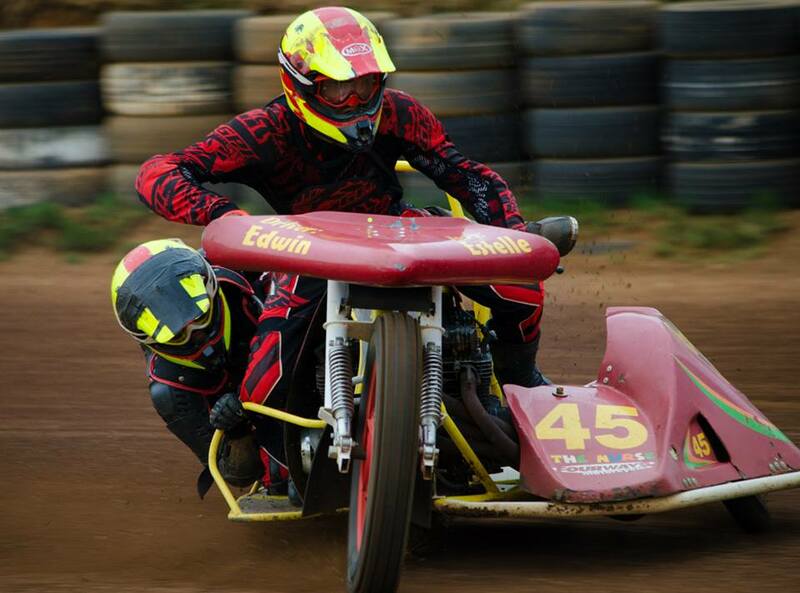 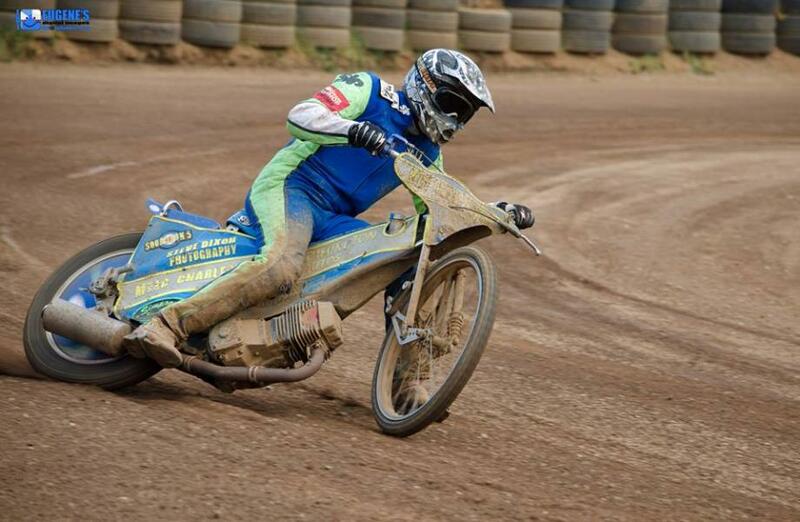 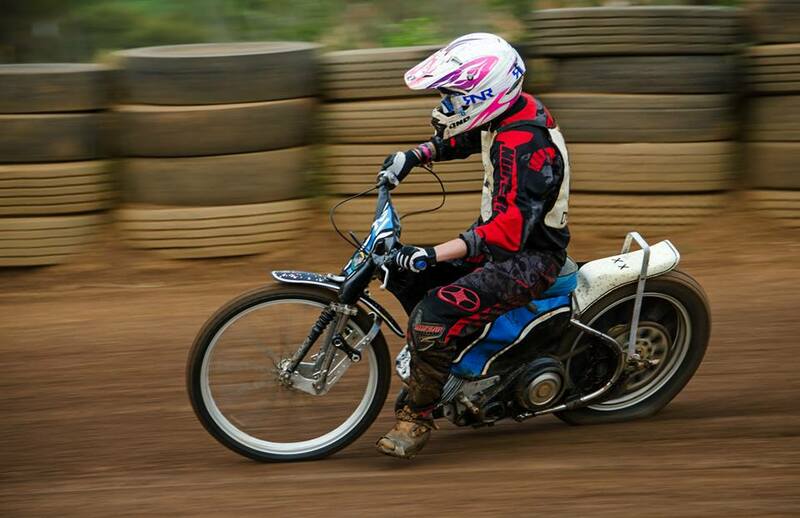 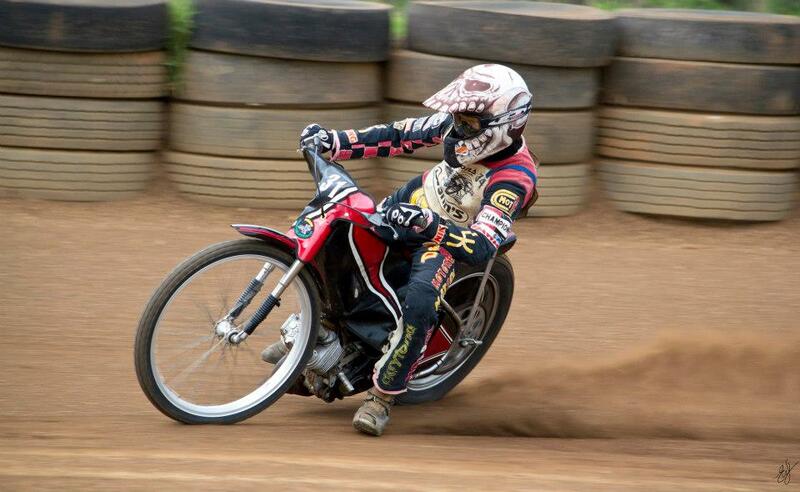 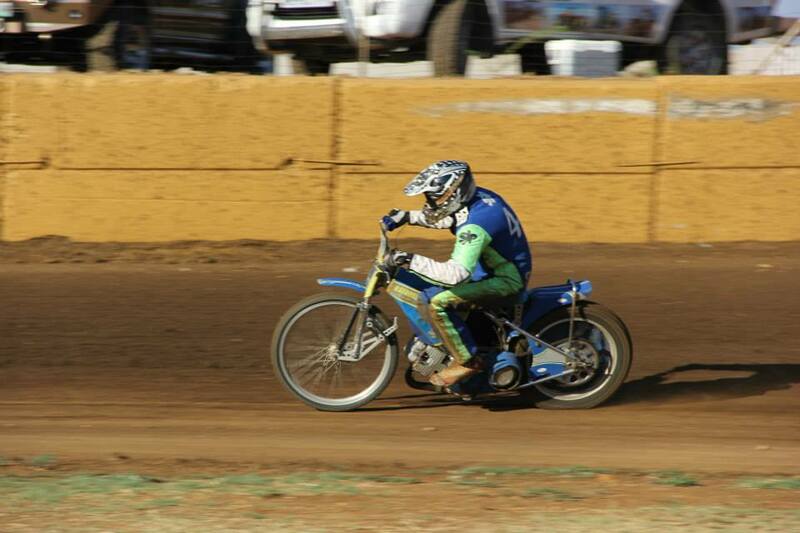 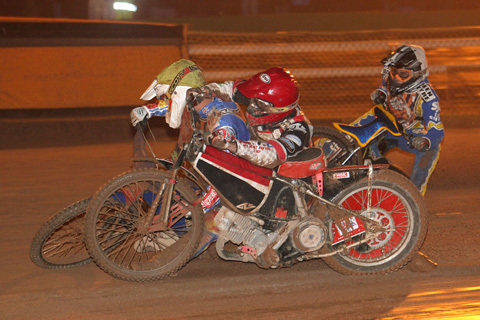 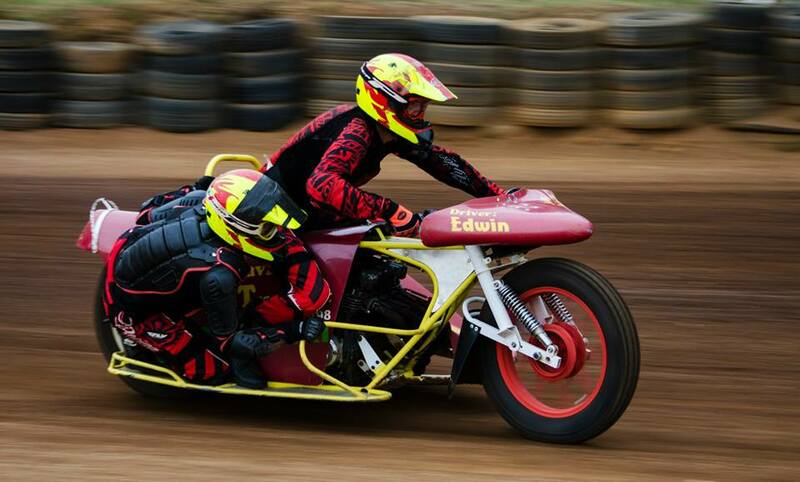 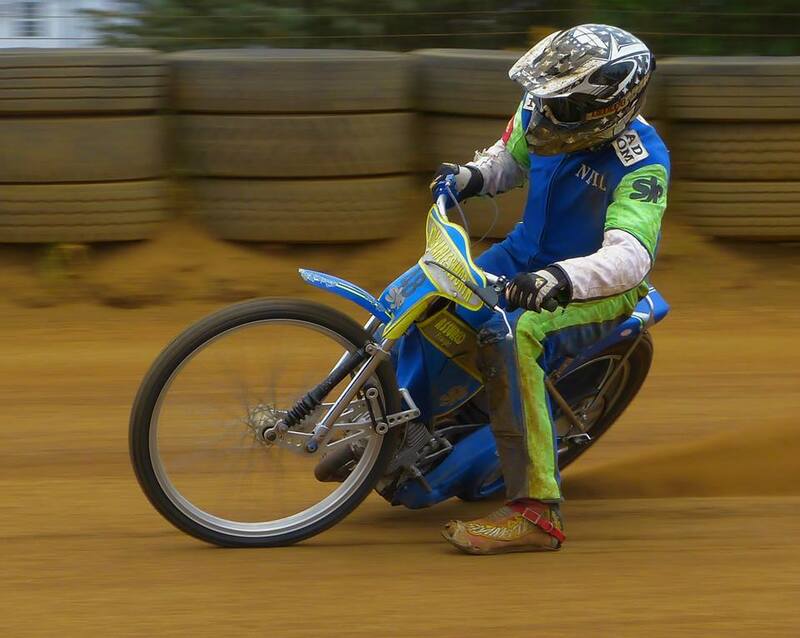 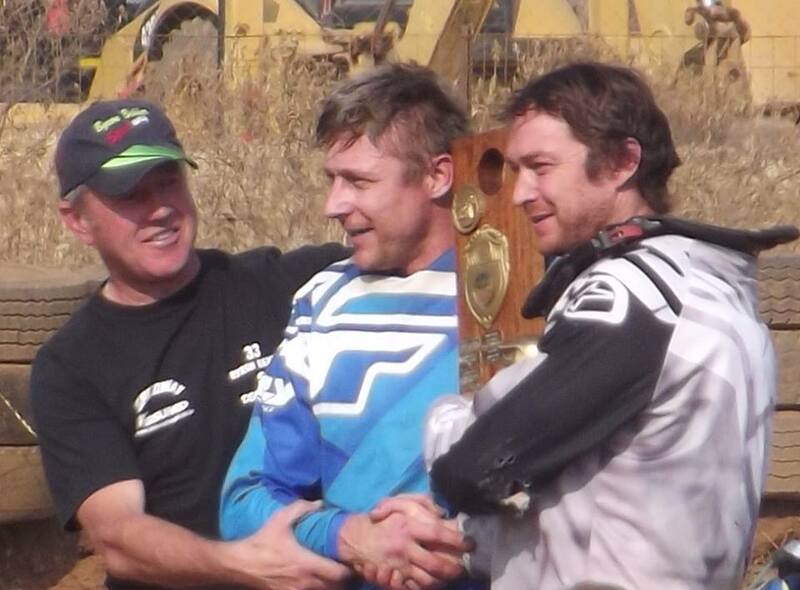 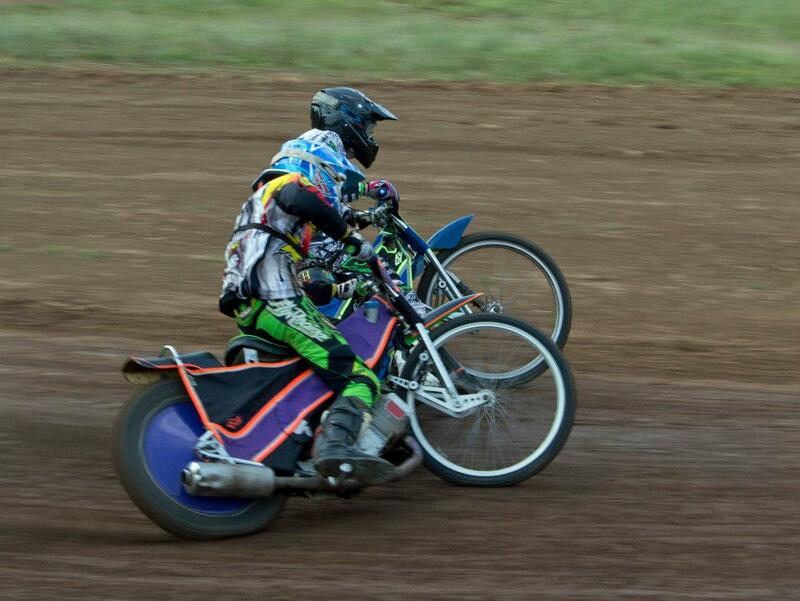 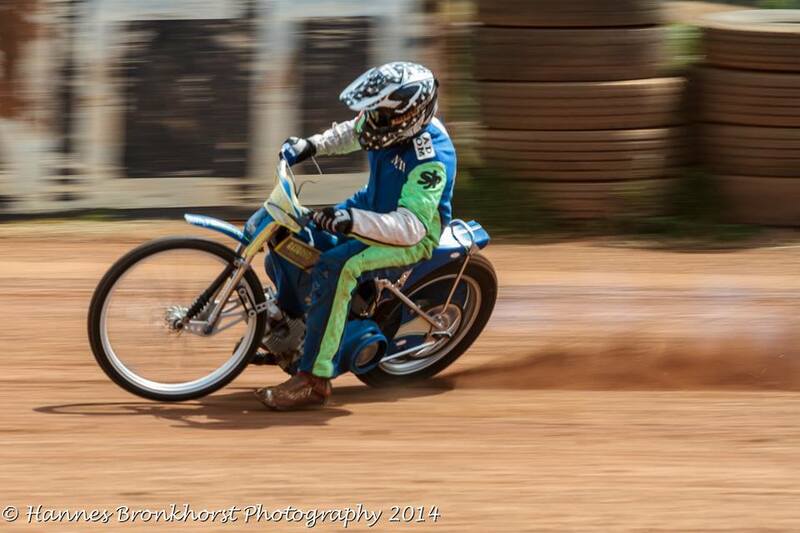 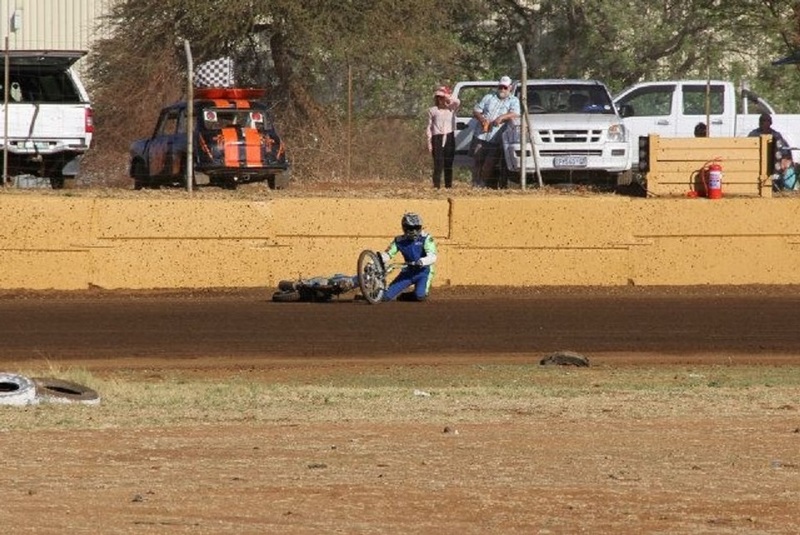 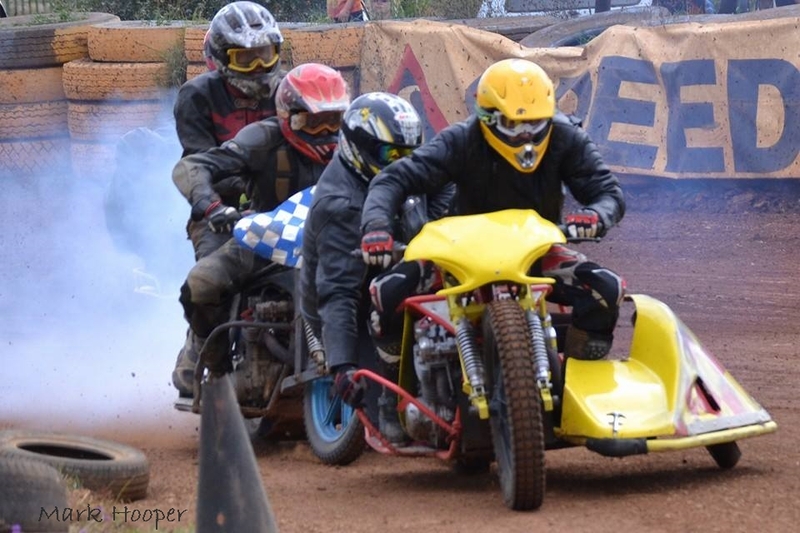 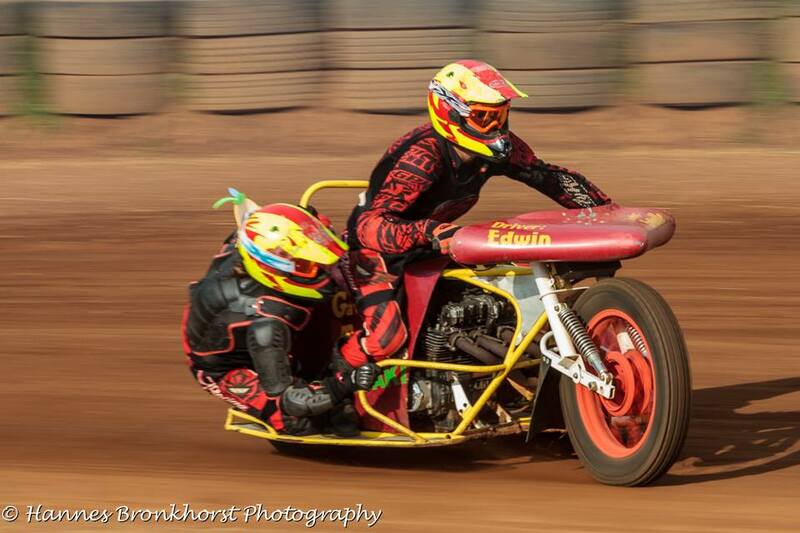 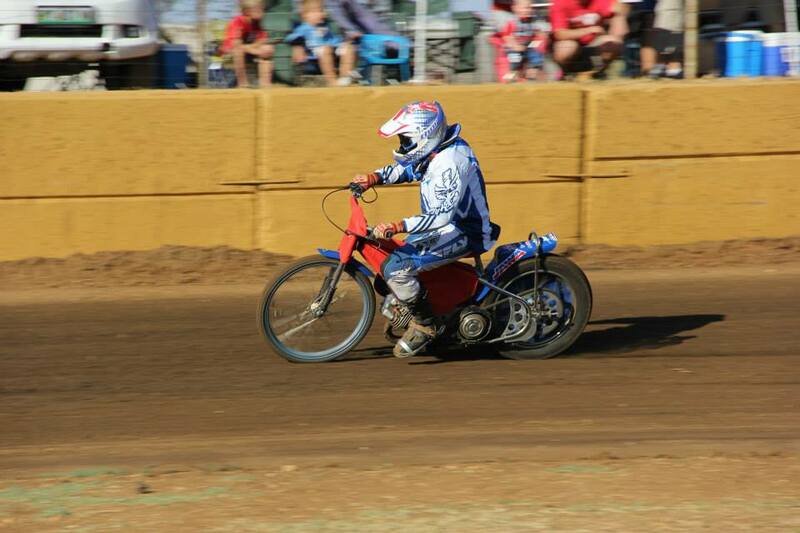 Golden Helmet: Solo Speedway, Jason Cole; Sidecar Speedway, Derrick Hilliar (& T.Wiggill). 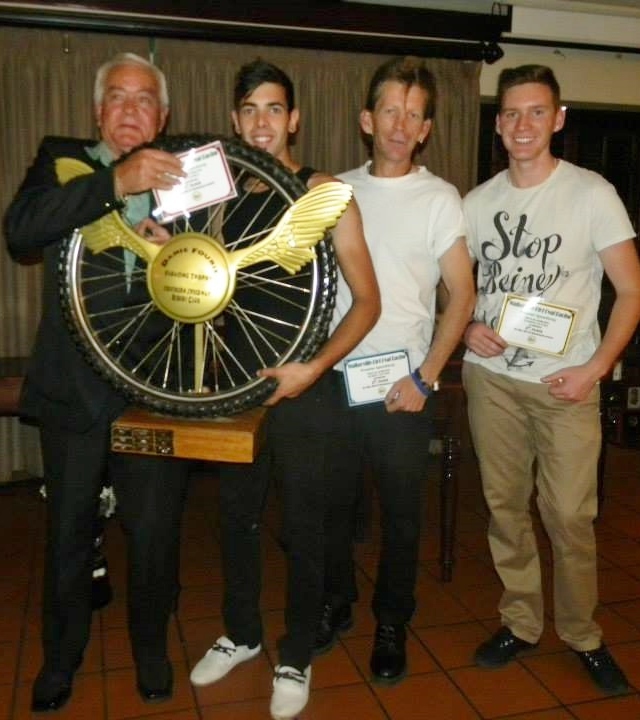 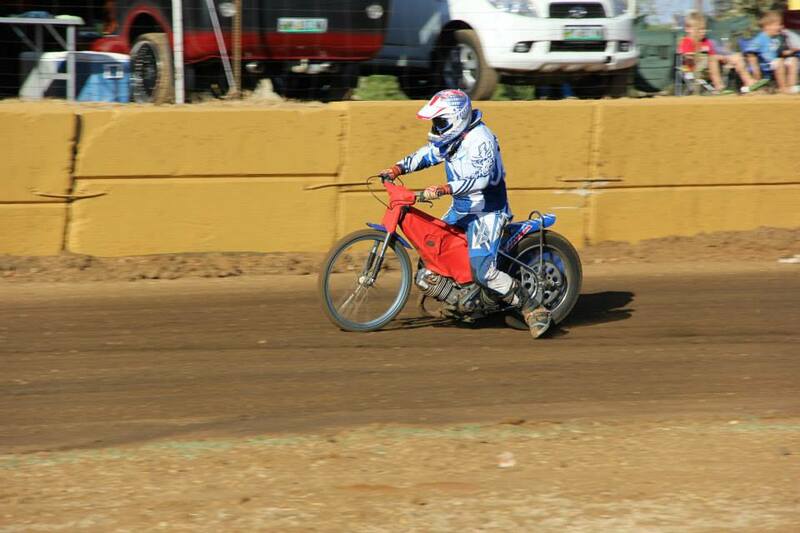 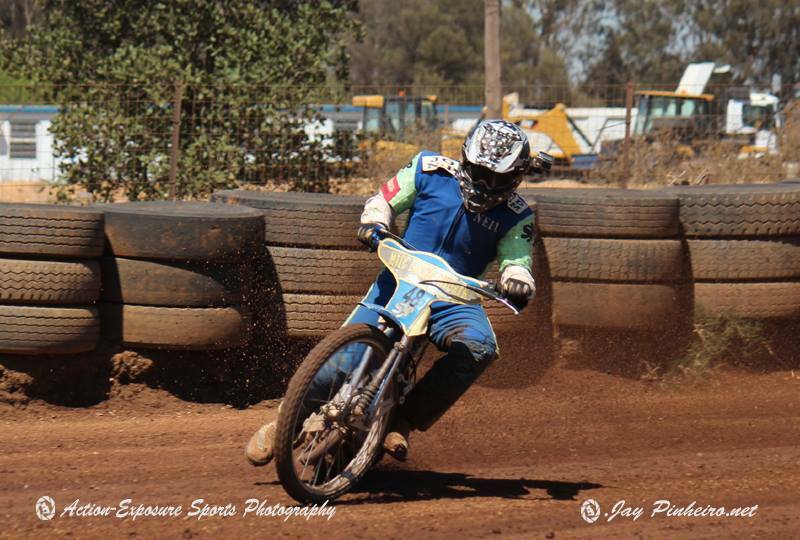 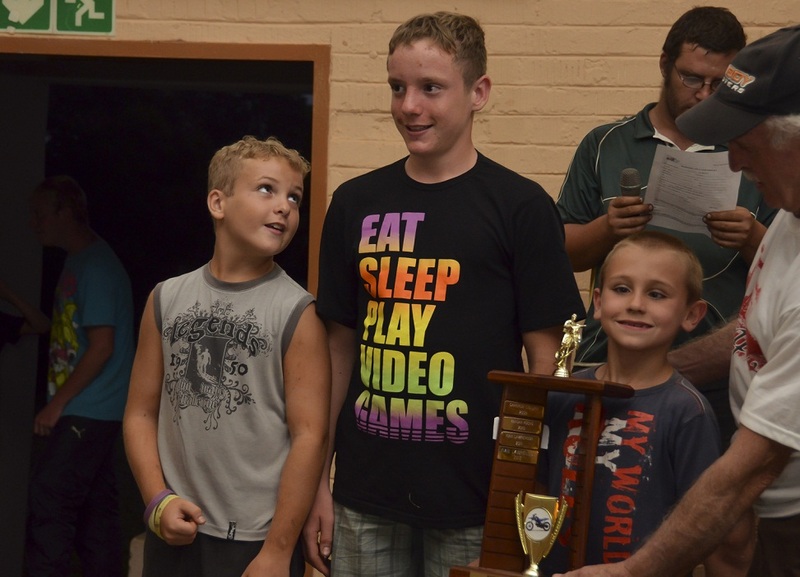 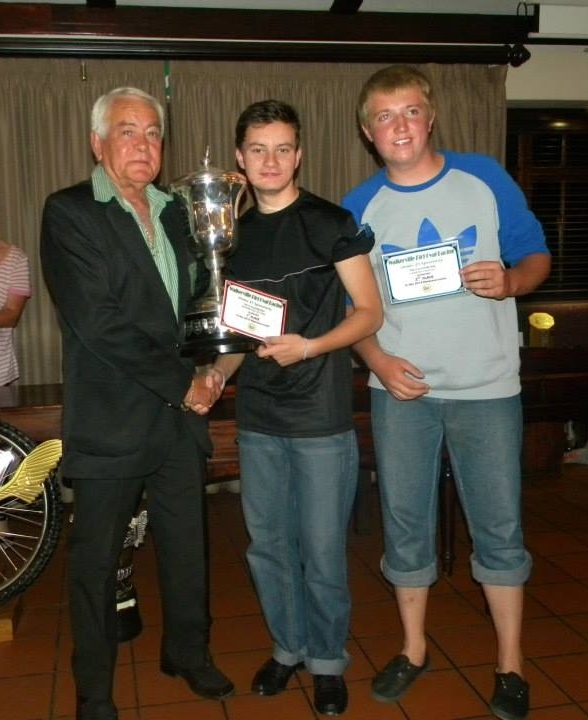 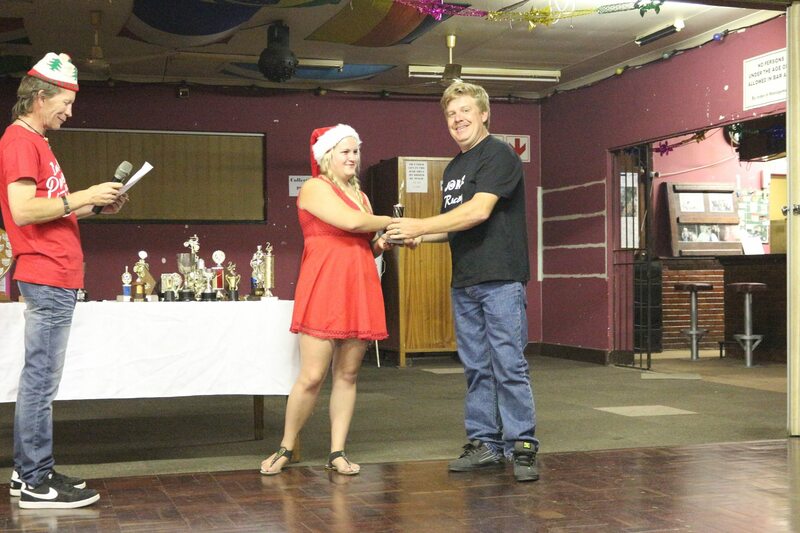 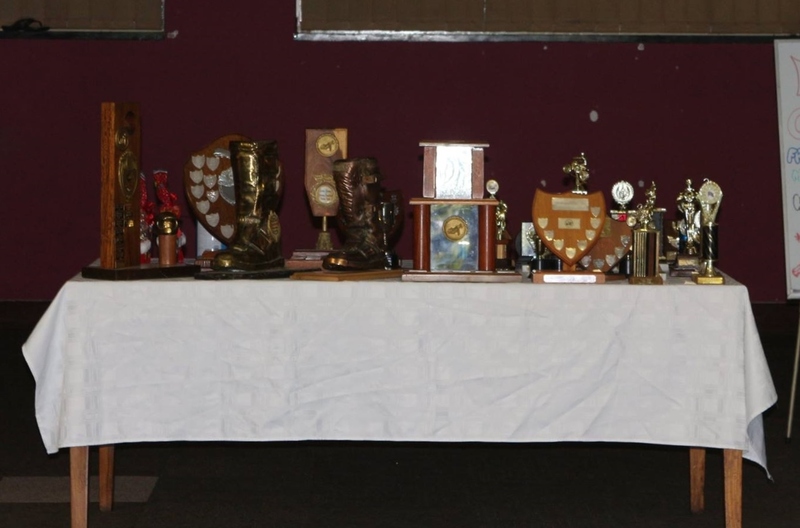 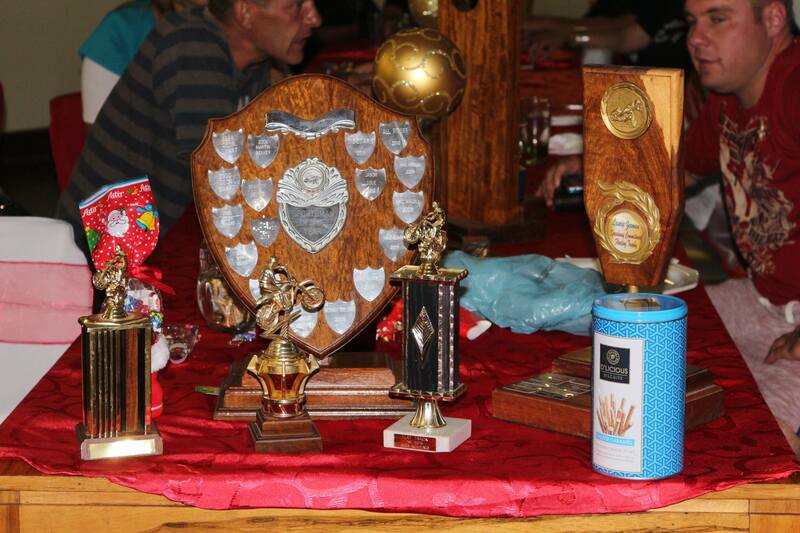 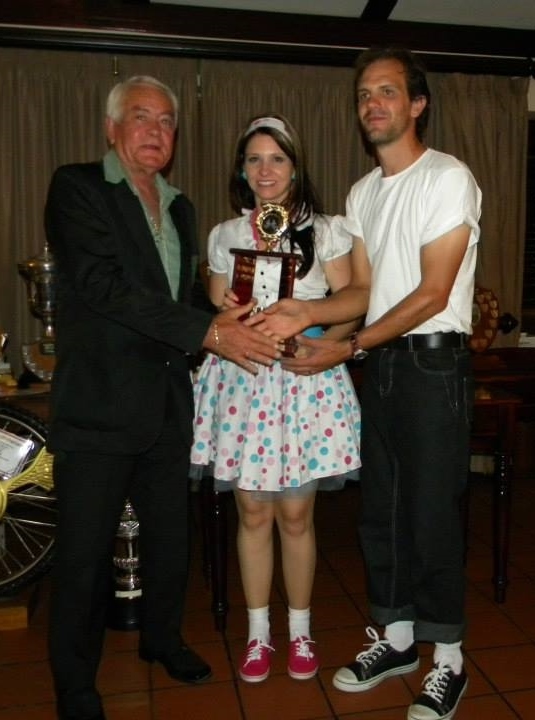 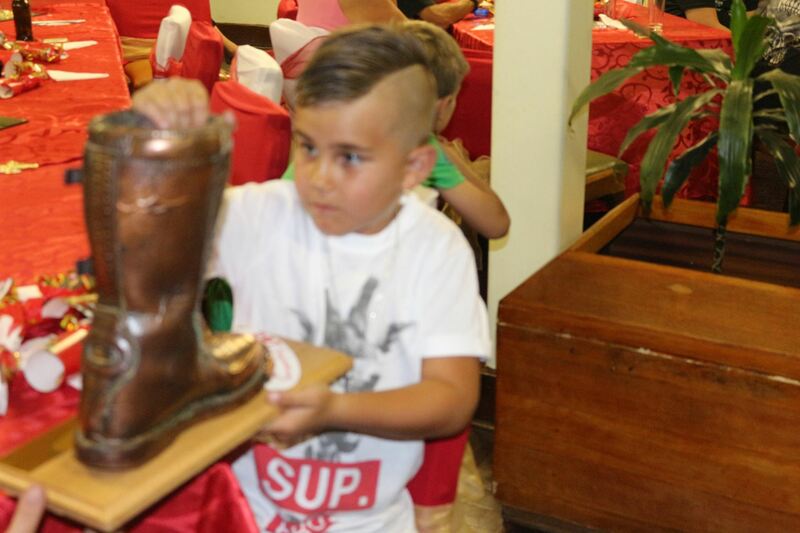 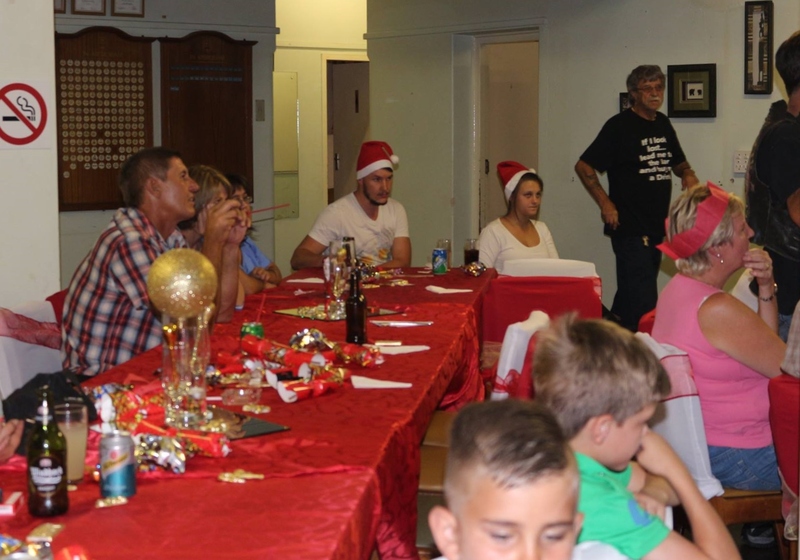 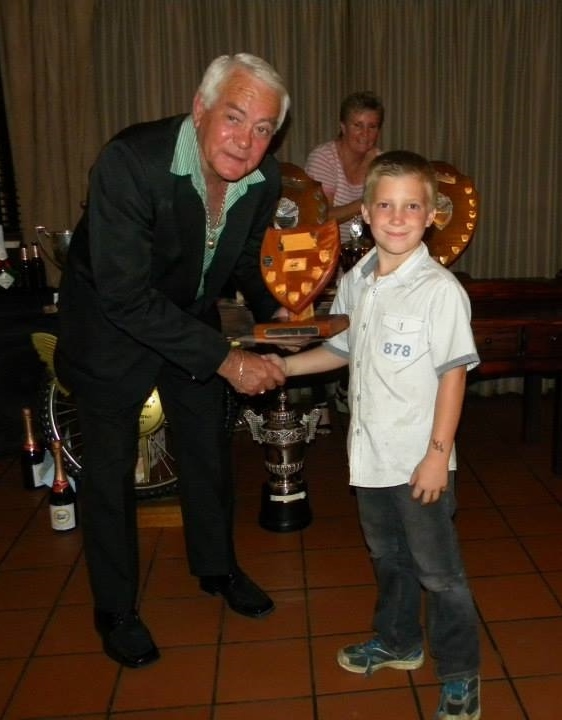 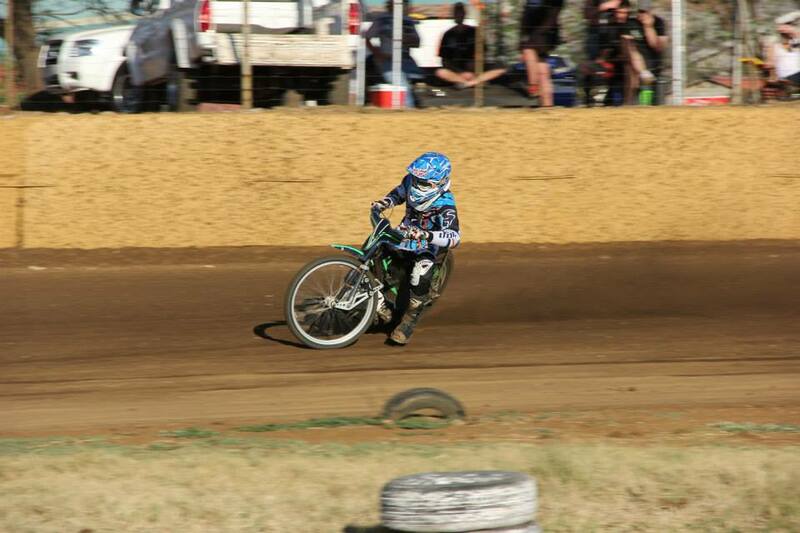 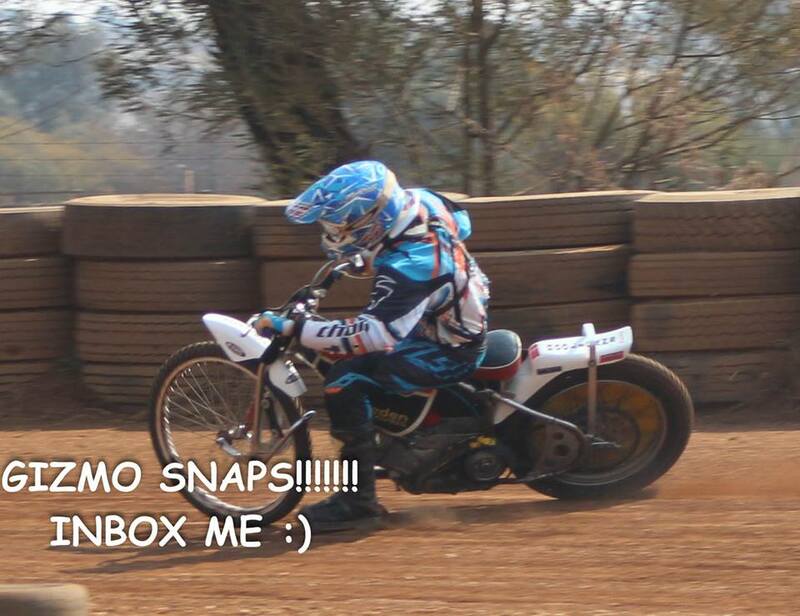 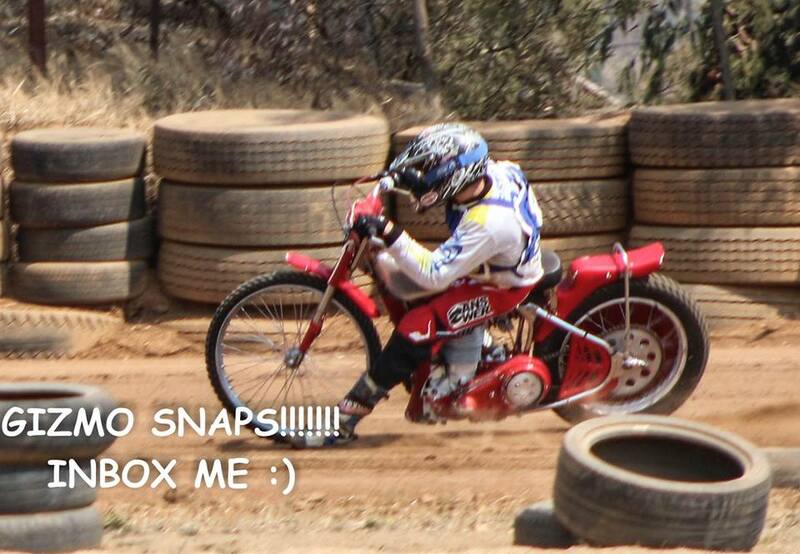 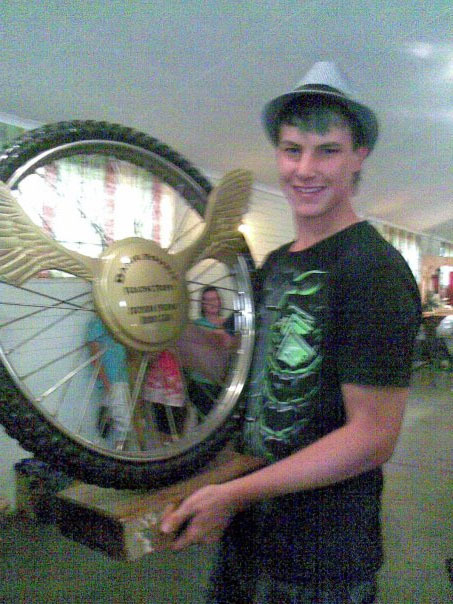 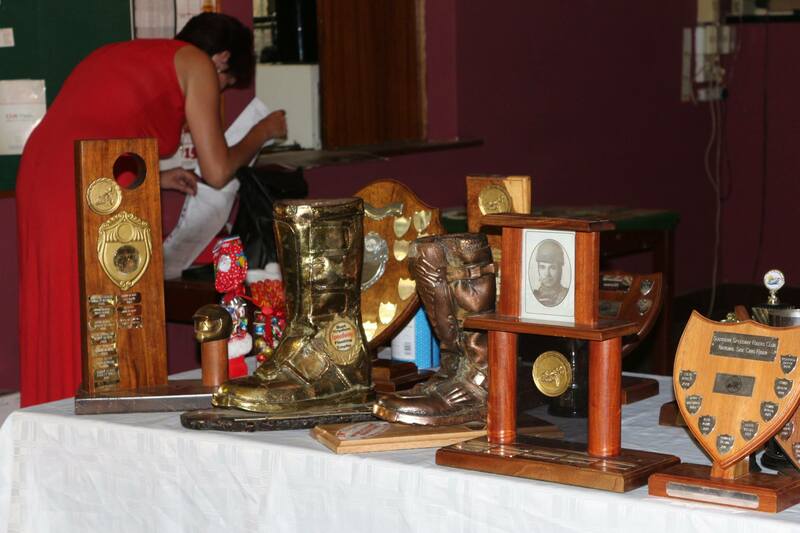 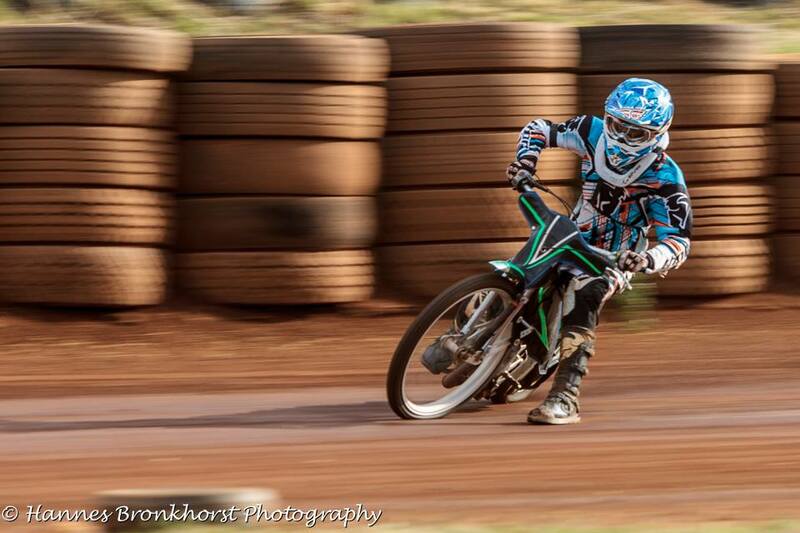 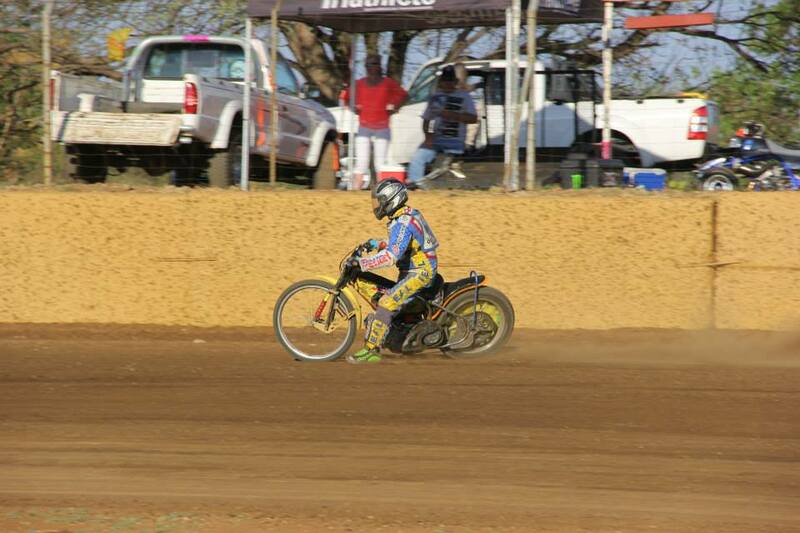 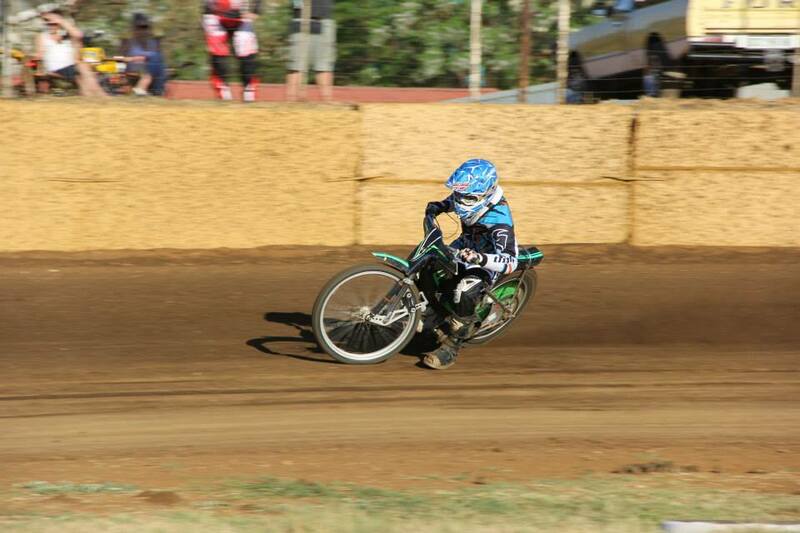 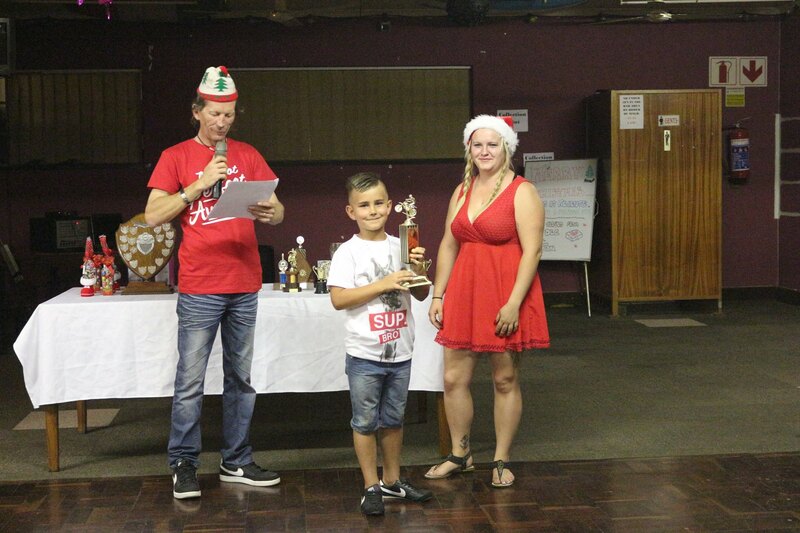 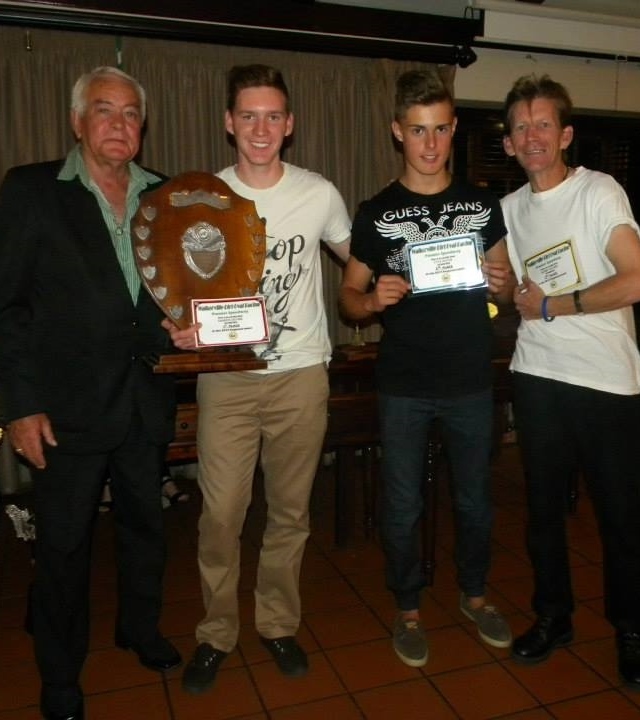 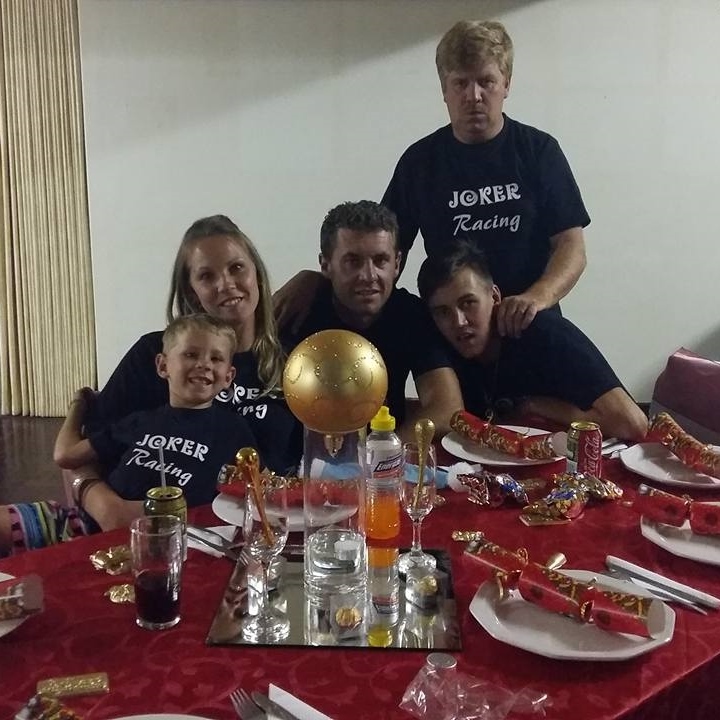 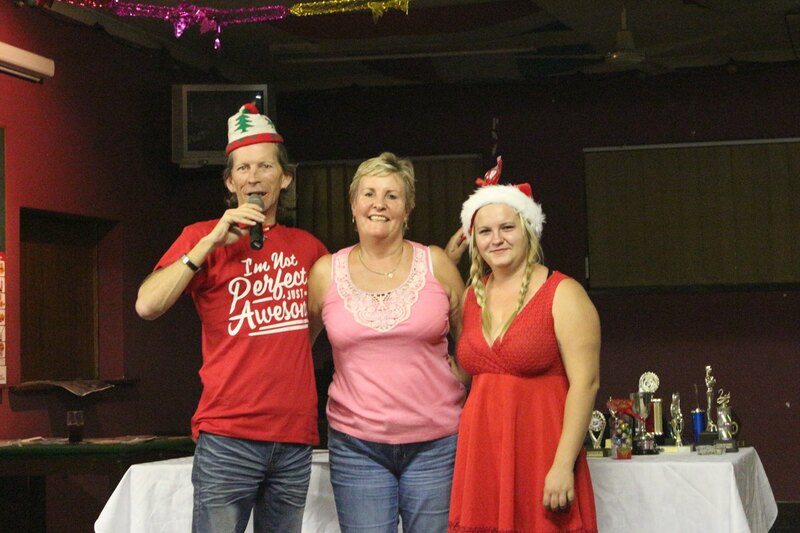 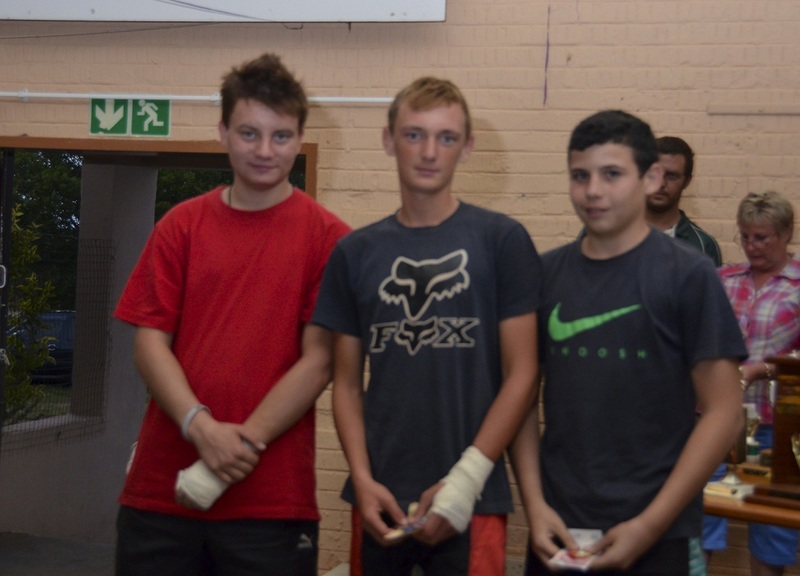 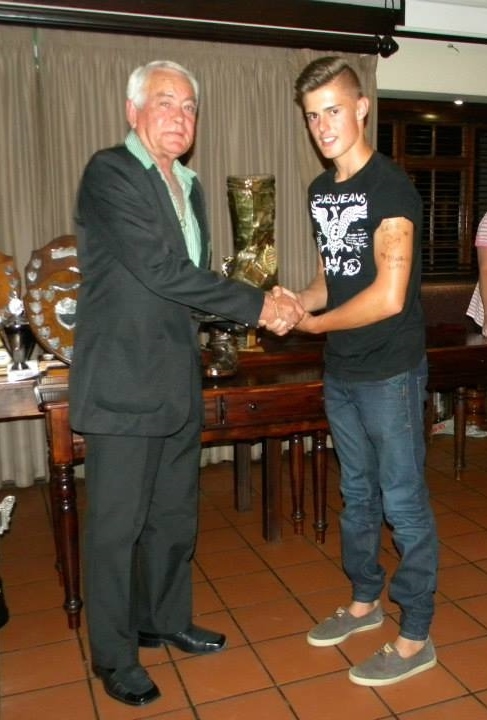 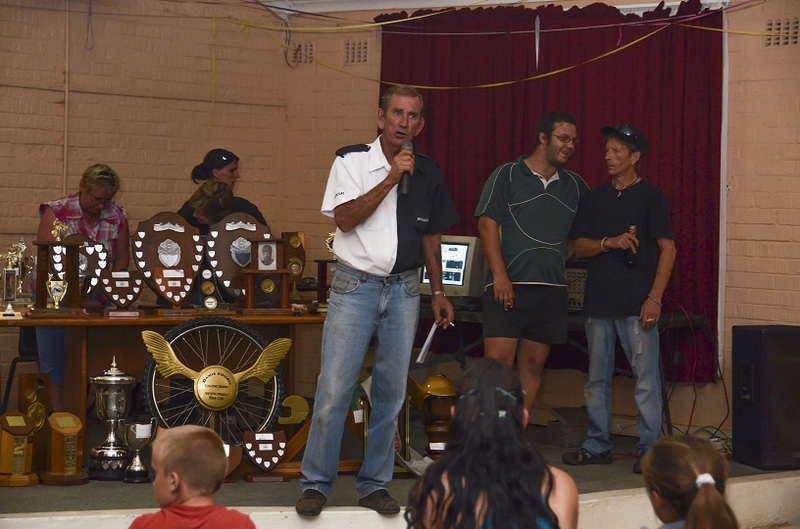 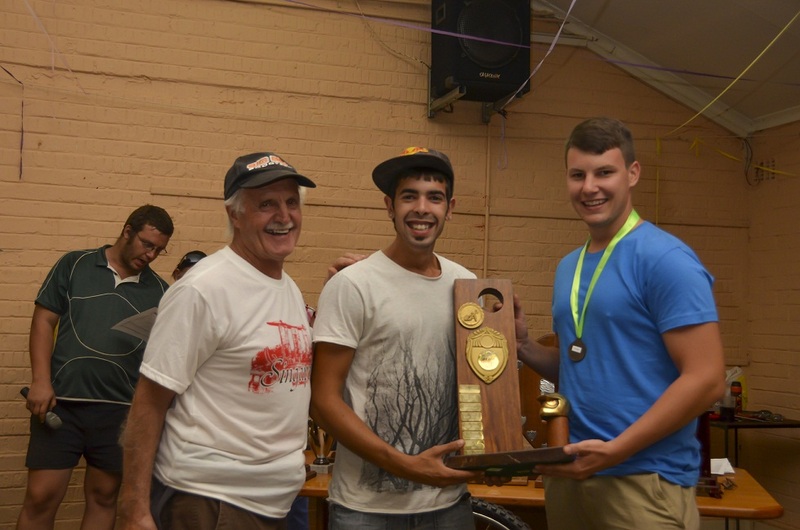 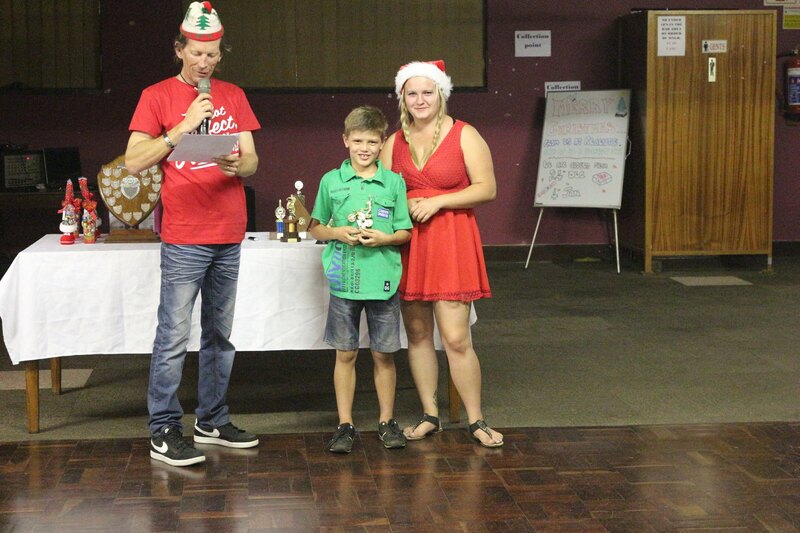 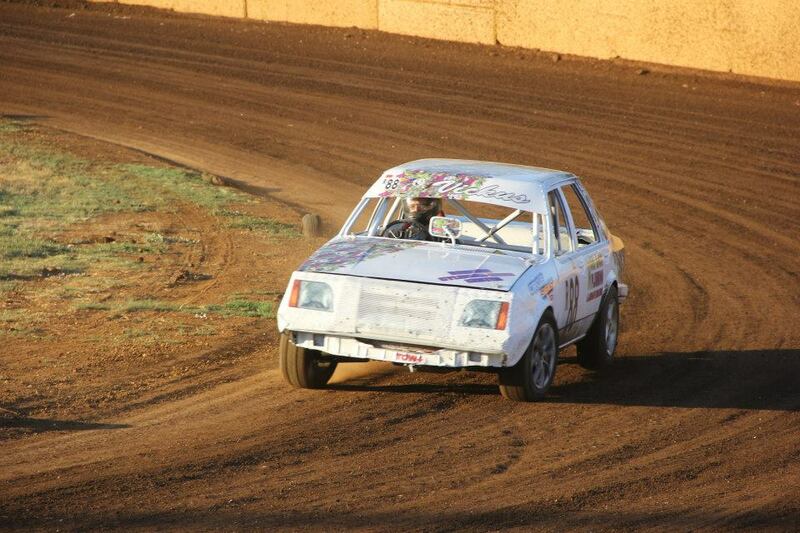 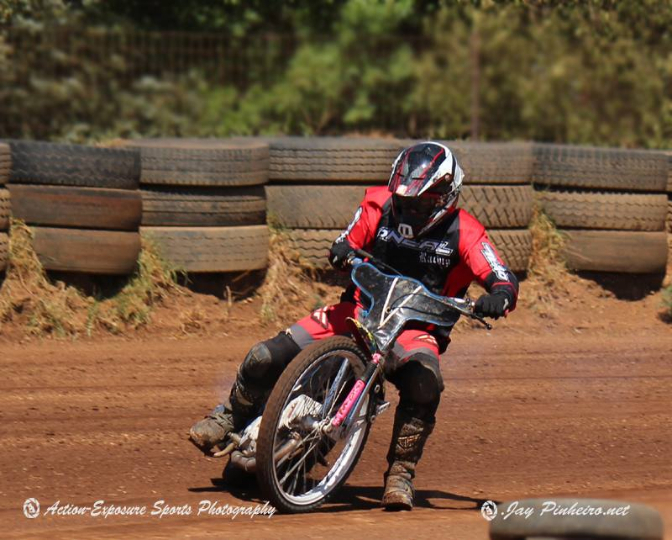 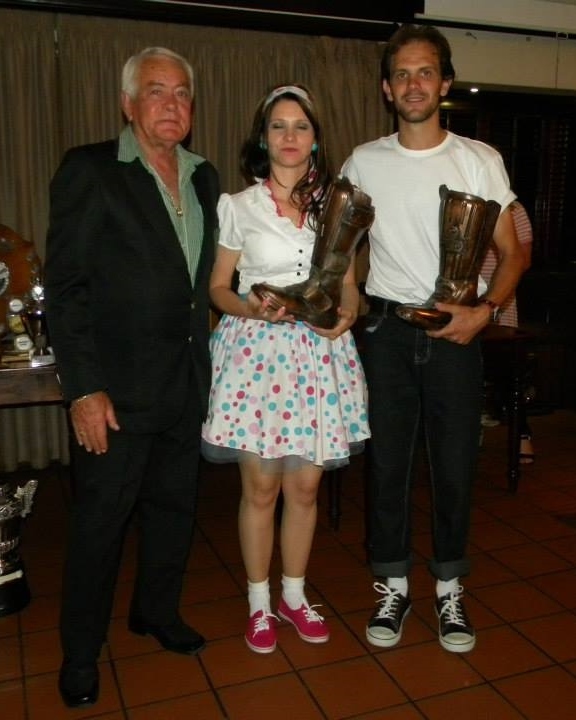 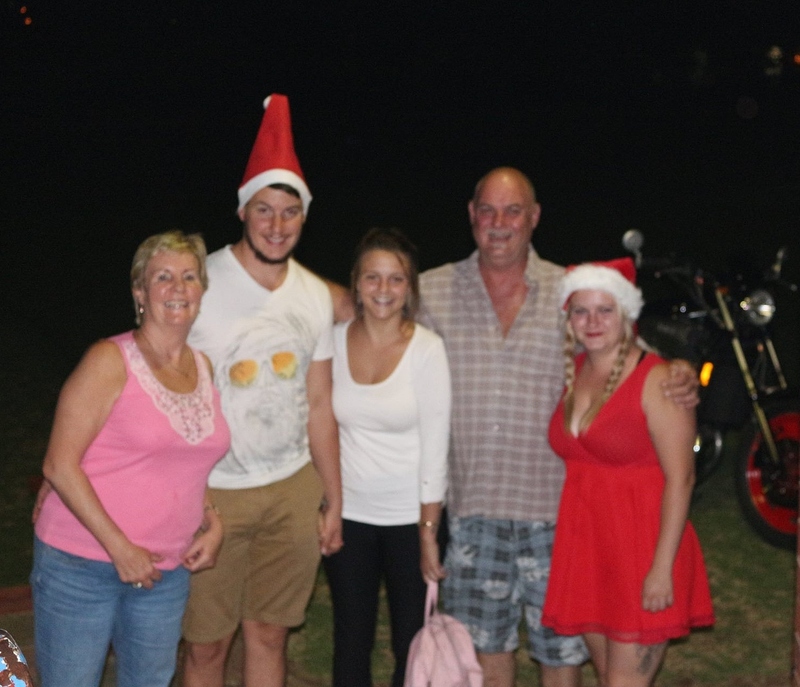 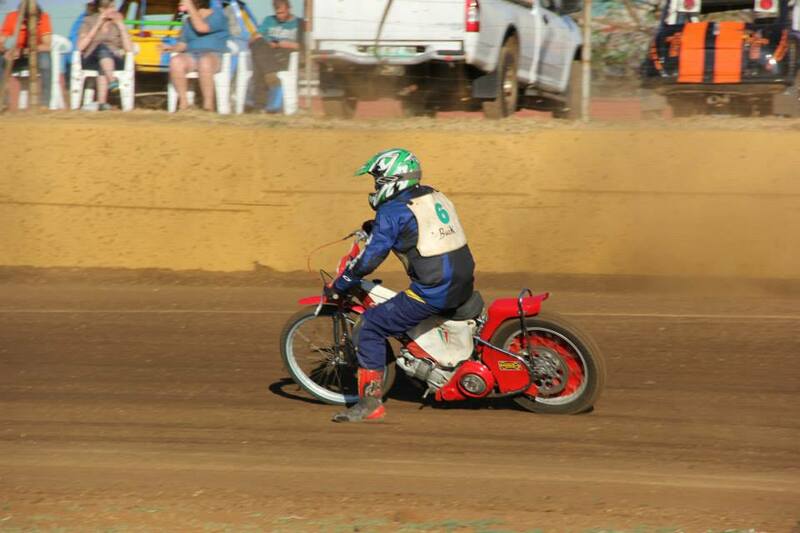 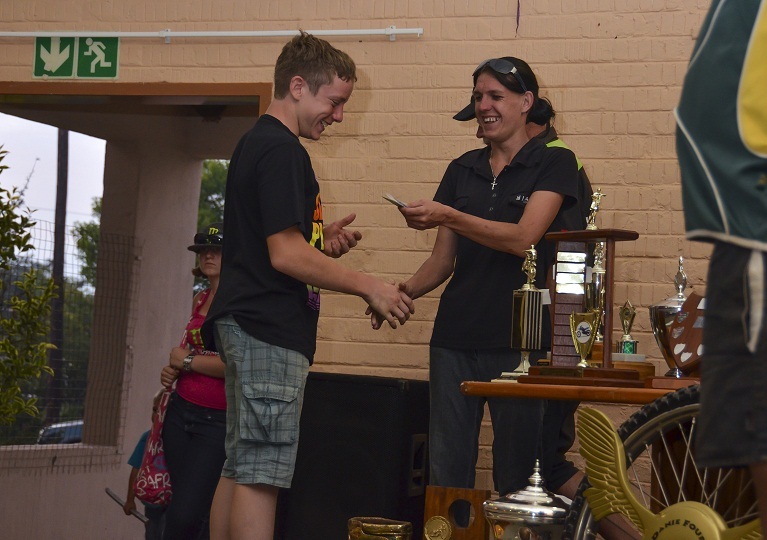 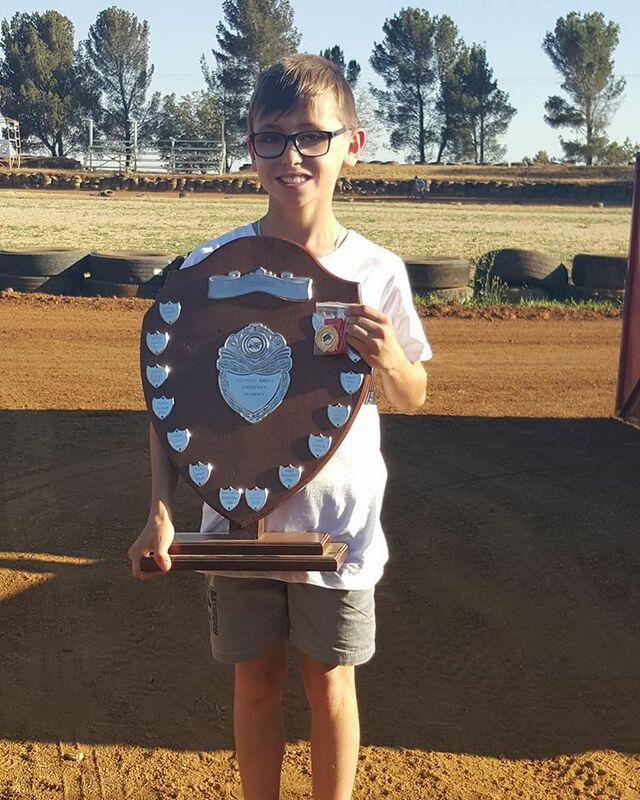 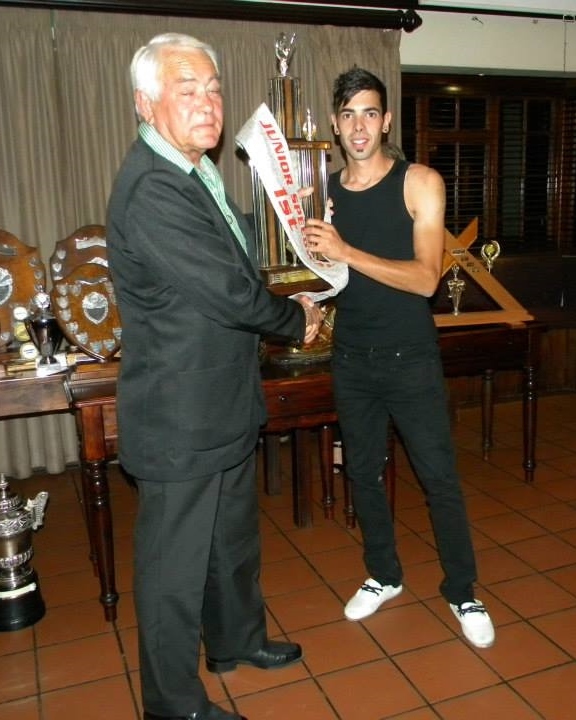 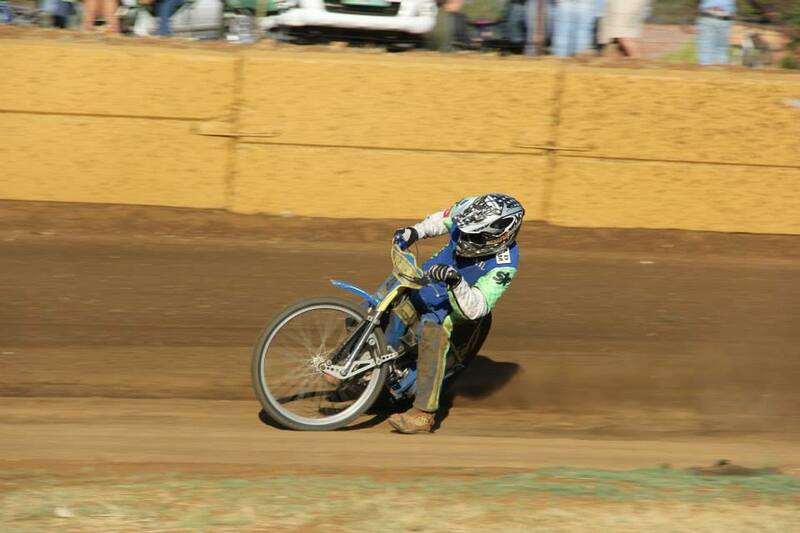 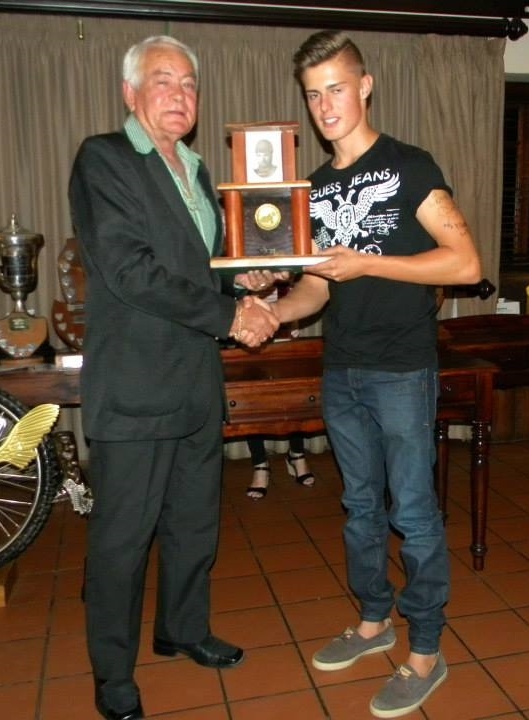 Silver Sash (U21 Speedway), Lyle Kotze; Golden Boot (Premier Speedway), Mac Magill. 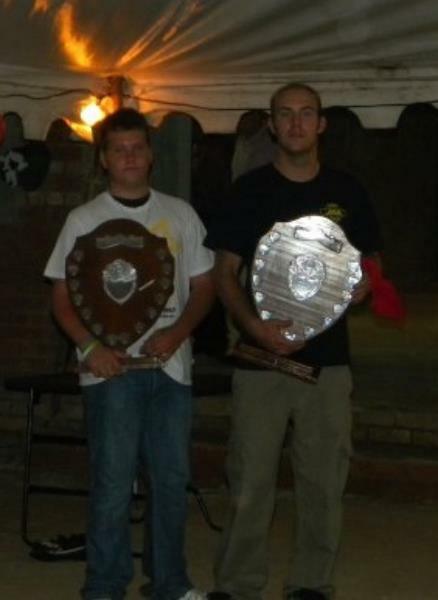 Hansie Kleynhams (Nat'l Champion, Sp.Stars Class), Grant Frank (Regional Champion, Sp.Stars Class). 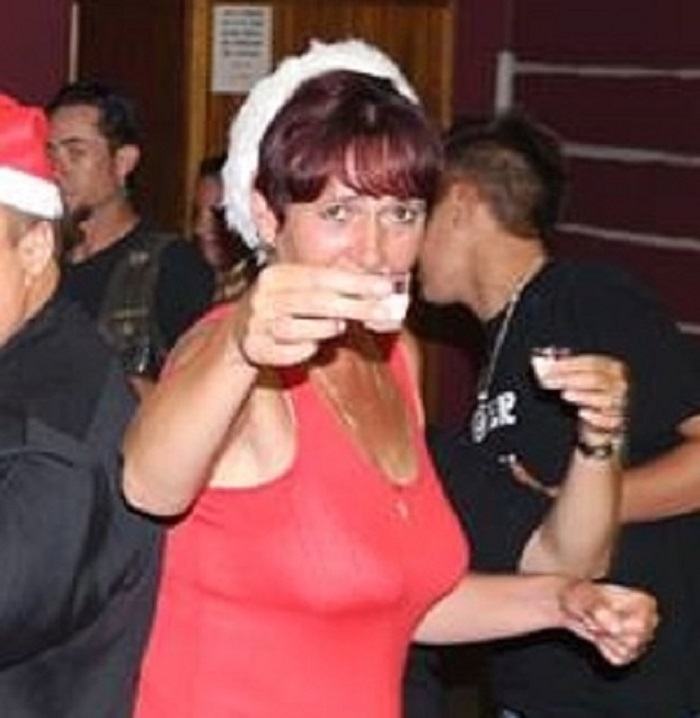 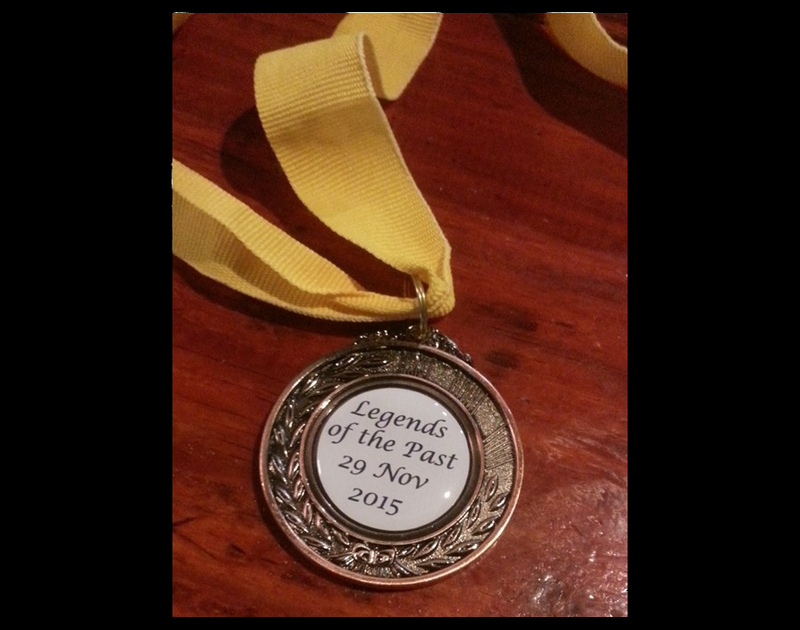 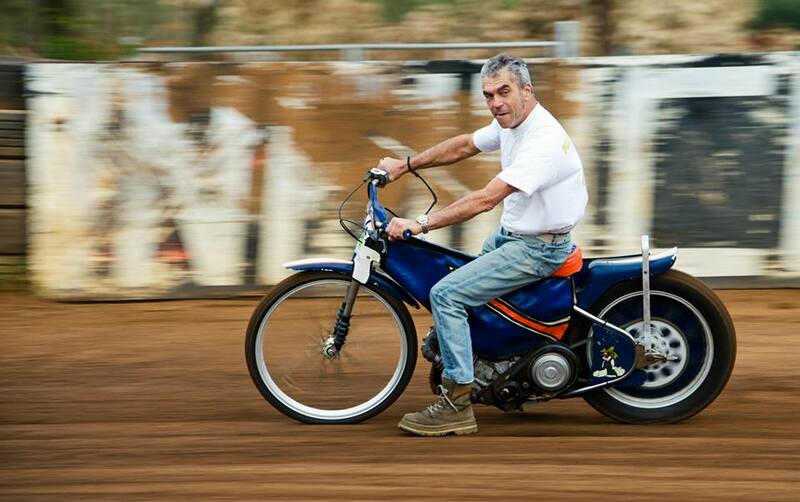 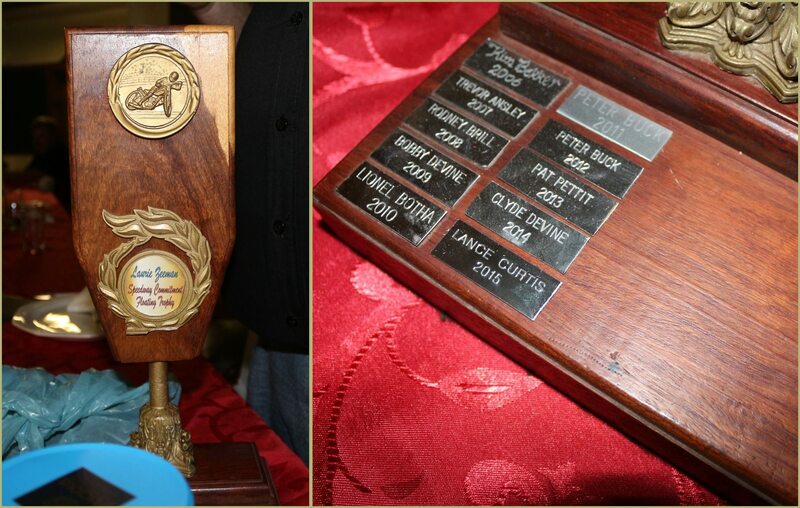 Rt: Legends of the Past / Dudleigh Long 'B' Div'n trophy: Ashley Brill. 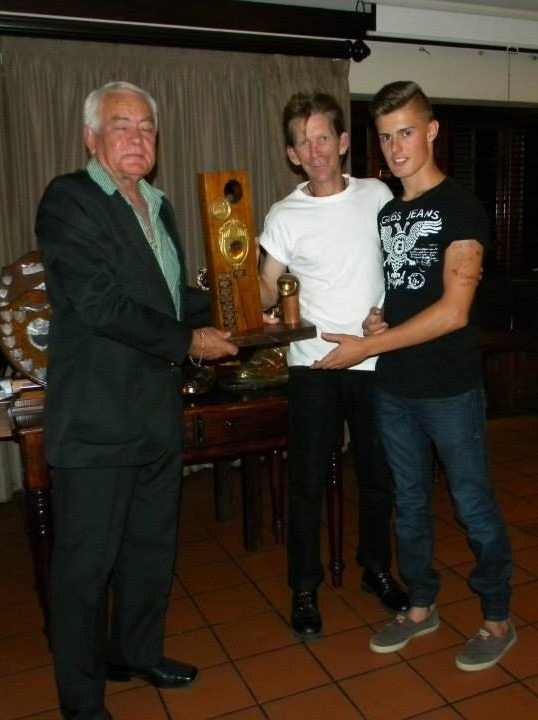 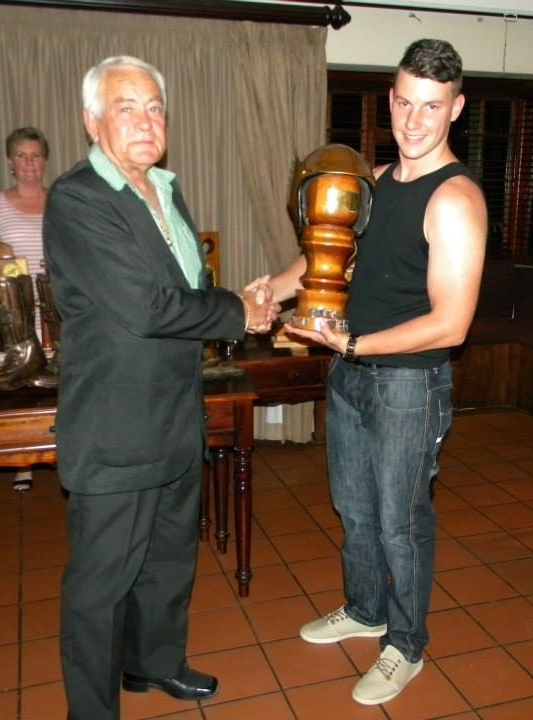 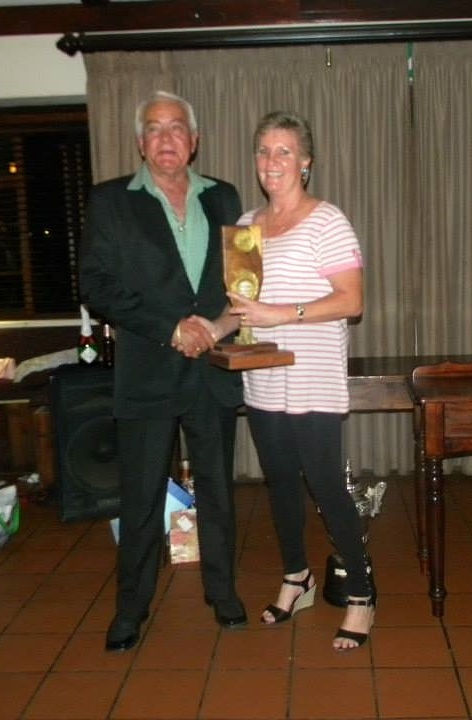 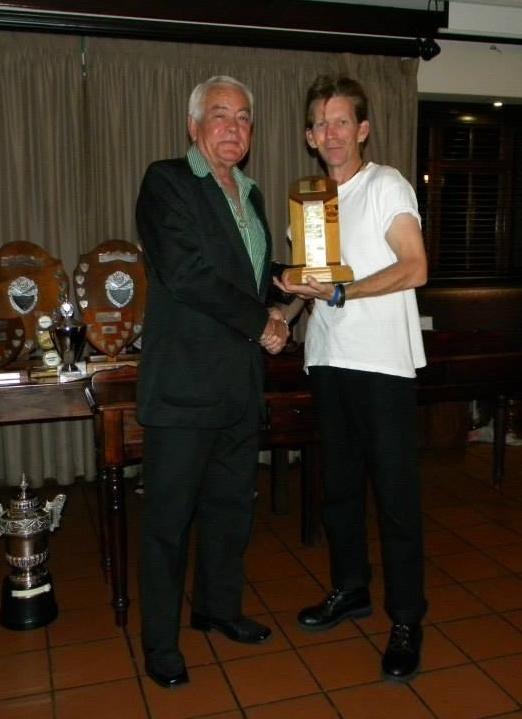 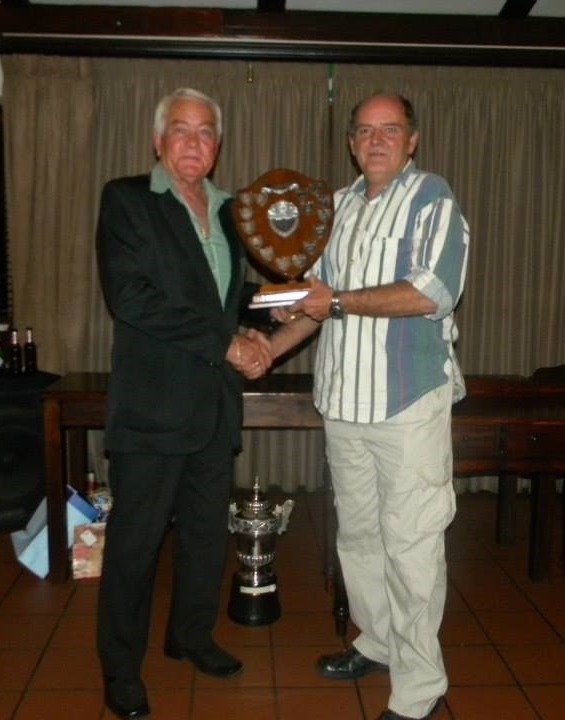 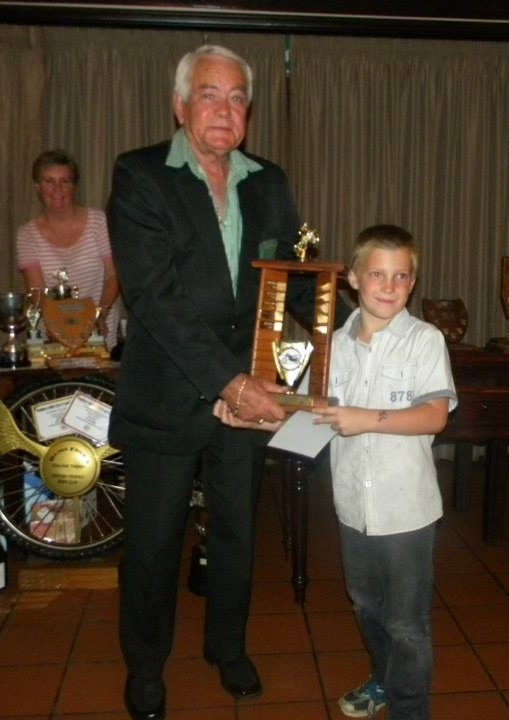 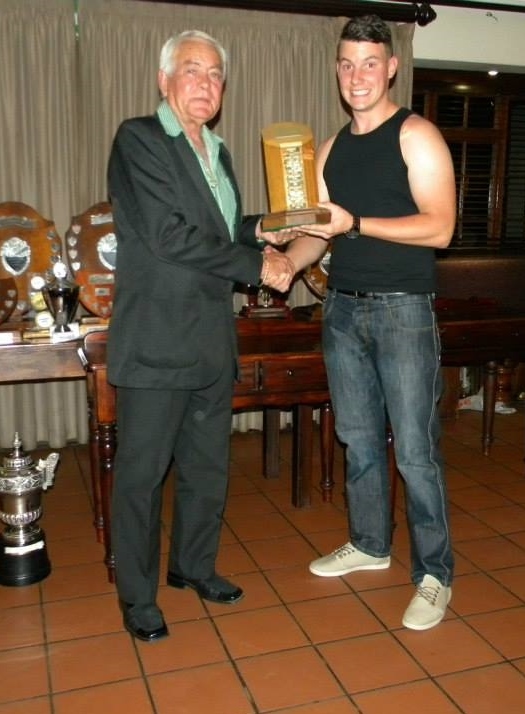 - Byron Bekker receives the Henry Long Trophy from former SA Champion, Arthur Bruins. 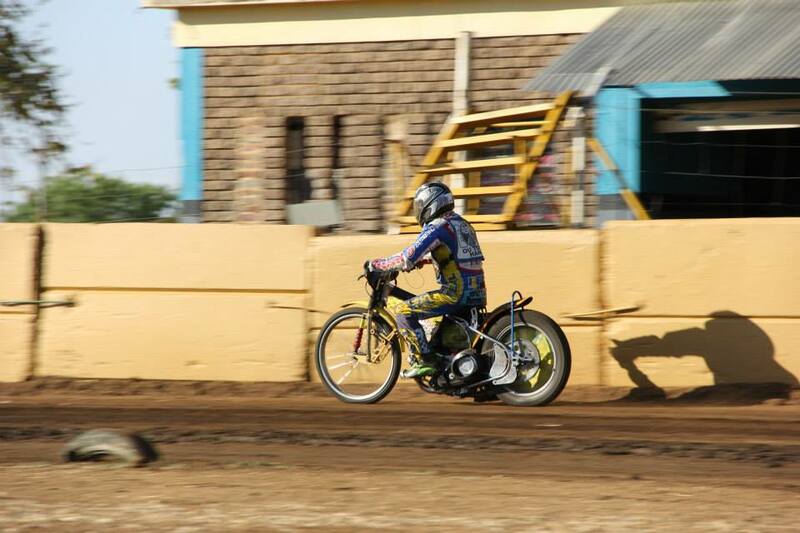 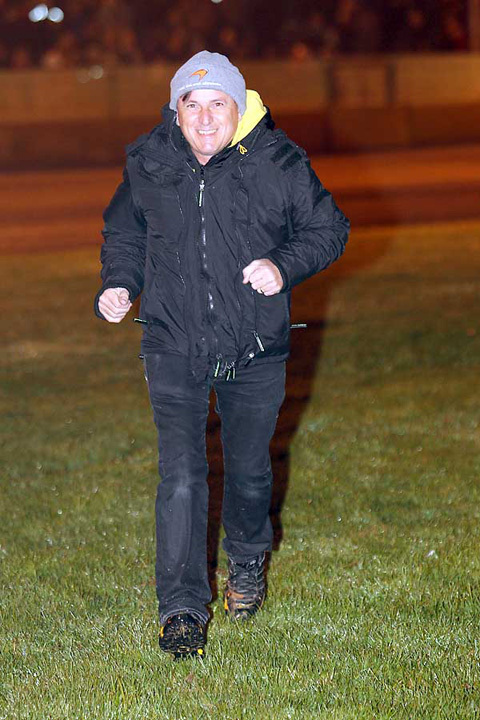 Byron Bekker heads for the first corner for the first of his 4 wins on return to the track. 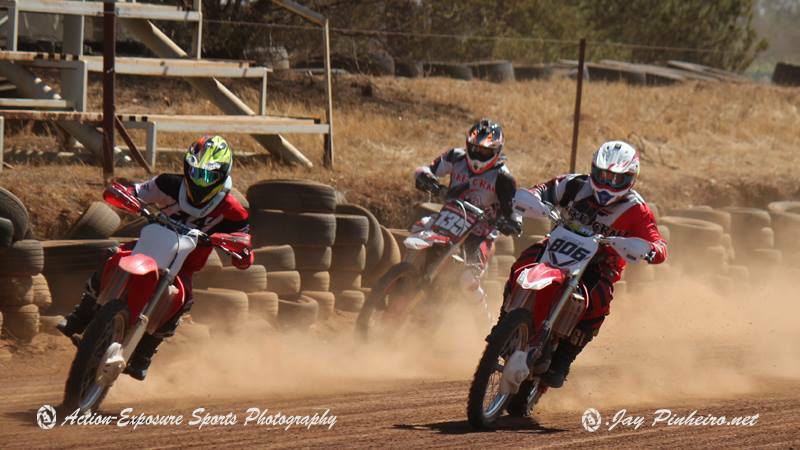 Inside him Lyle Kotze(B) and Brad Devine(R), with Bobby Devine on the outside. 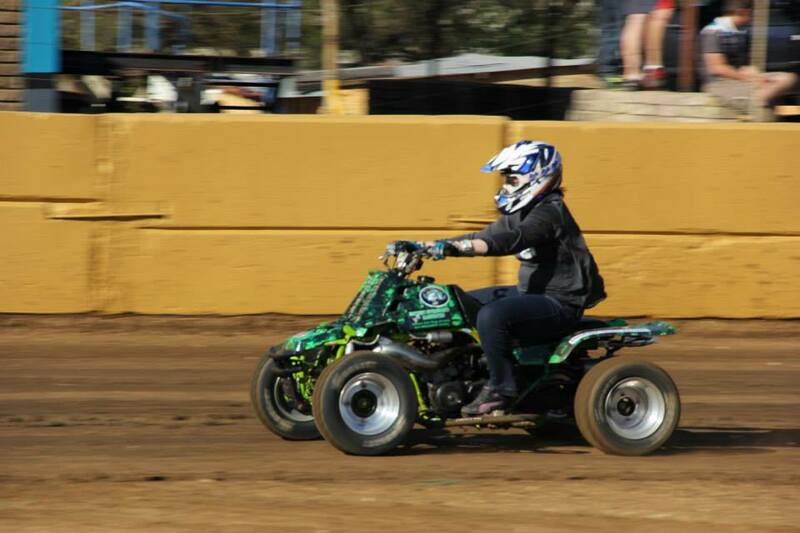 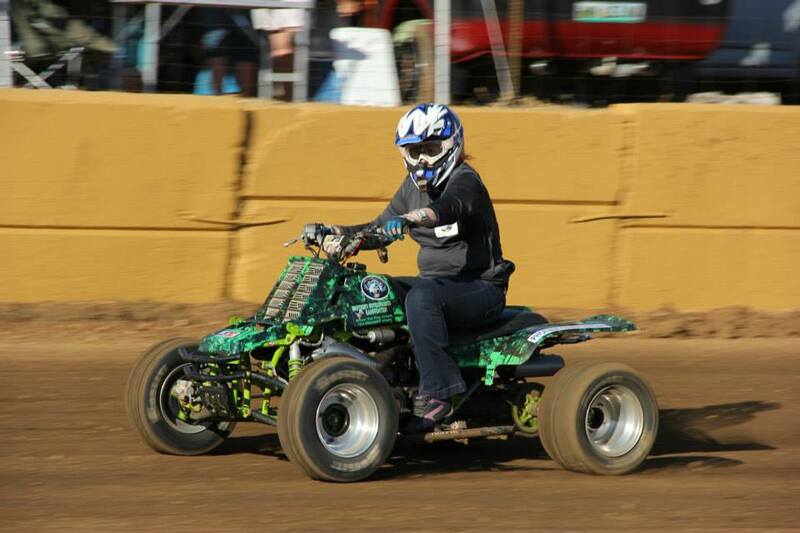 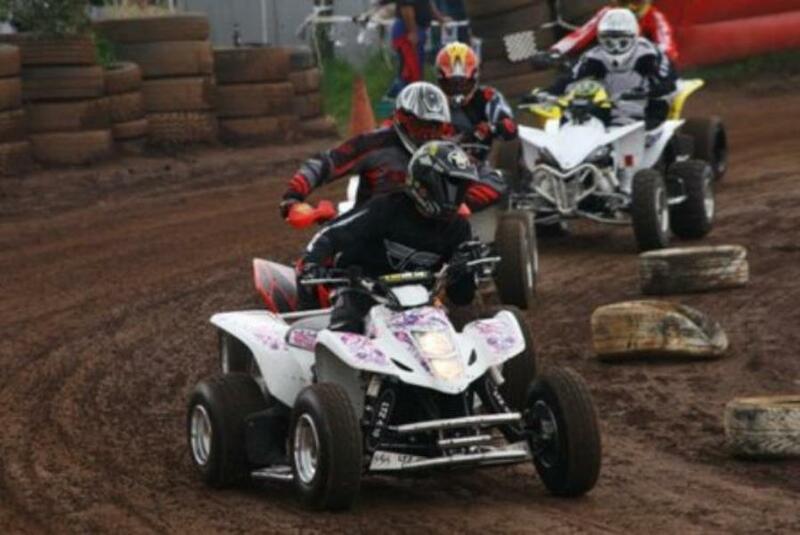 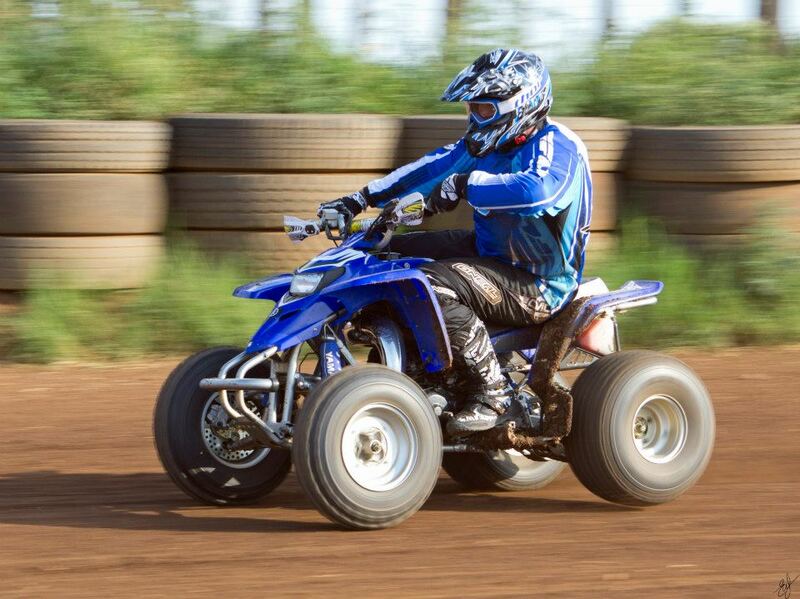 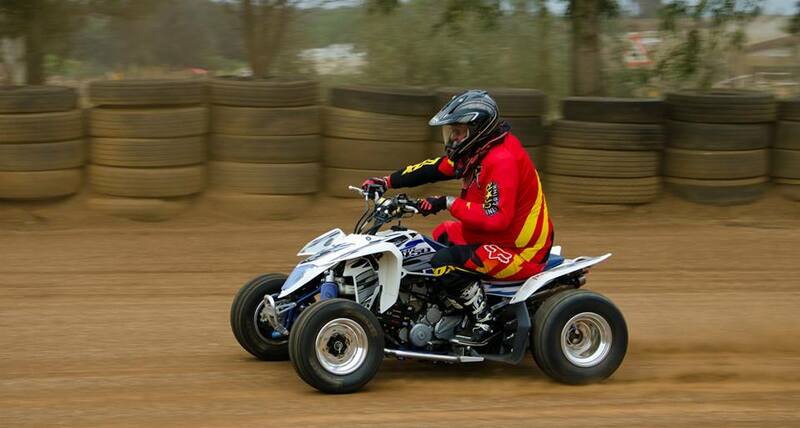 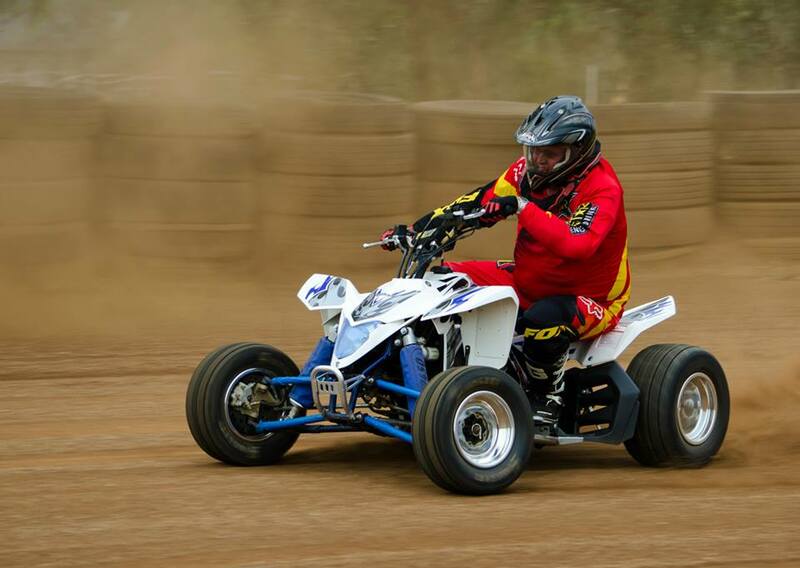 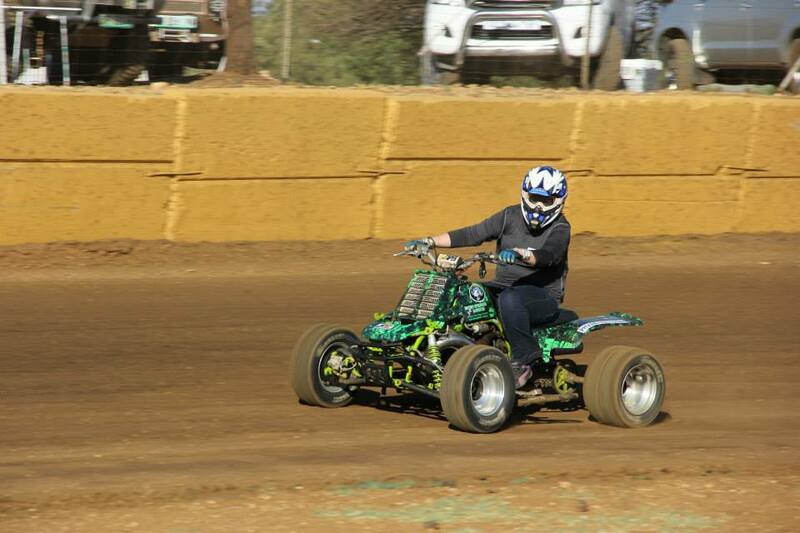 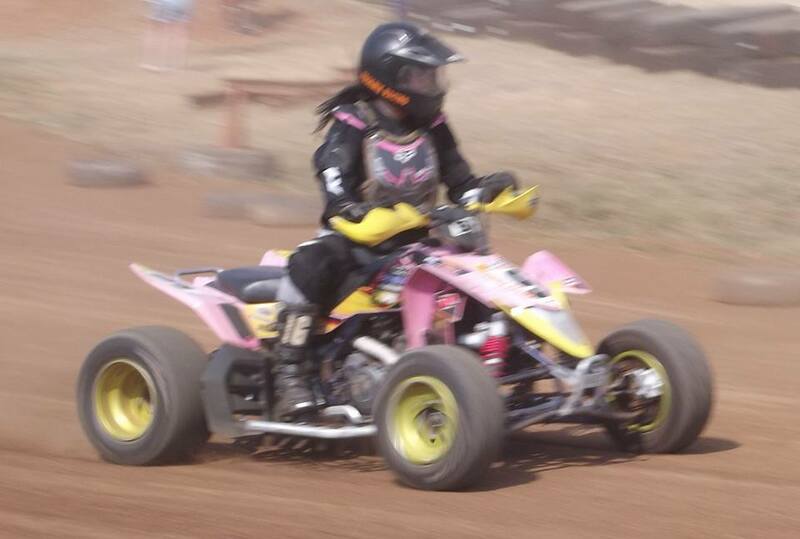 Quads brave out the conditions ! 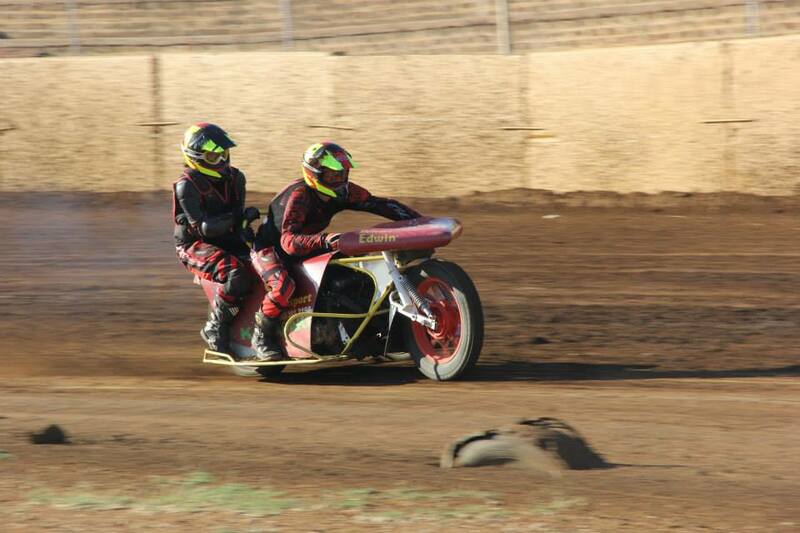 Warming up at Walkerville, September 2015 - Peter Buck & Gio Nunes. 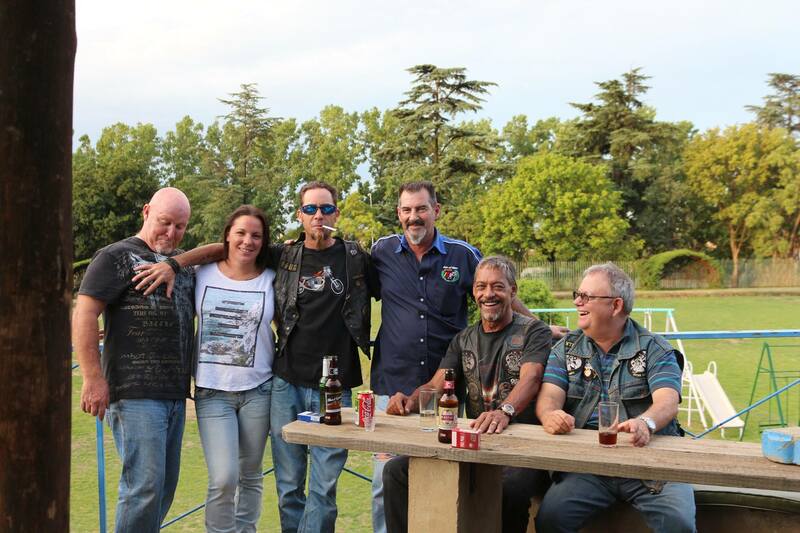 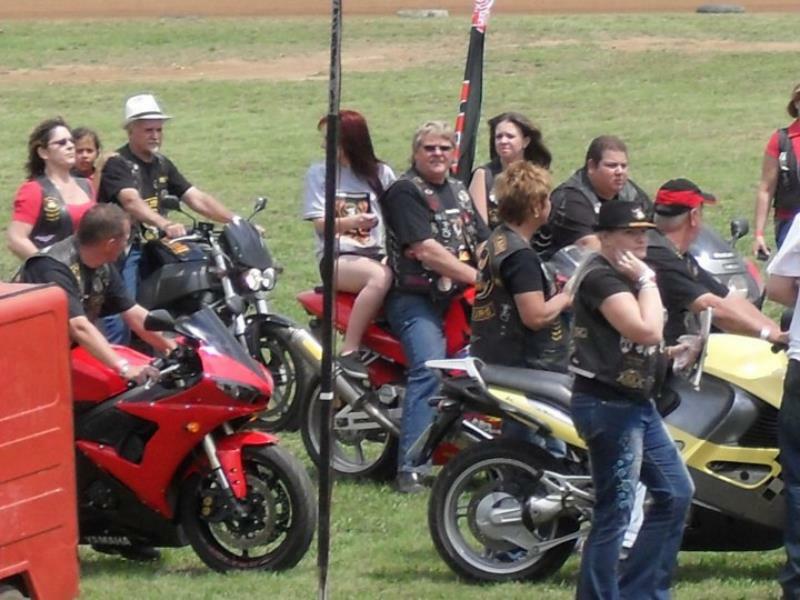 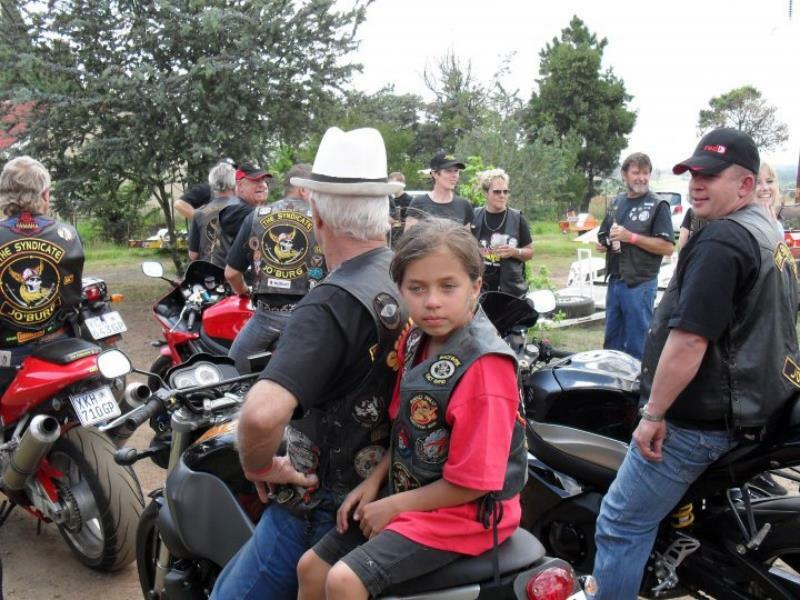 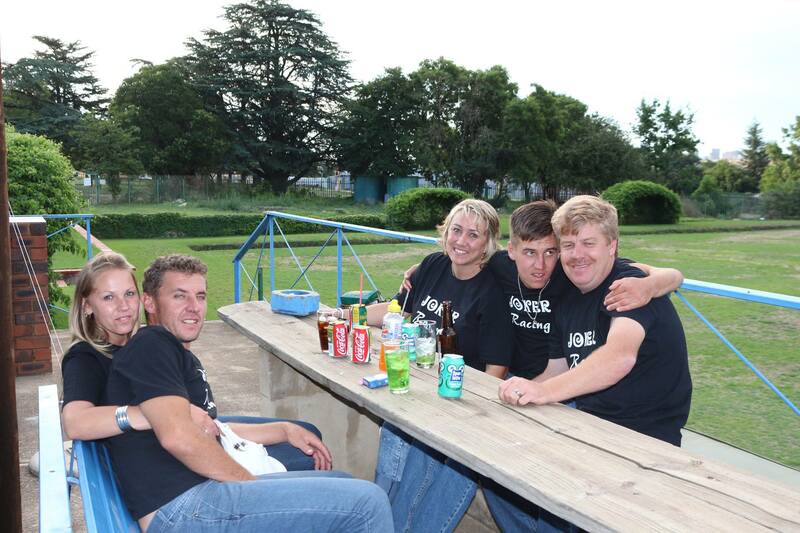 Walkerville riders with their bikes, at the 'Ink & Iron' event in Regents Park, Joburg, 5.3.2016. 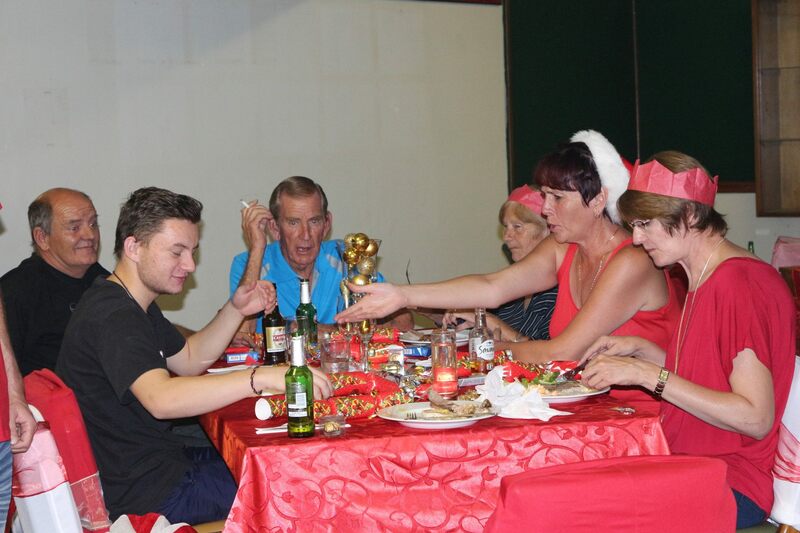 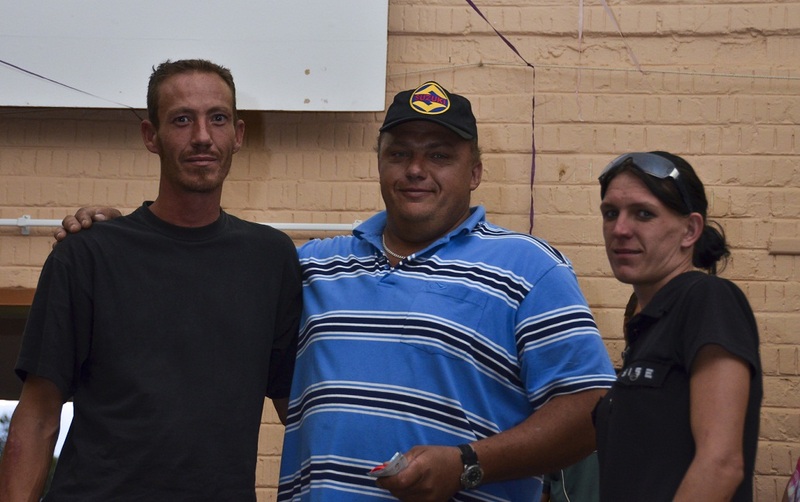 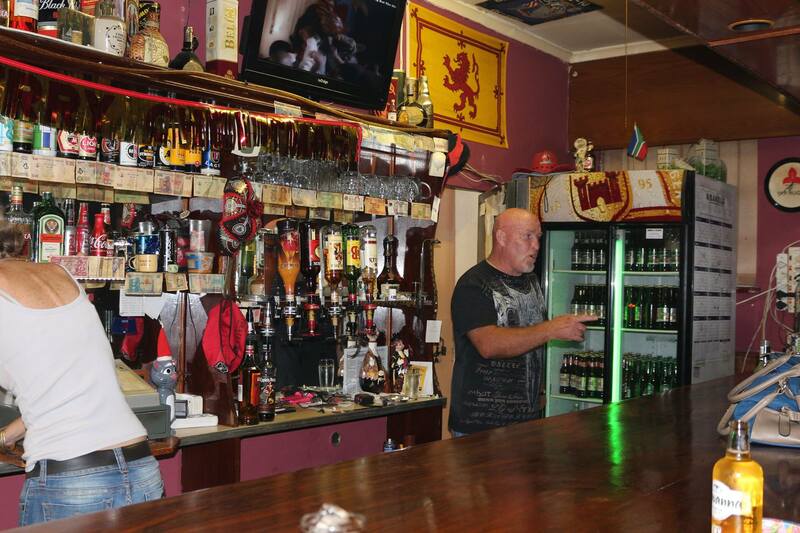 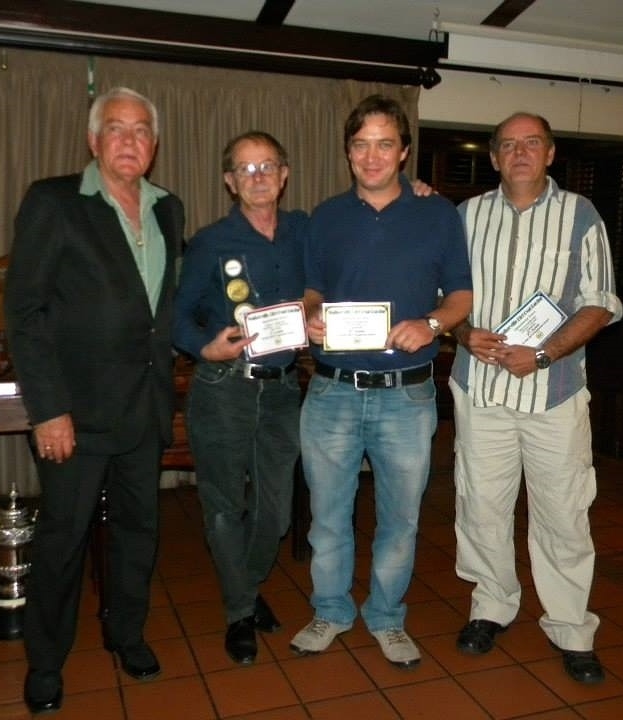 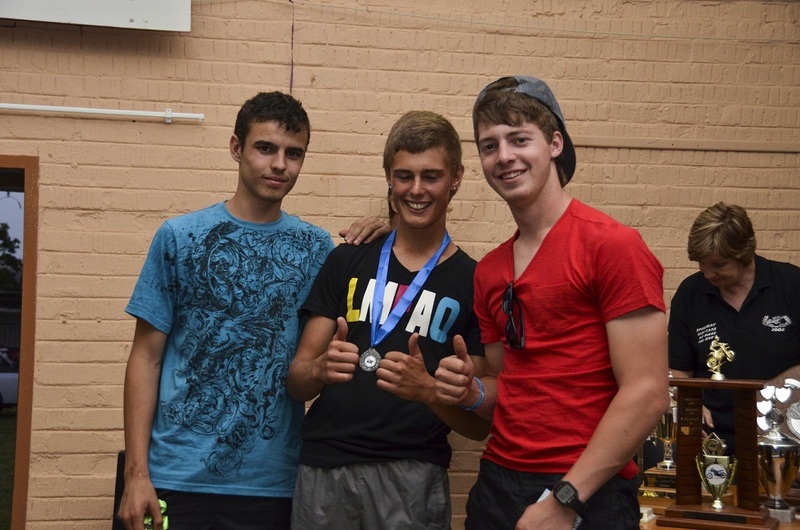 Gio Nunes, Jannie de Jager and Neil Pettit. 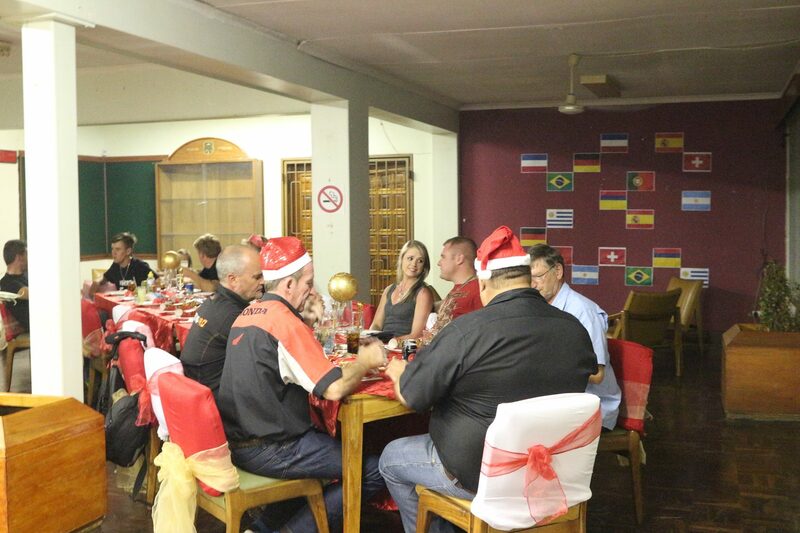 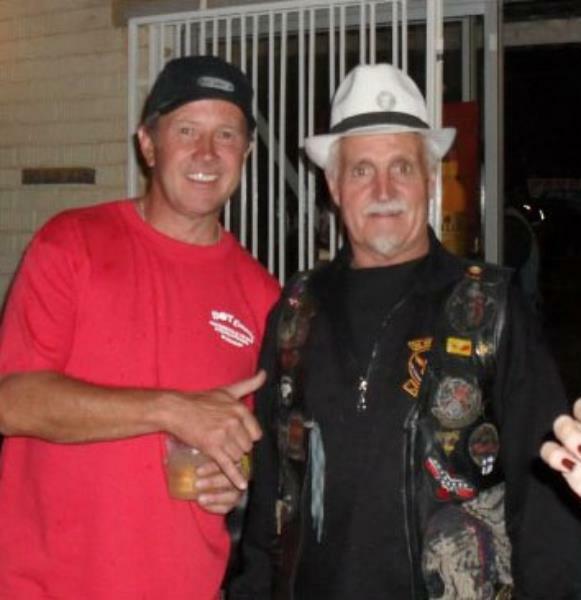 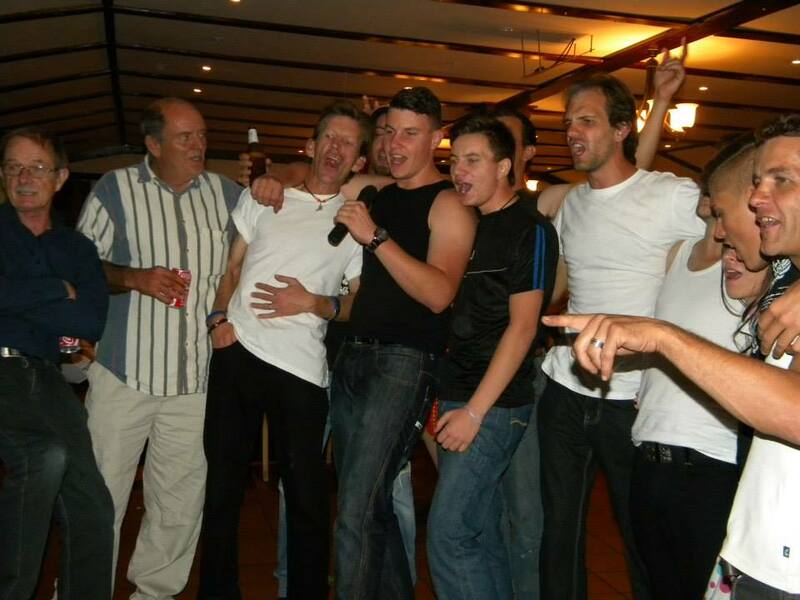 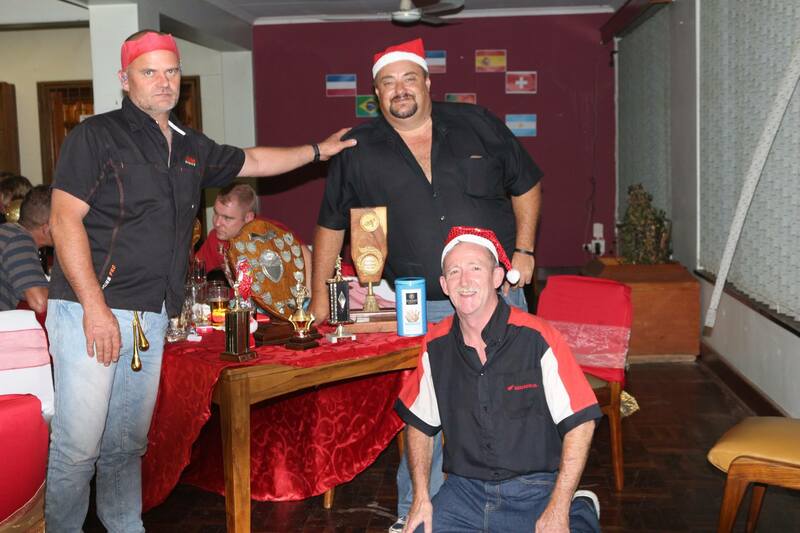 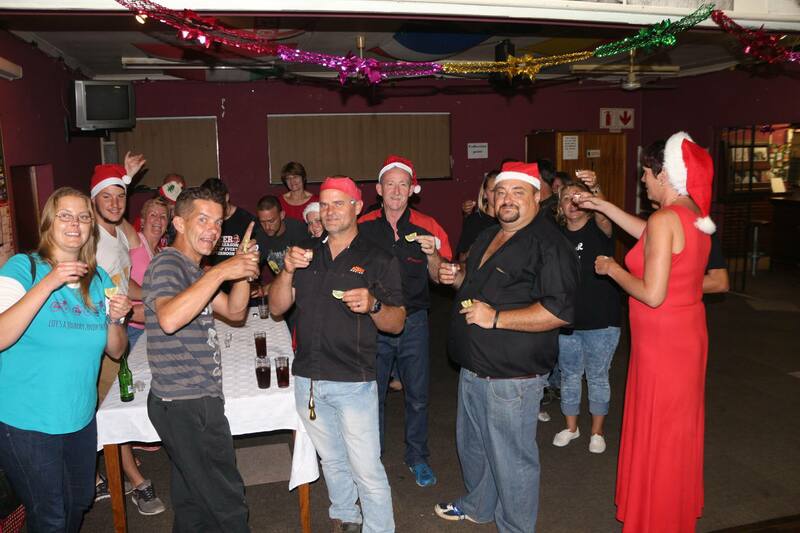 Dereck Hilliar & Gordan Raath (Rt,) head Kallie, Wayne & Konrad Britz. 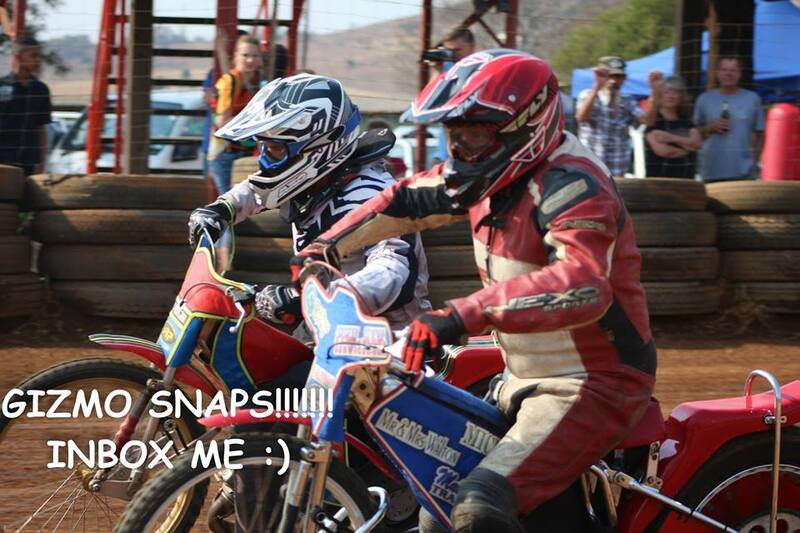 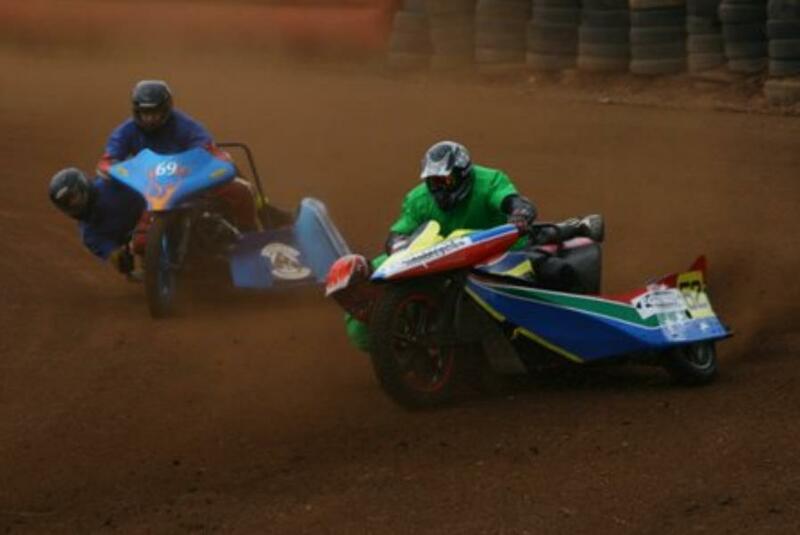 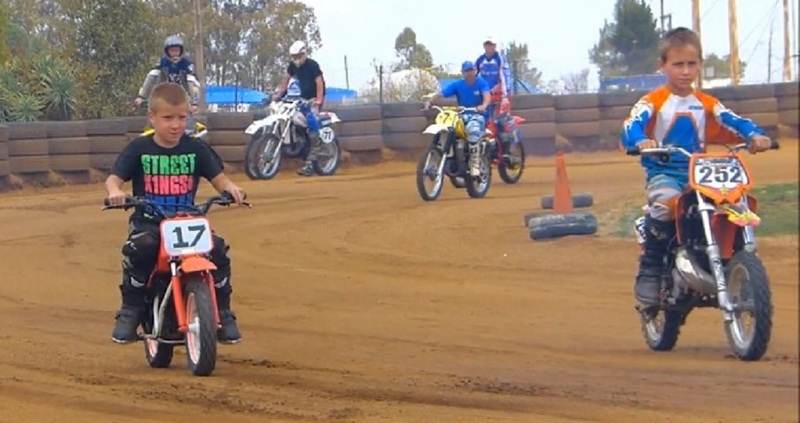 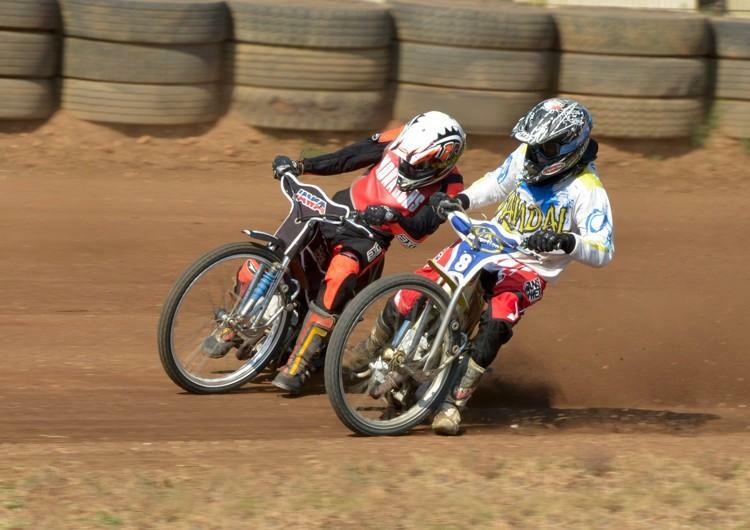 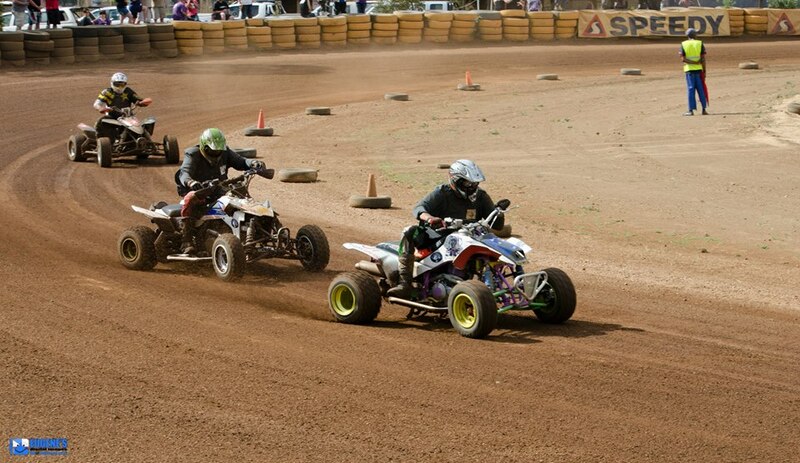 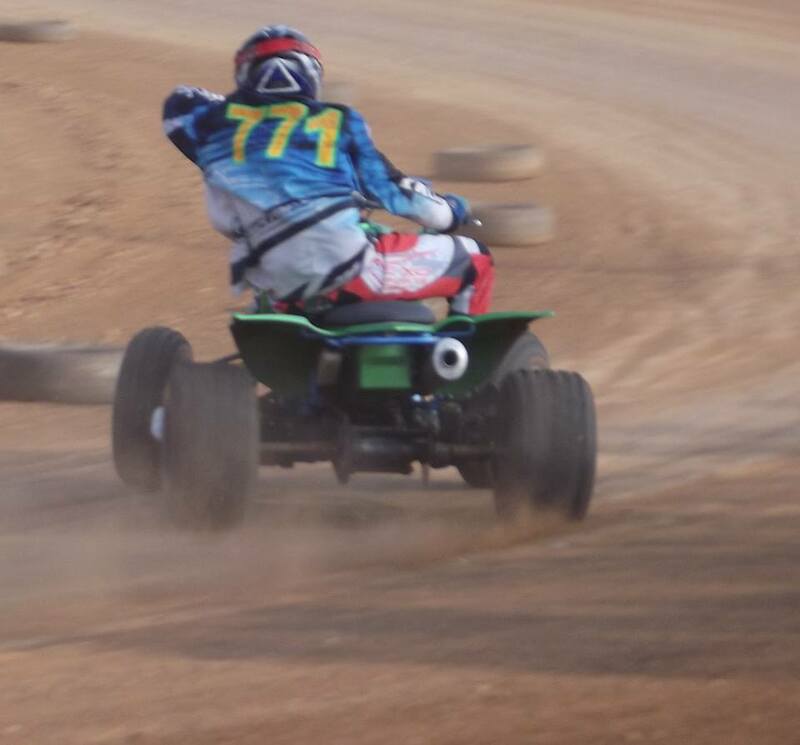 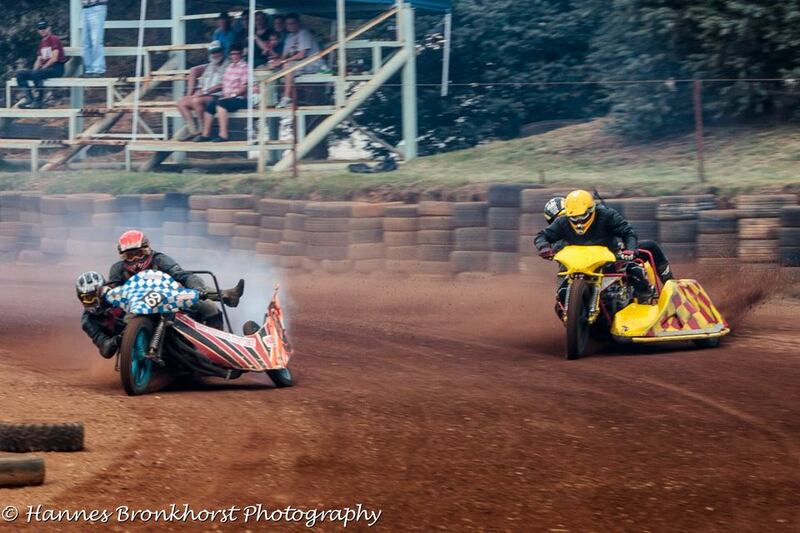 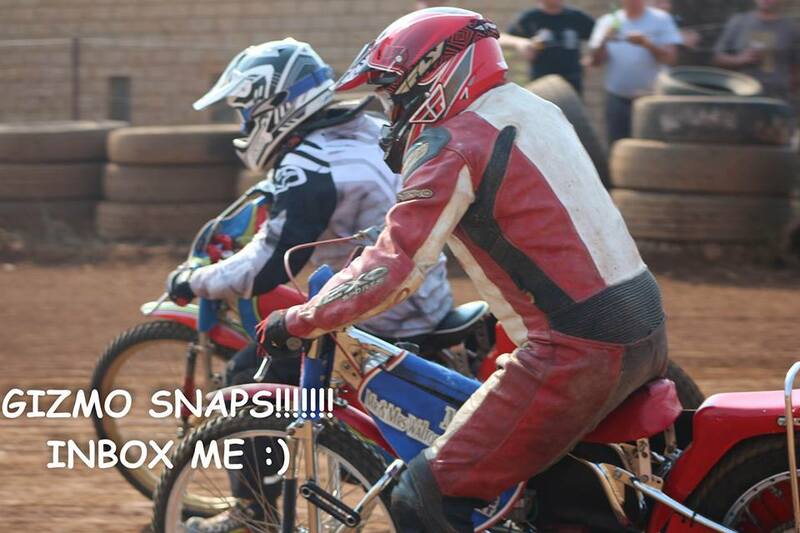 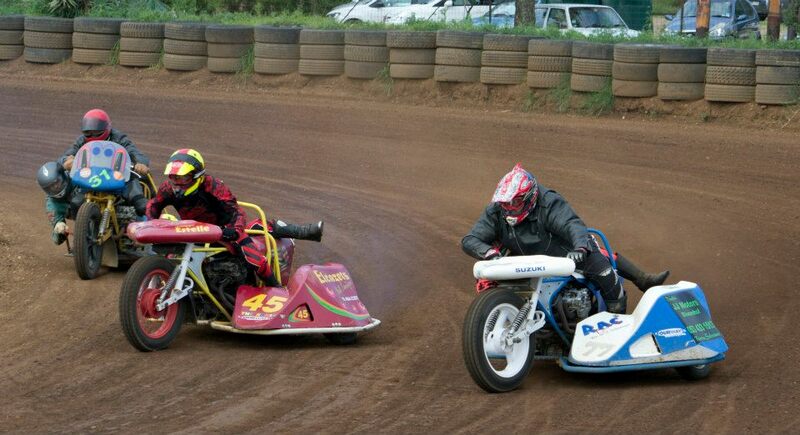 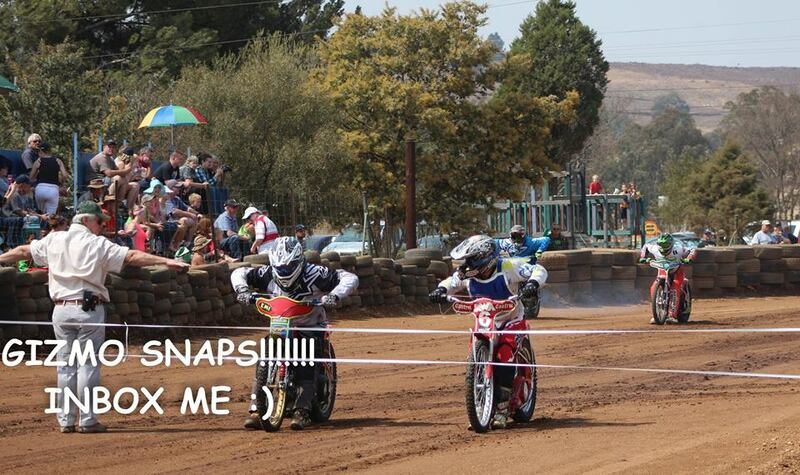 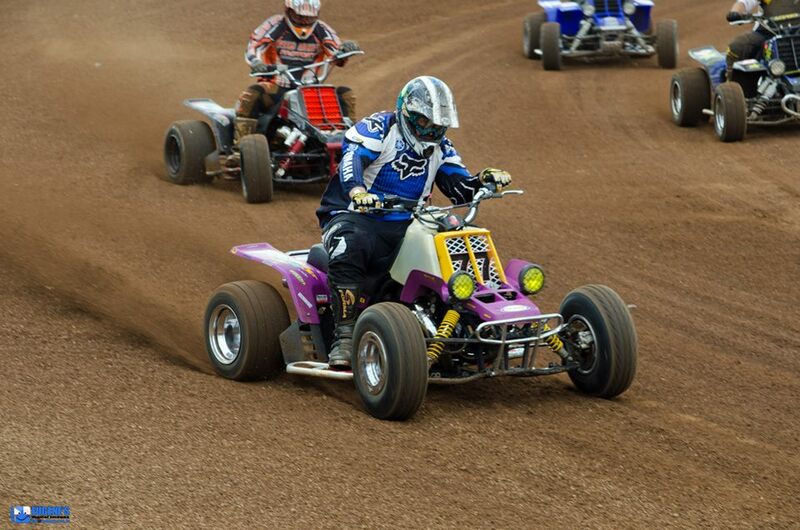 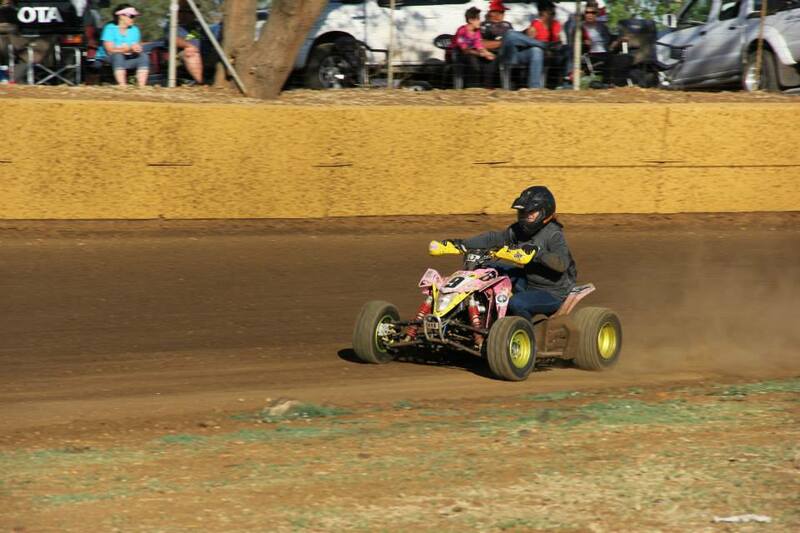 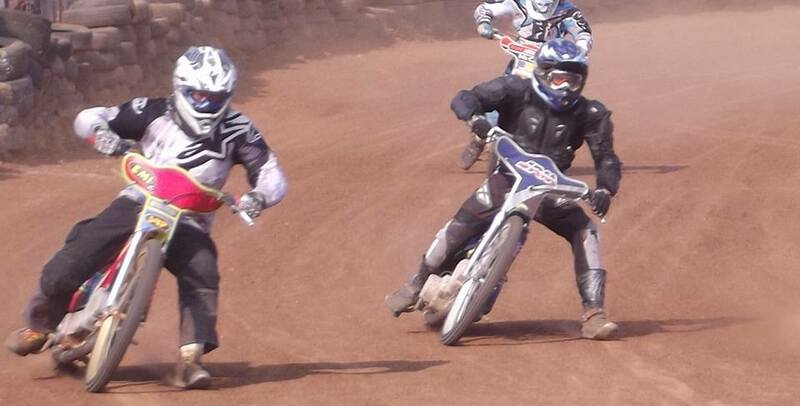 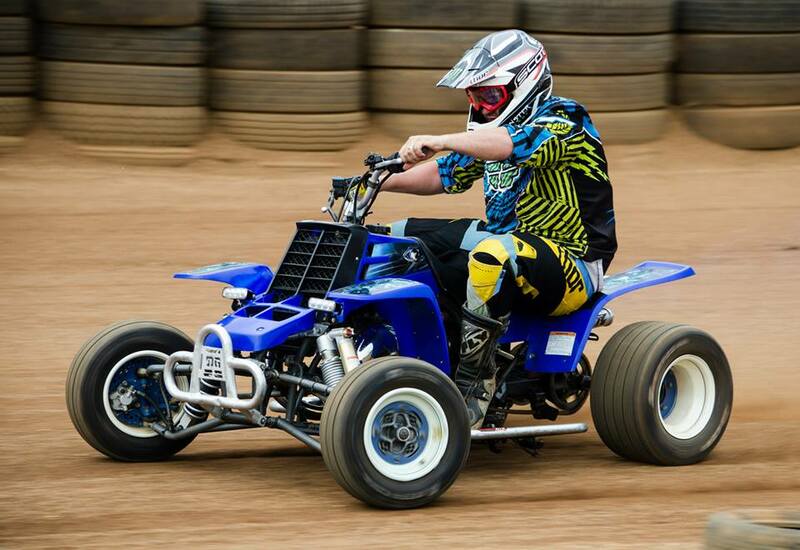 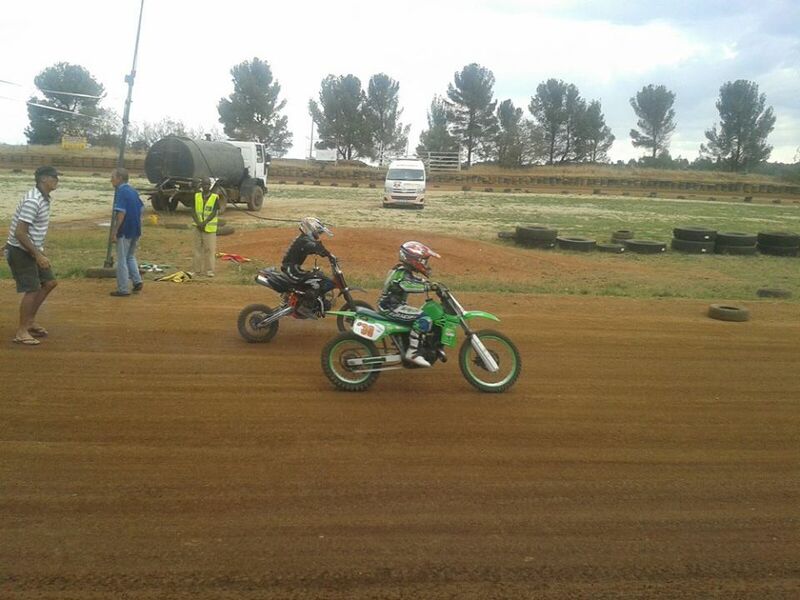 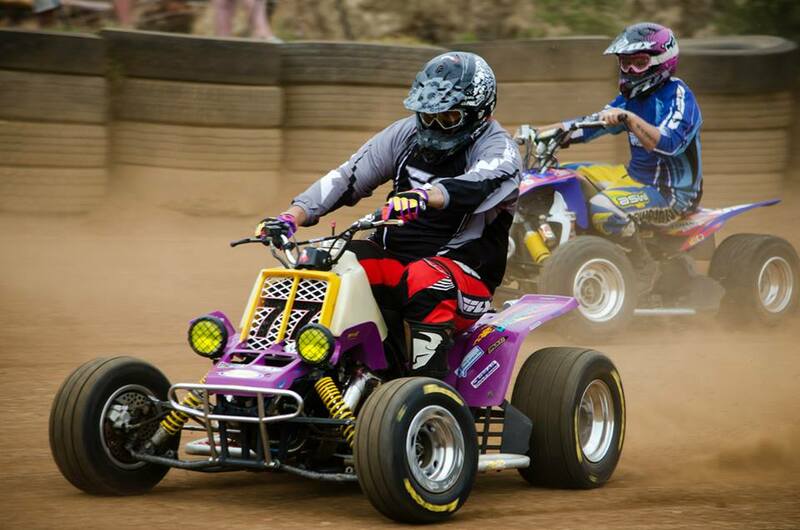 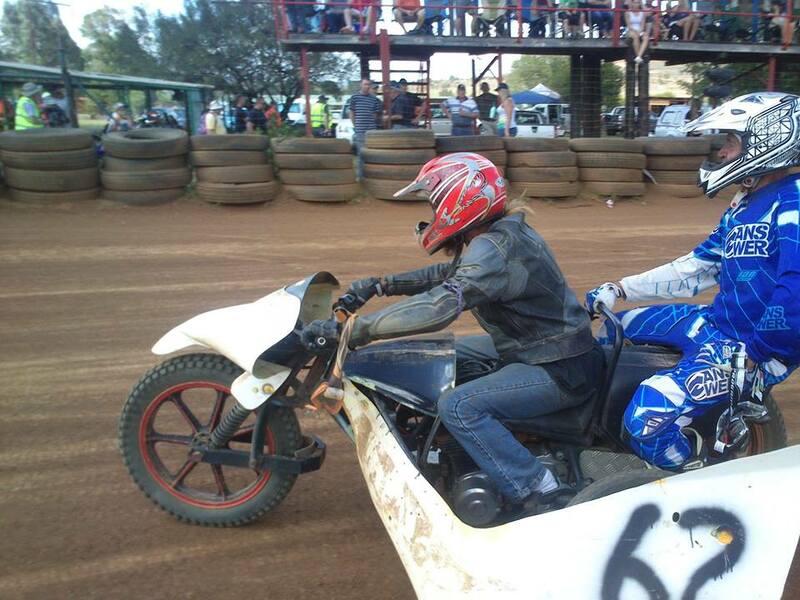 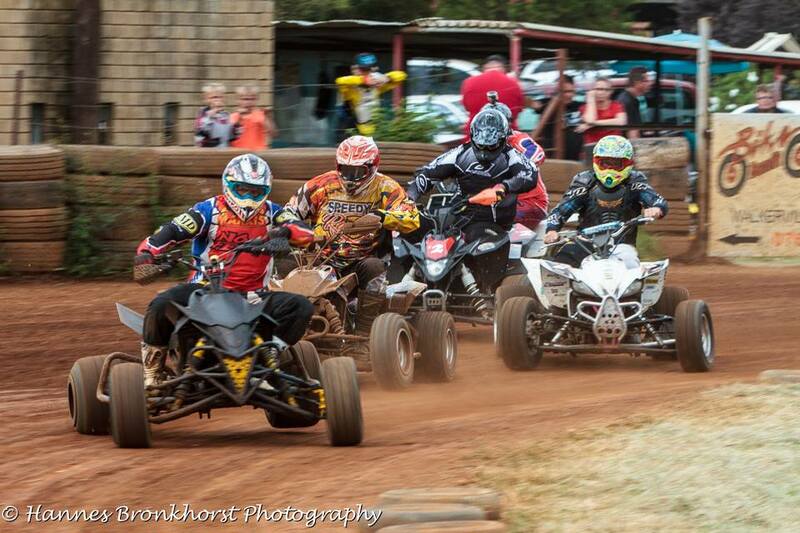 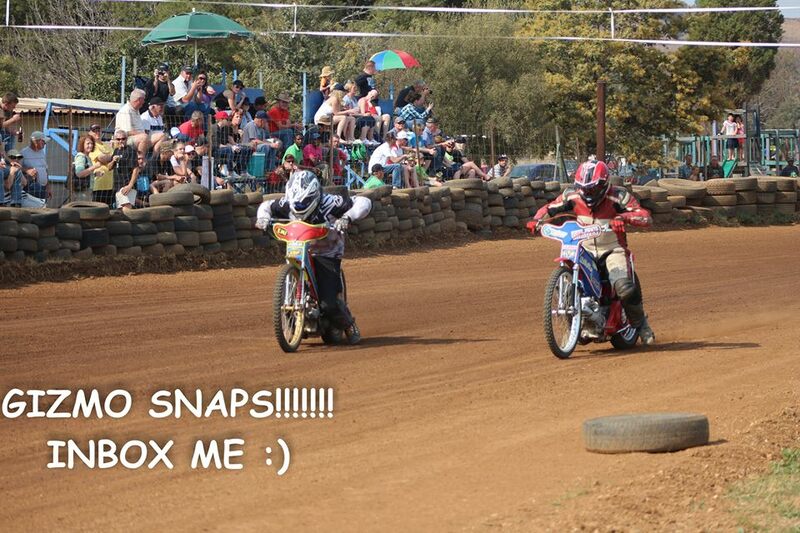 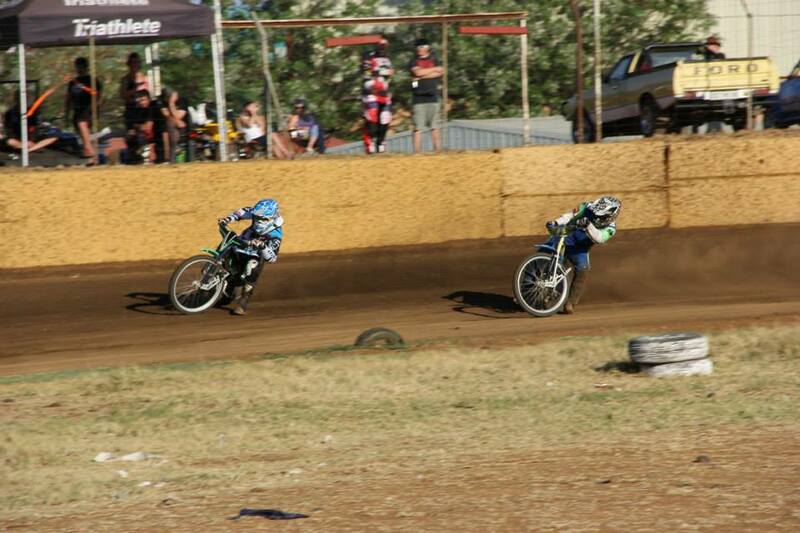 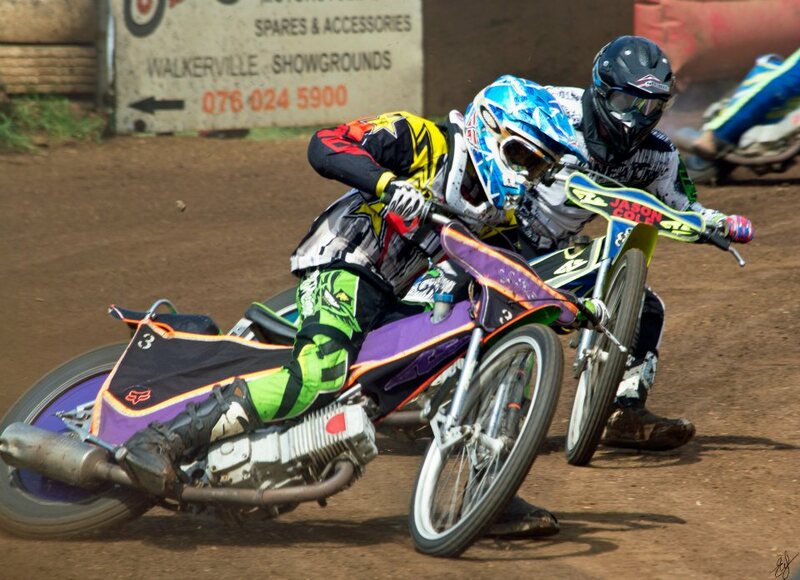 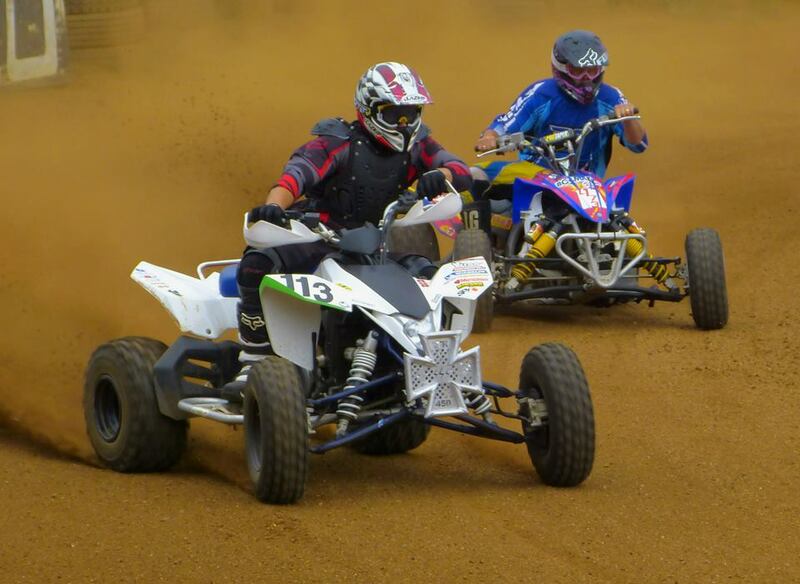 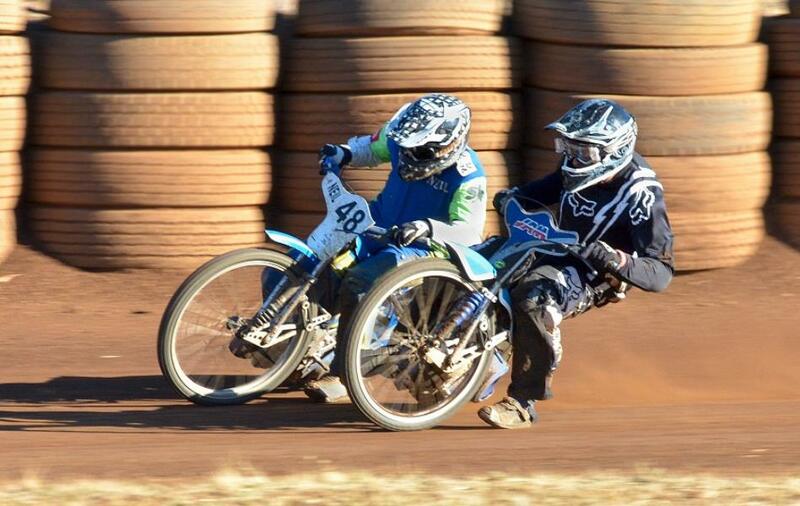 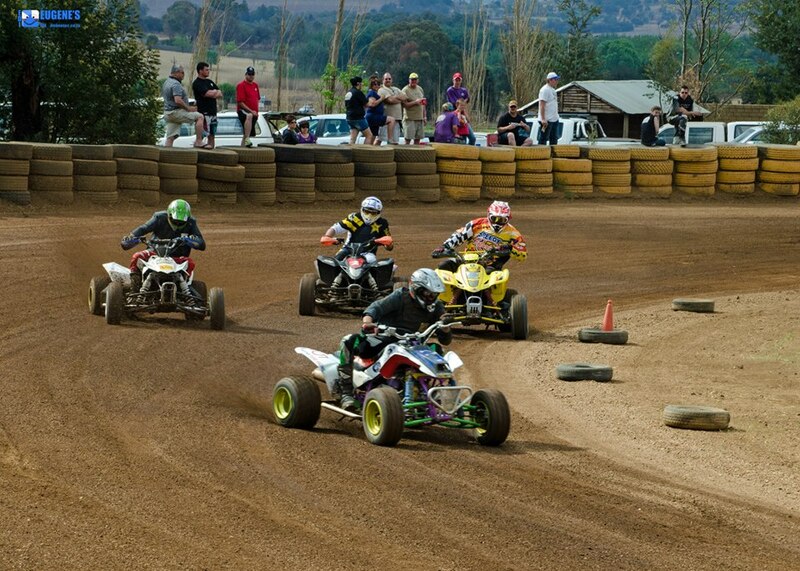 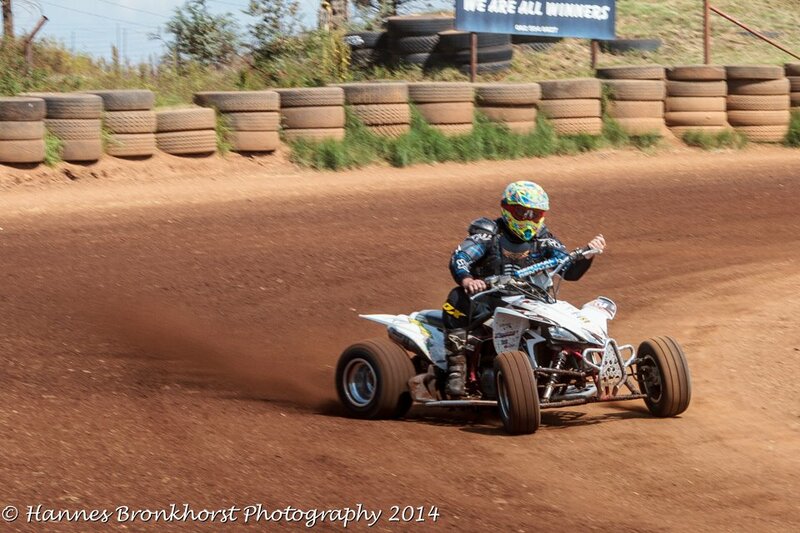 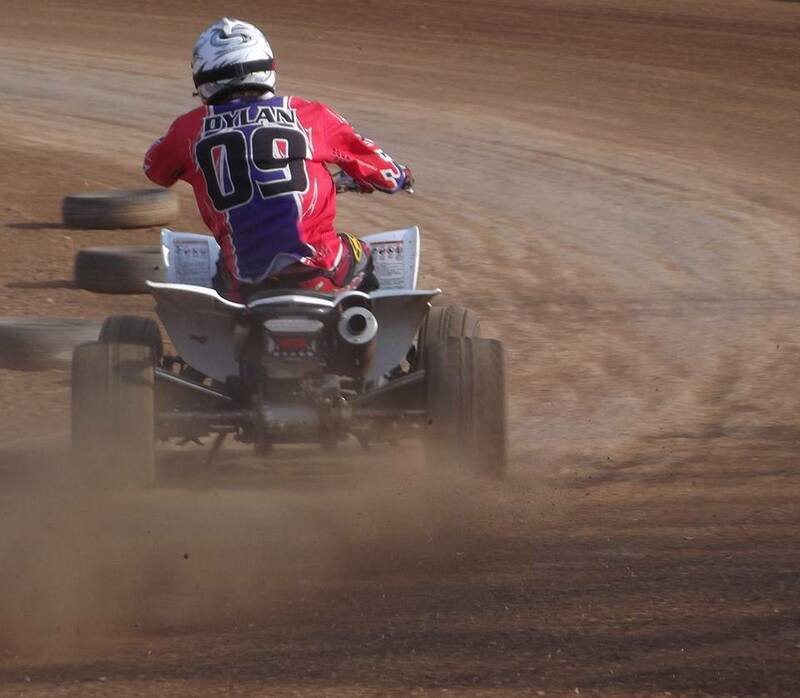 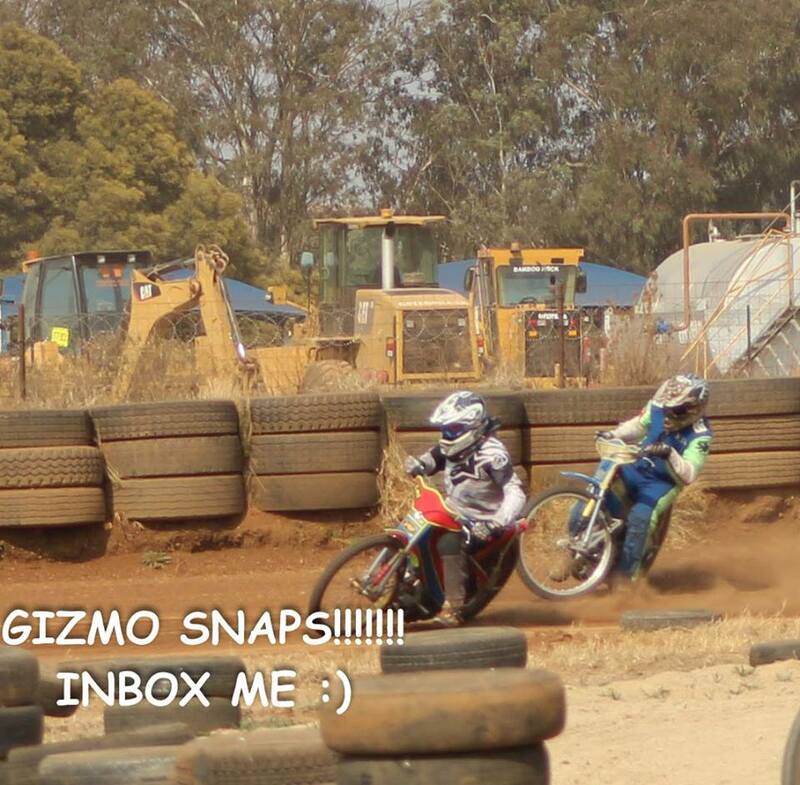 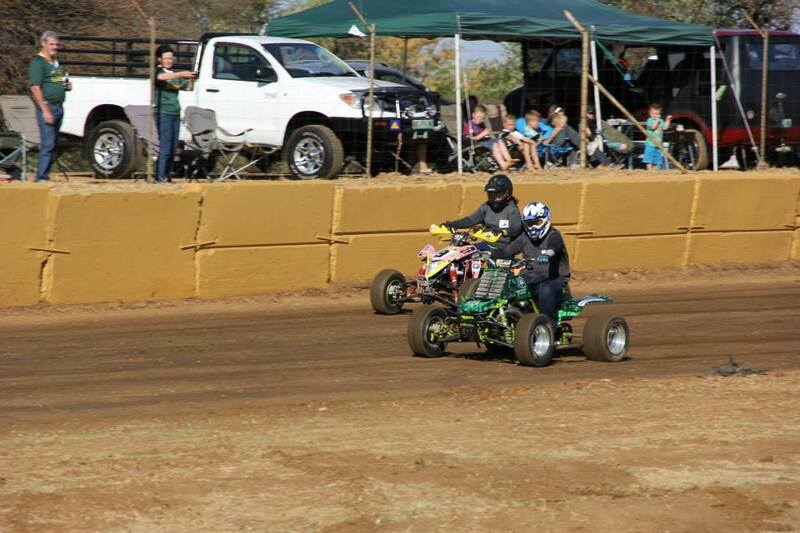 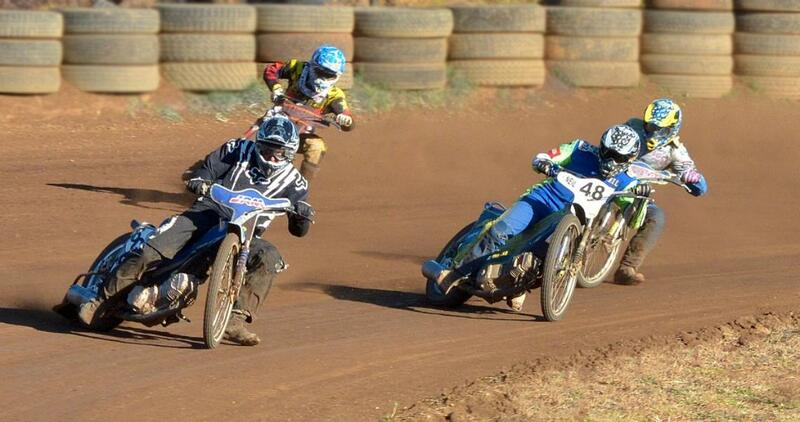 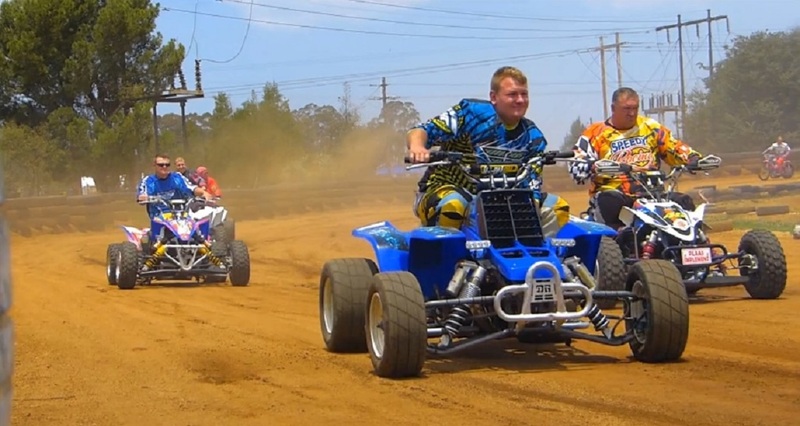 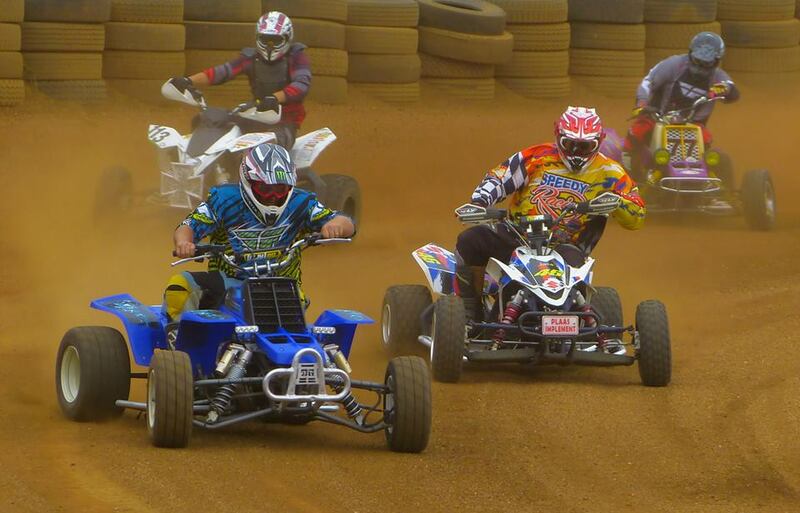 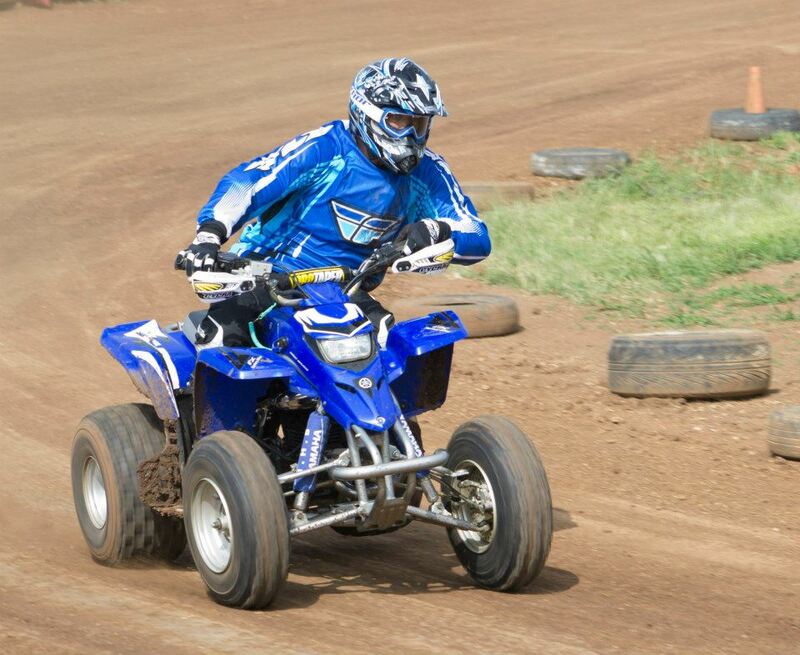 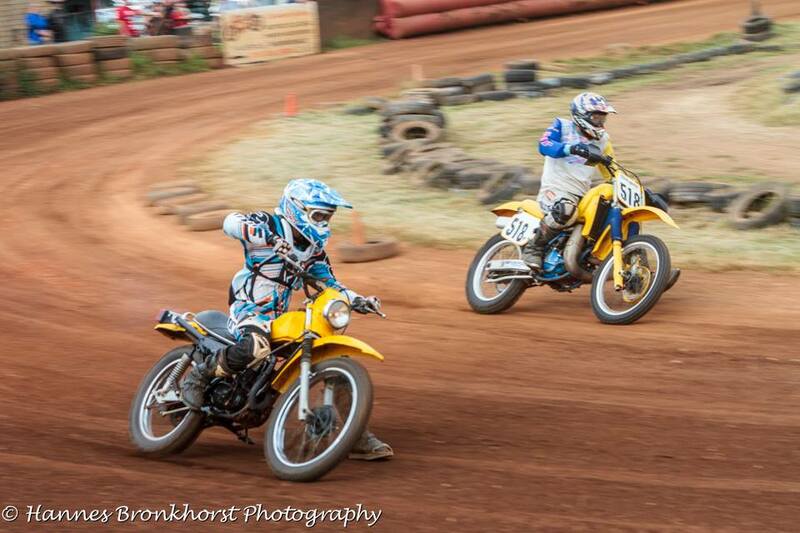 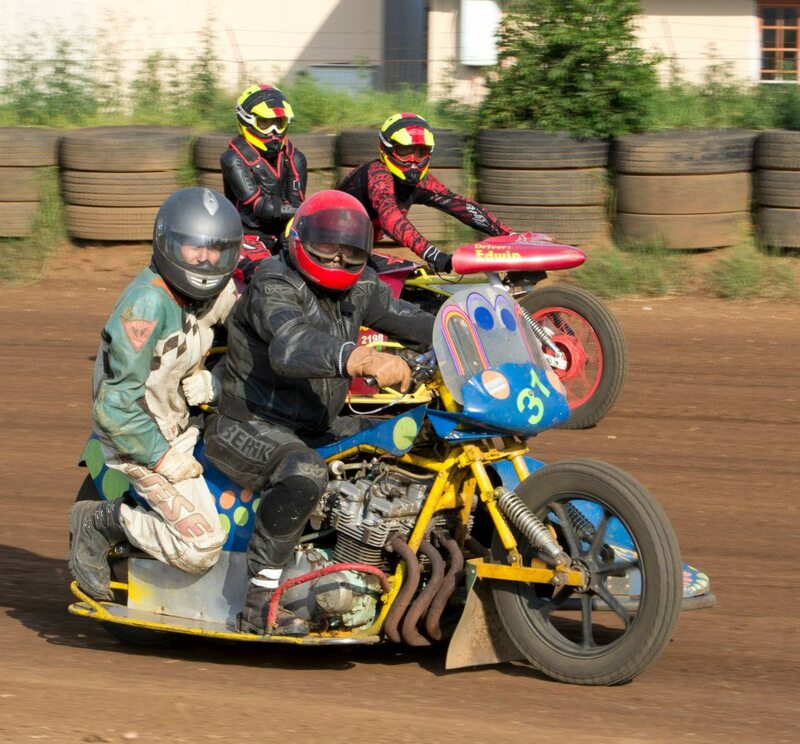 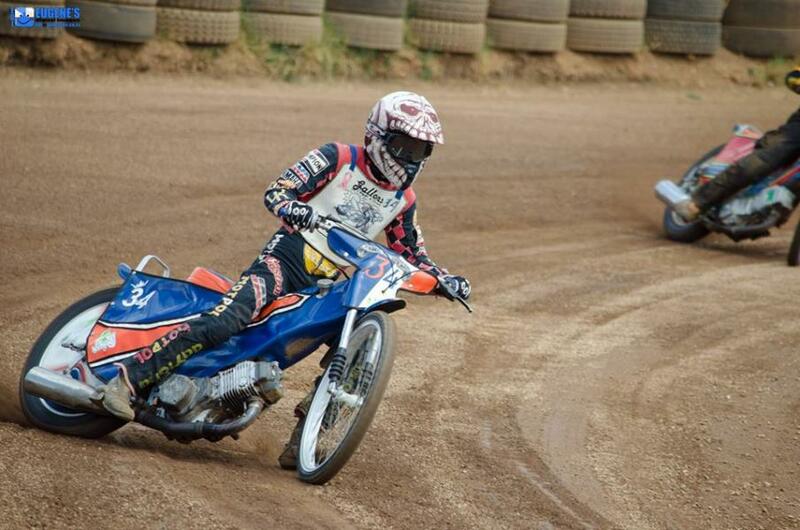 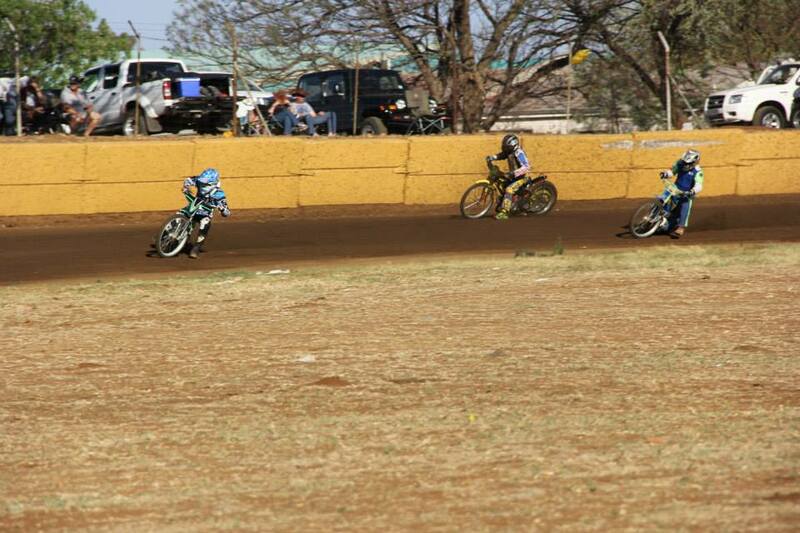 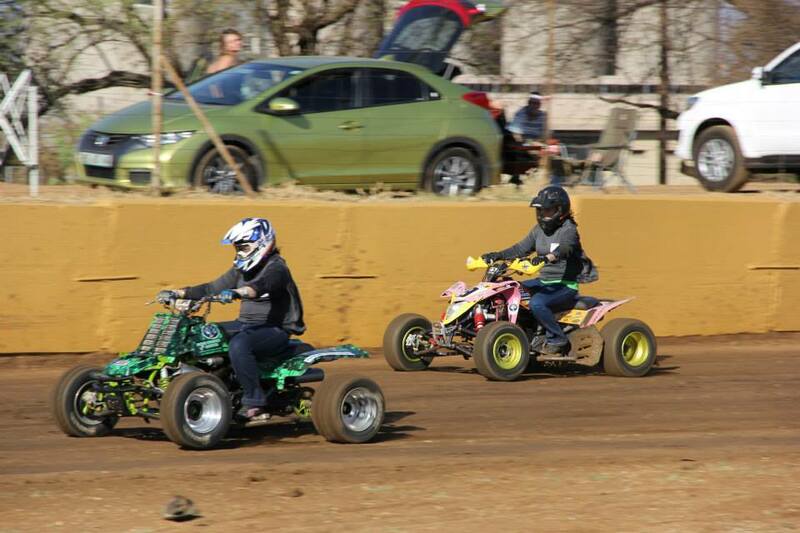 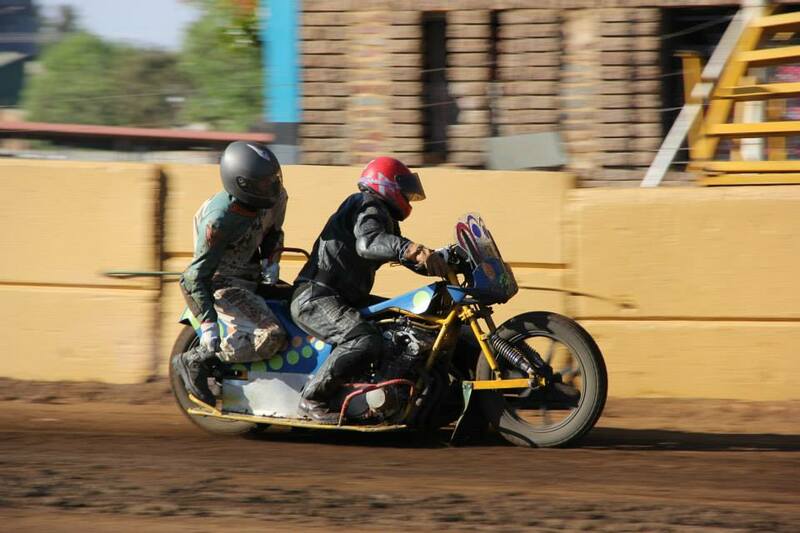 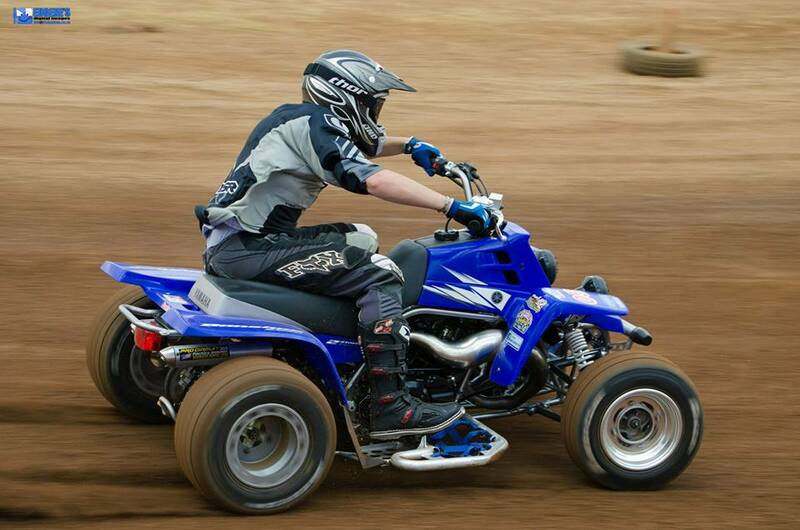 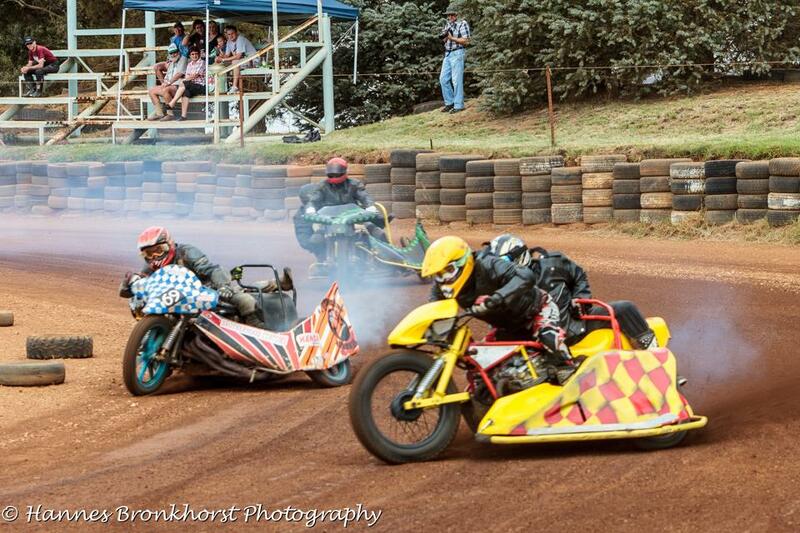 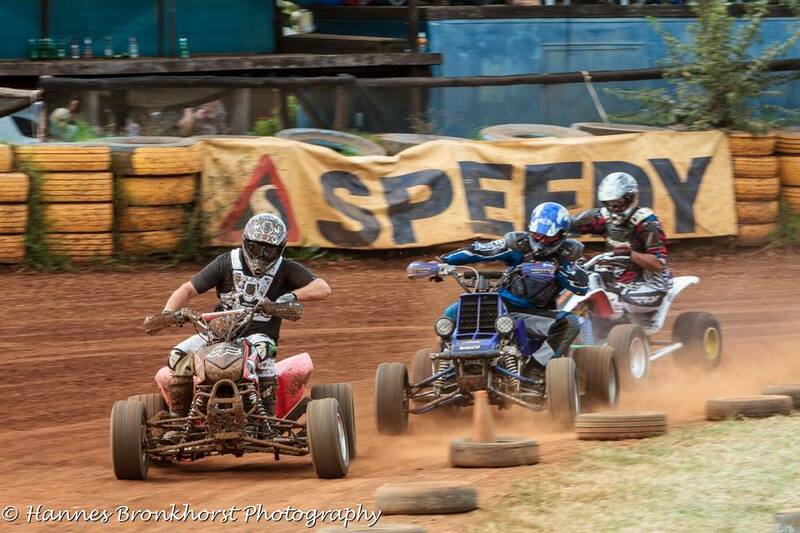 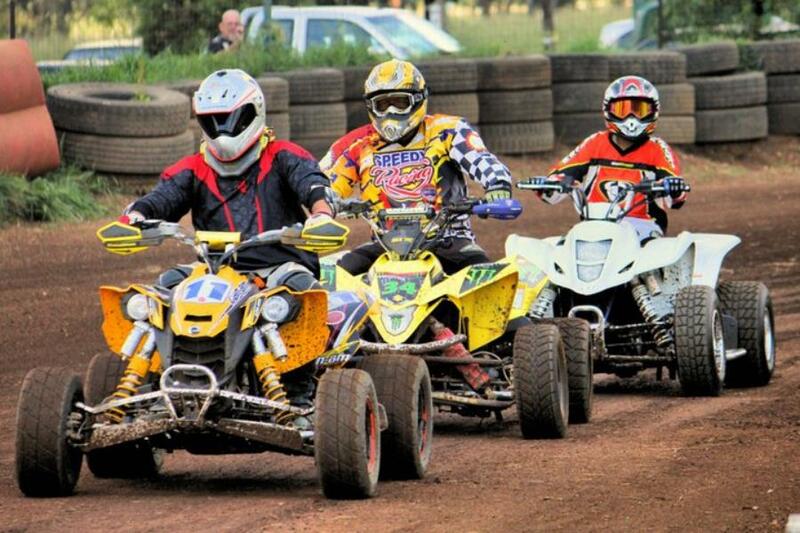 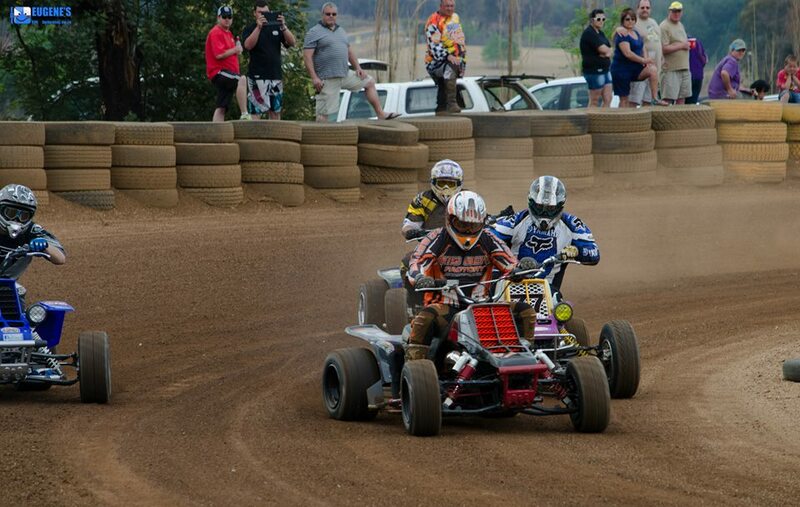 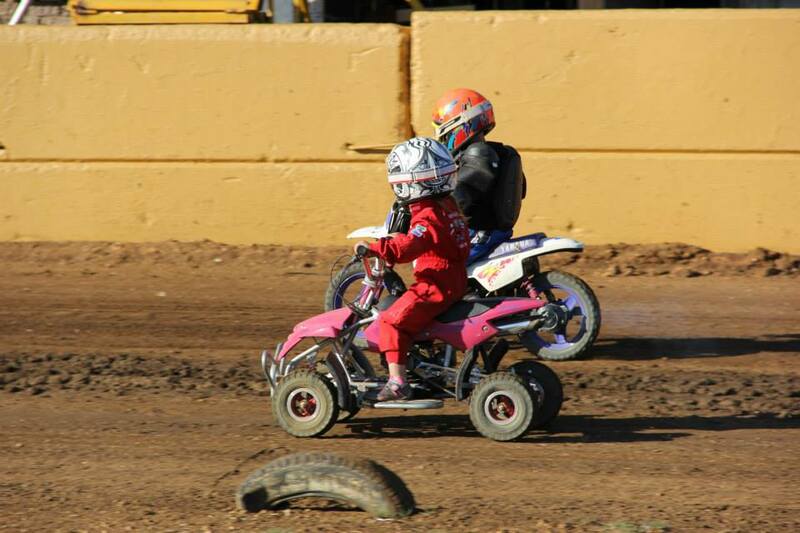 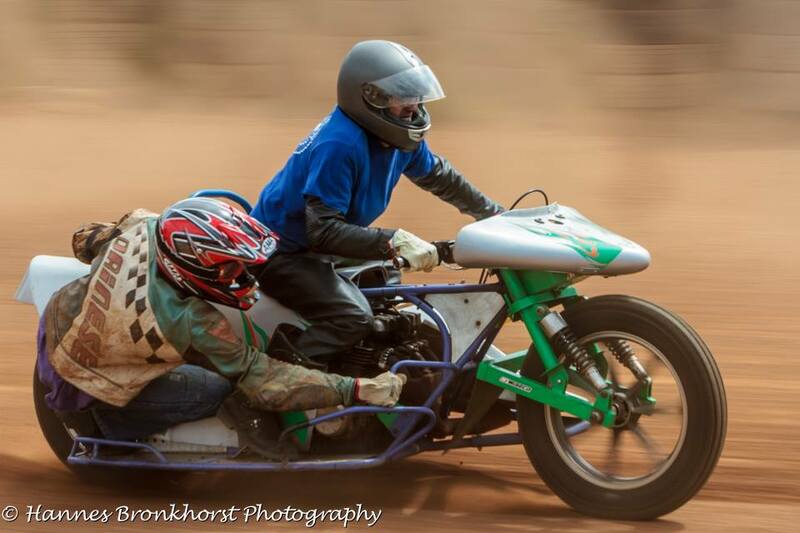 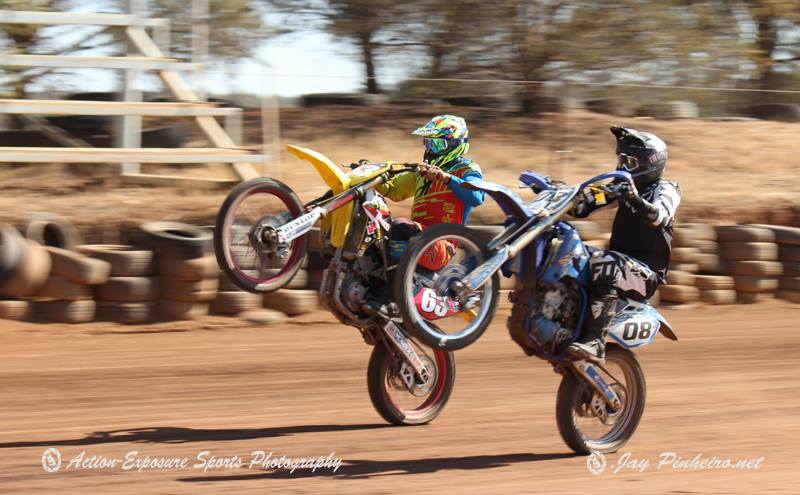 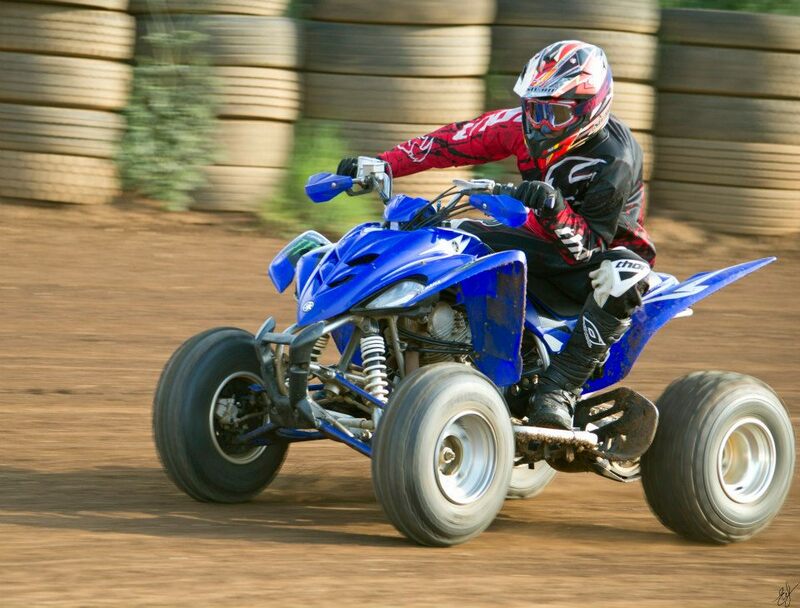 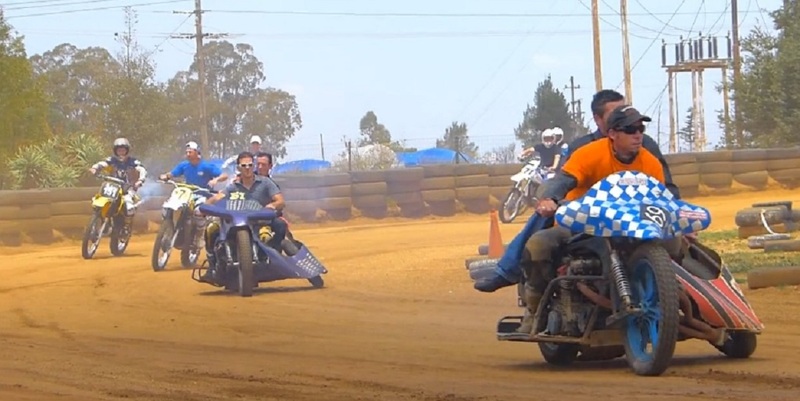 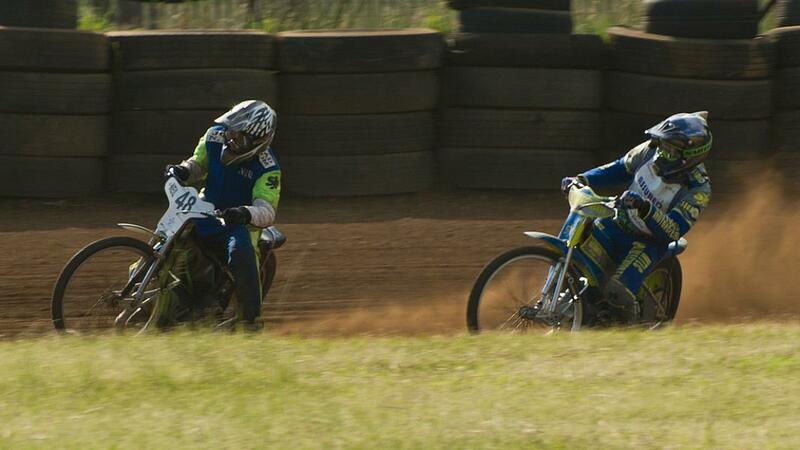 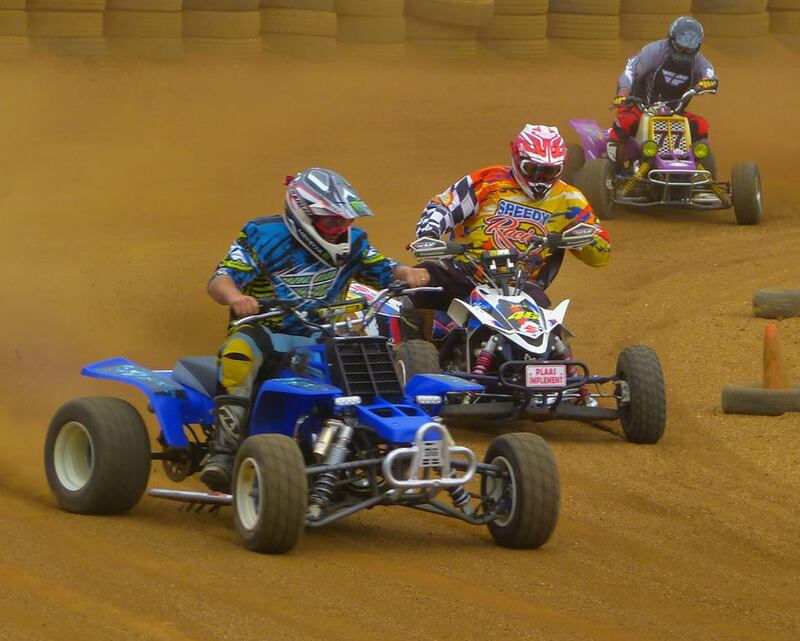 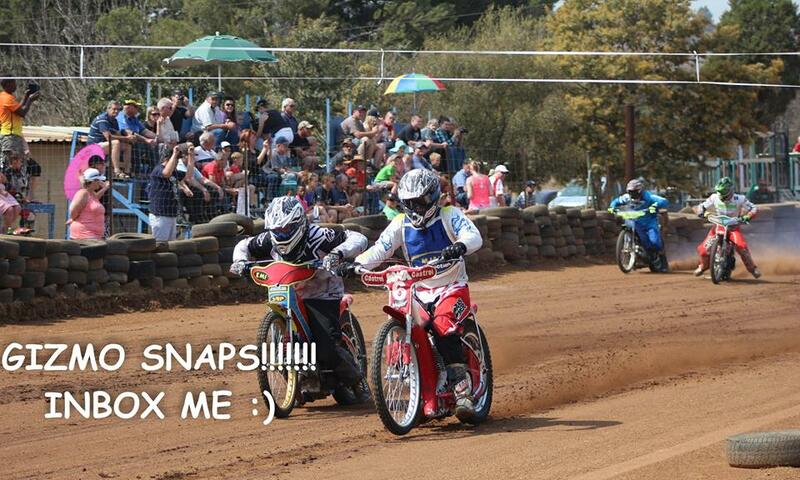 Lyle Kotze (blue) chases Hamish Harvey (red) PeeWee Blake Levey Quads in action. 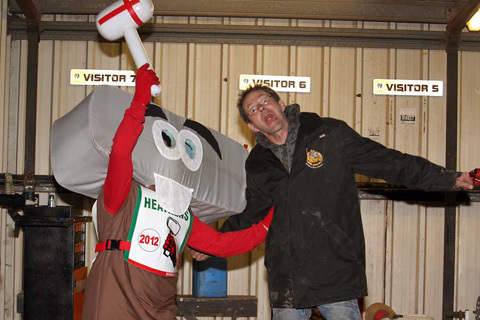 Below Ht.26, Final: Ashley comes to an uncomfortable stop. 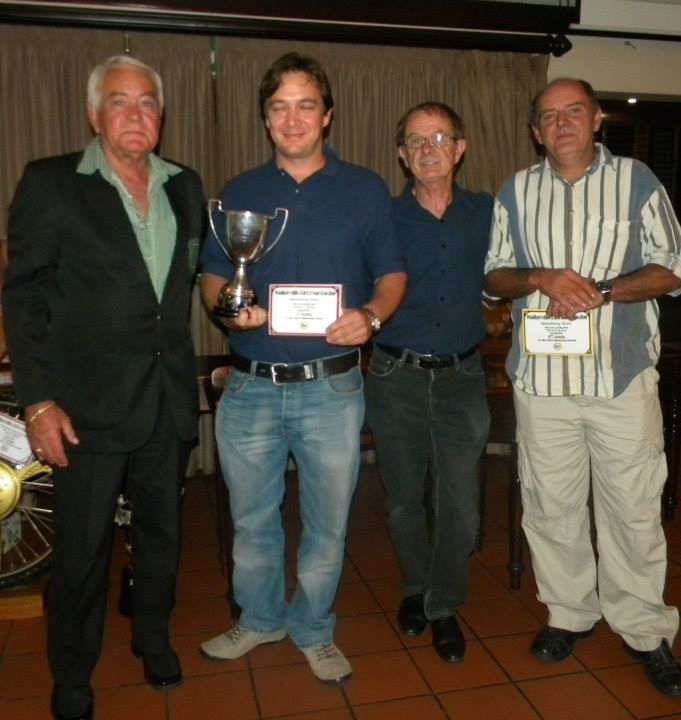 Front, L>R: Mario v.d.Merwe, Peter Buck, Bobby Devine, Kian Lawrenson. 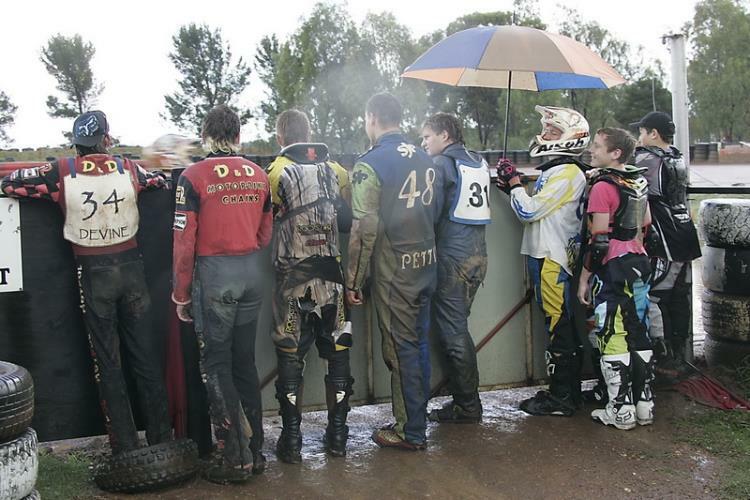 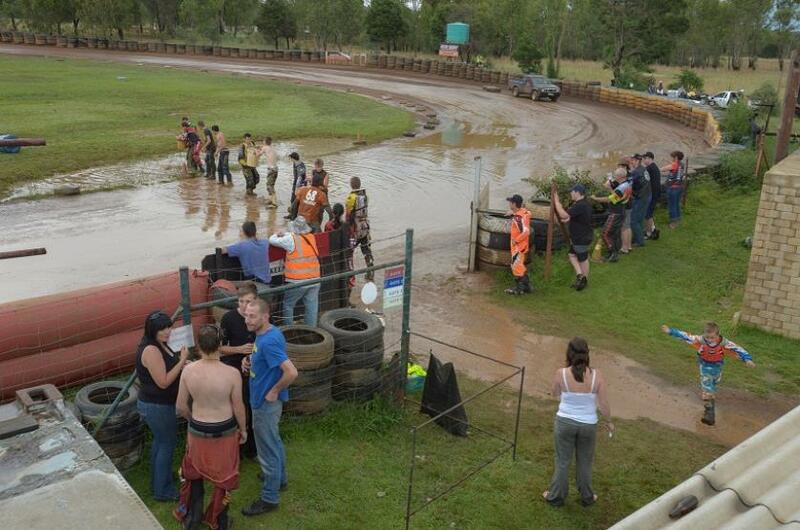 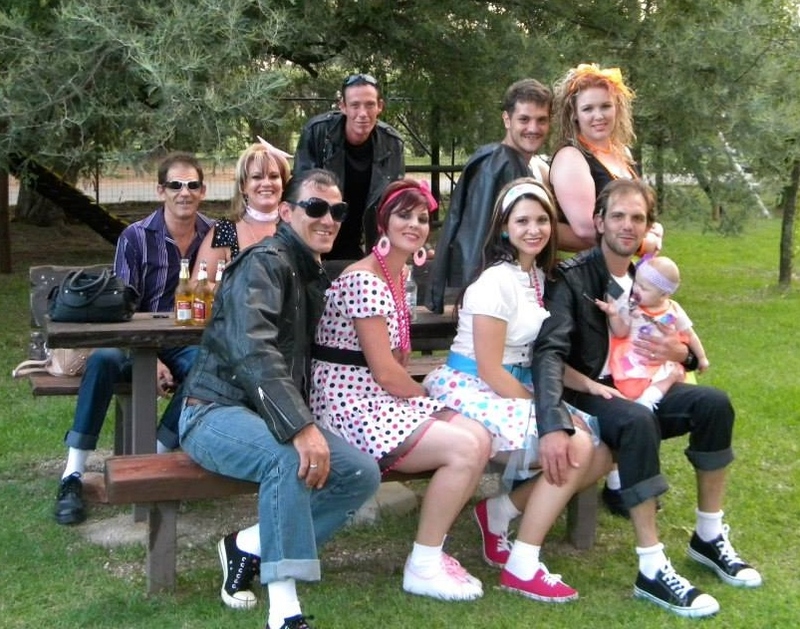 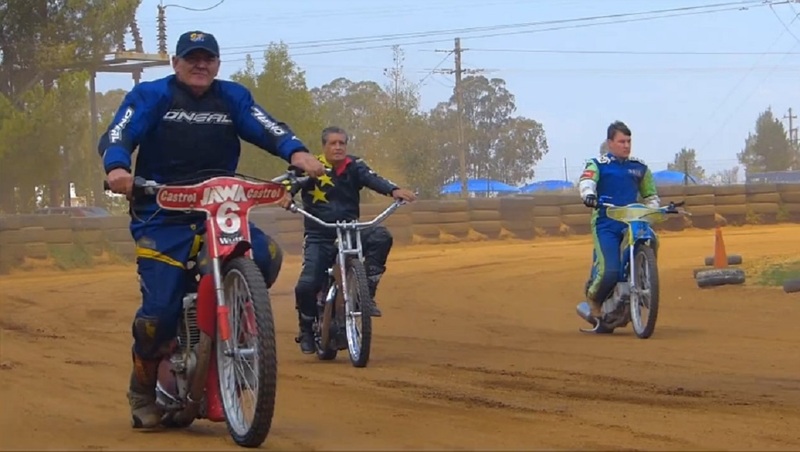 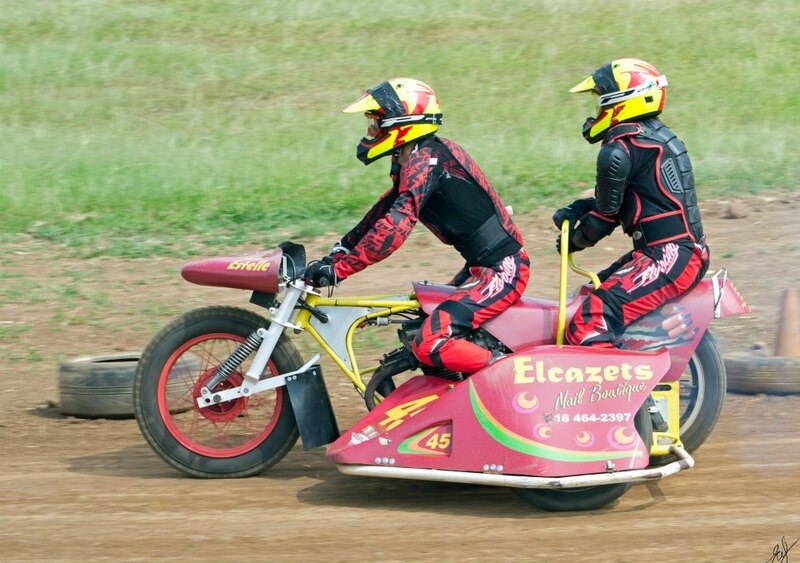 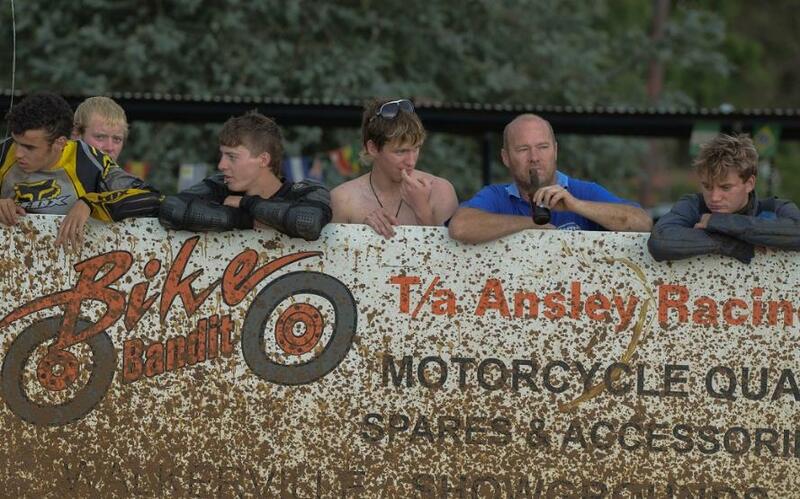 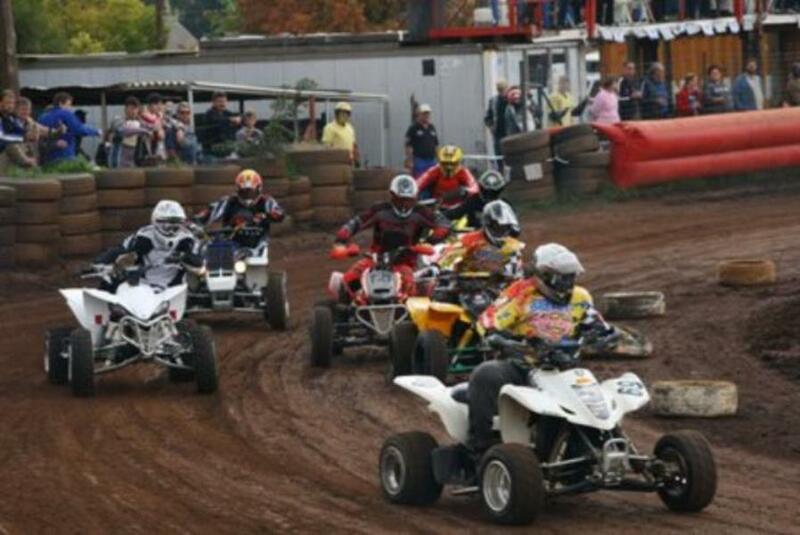 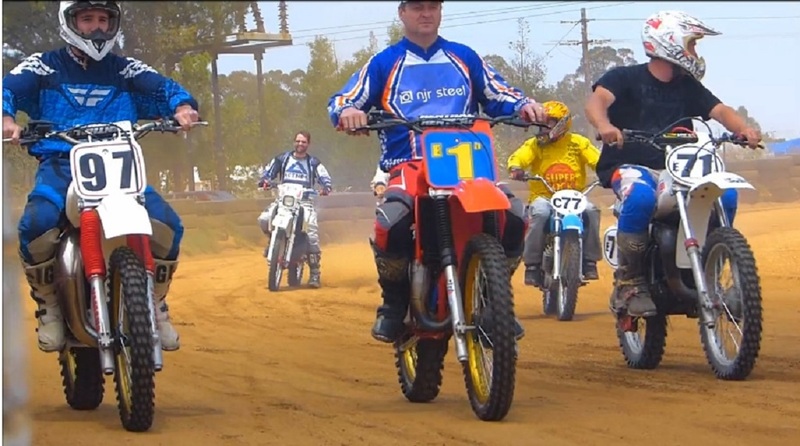 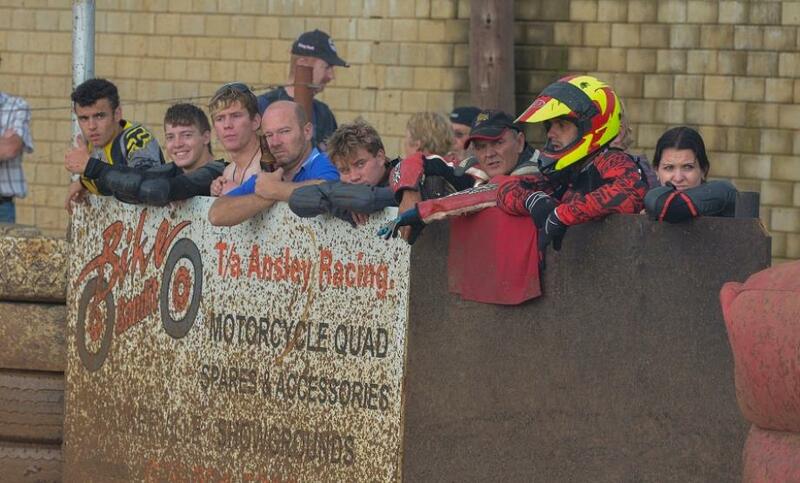 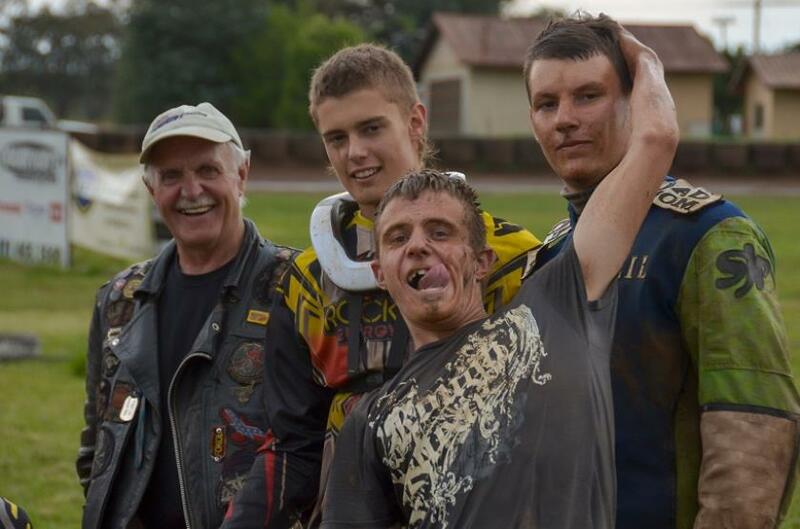 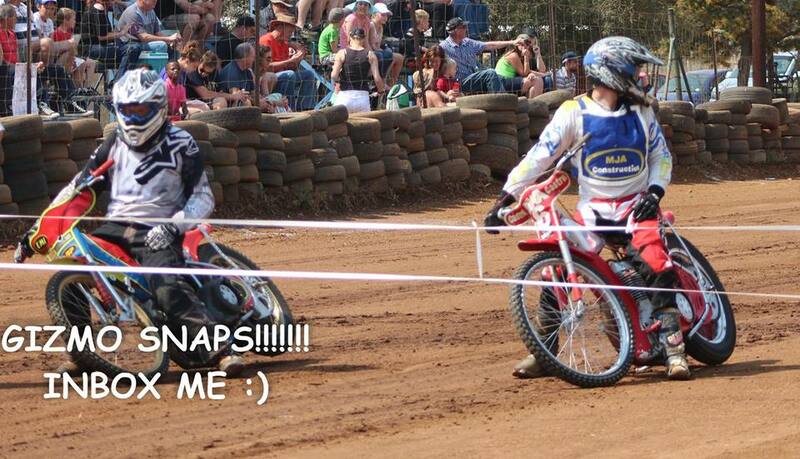 n.b: This image constitutes the last ever team photo line-up from Walkerville Speedway. 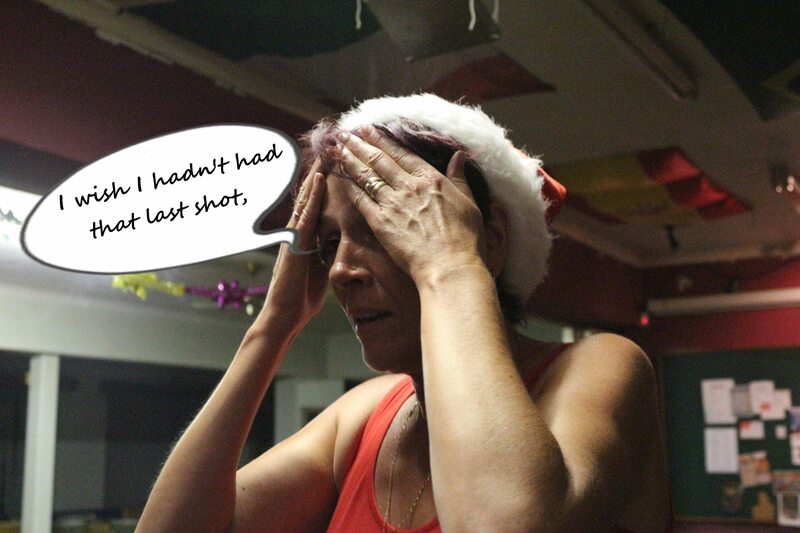 FTs and Quads in trouble! 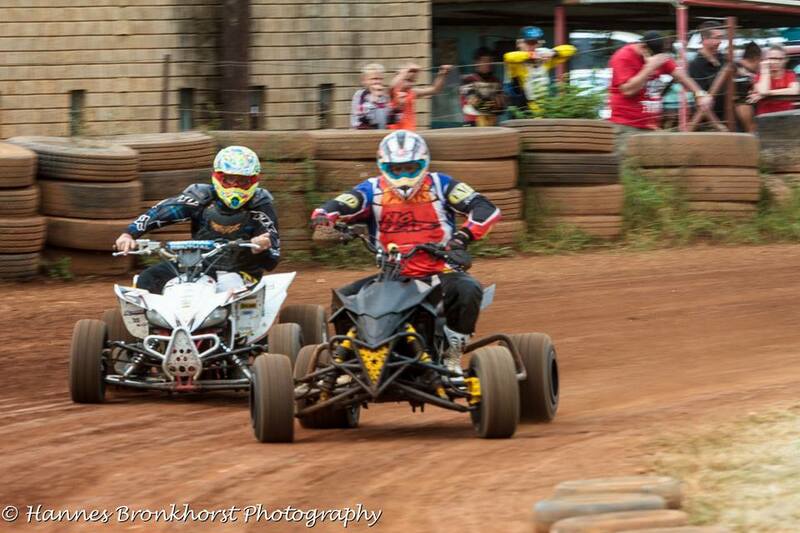 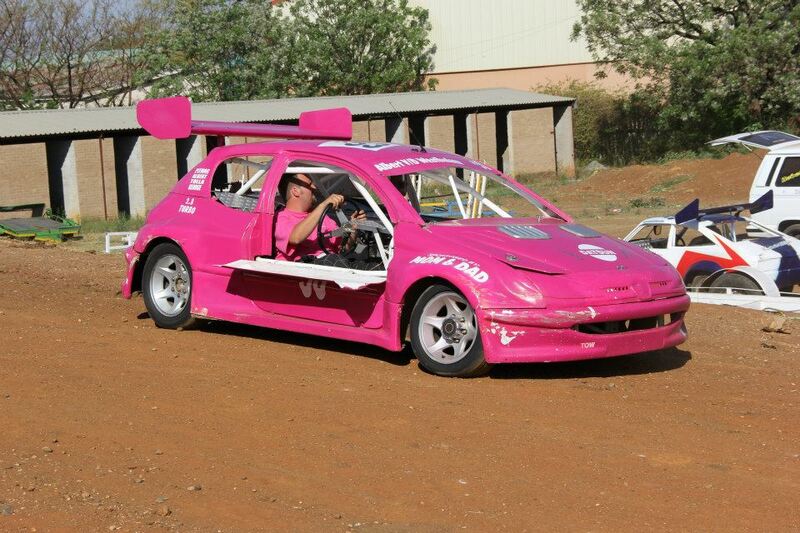 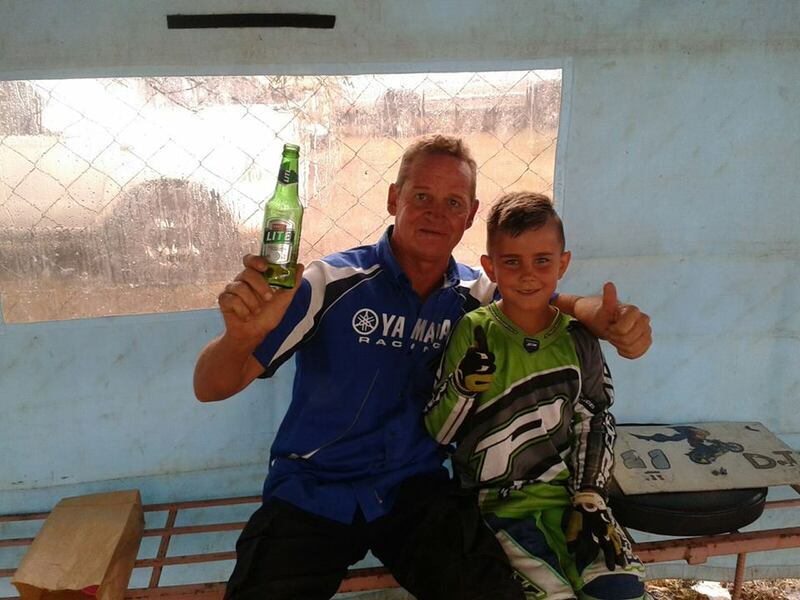 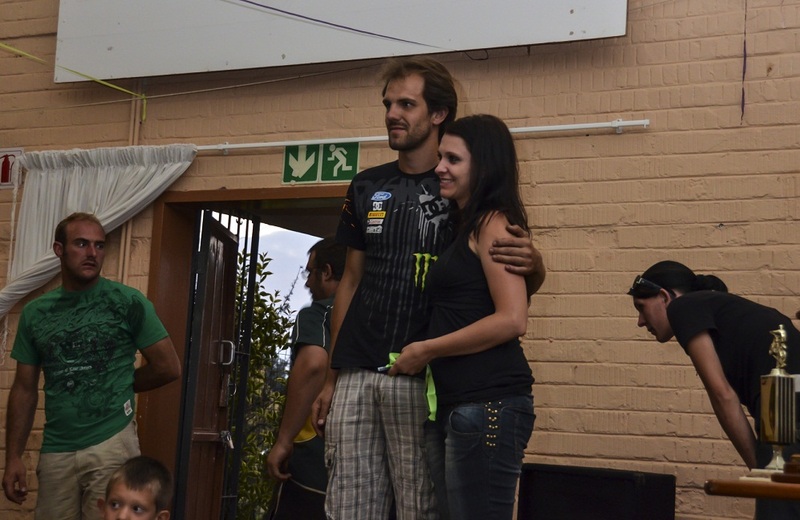 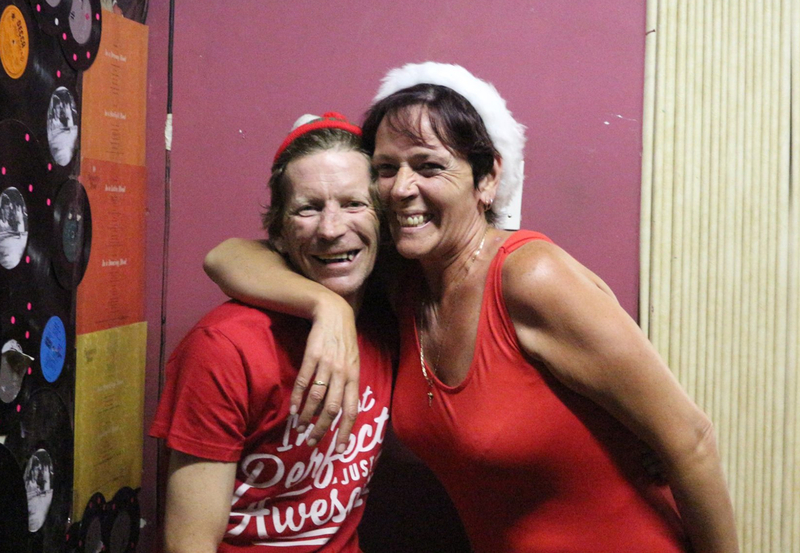 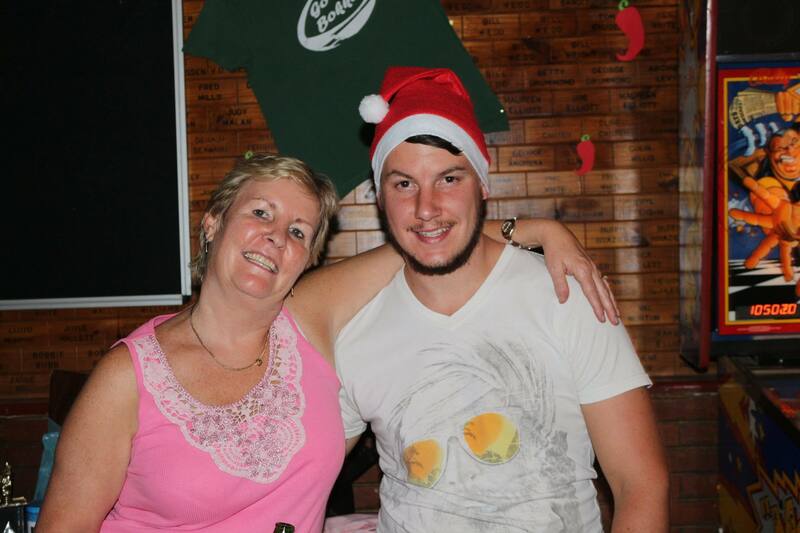 - NP ahead of Spider team-mate Mario v.d.Merwe and Bekkie's Lyle Kotze. 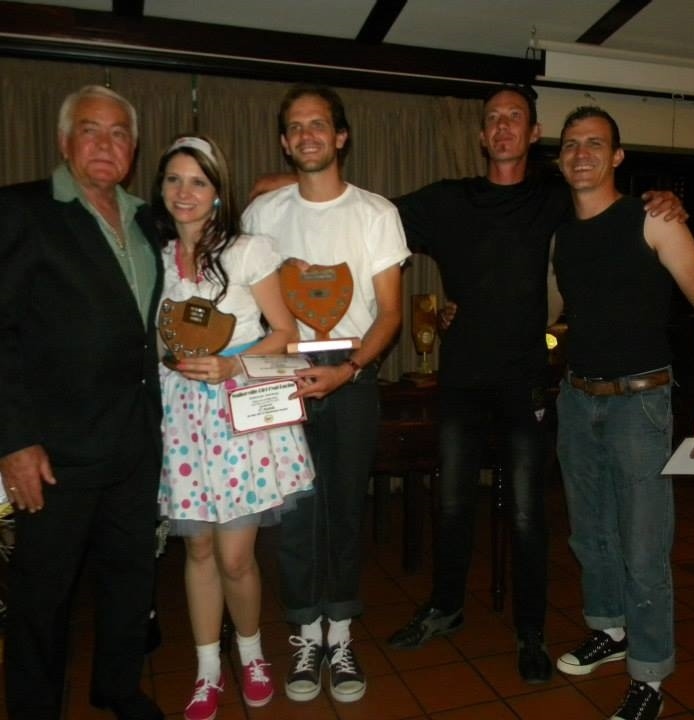 - Tension at the Tapes: Ashley Brill, (part hidden, left,) Marcus v.d.Merwe, Mario v.d.Merwe. 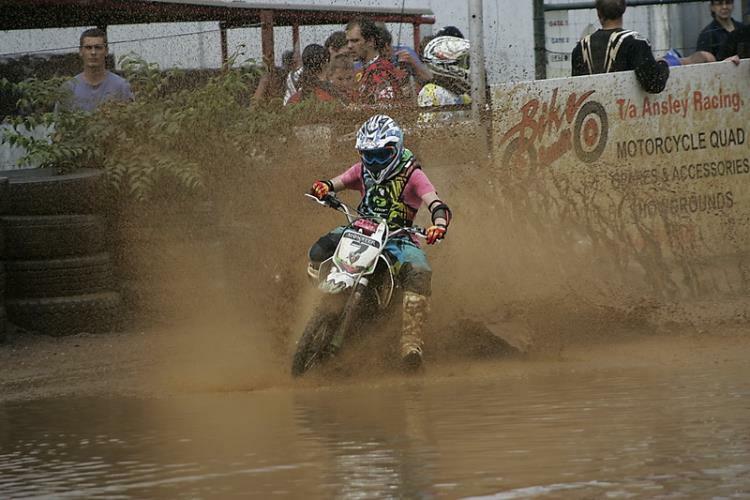 photos: Jay Pinheiro, plus Slideshow below, - riders as captioned. 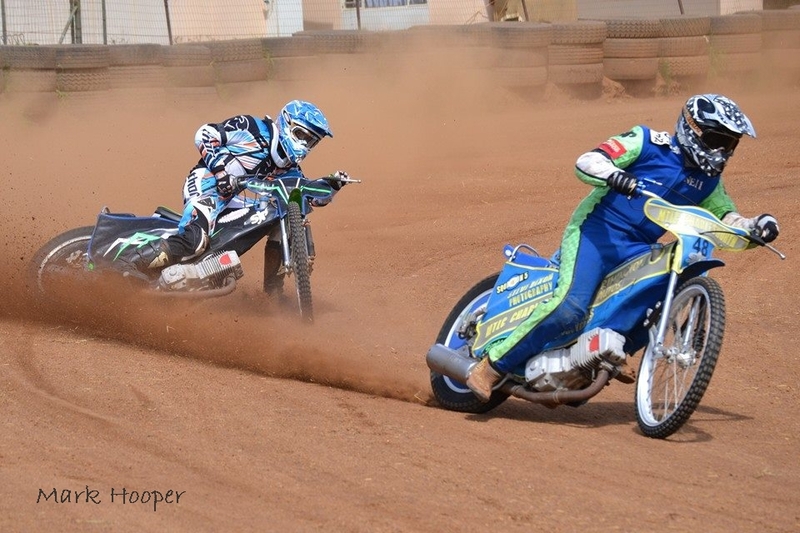 Byron Bekker leads Rebels team-mate Mac Magill . . @ Walkerville, Aug. 26th 2017. 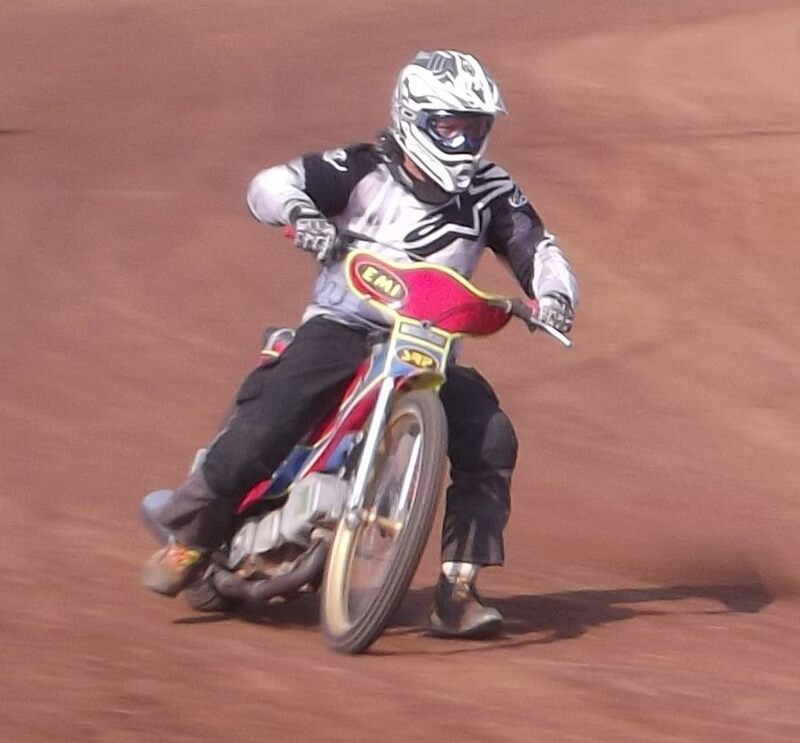 Neil Pettit in exciting leg-trail style during the March meeting, 25.3.2018.